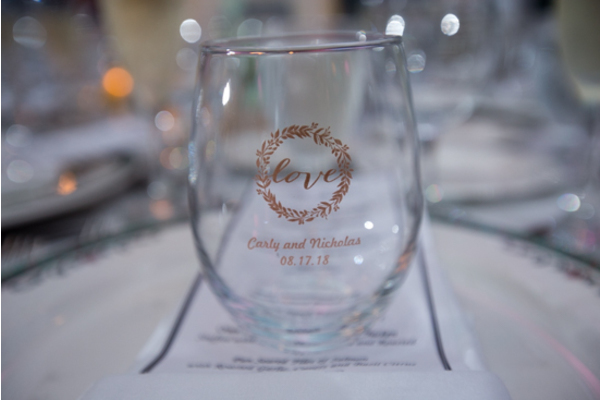 Congratulations to Carly and Nicolas on their recent wedding! 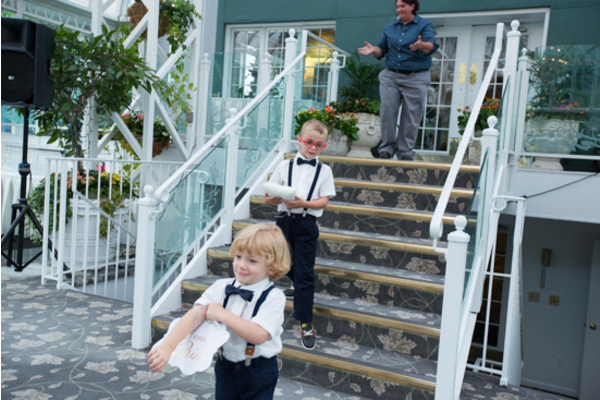 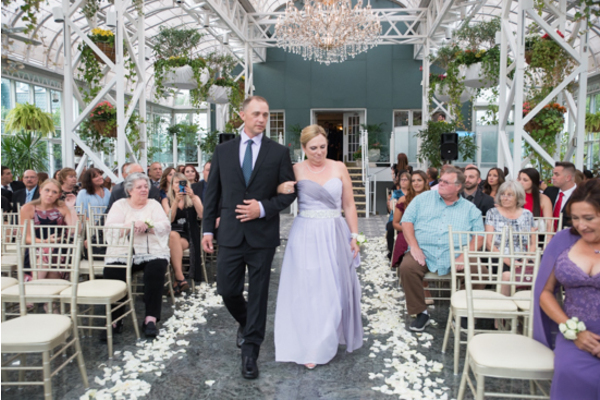 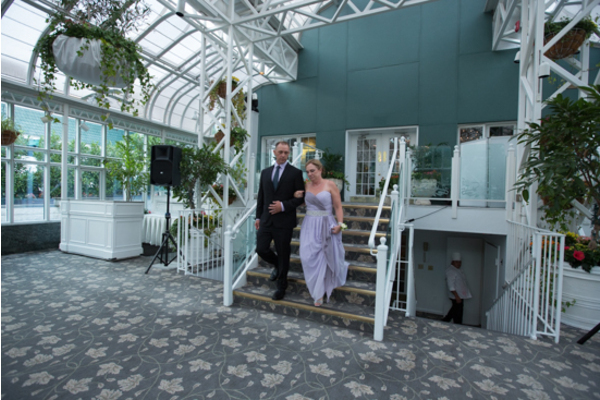 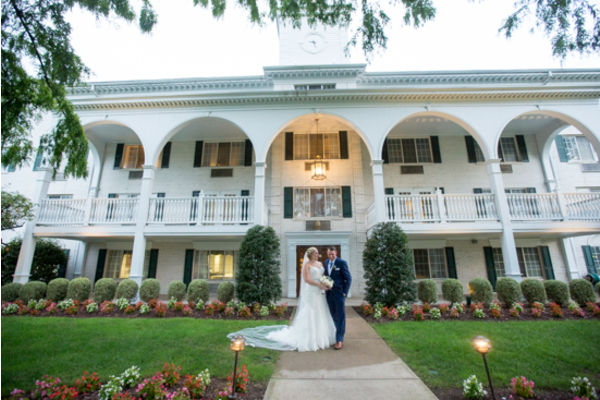 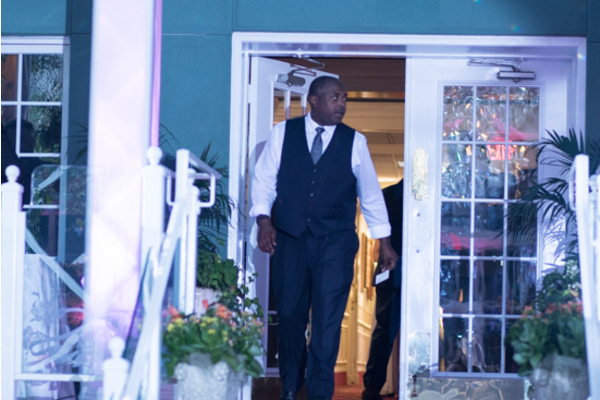 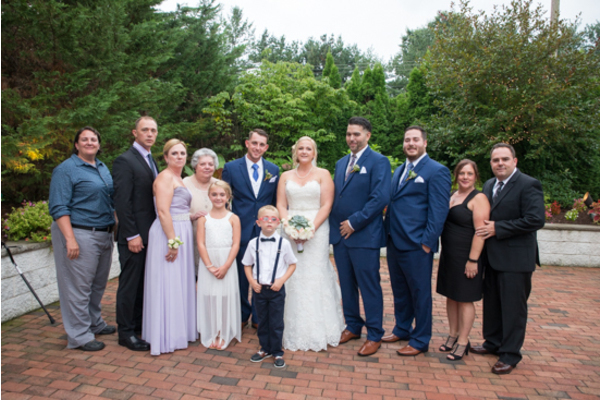 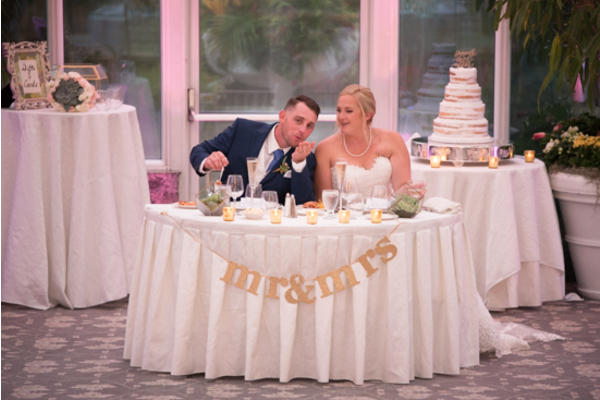 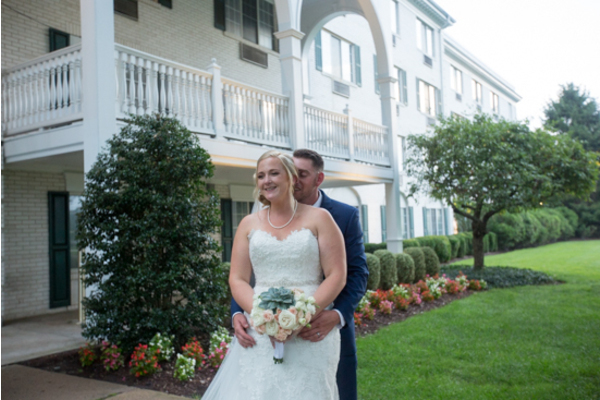 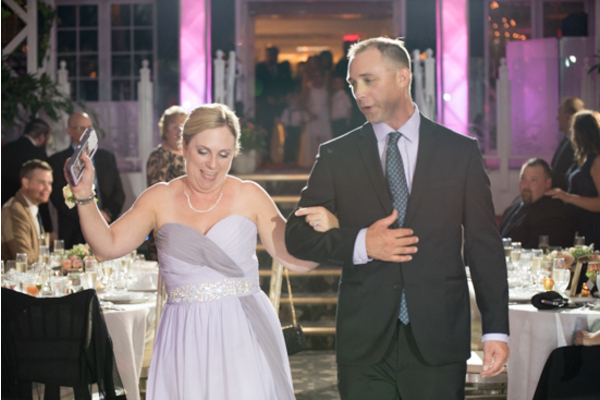 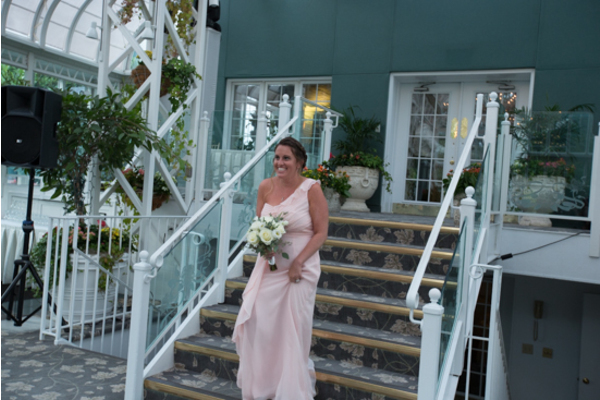 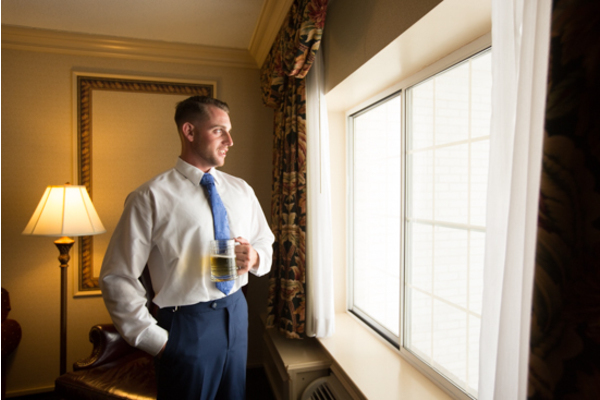 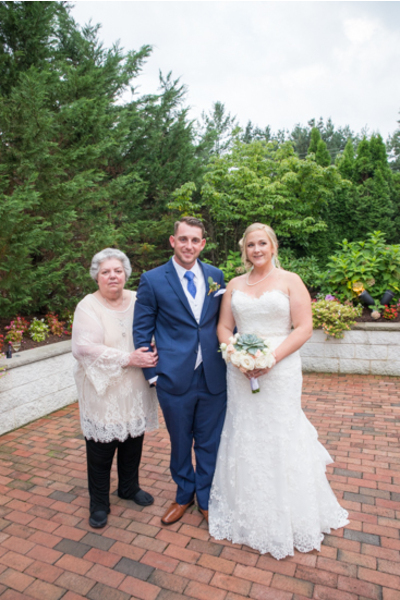 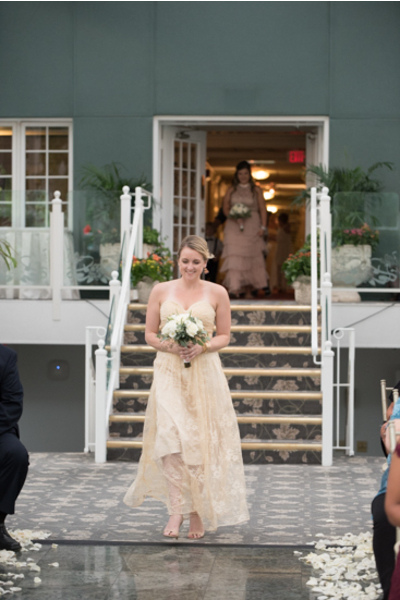 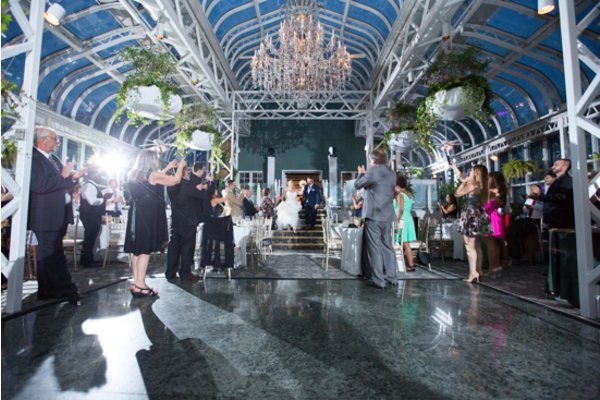 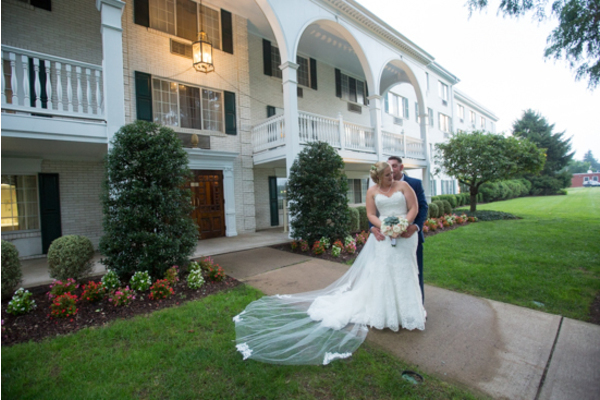 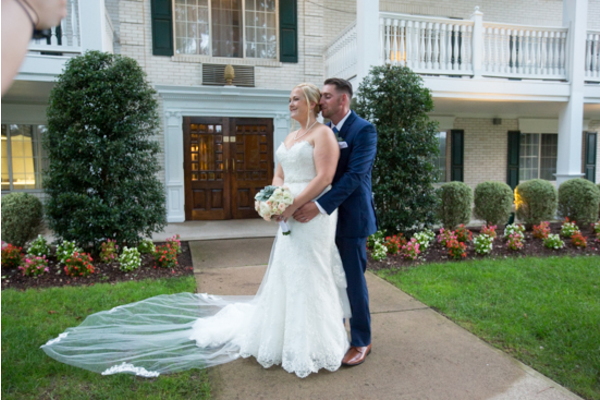 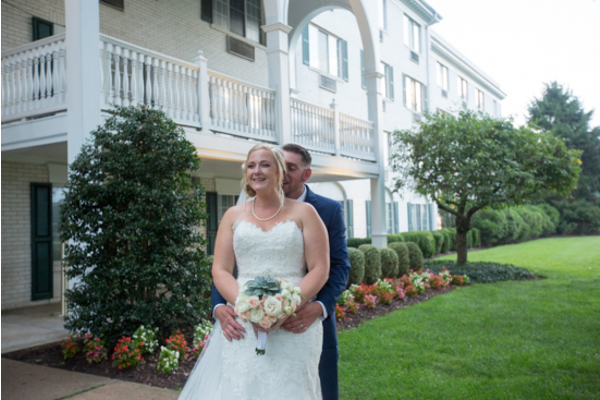 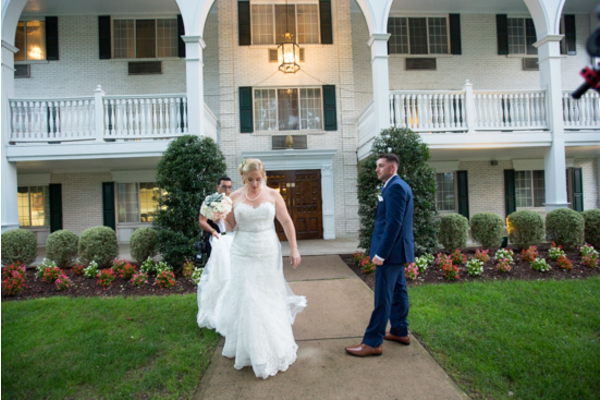 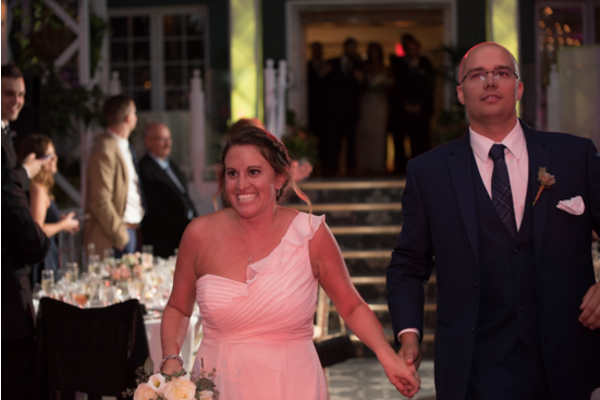 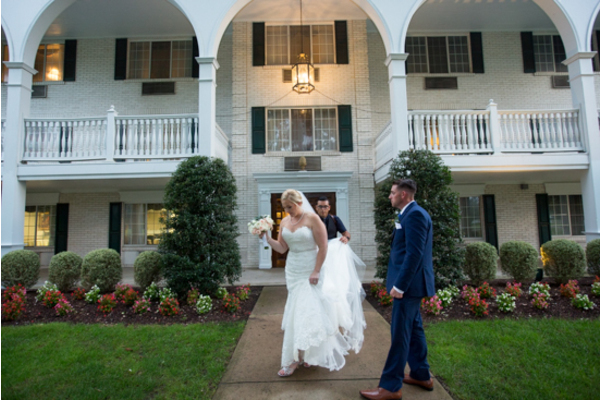 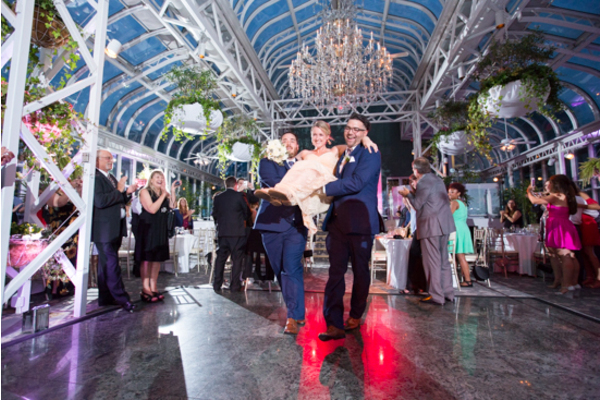 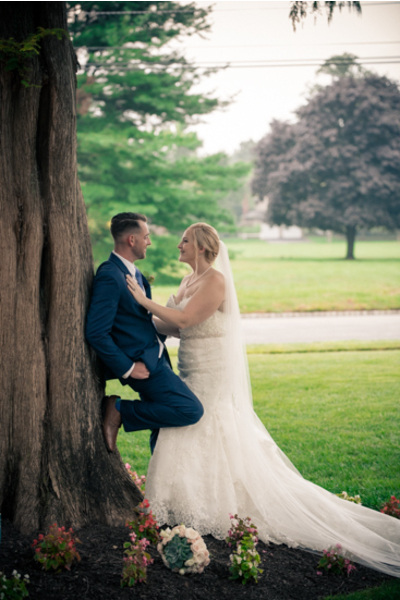 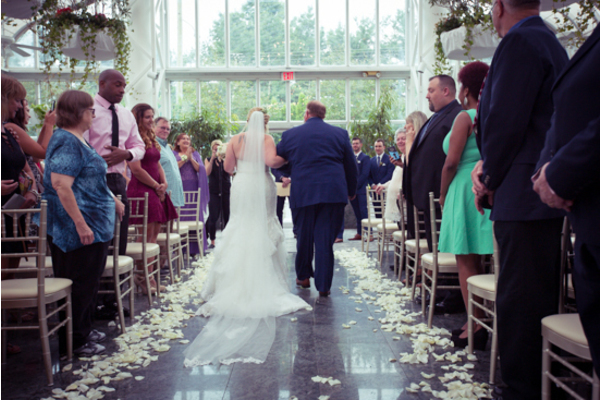 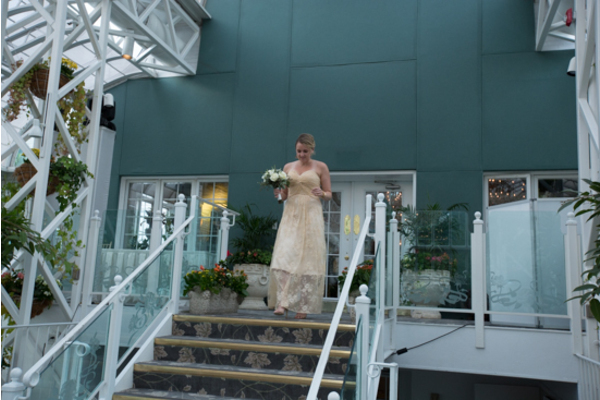 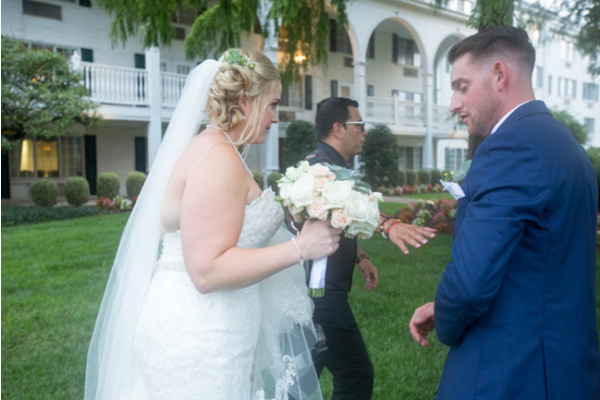 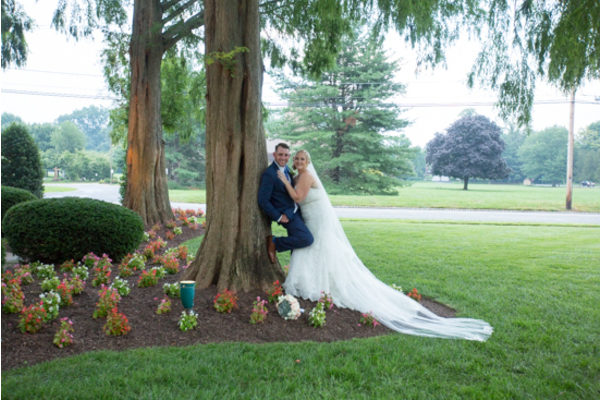 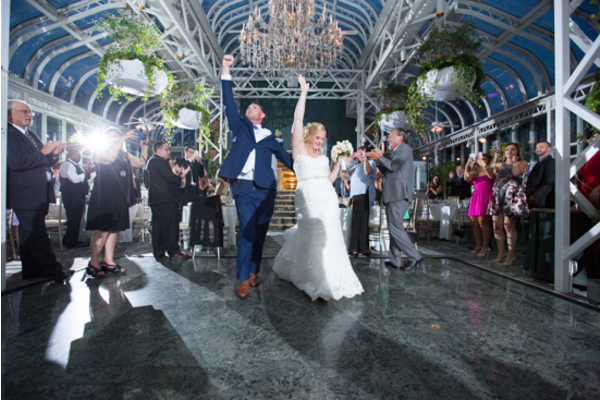 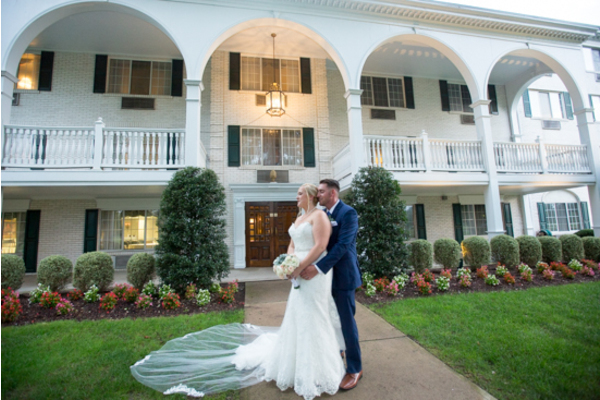 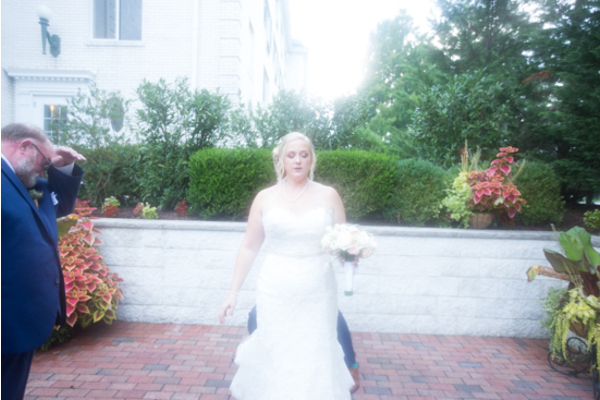 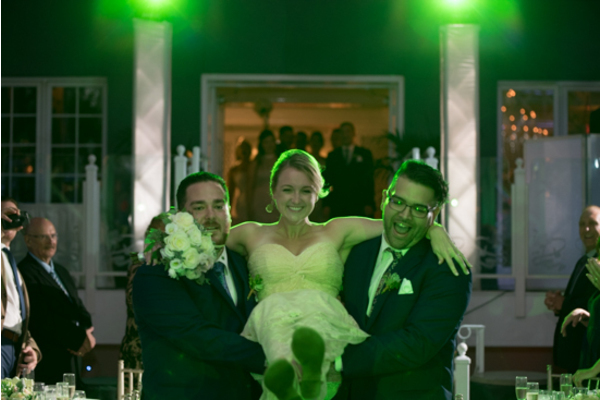 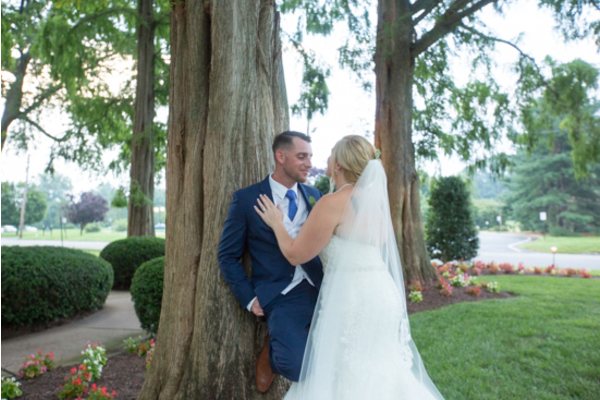 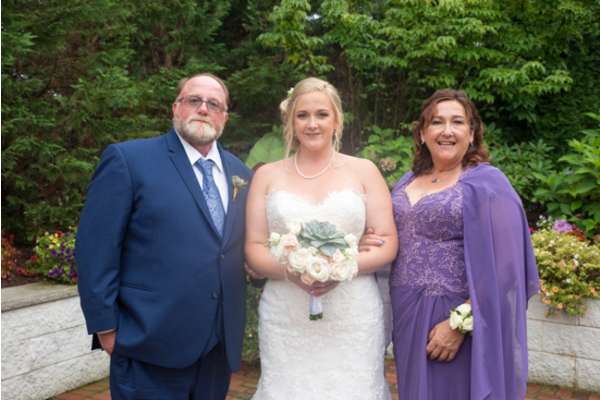 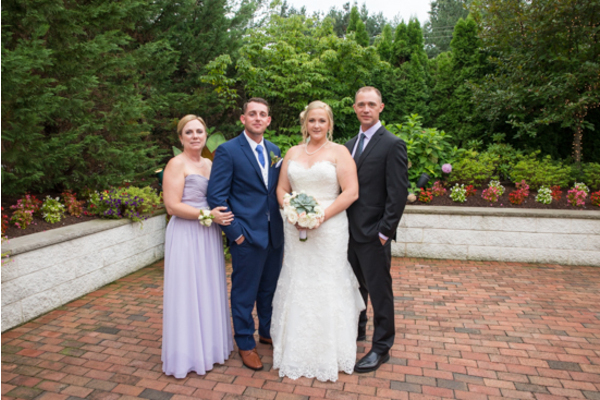 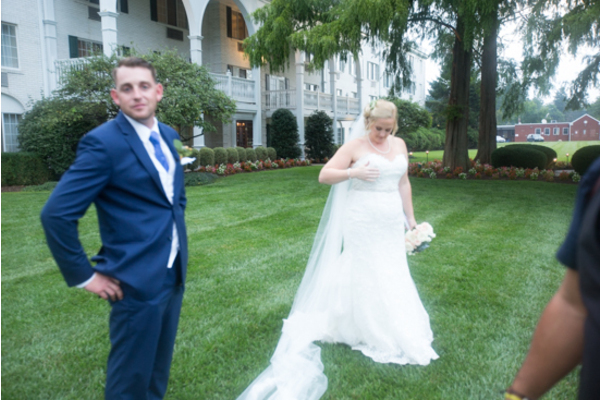 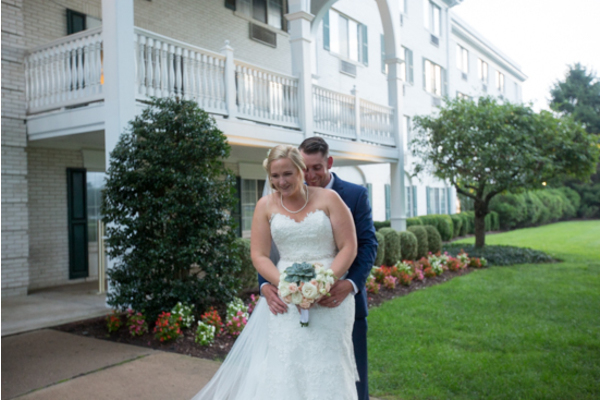 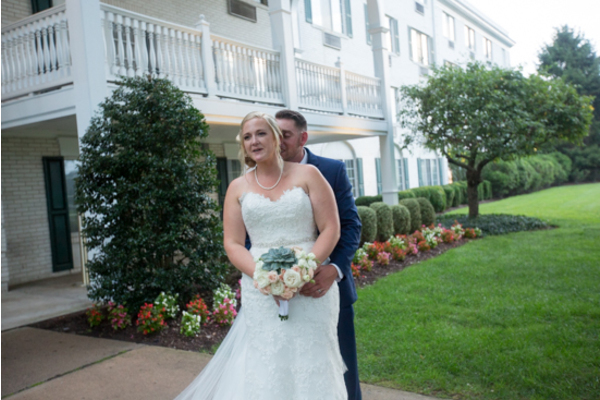 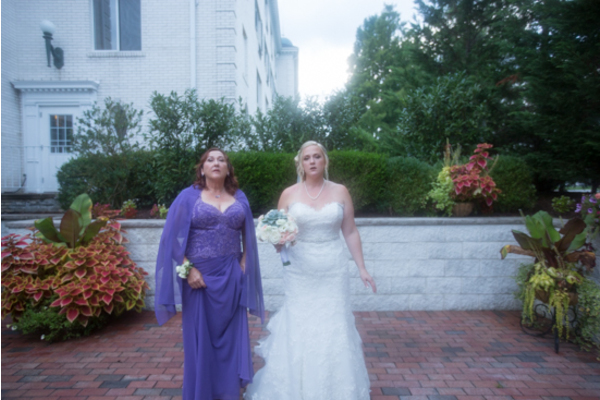 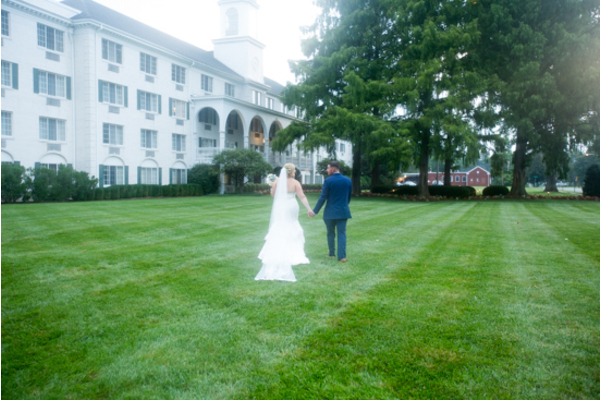 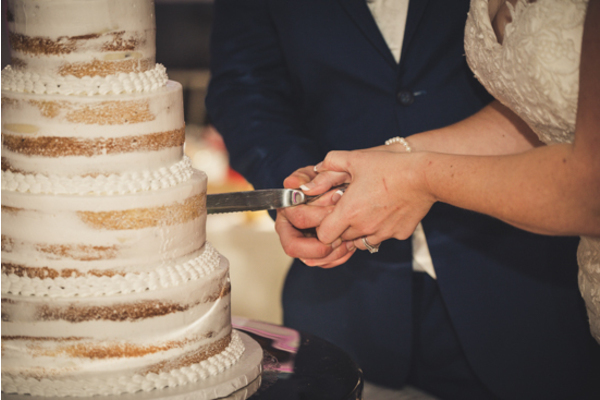 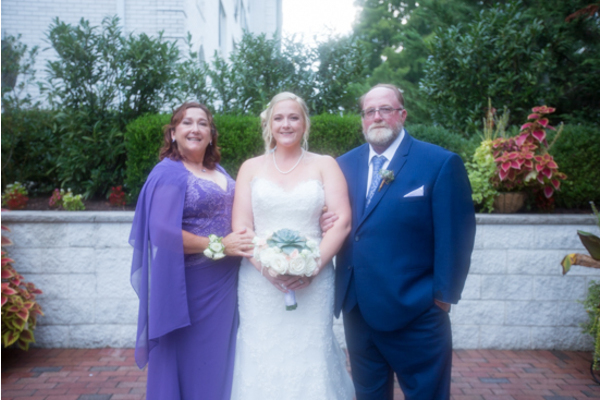 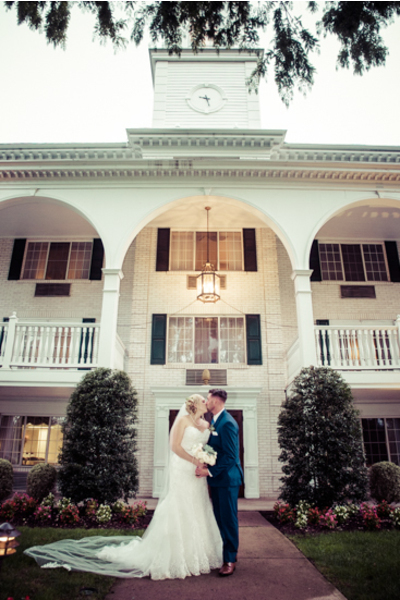 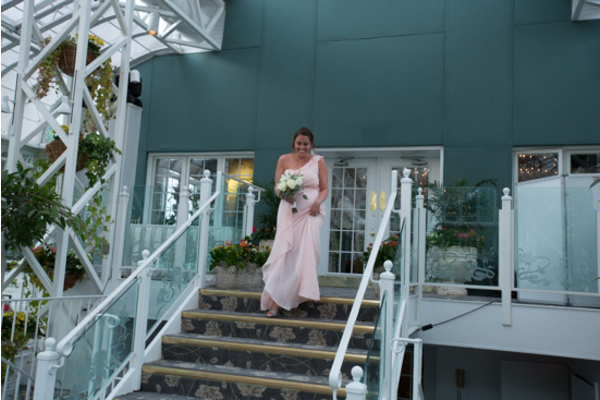 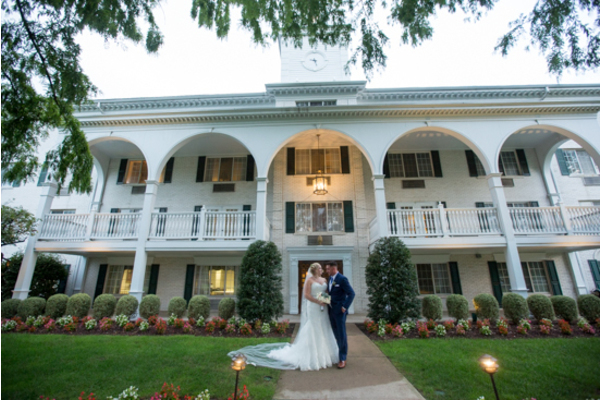 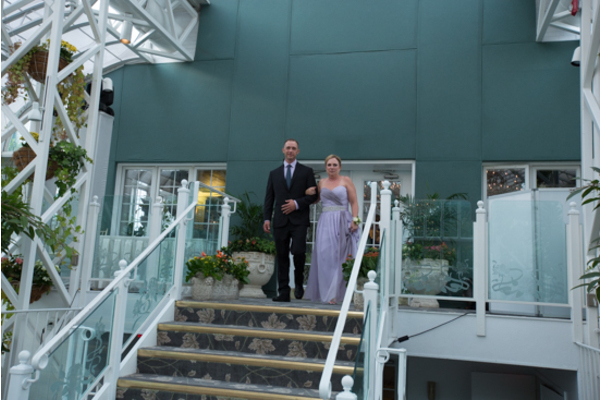 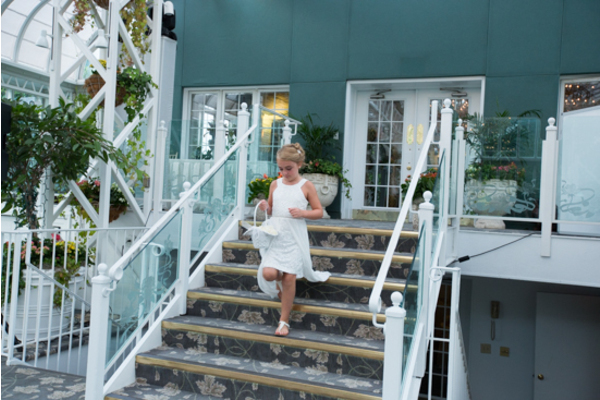 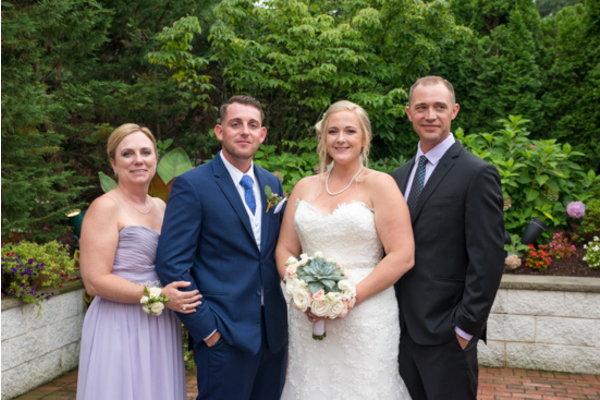 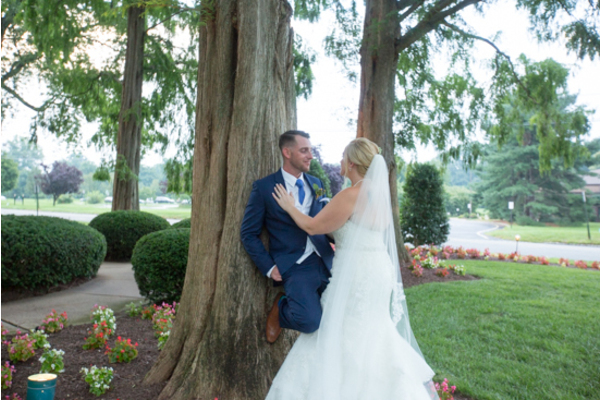 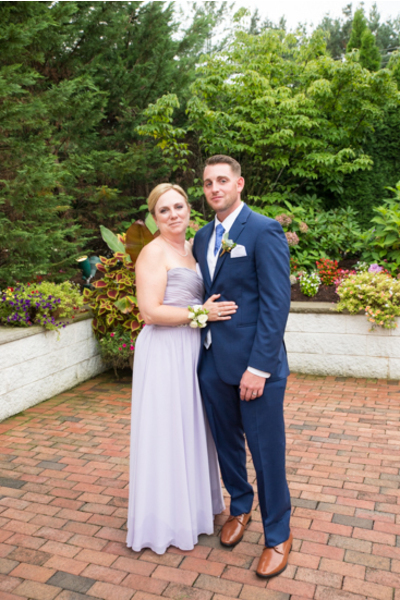 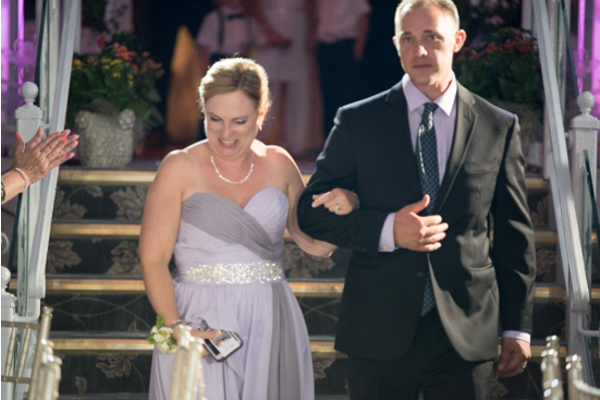 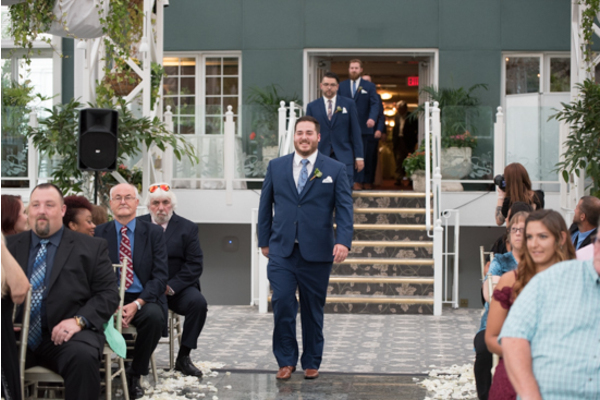 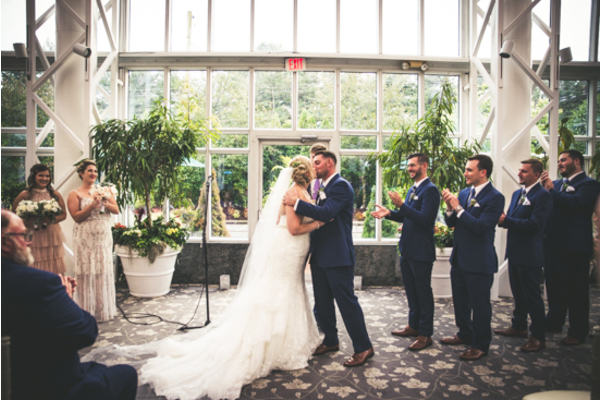 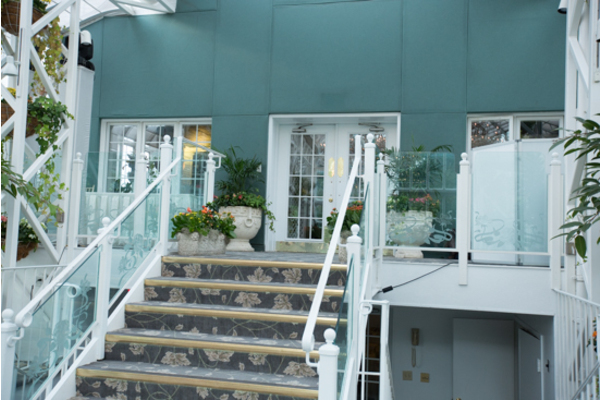 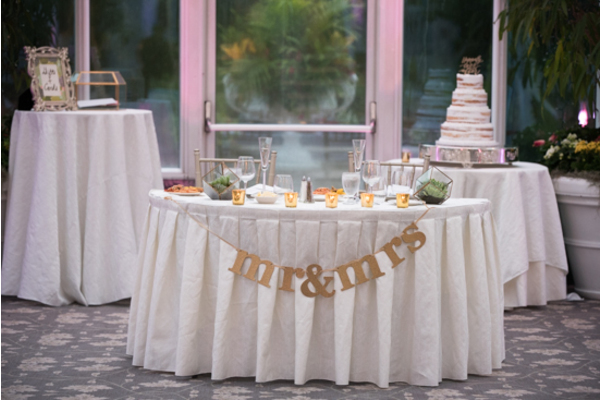 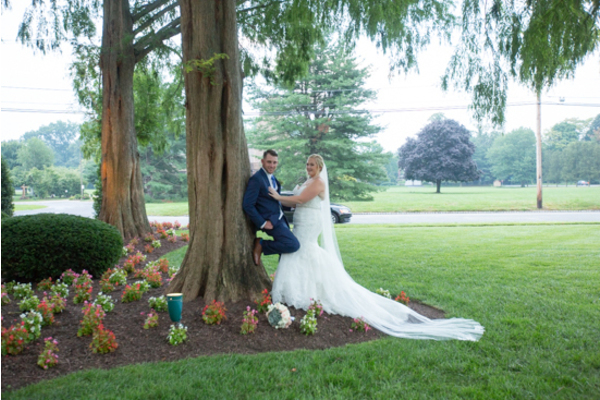 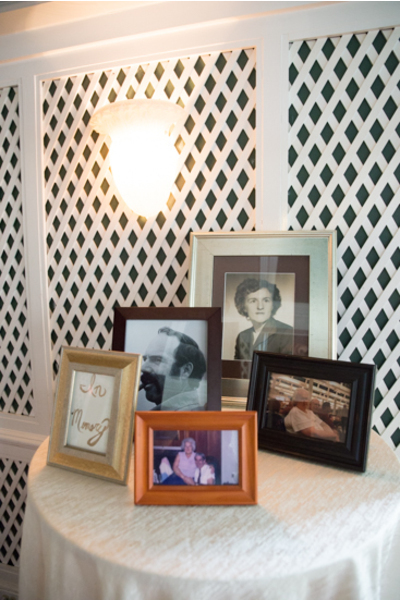 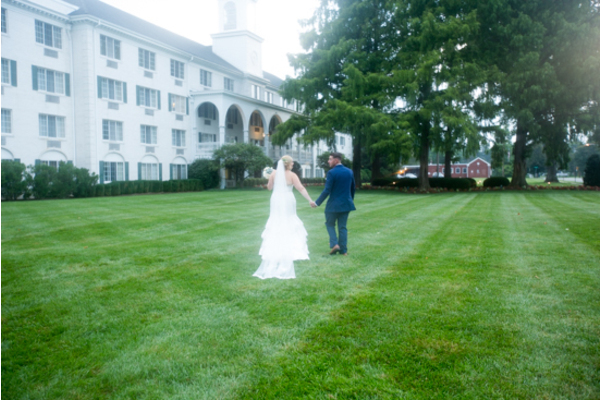 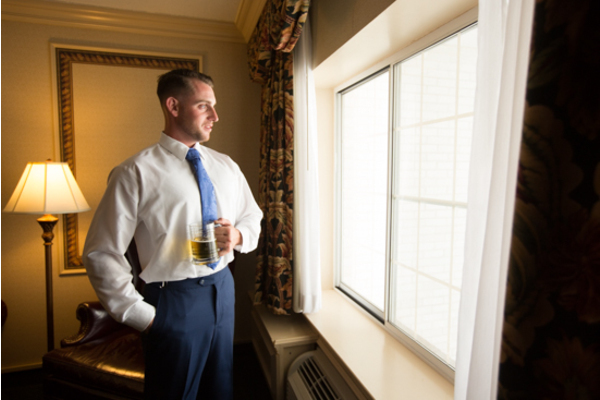 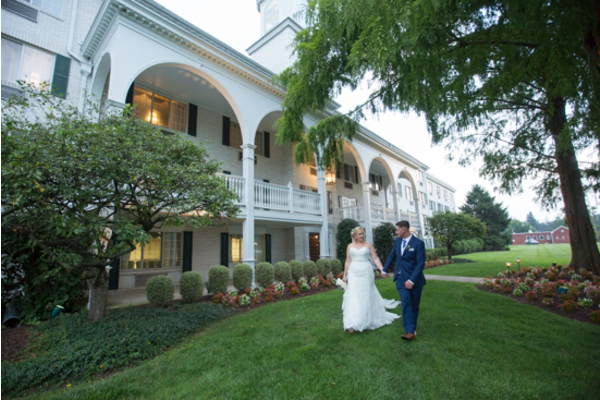 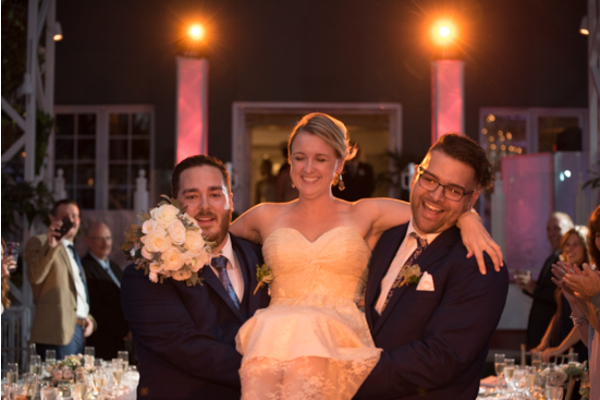 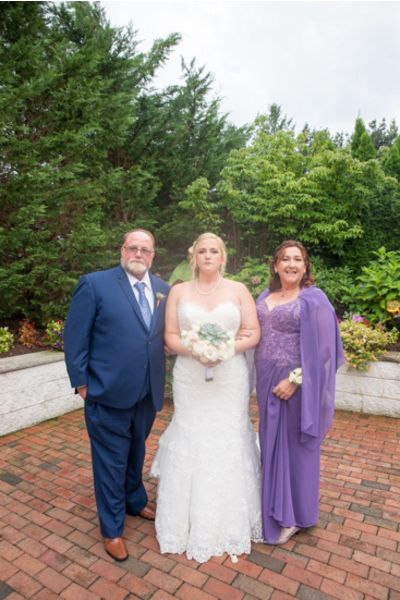 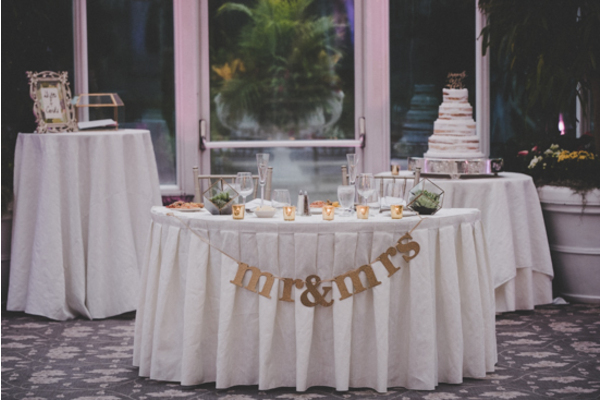 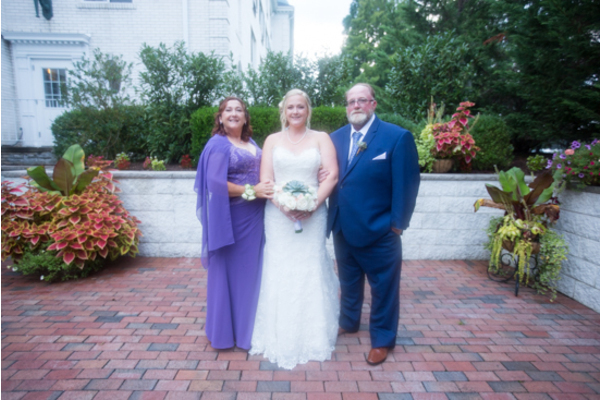 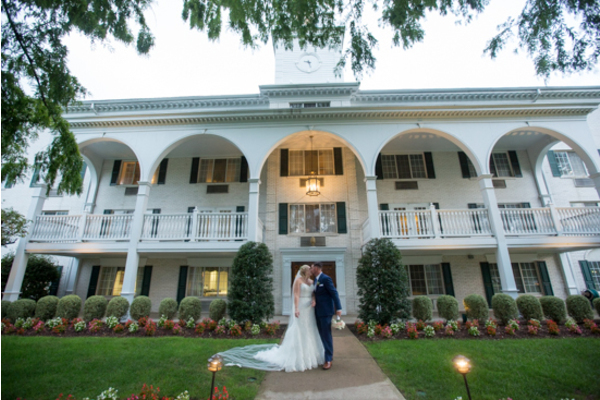 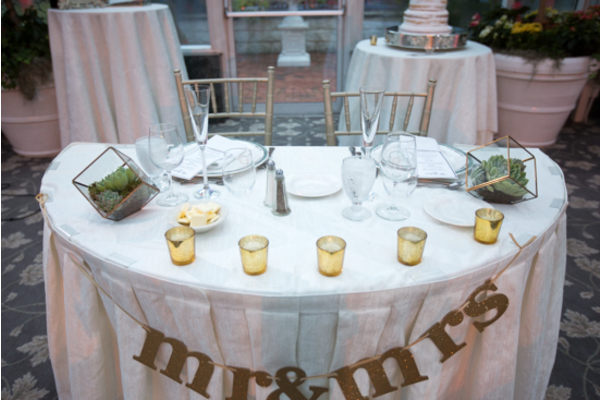 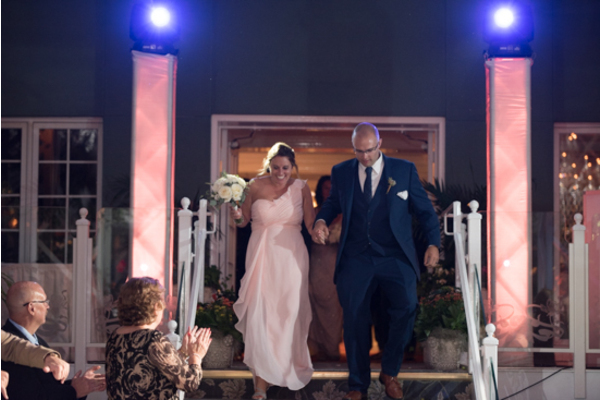 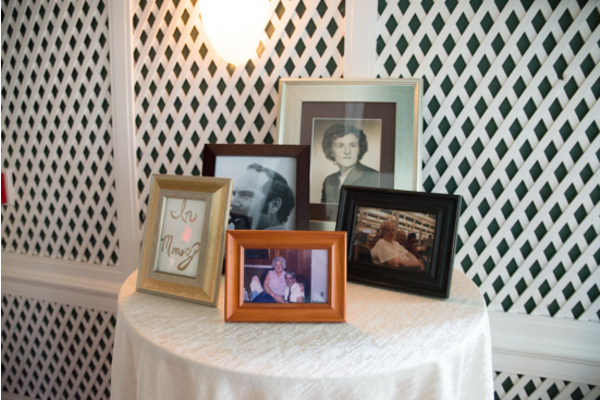 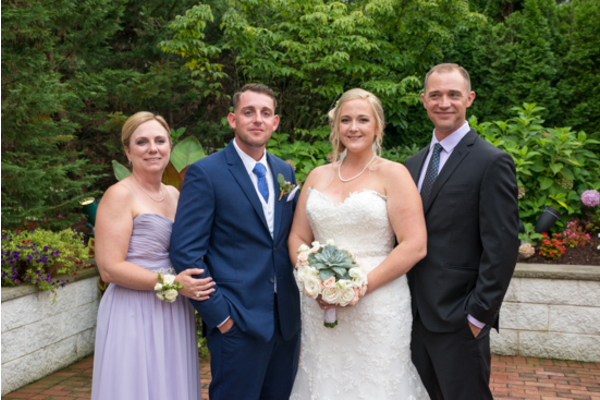 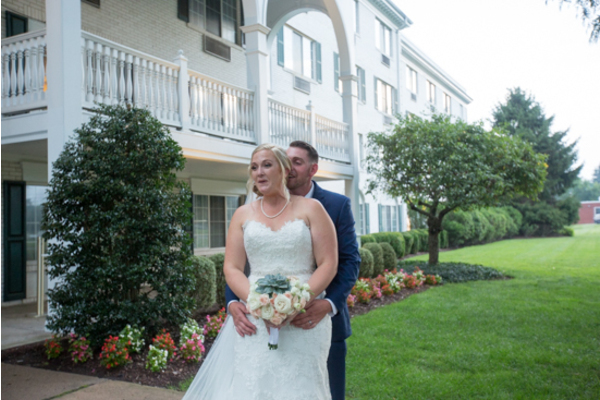 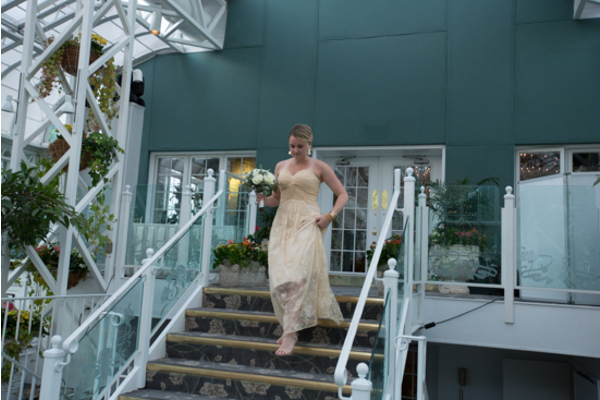 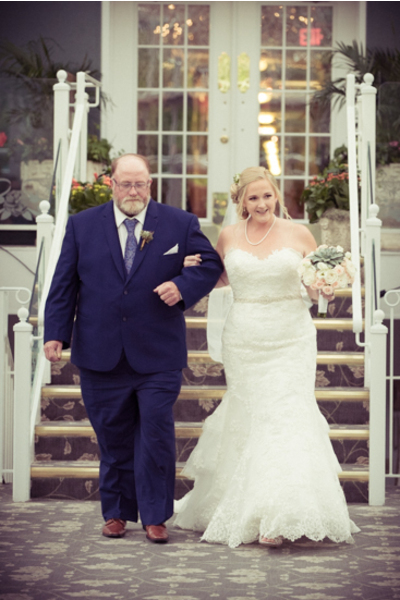 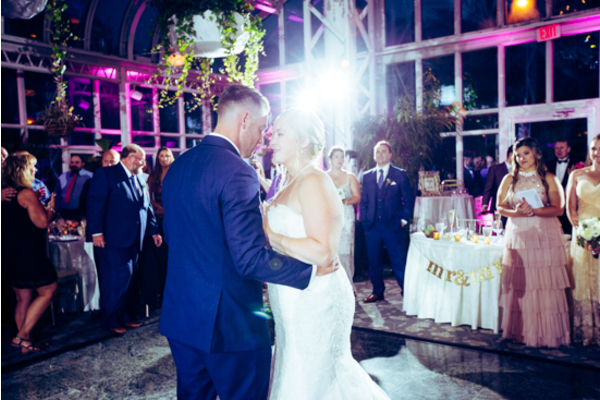 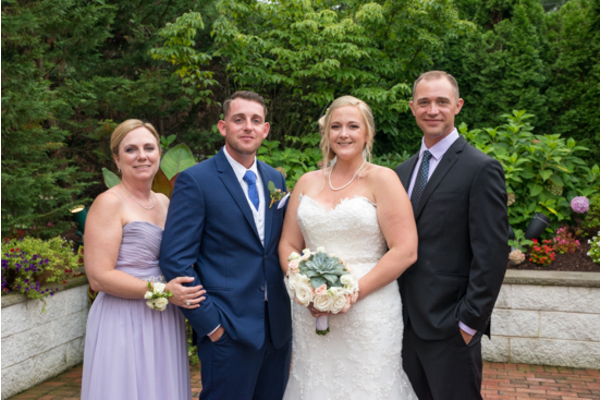 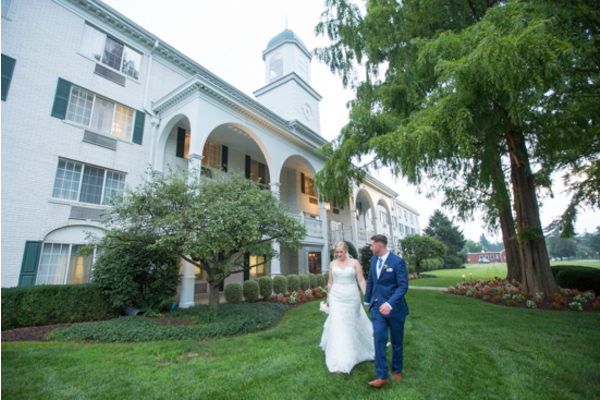 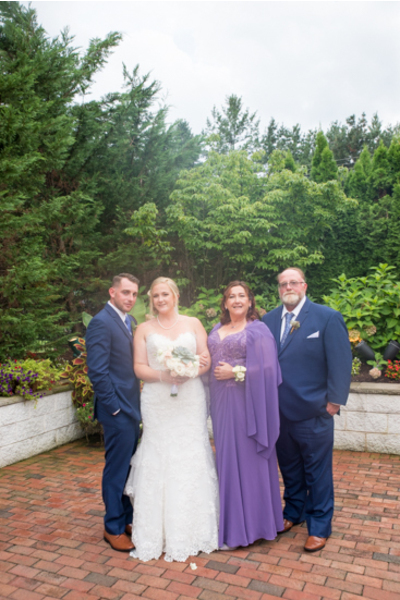 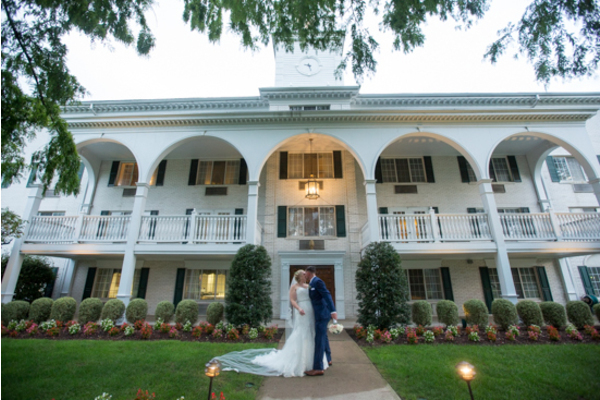 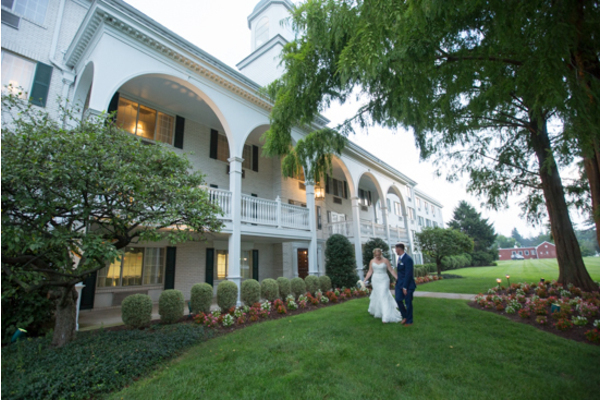 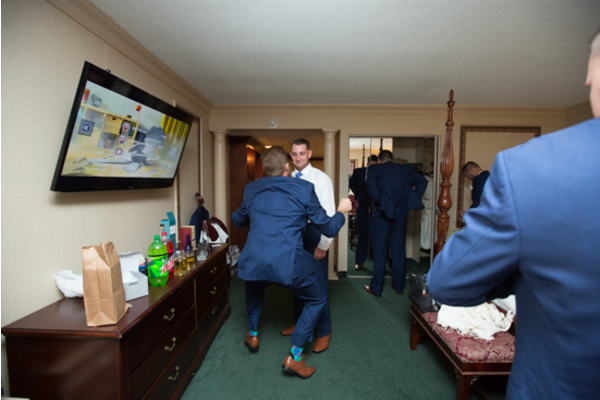 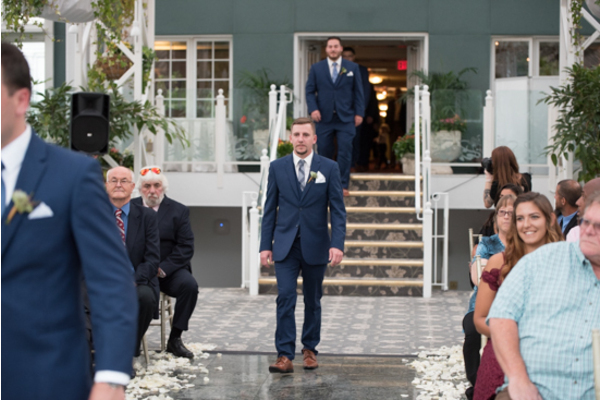 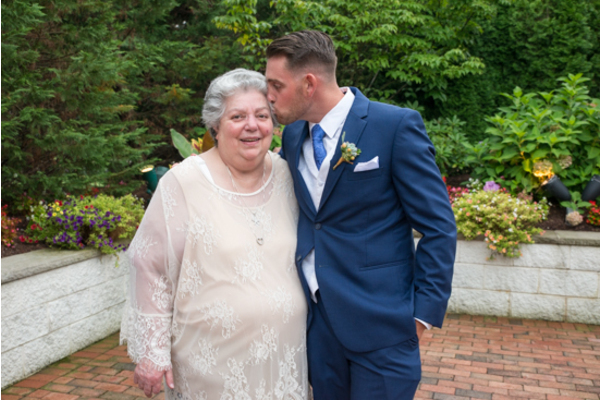 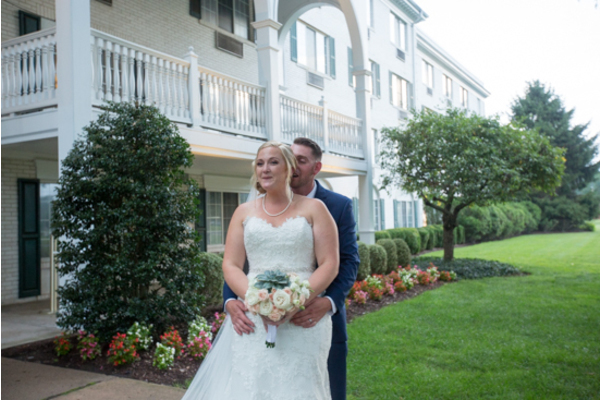 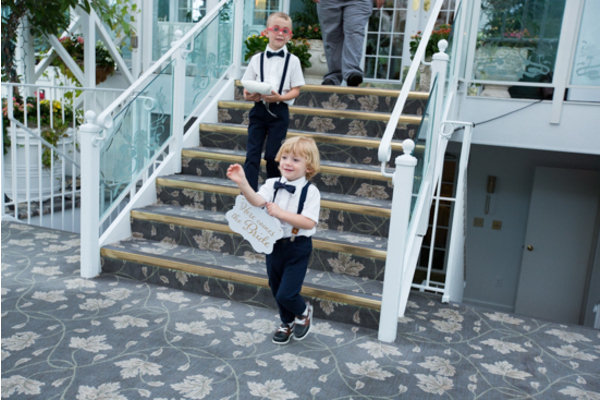 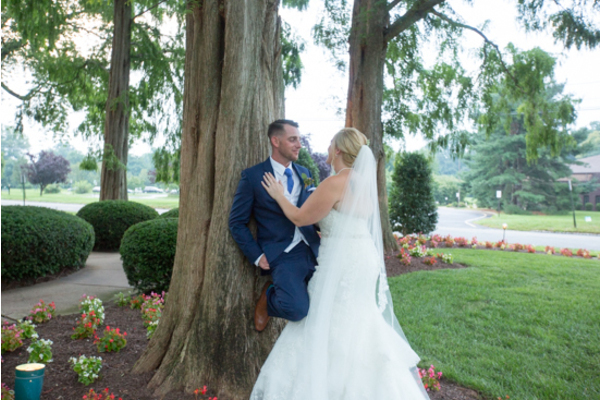 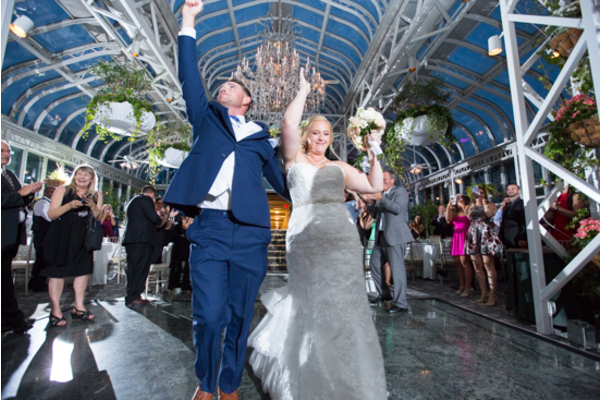 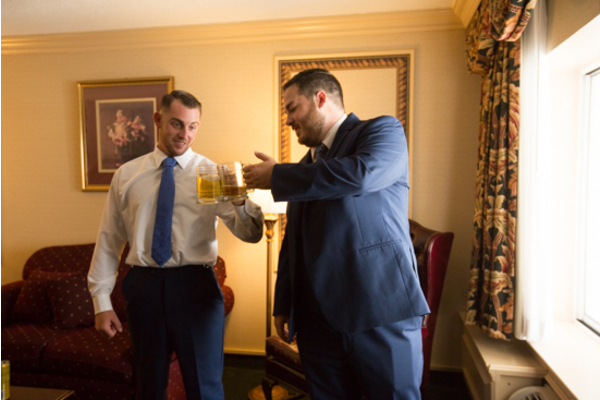 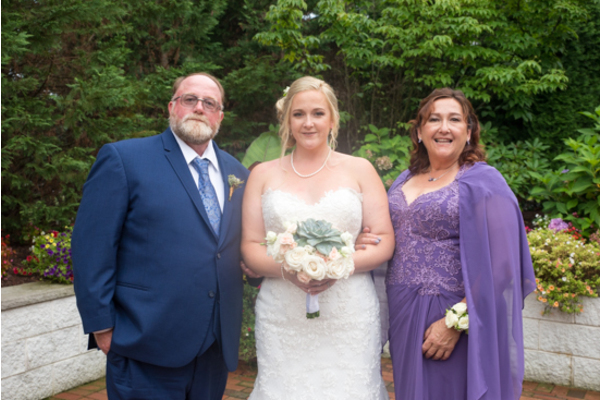 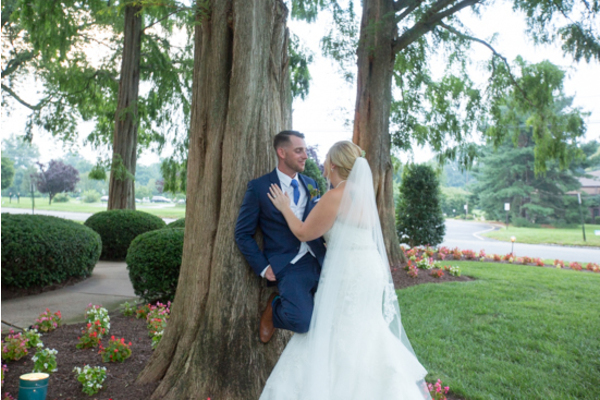 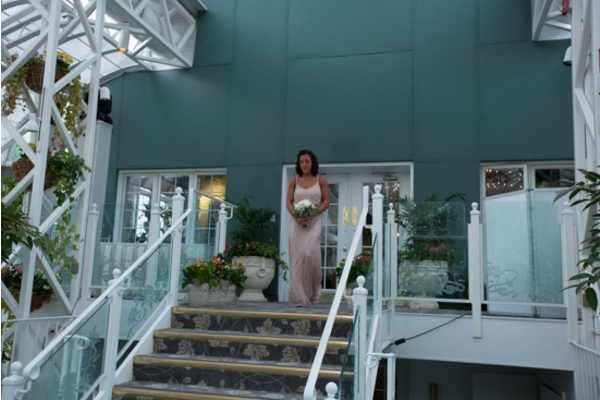 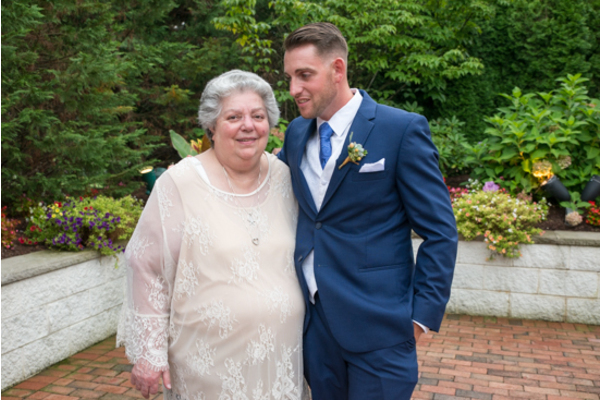 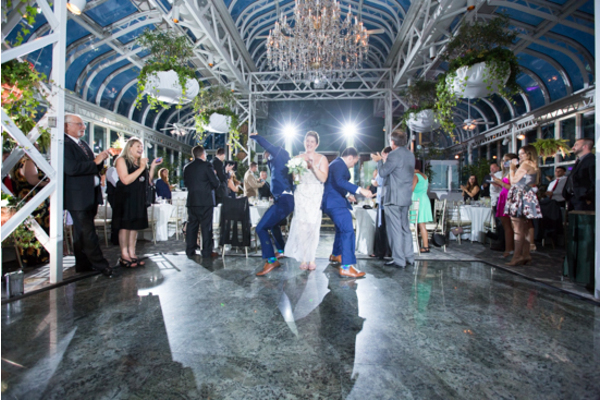 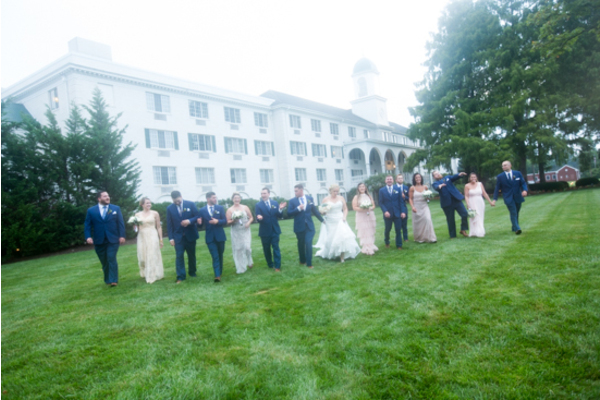 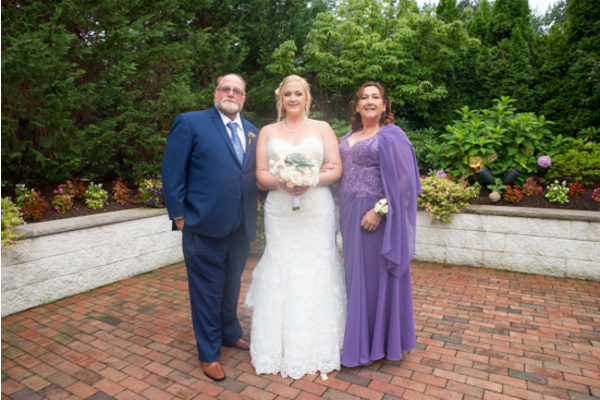 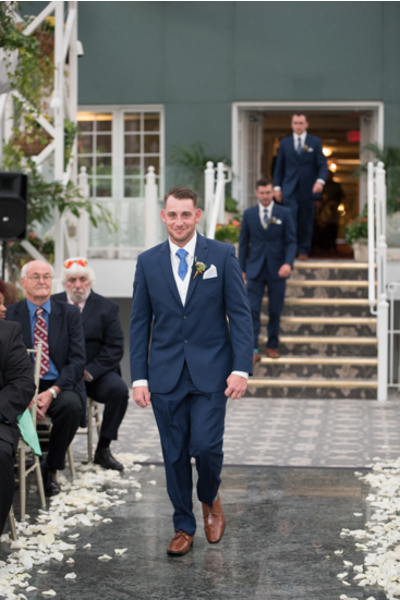 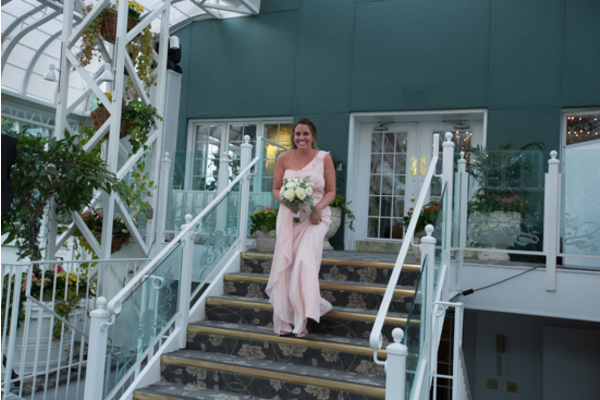 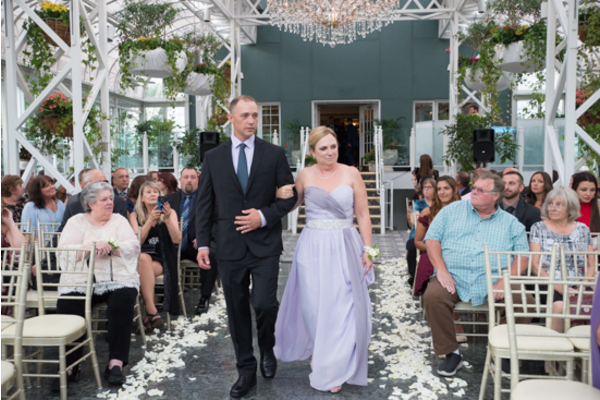 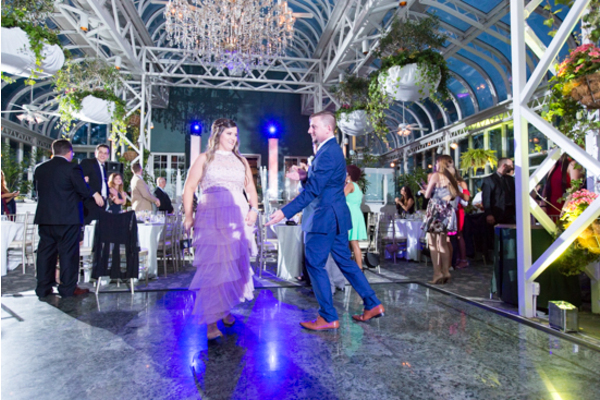 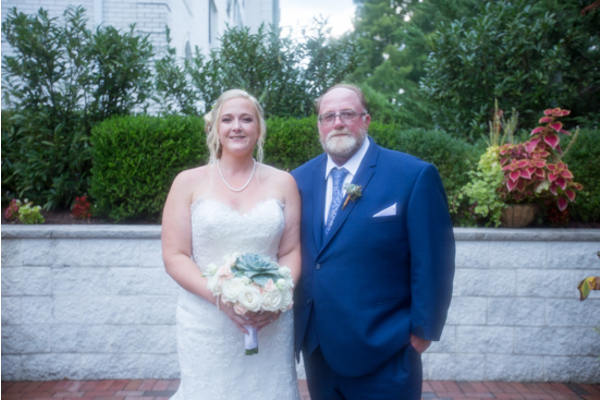 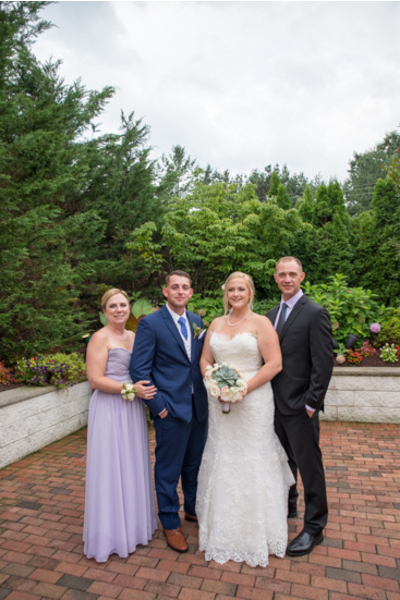 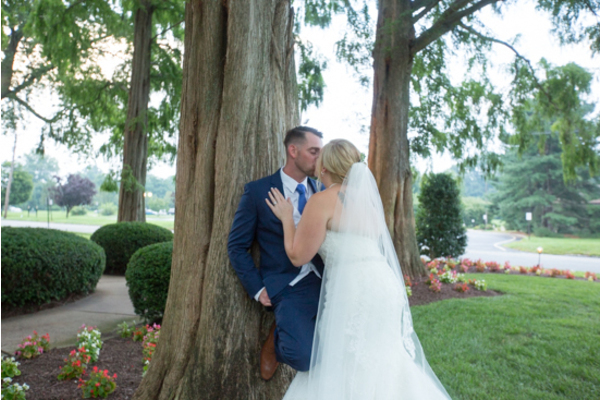 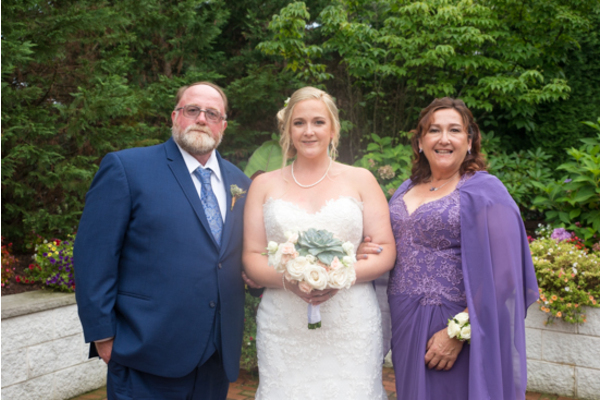 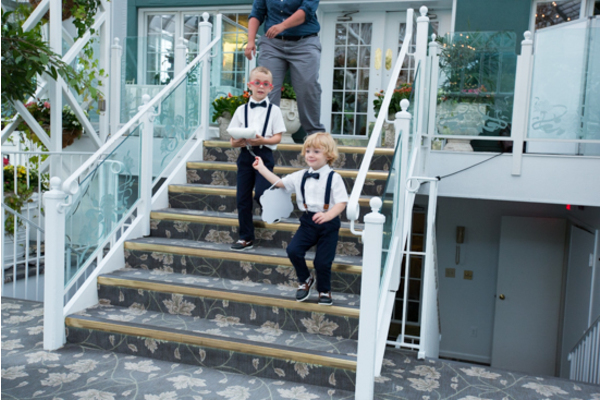 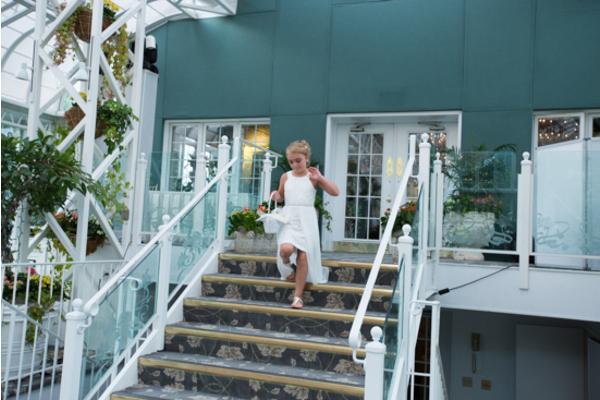 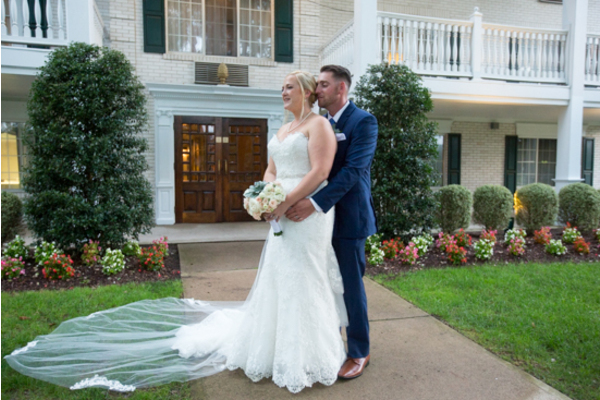 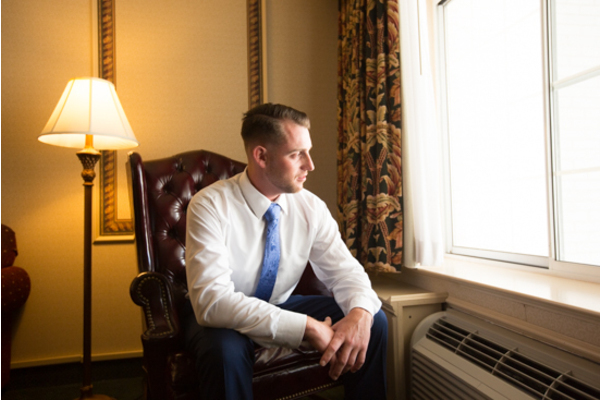 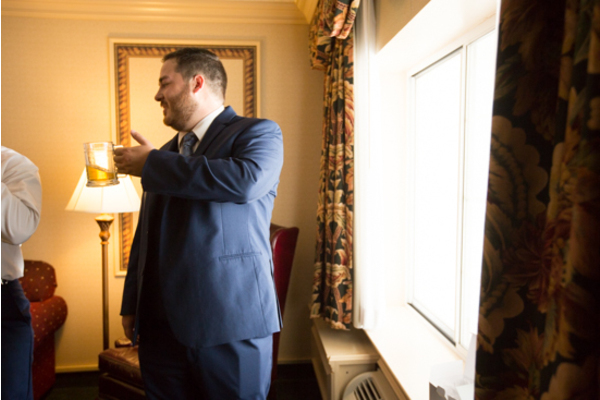 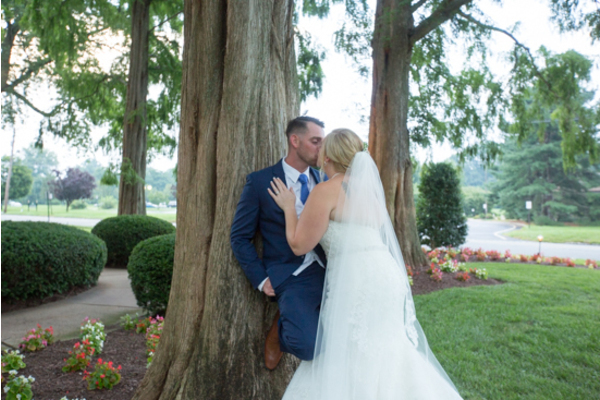 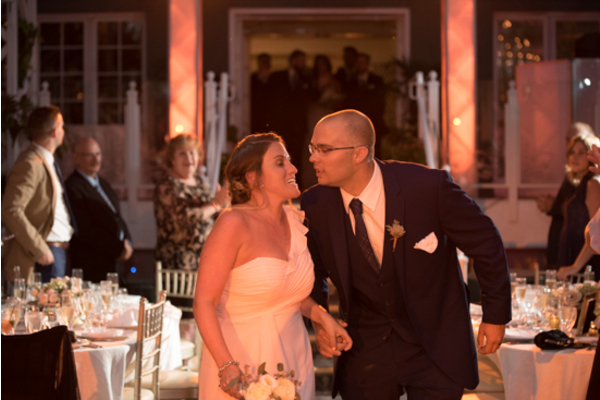 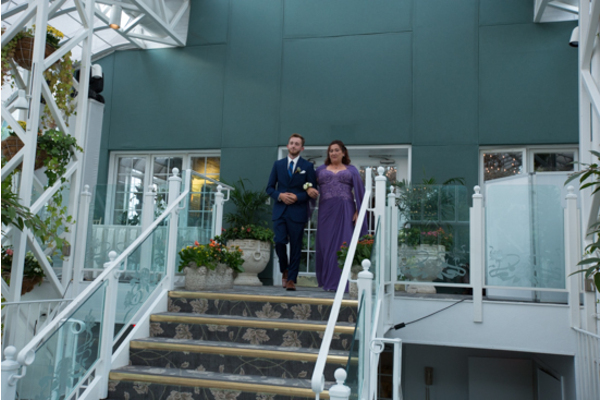 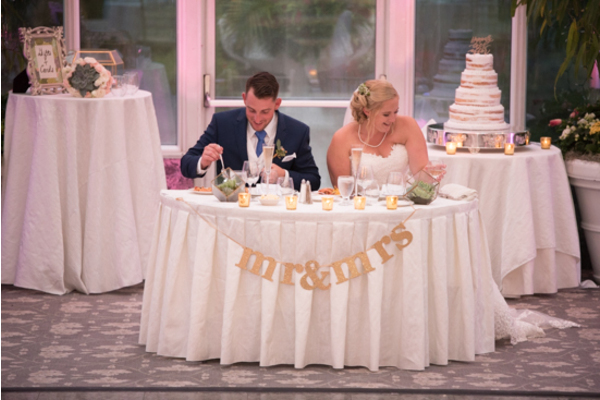 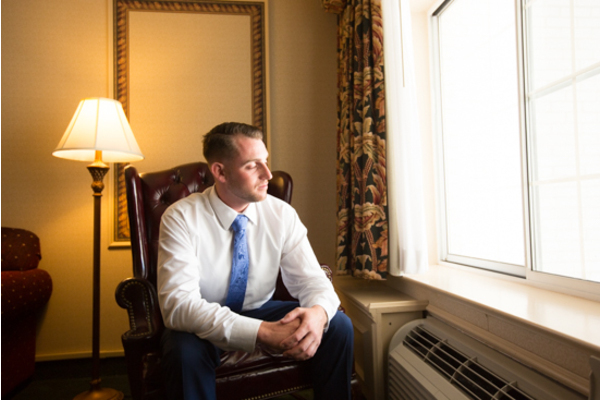 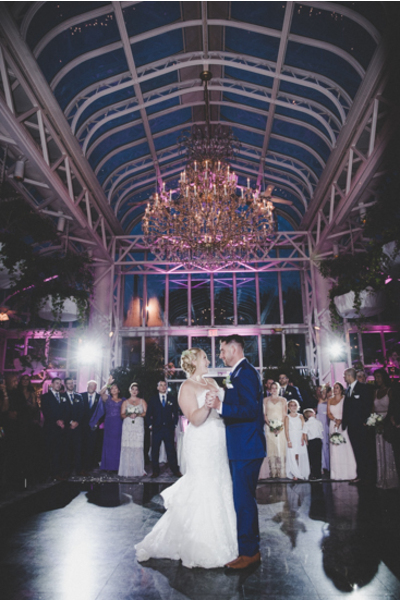 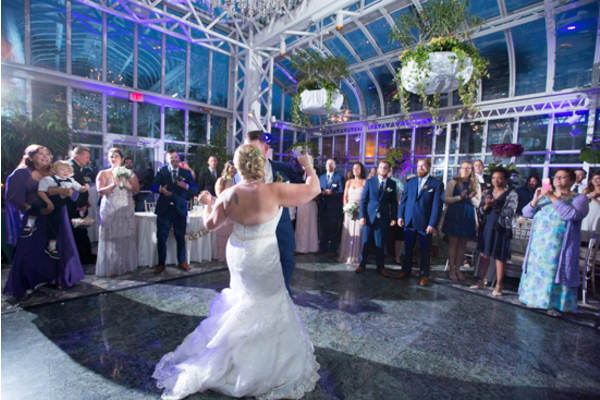 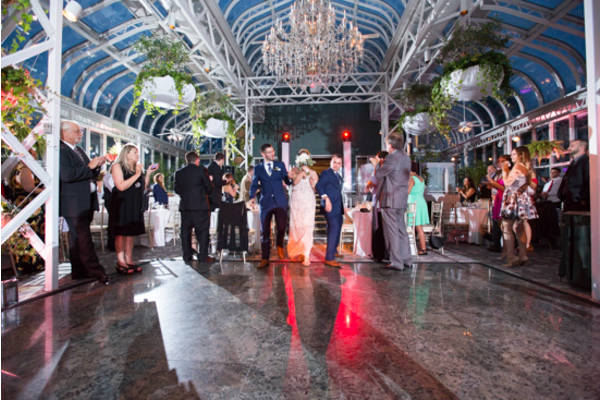 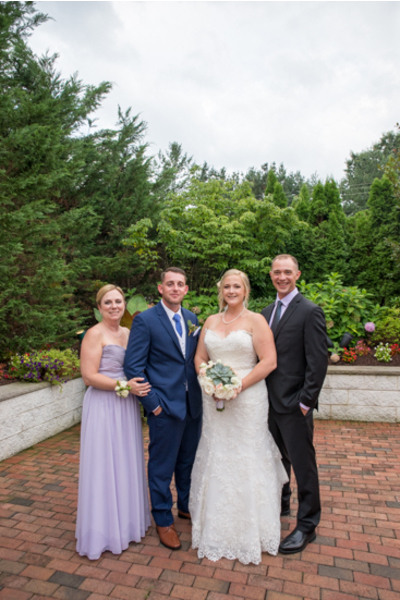 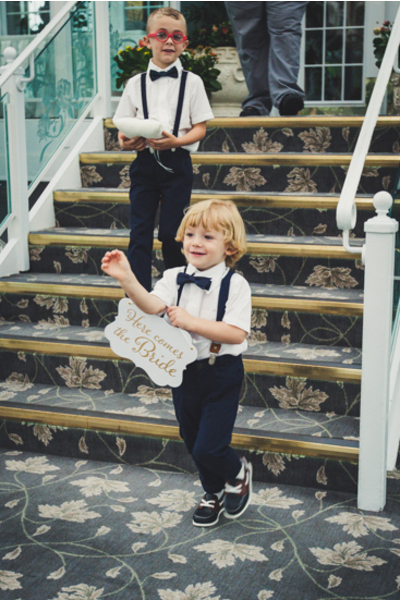 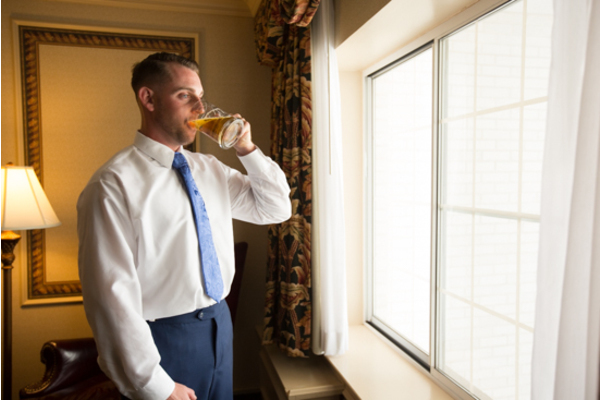 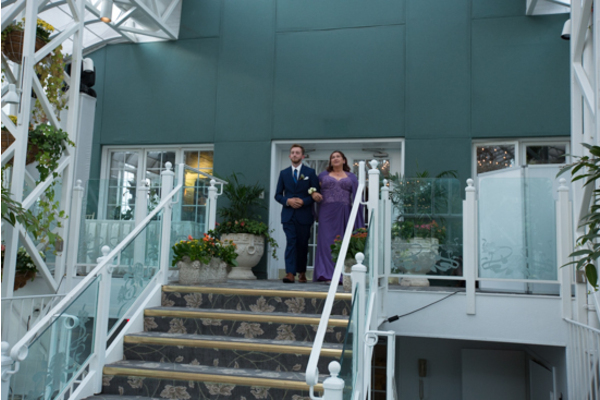 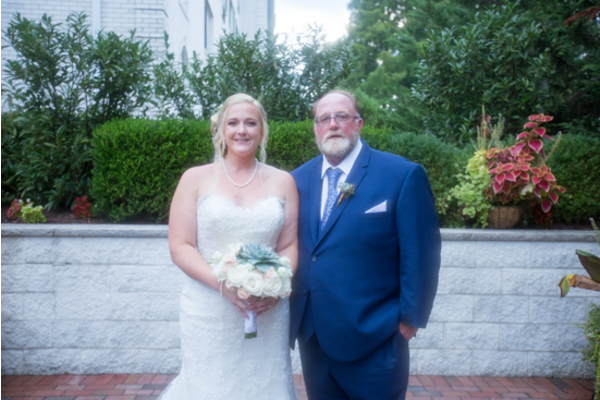 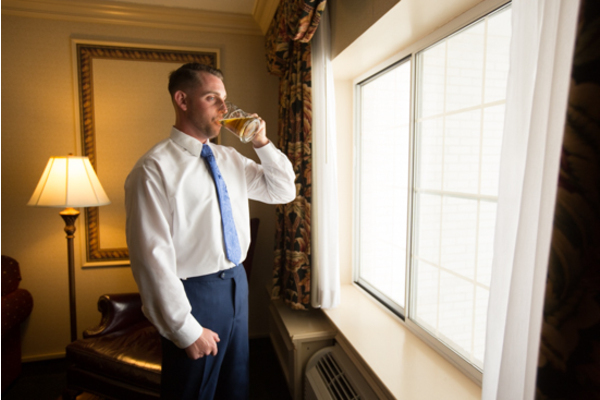 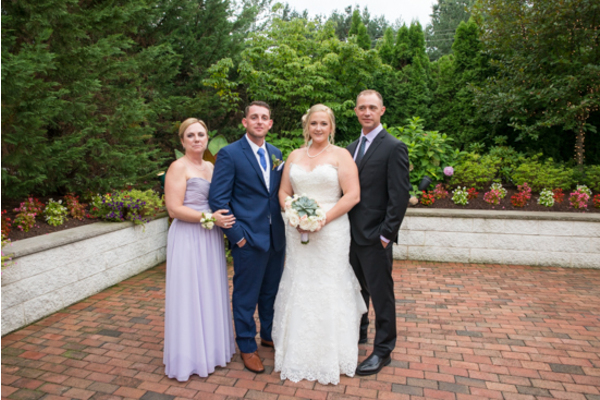 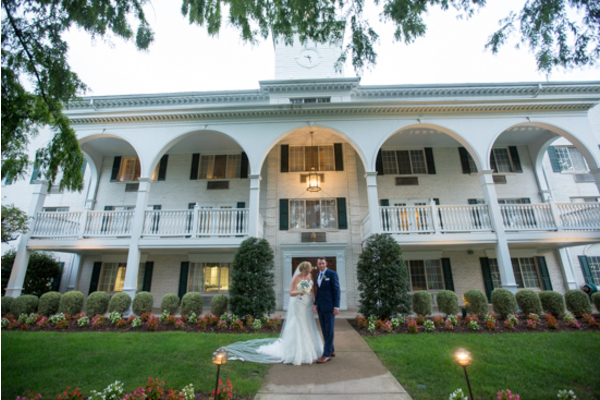 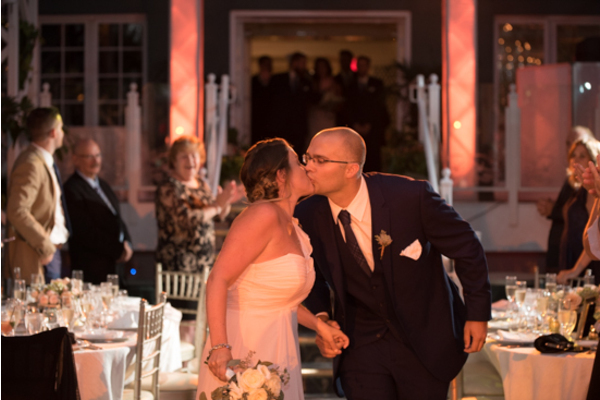 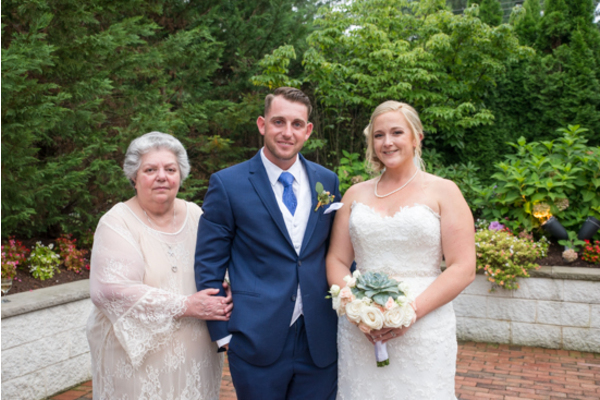 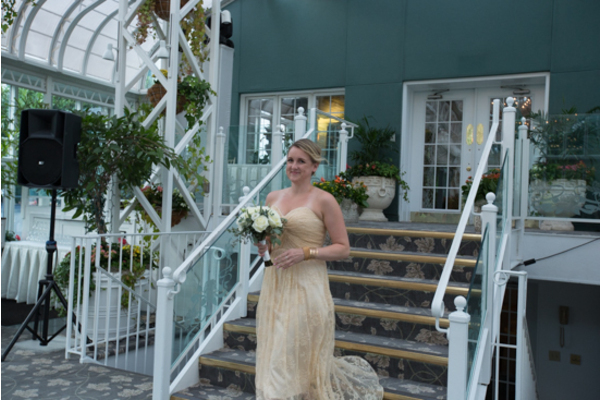 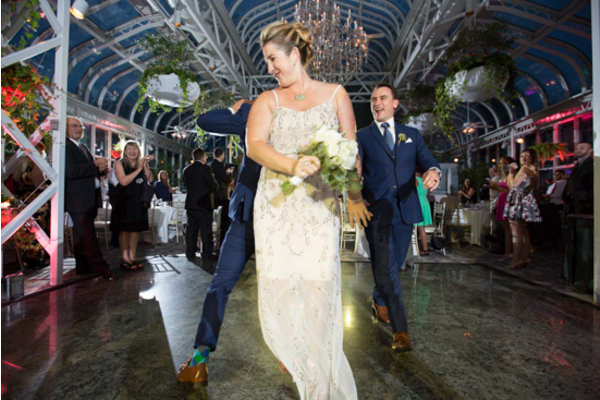 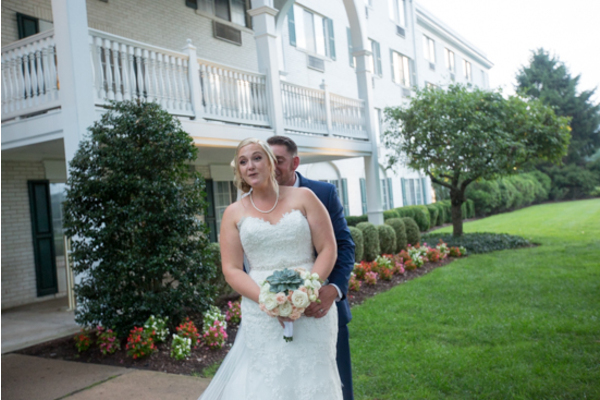 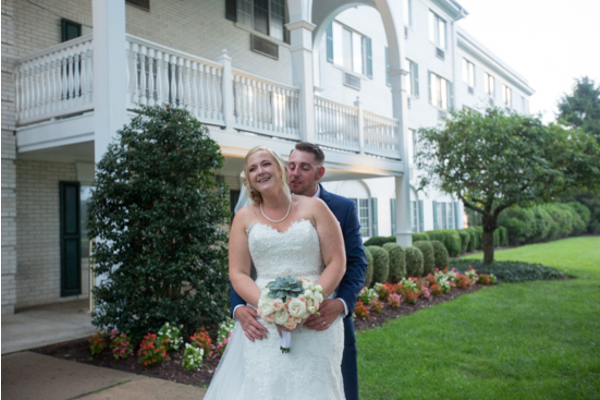 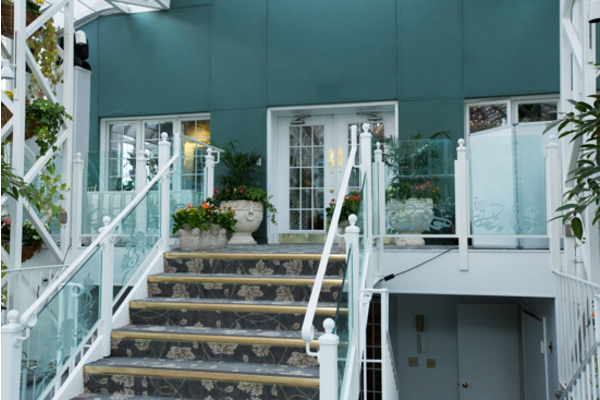 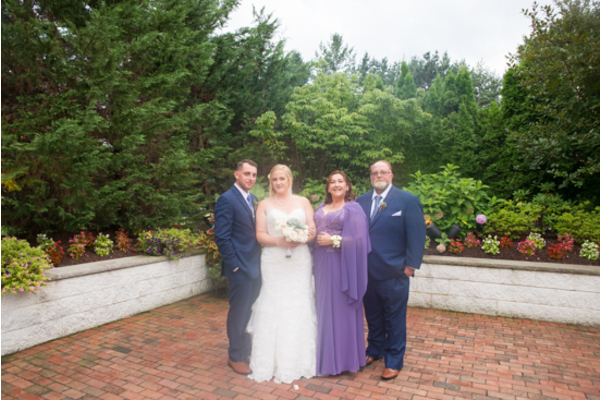 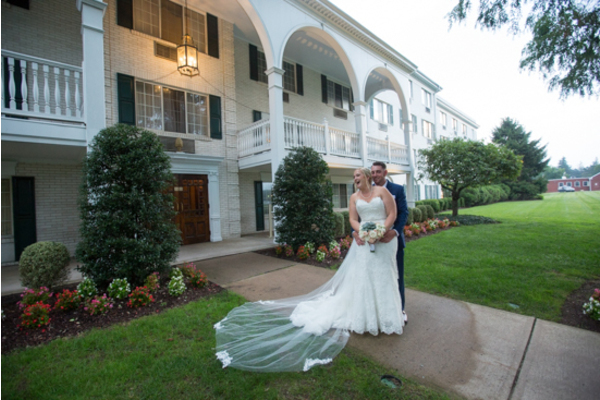 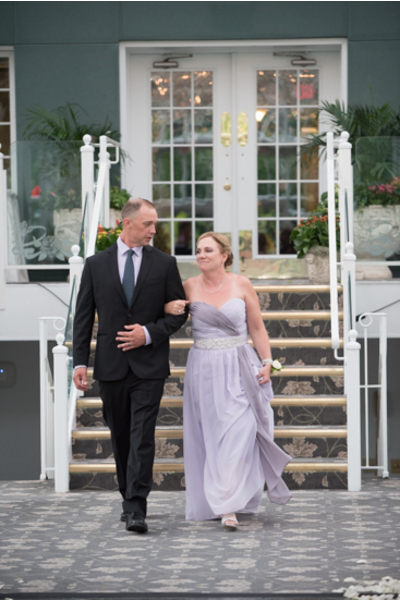 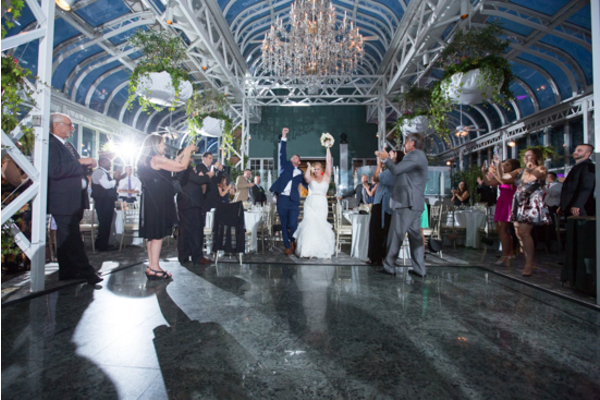 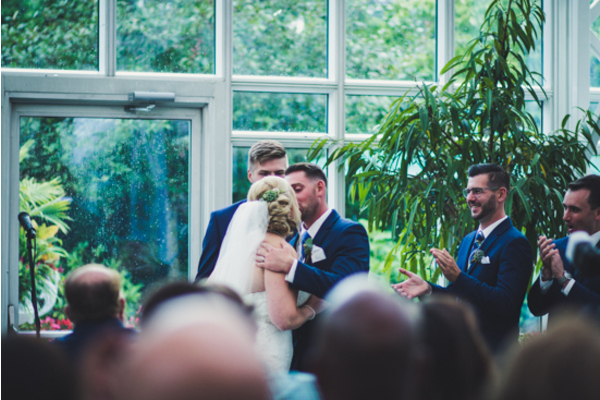 This happy couple turned moments into memories at The Madison Hotel in Morristown, NJ. 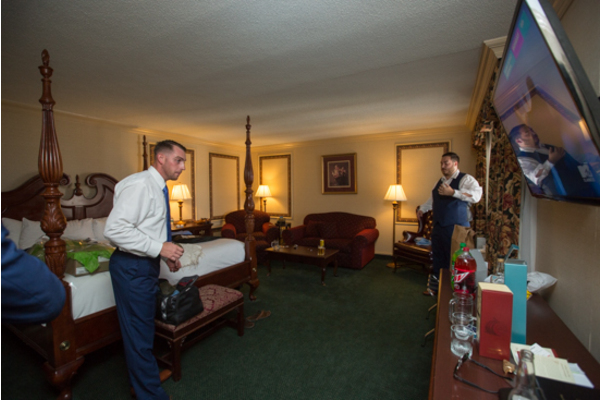 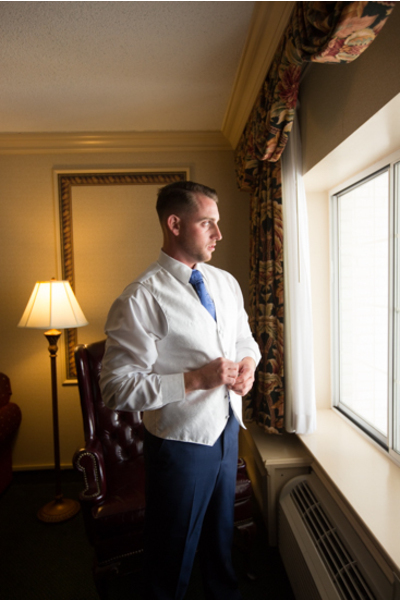 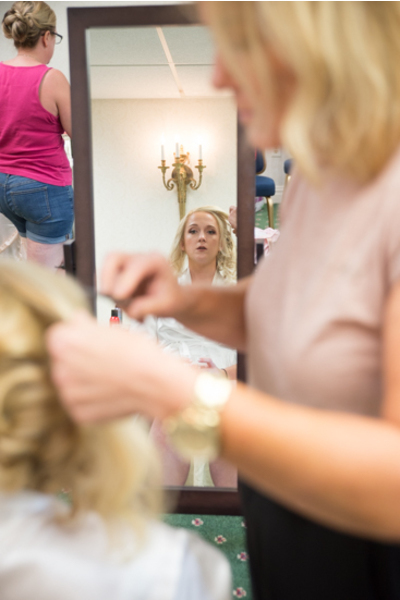 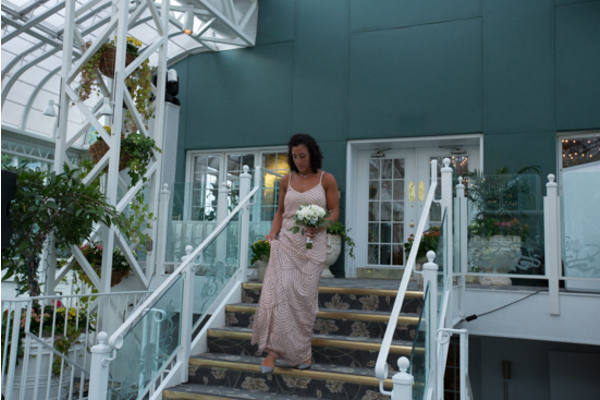 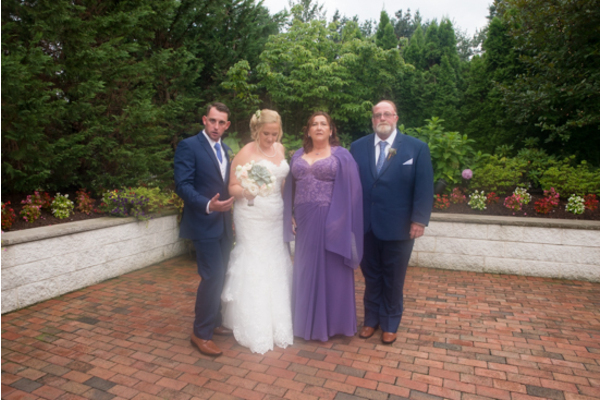 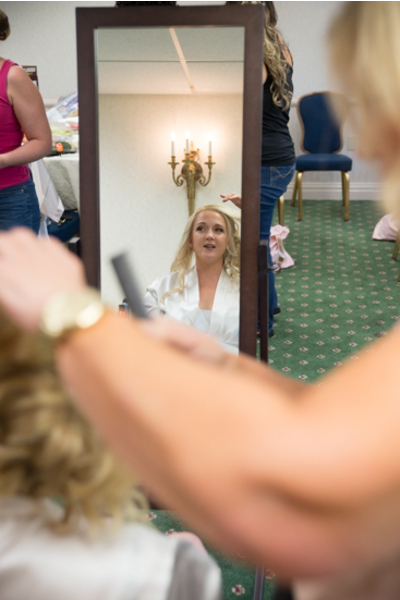 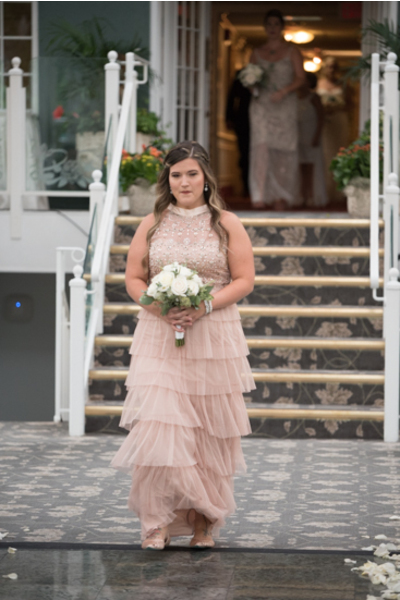 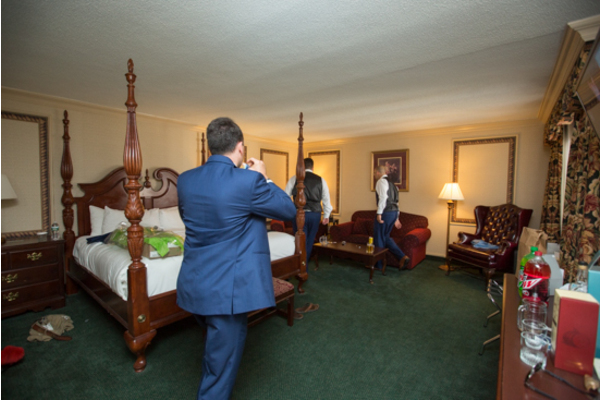 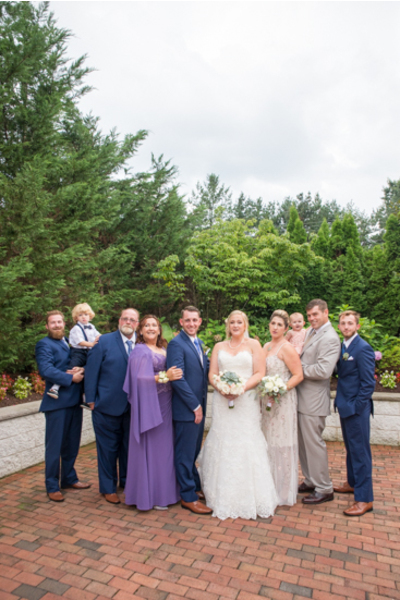 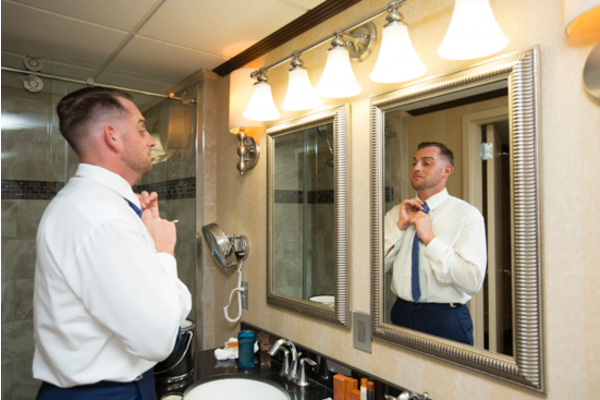 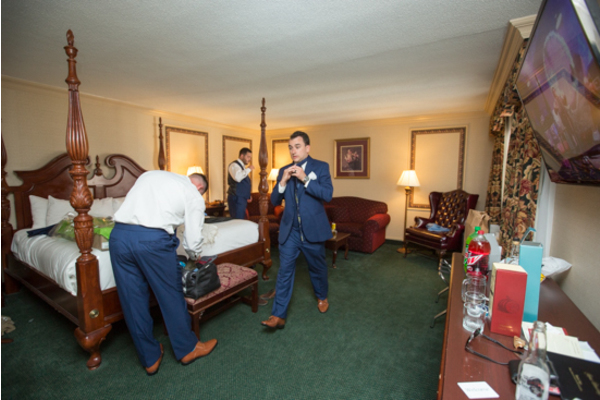 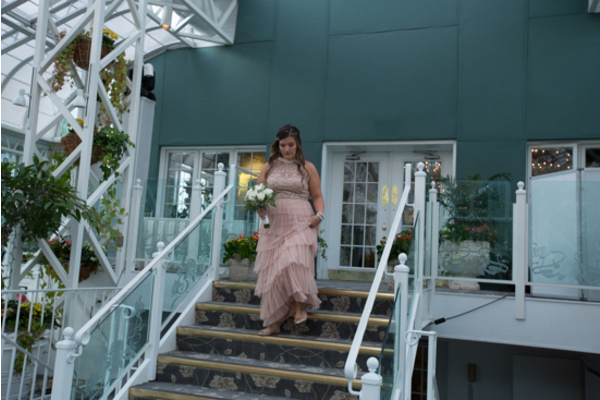 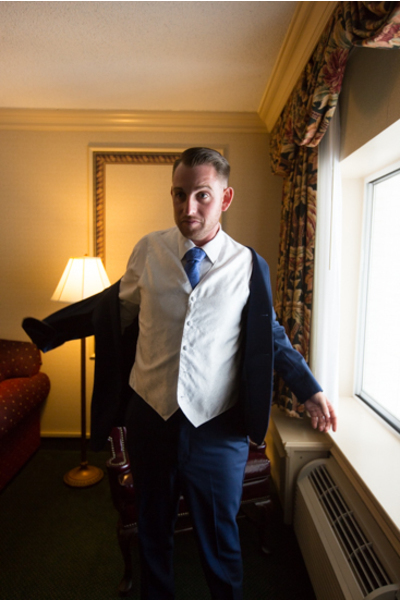 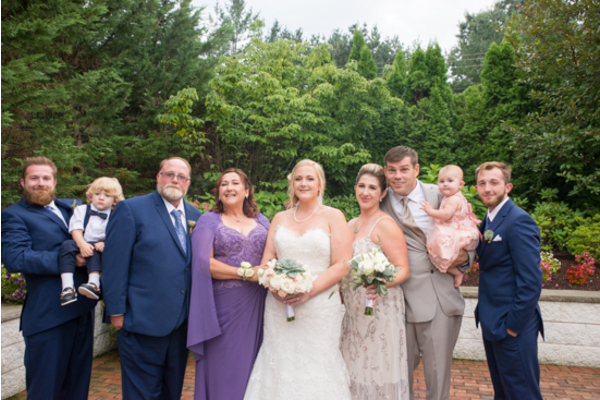 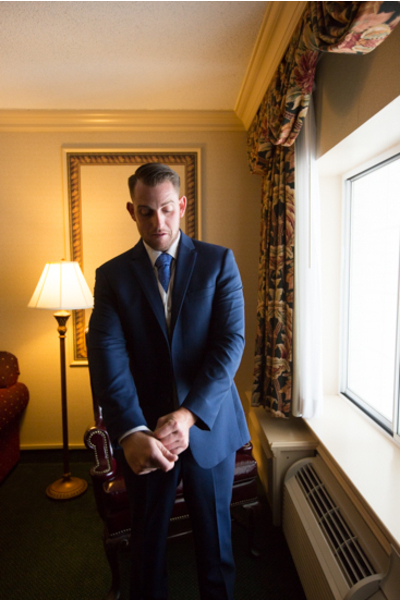 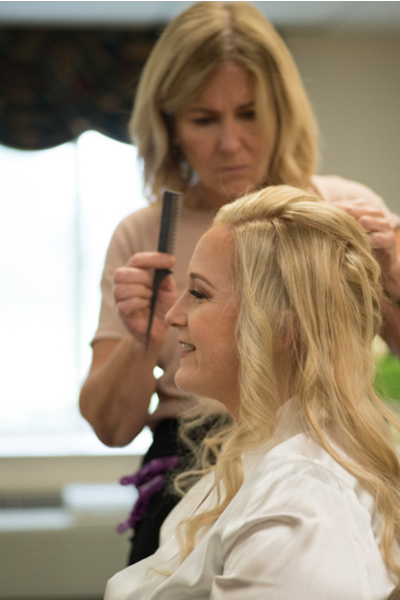 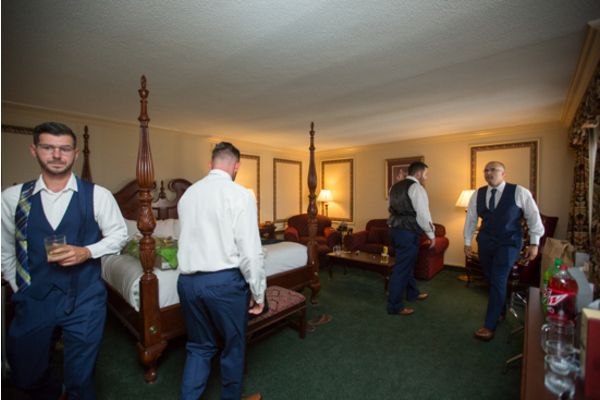 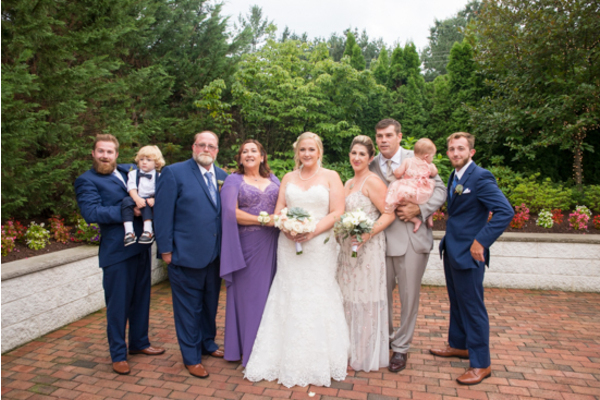 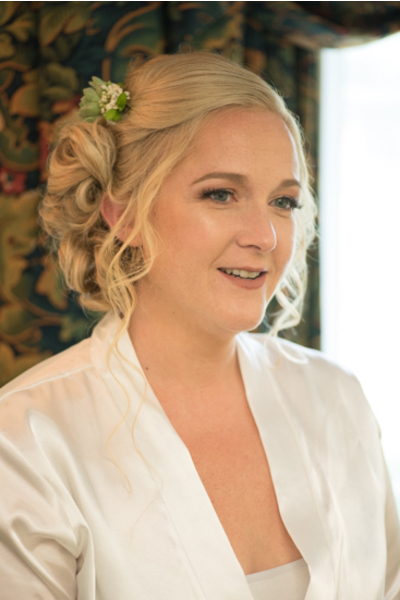 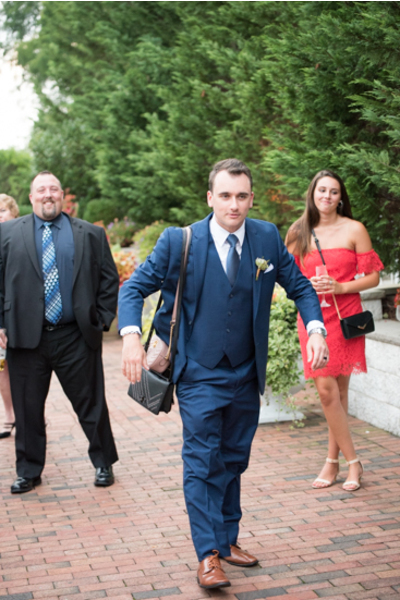 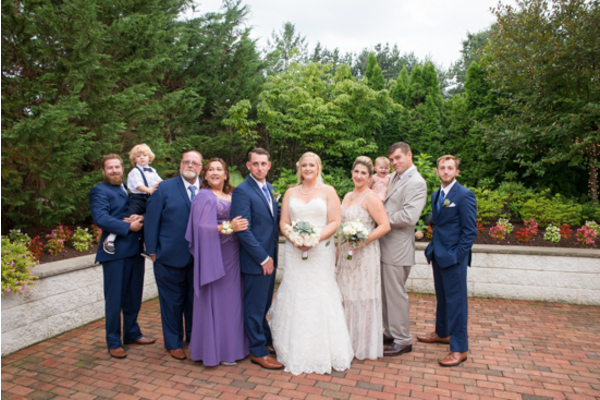 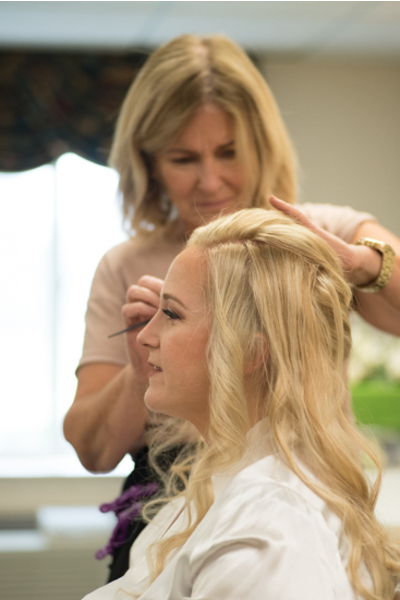 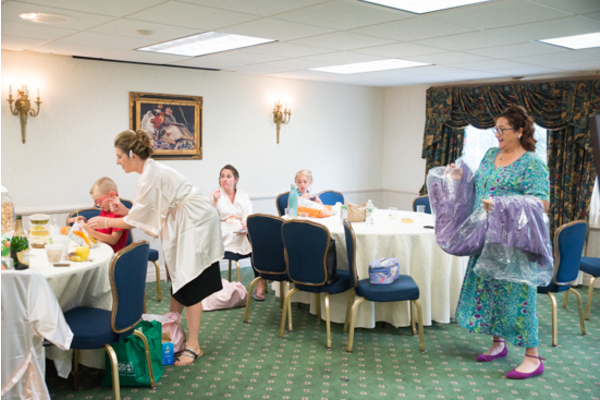 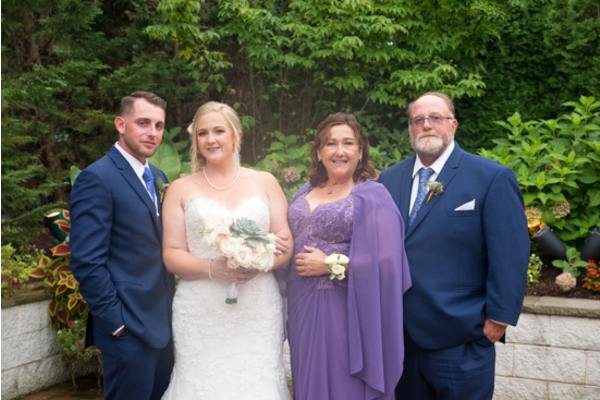 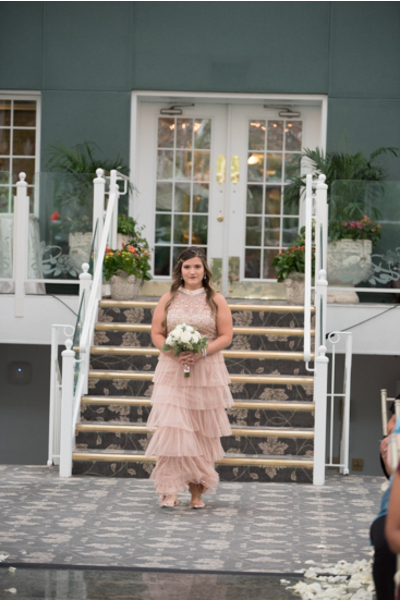 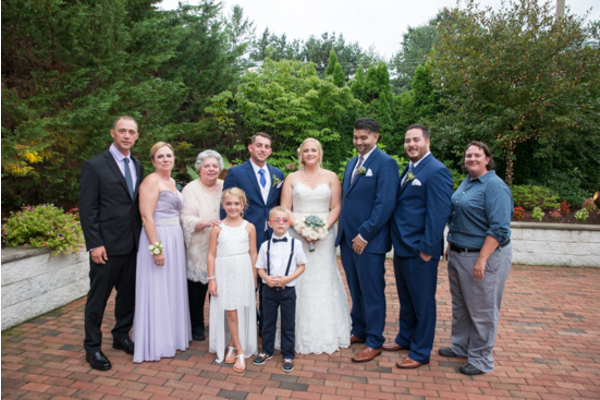 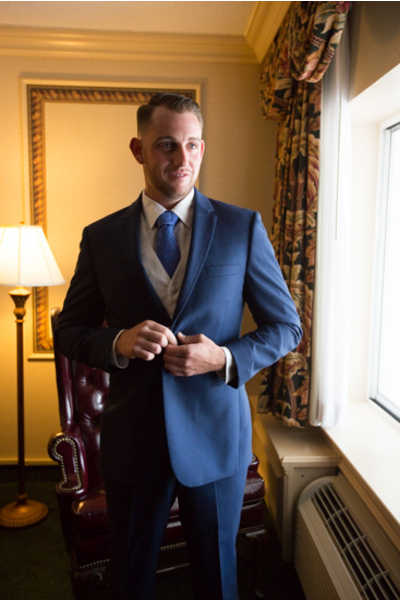 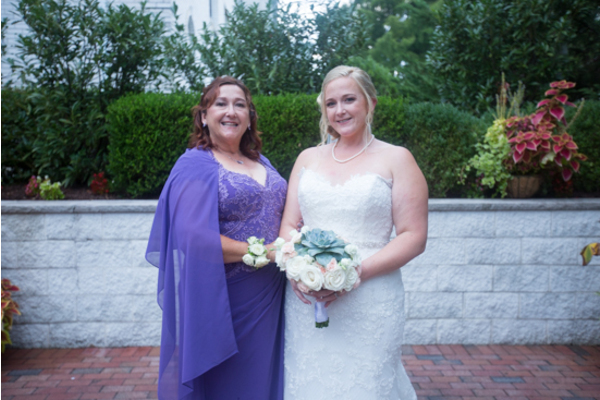 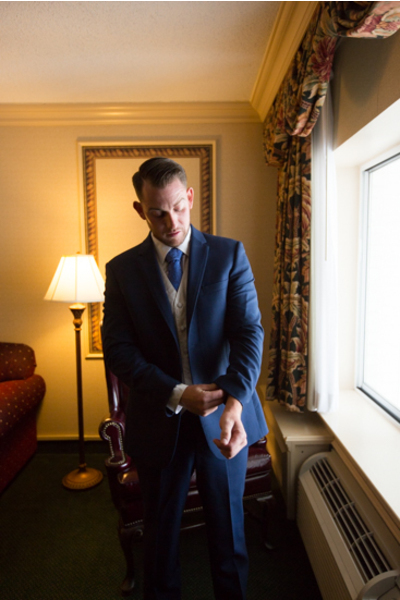 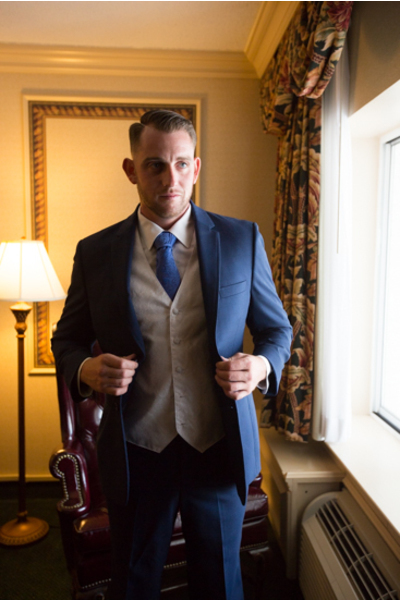 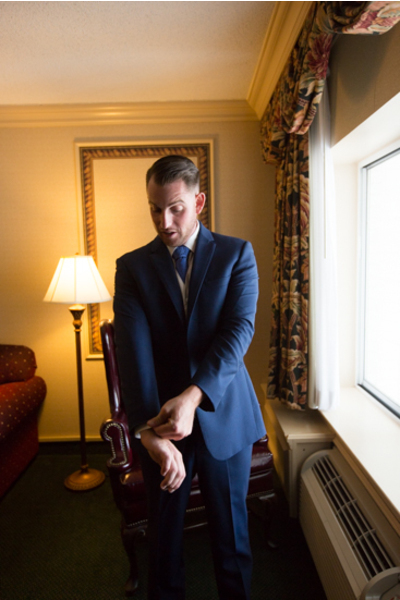 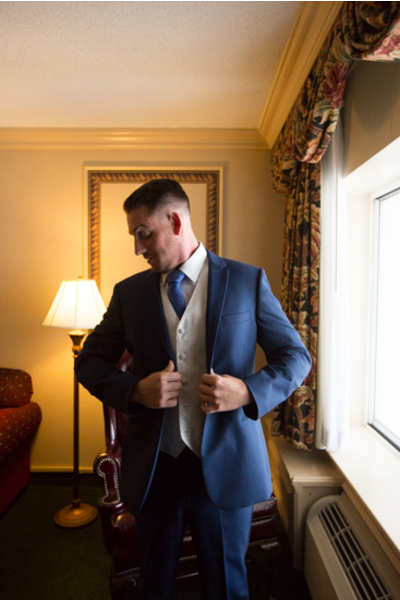 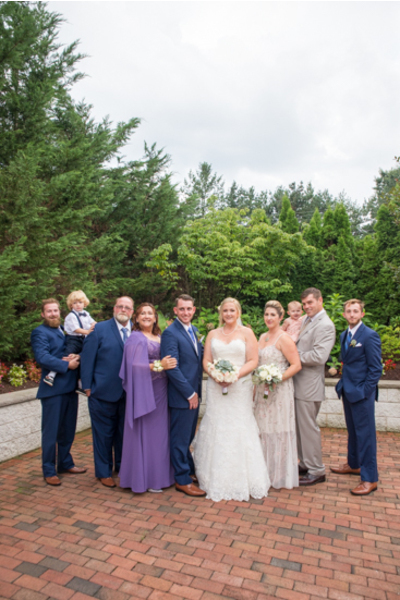 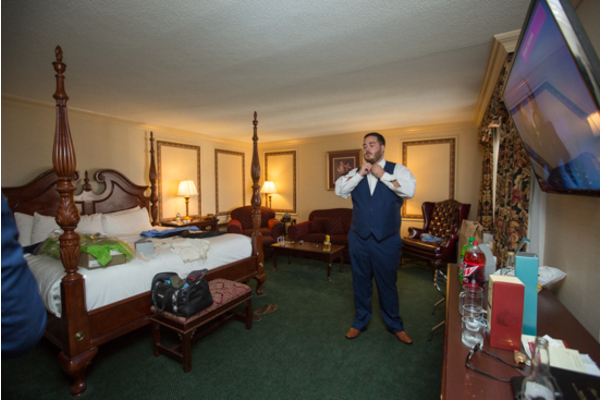 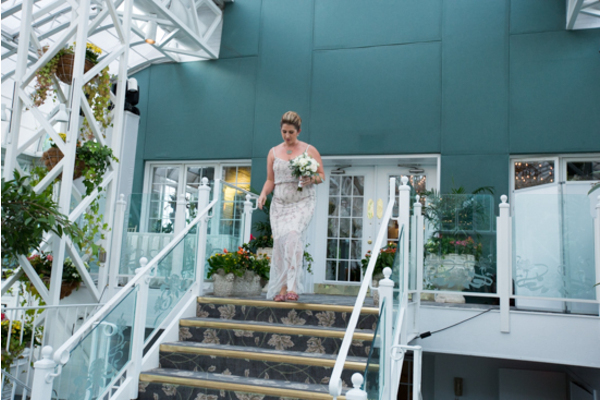 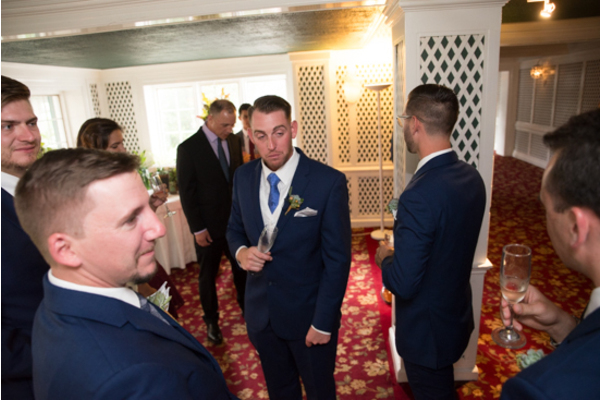 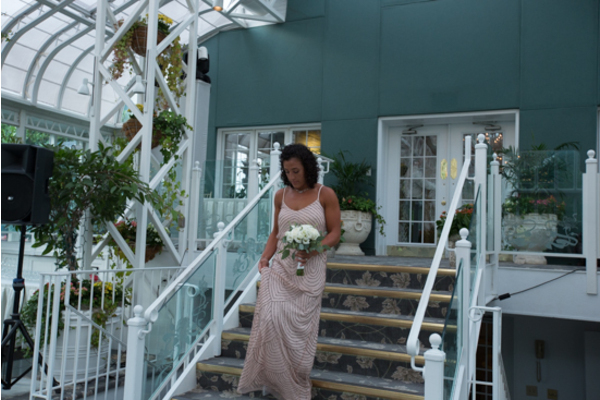 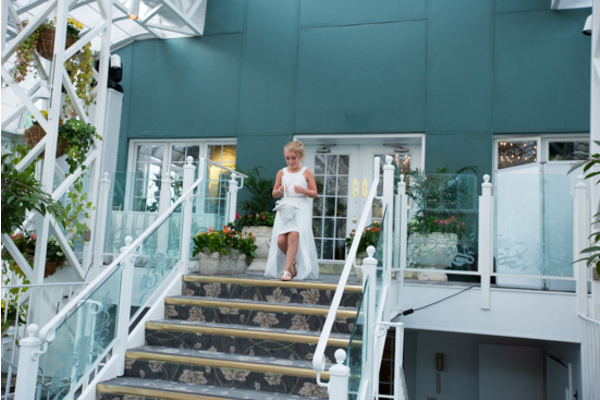 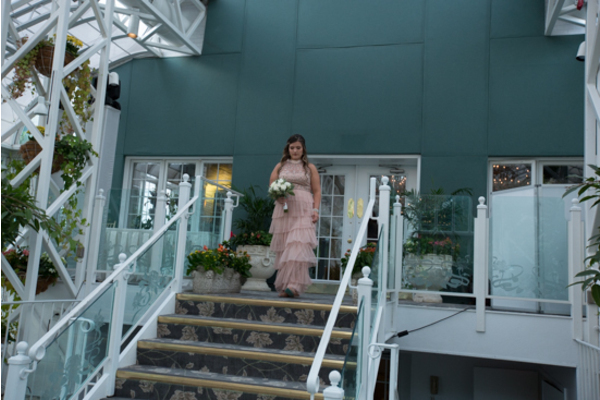 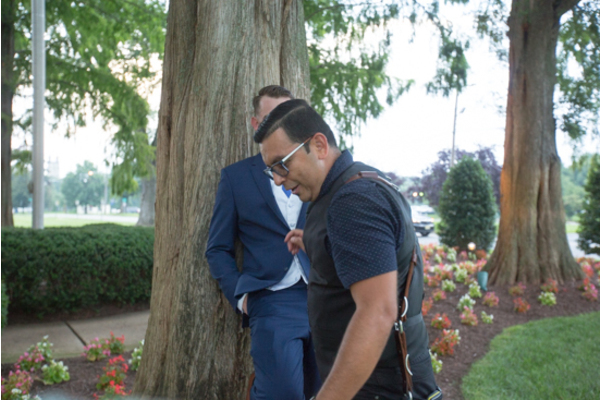 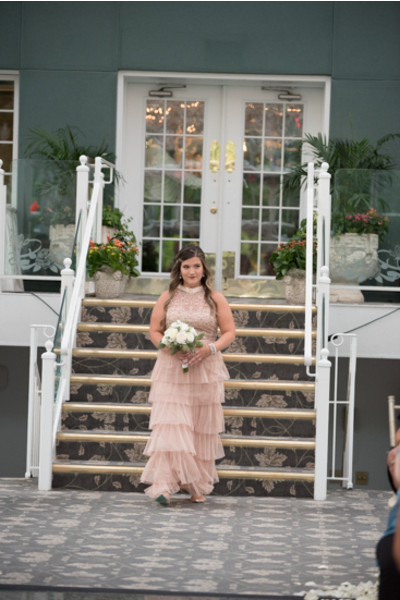 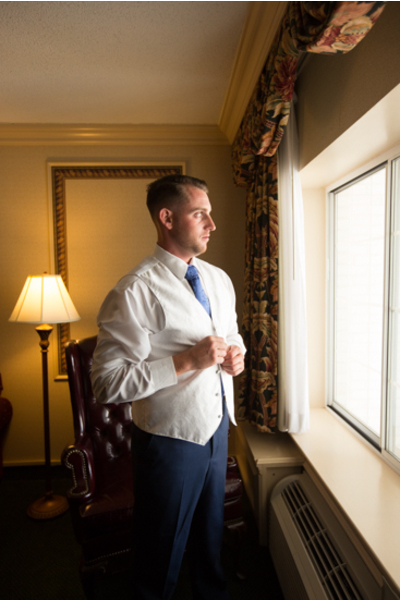 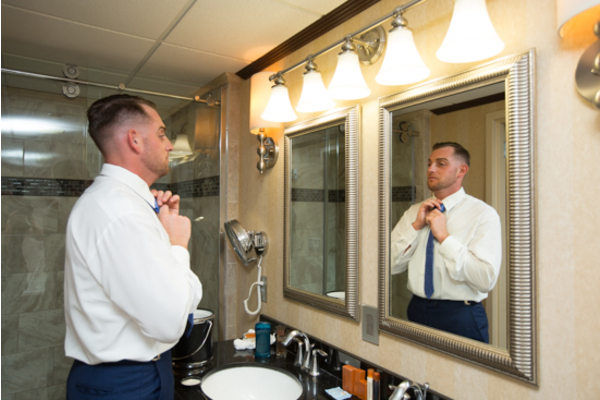 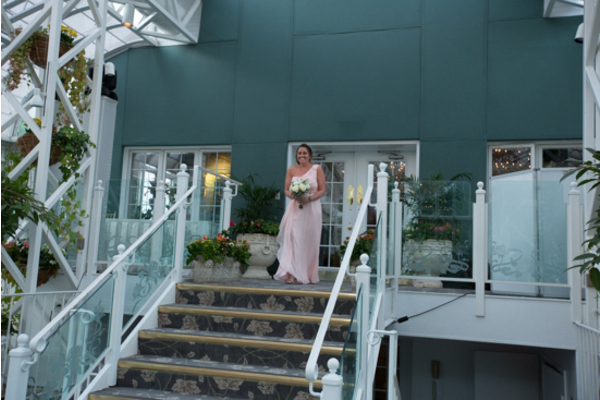 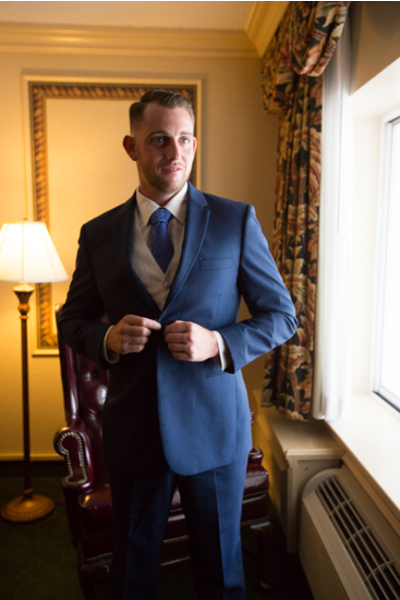 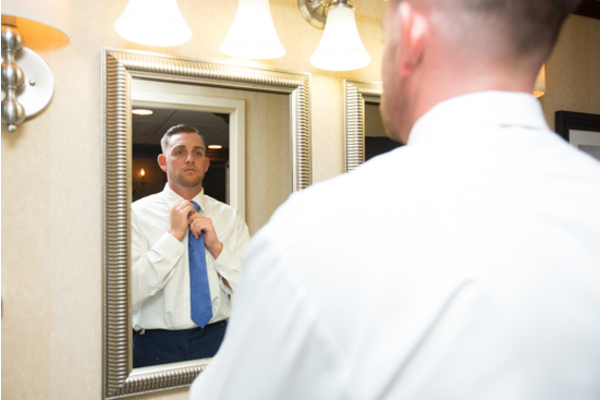 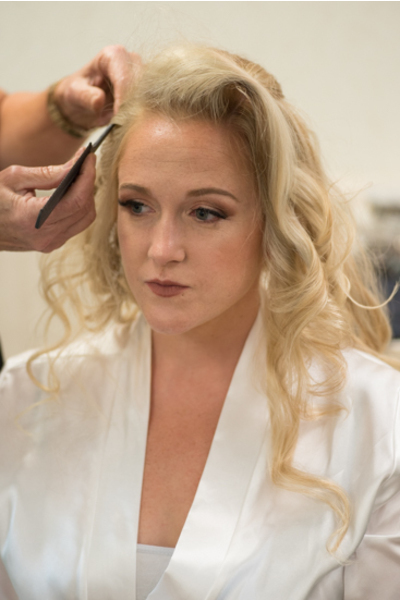 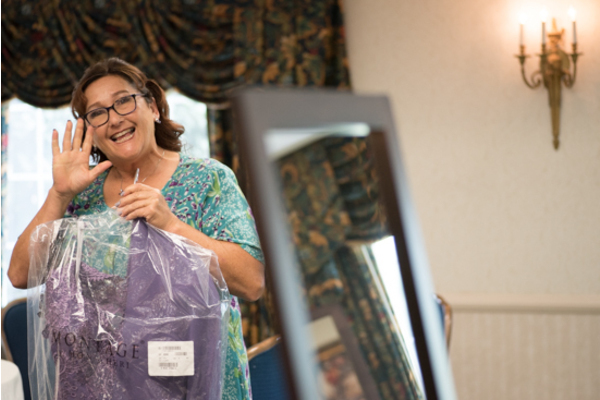 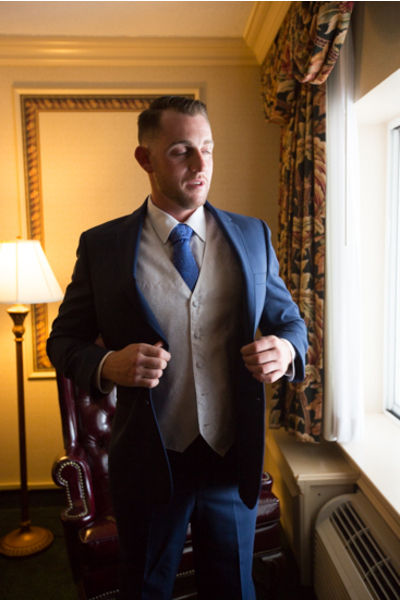 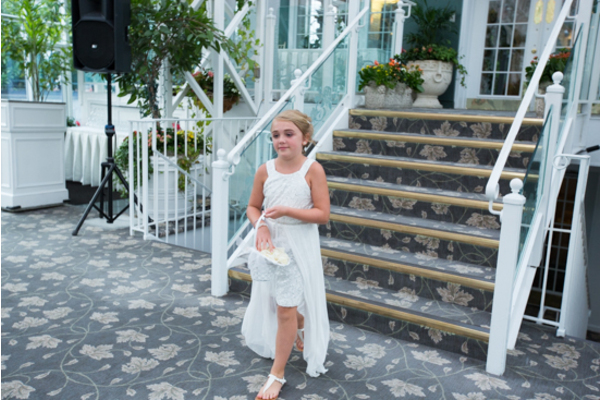 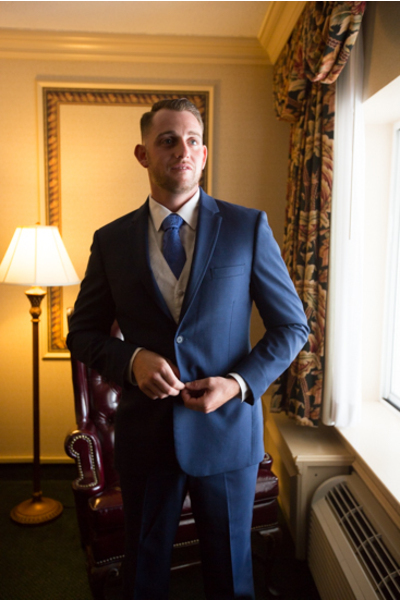 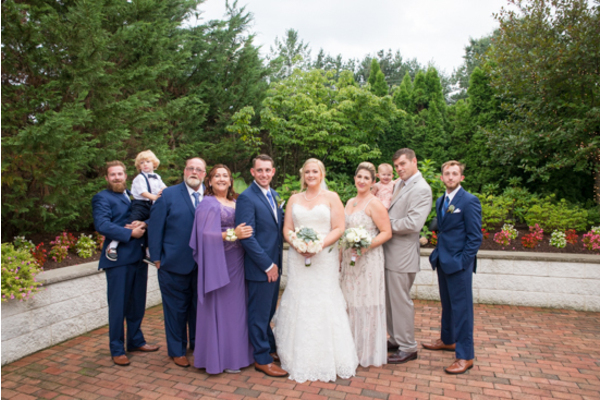 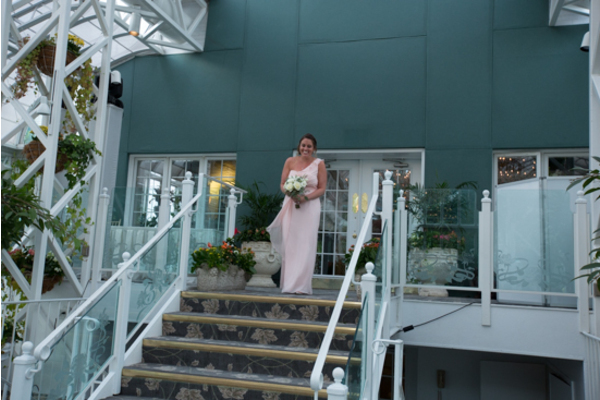 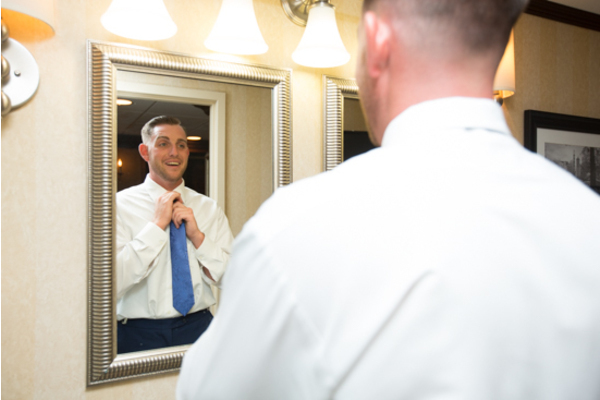 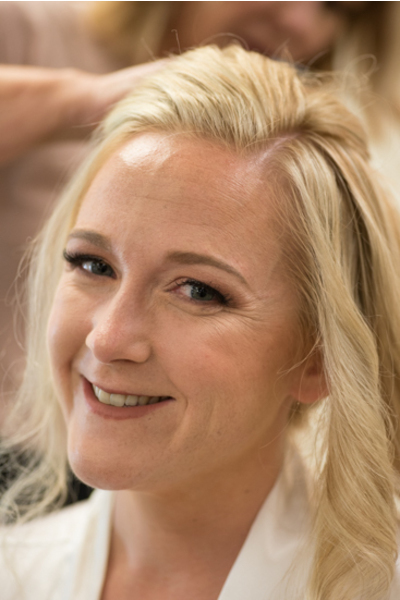 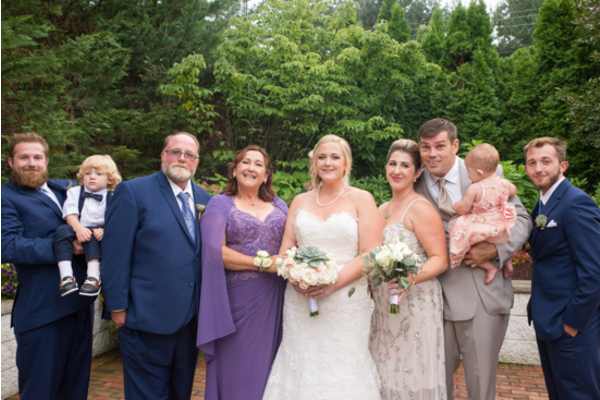 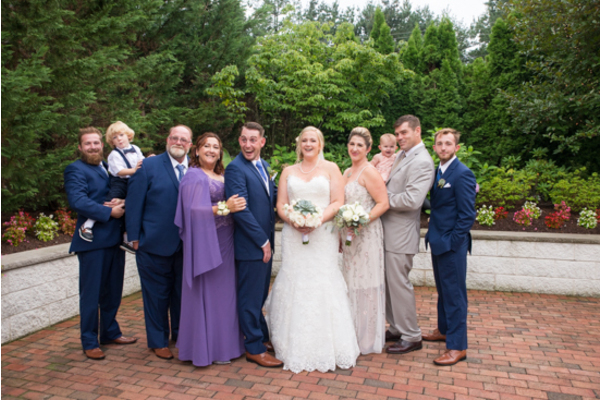 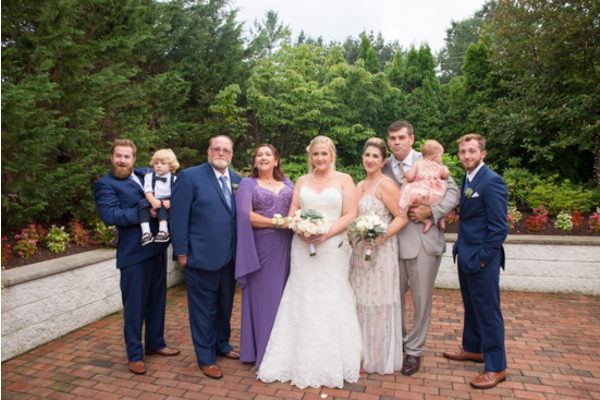 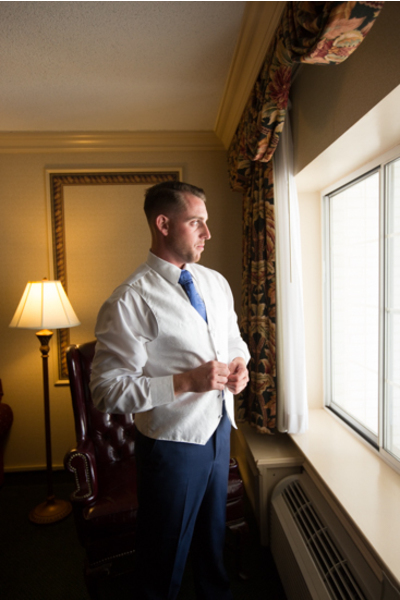 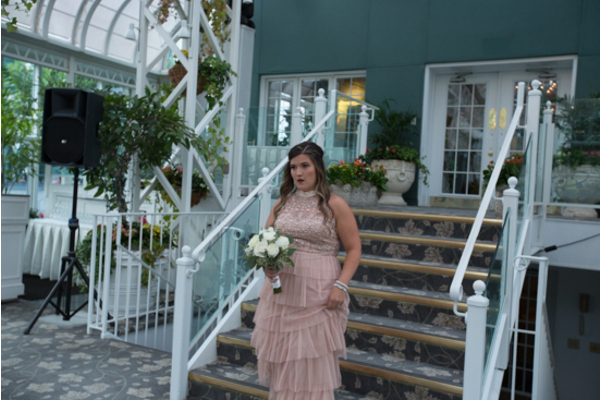 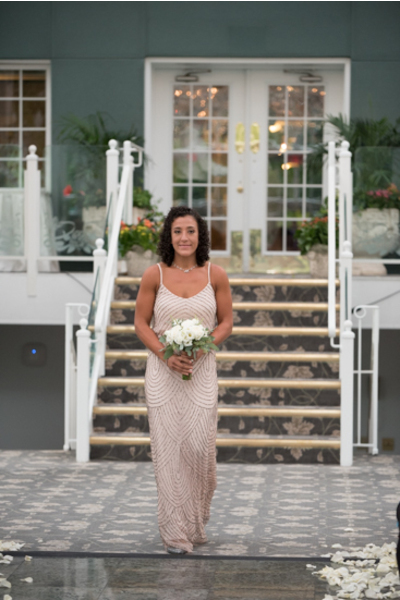 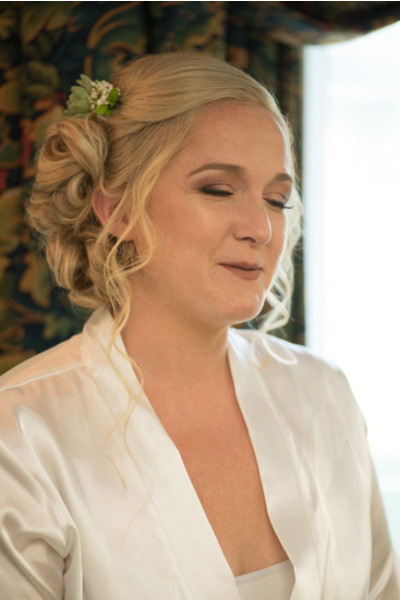 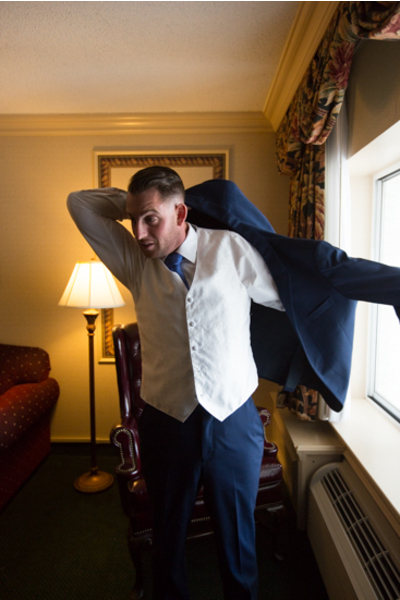 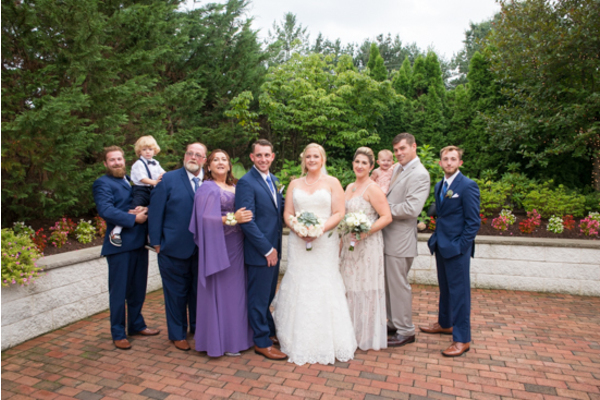 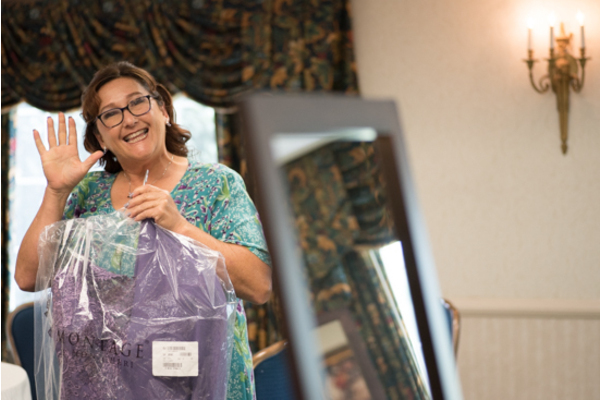 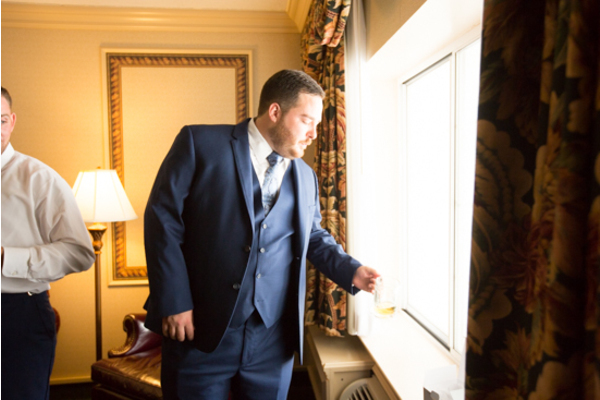 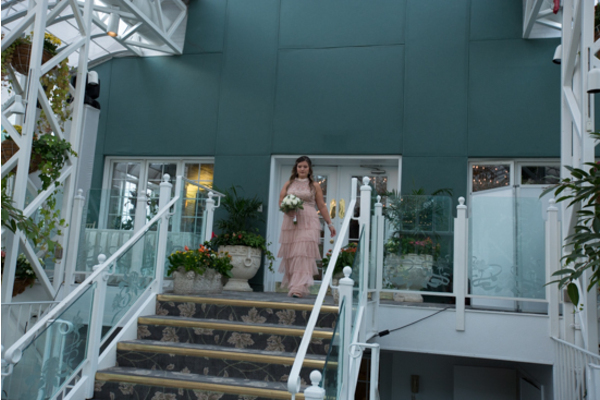 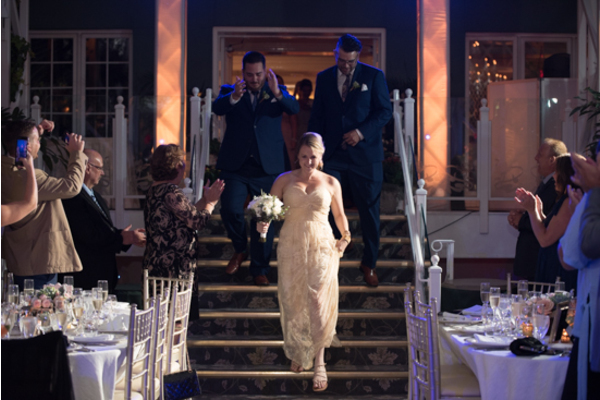 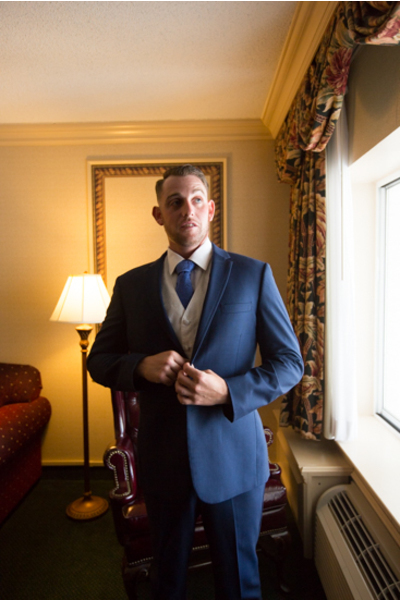 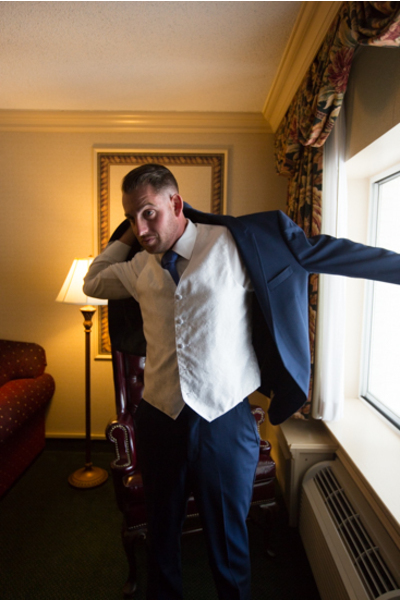 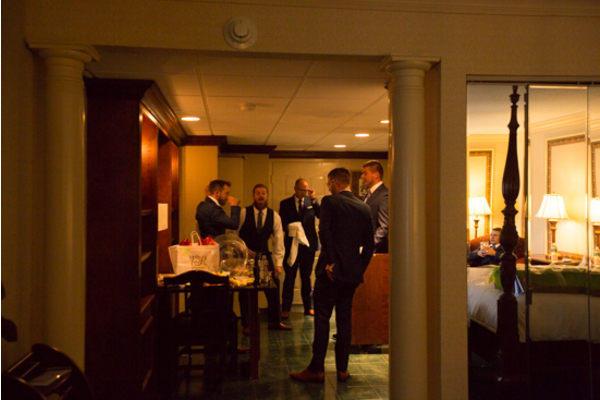 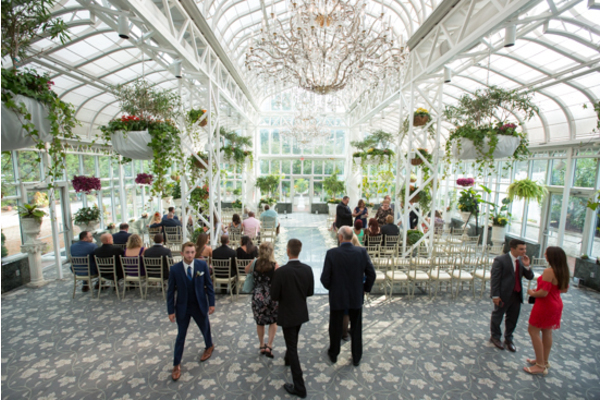 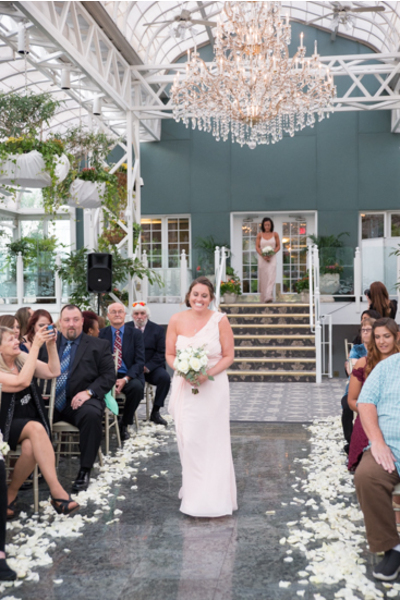 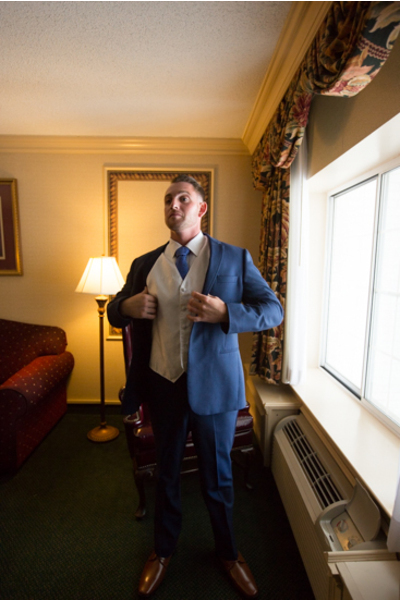 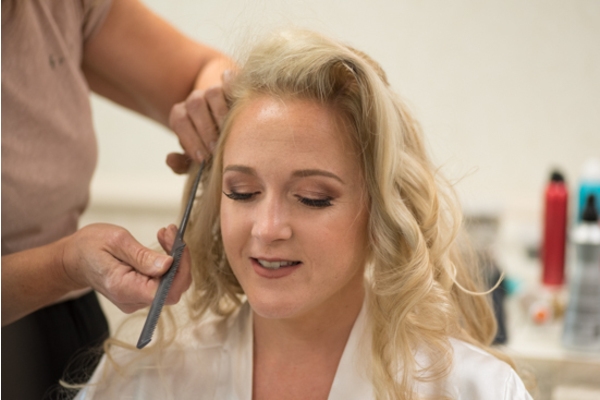 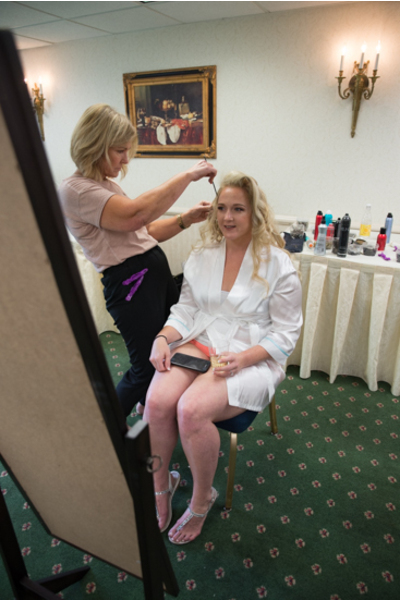 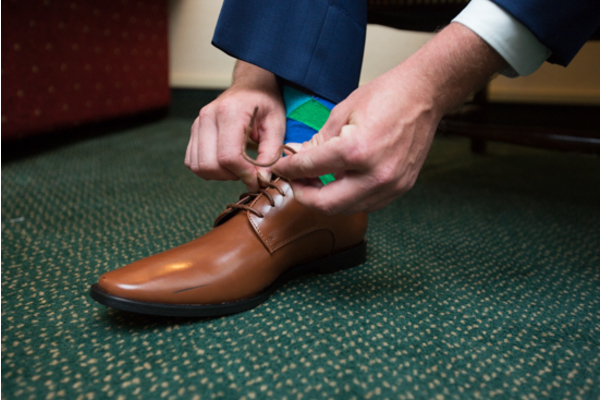 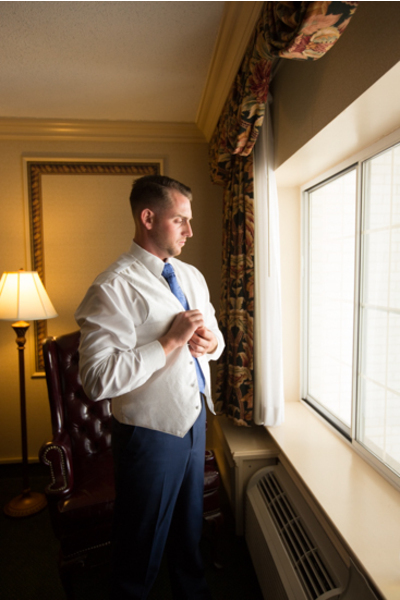 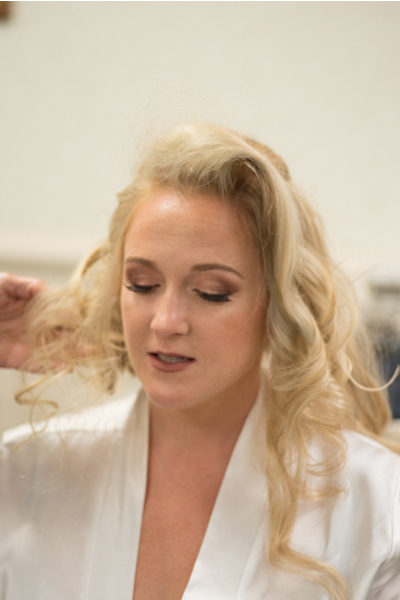 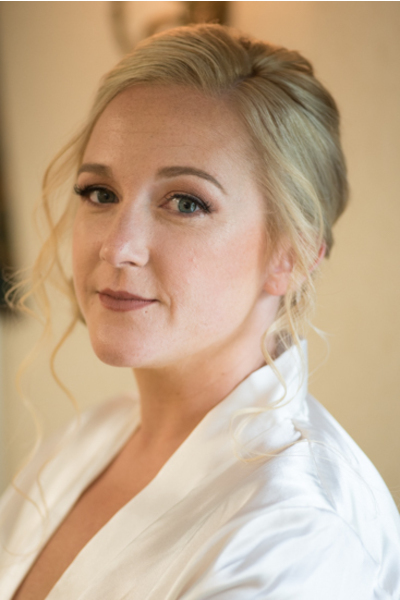 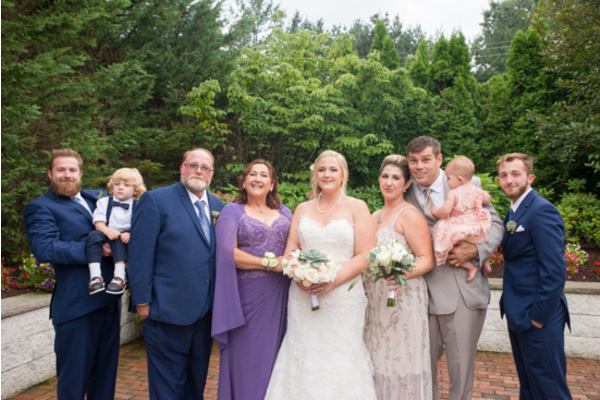 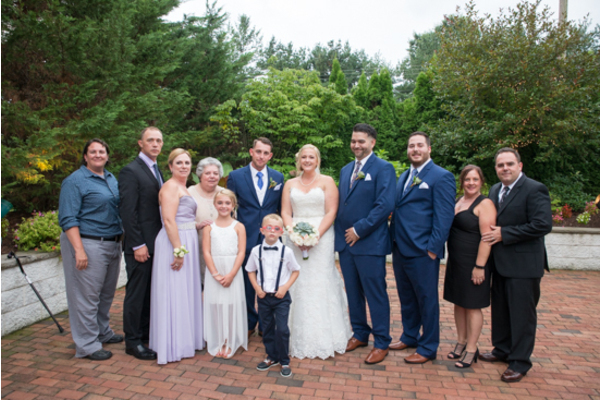 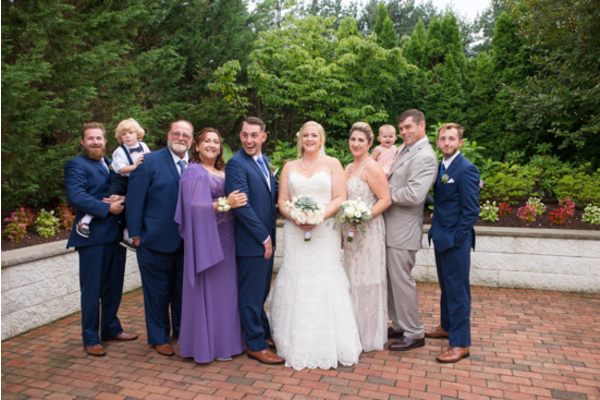 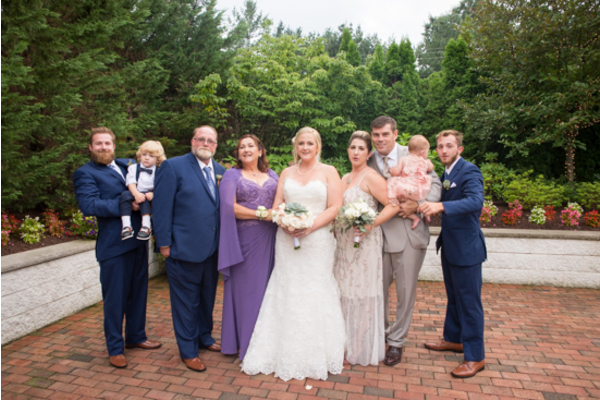 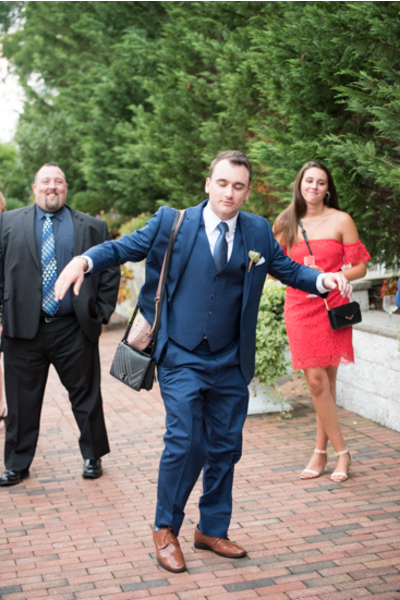 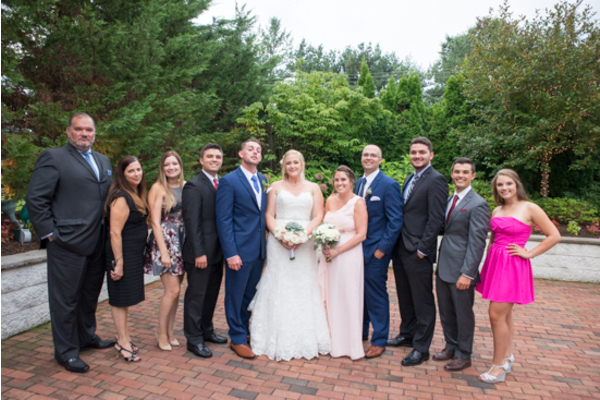 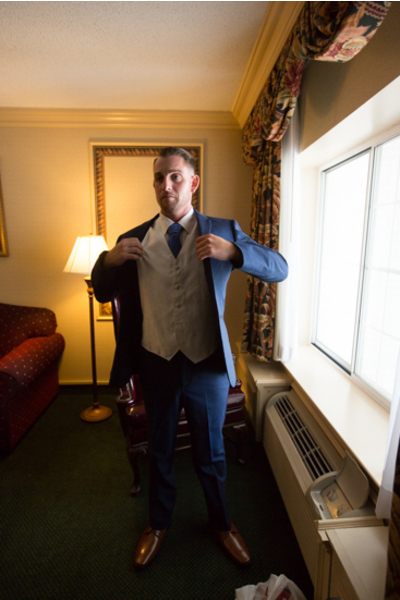 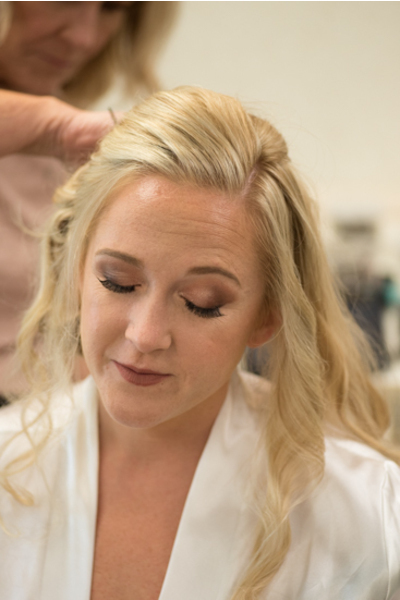 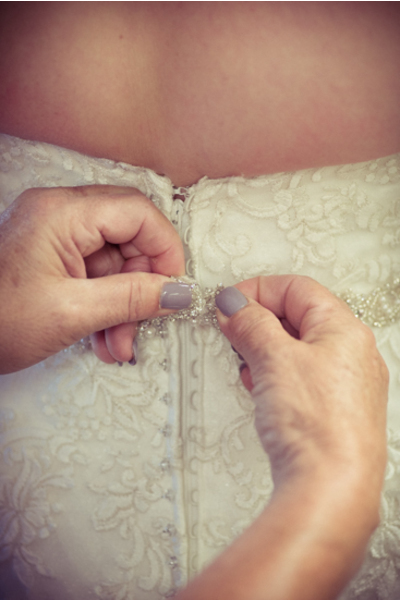 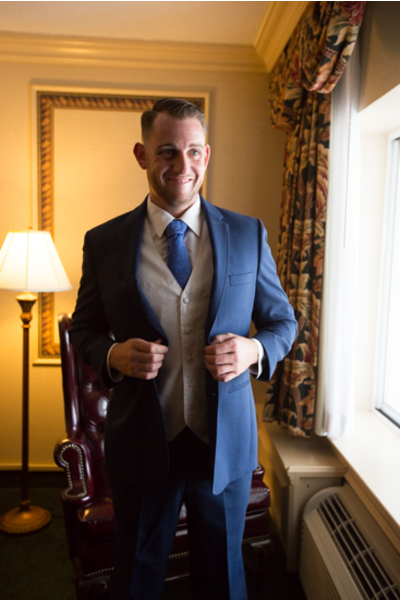 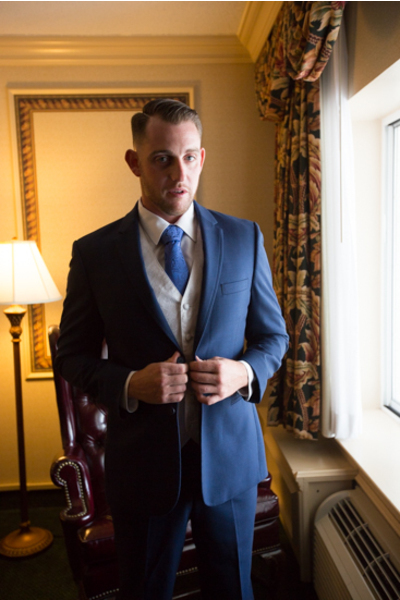 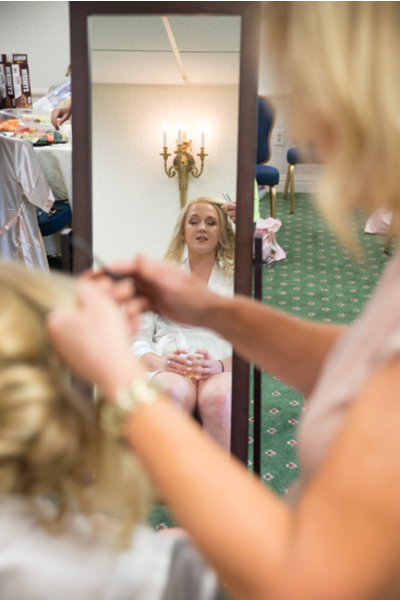 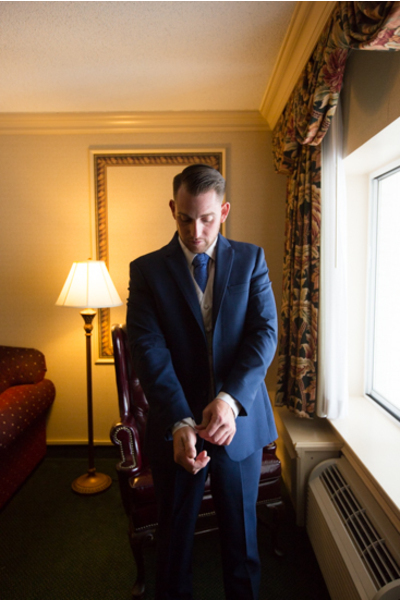 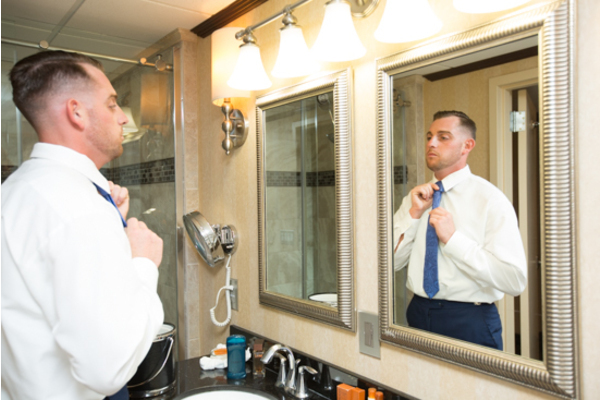 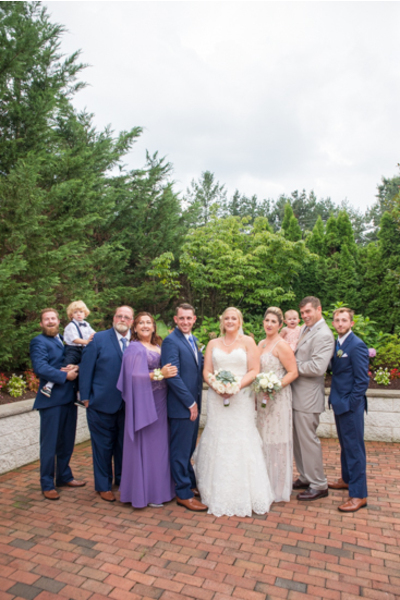 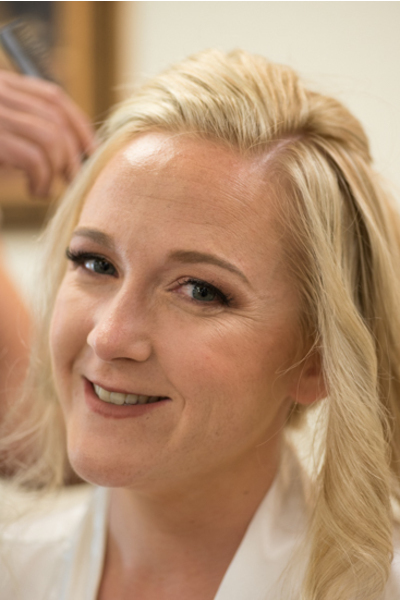 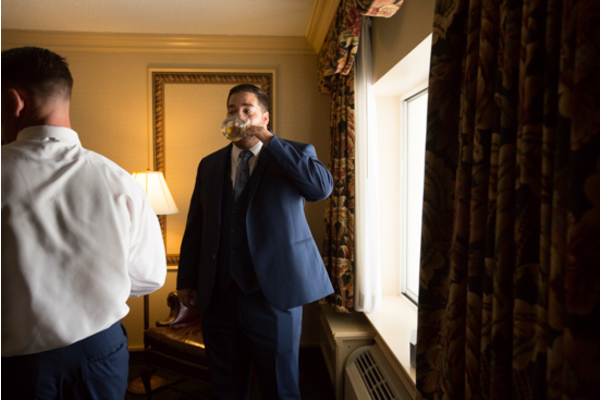 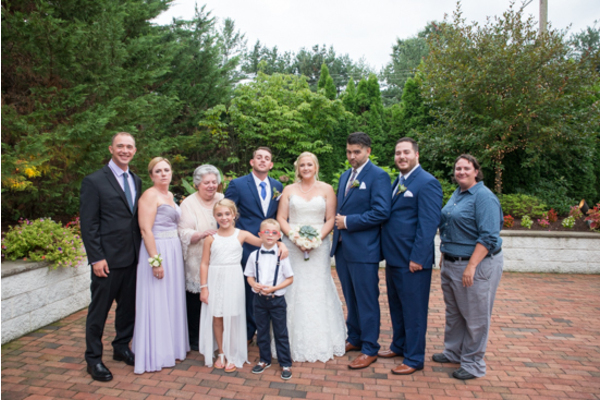 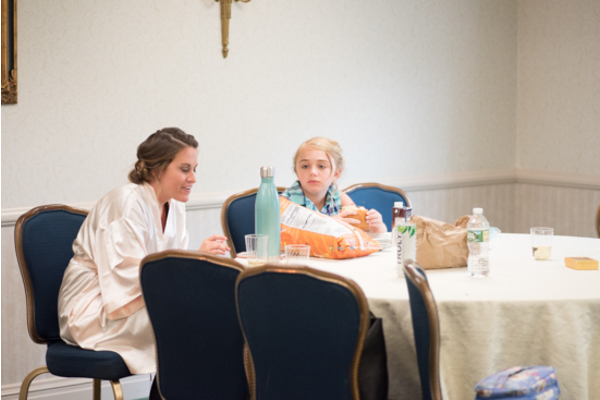 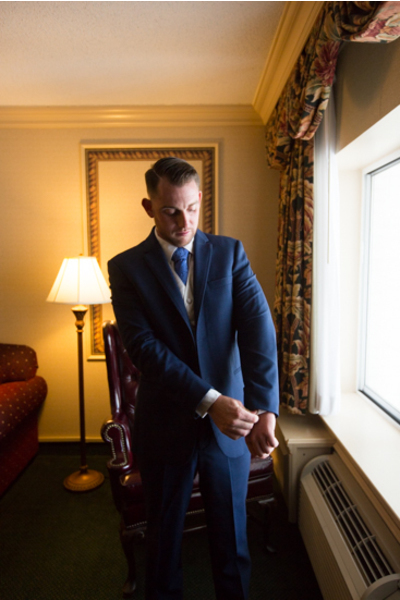 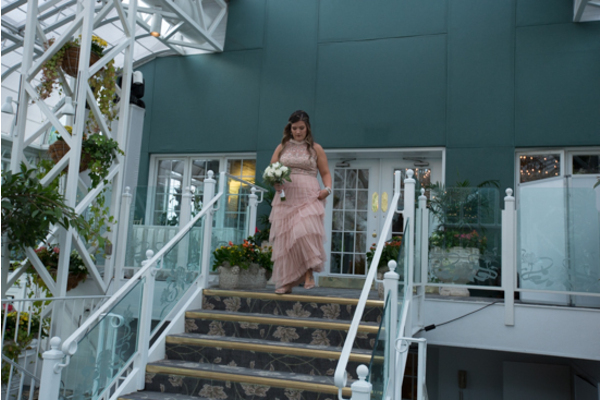 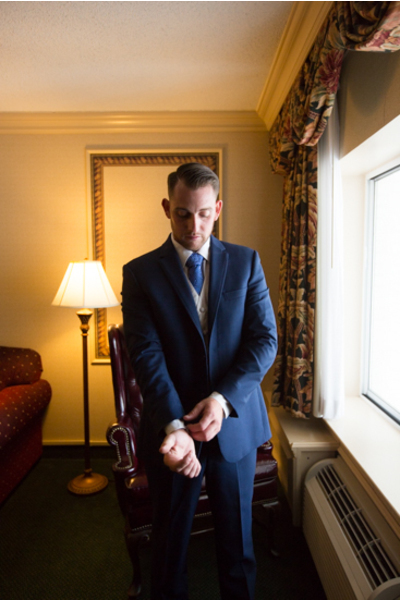 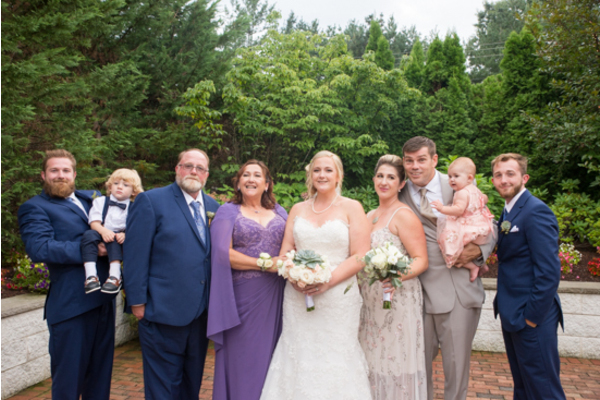 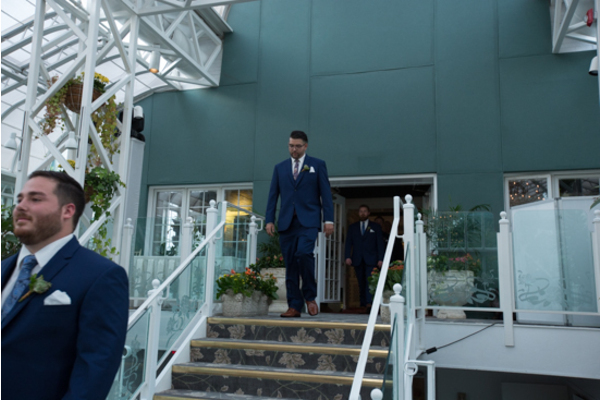 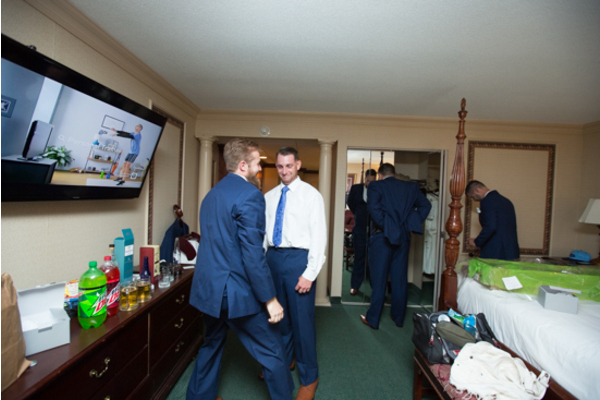 Before the breathtaking walk down the aisle, our NJ Wedding Videographer photographed Carly getting ready with the help of her family and friends. 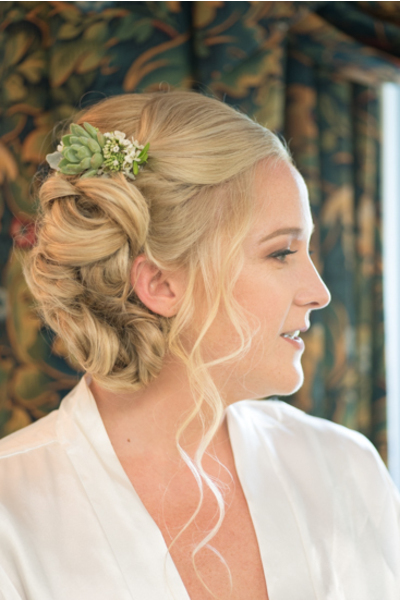 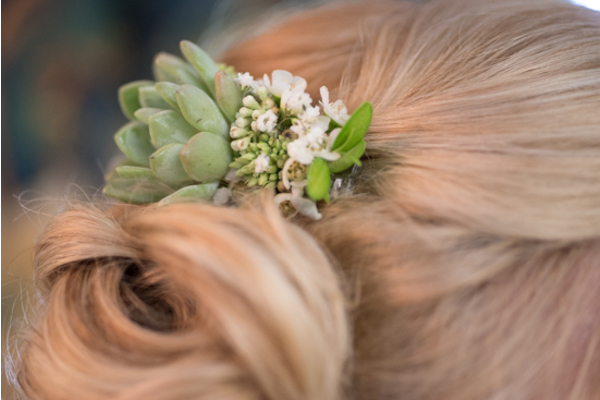 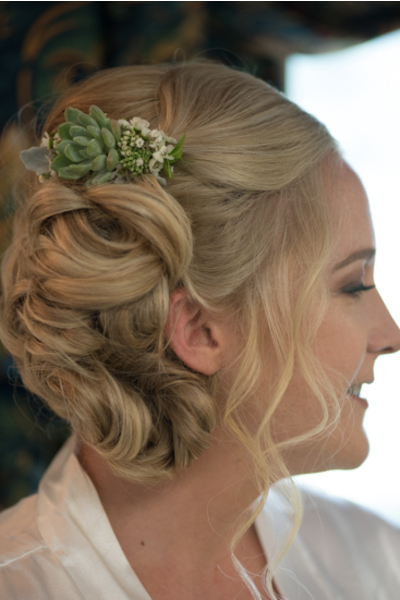 Her hair was pinned up with a stunning succulent and rose, which complemented their wedding theme. 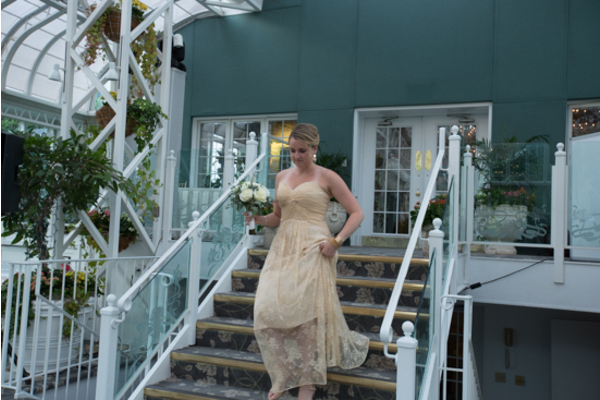 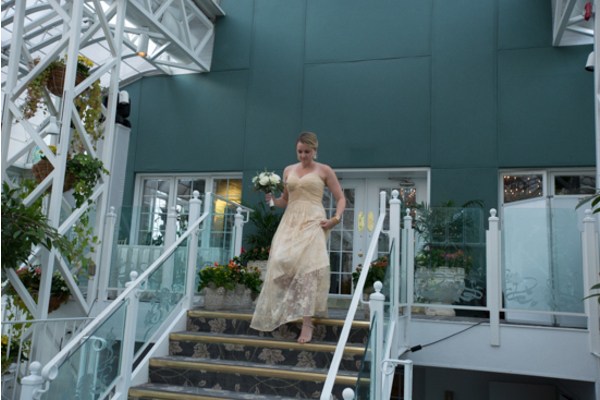 Her beautiful strapless lace dress looked absolutely flawless on her! 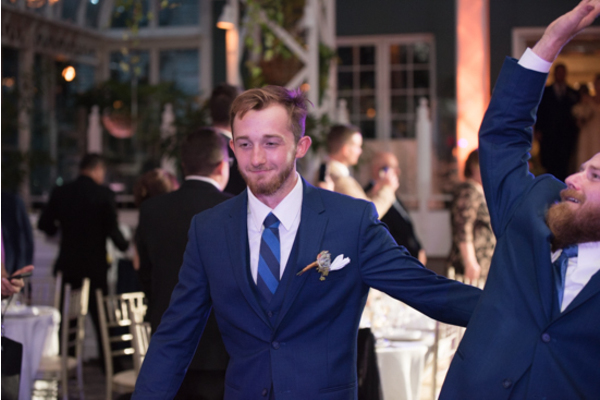 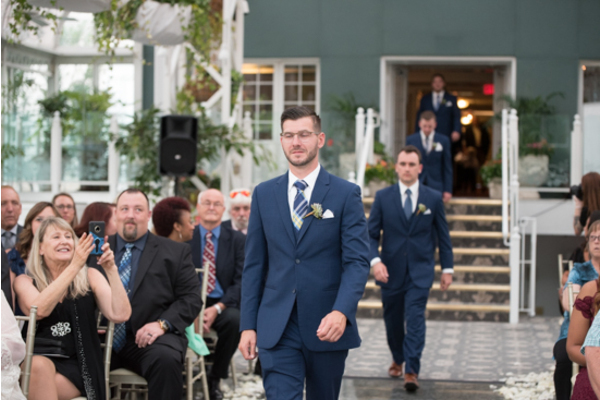 Nicolas’ could not contain his excitement at the sight of his bride. 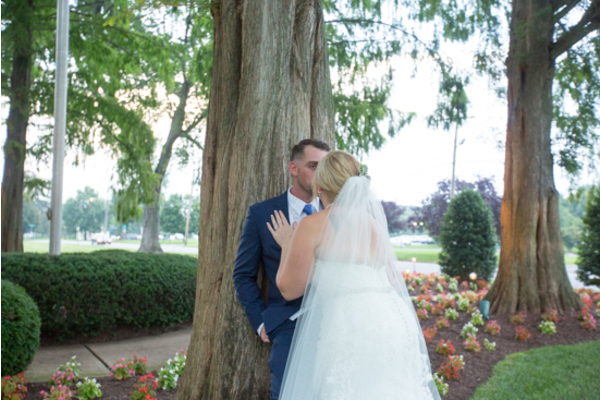 Later, the couple shared their vows and sealed the ceremony with a passionate kiss. 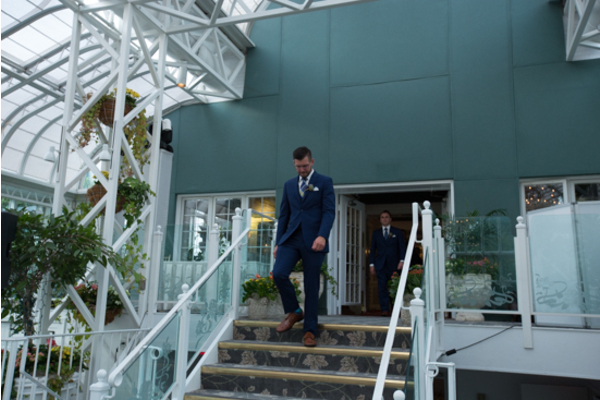 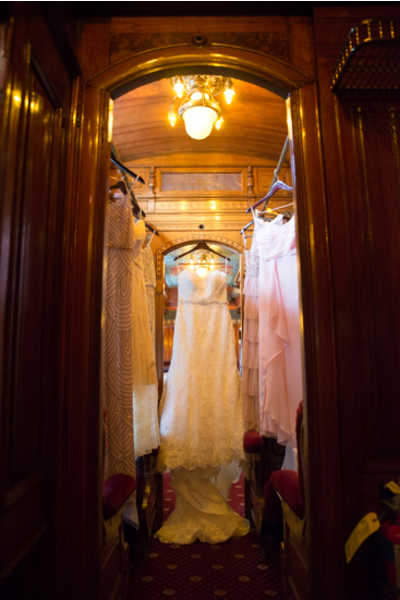 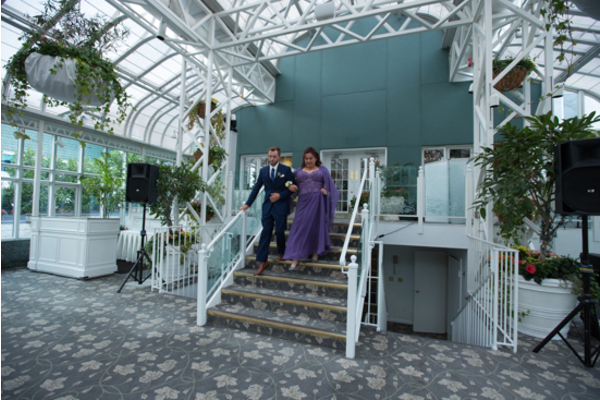 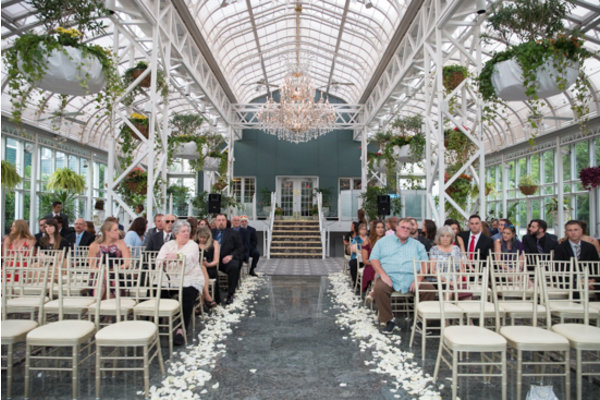 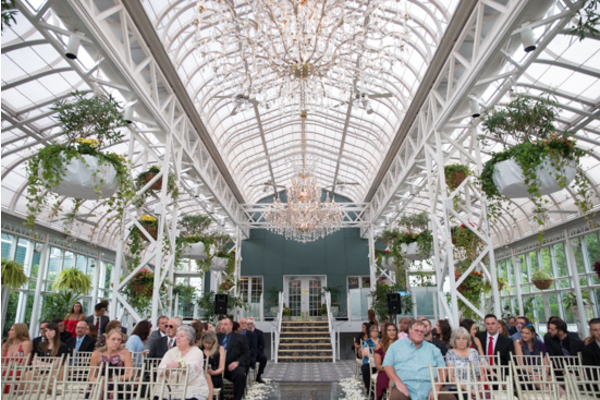 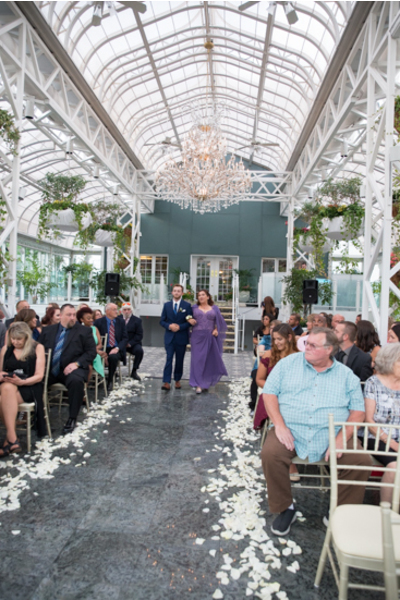 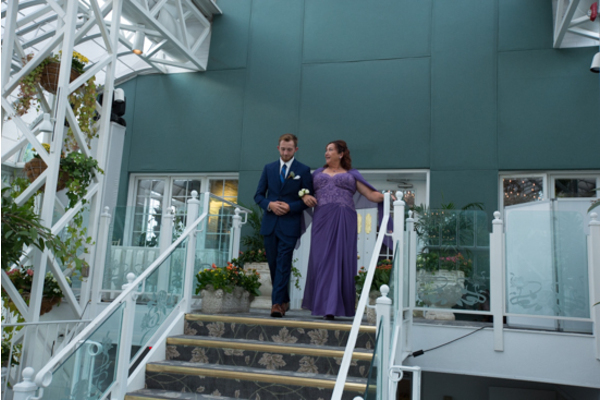 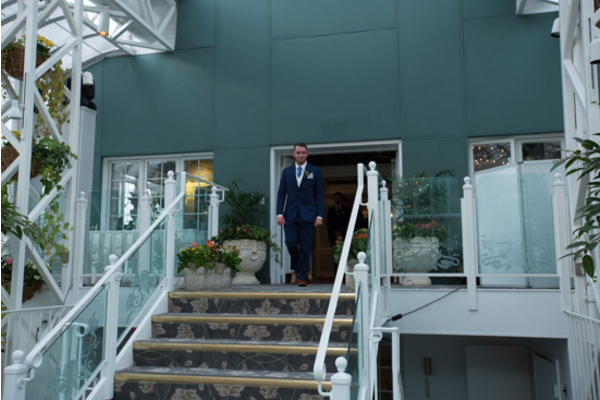 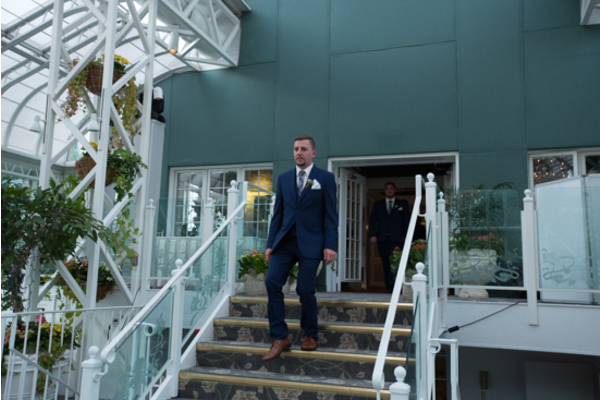 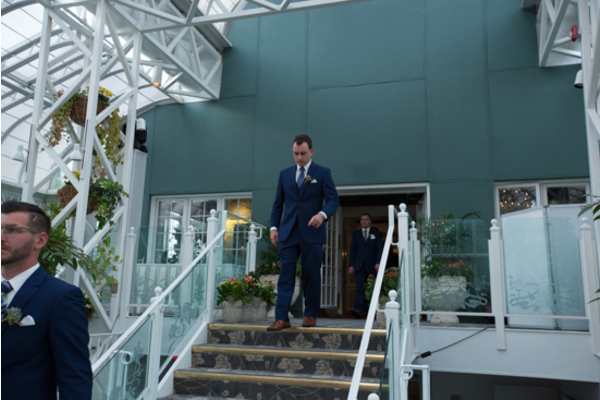 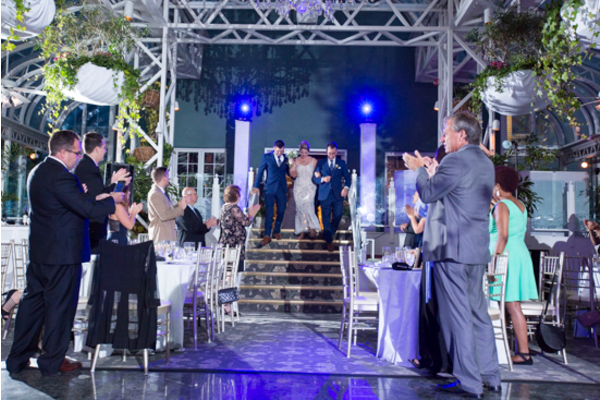 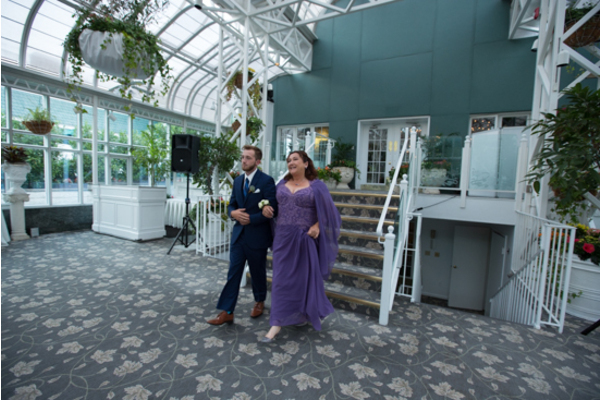 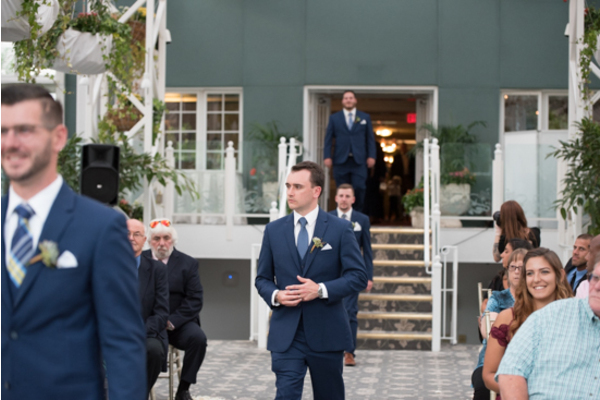 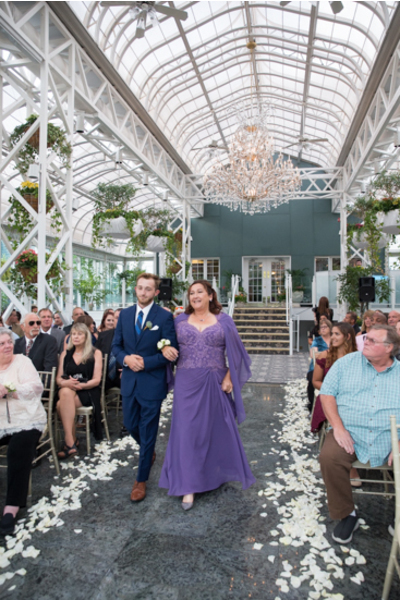 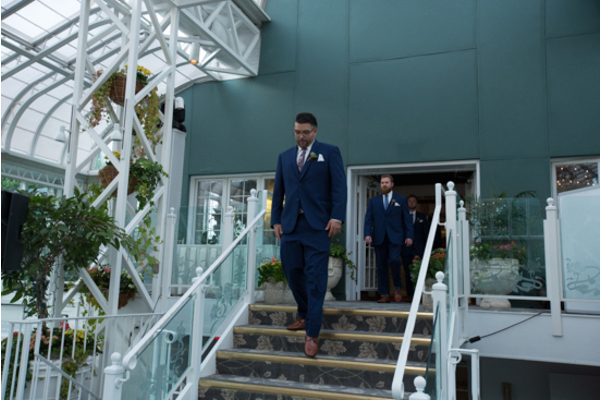 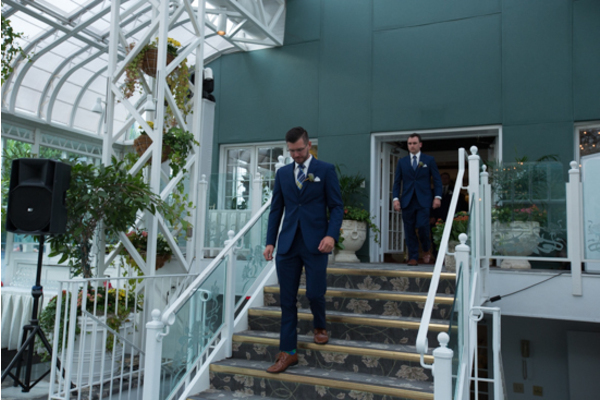 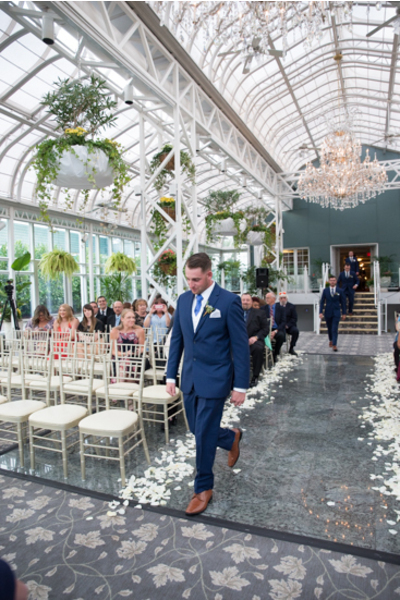 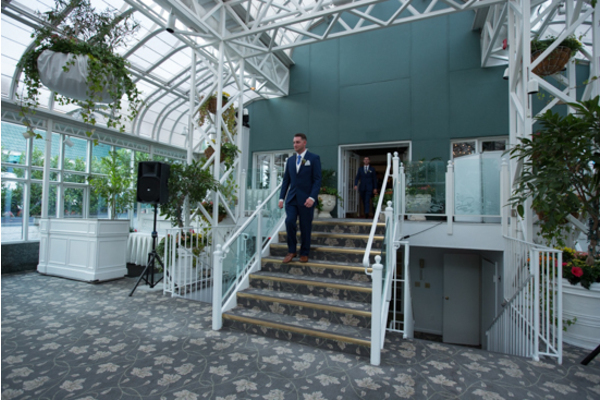 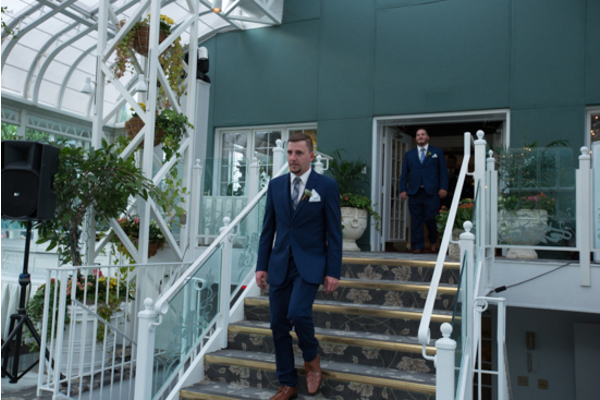 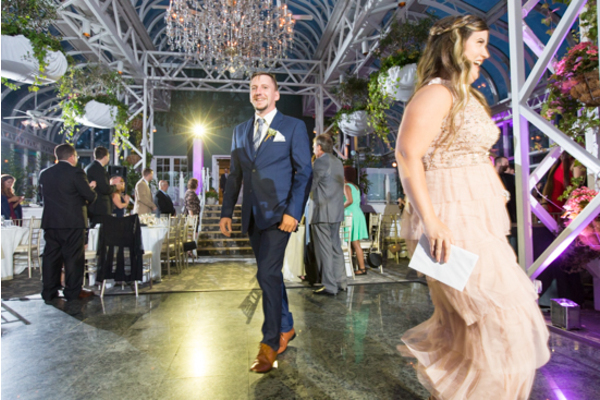 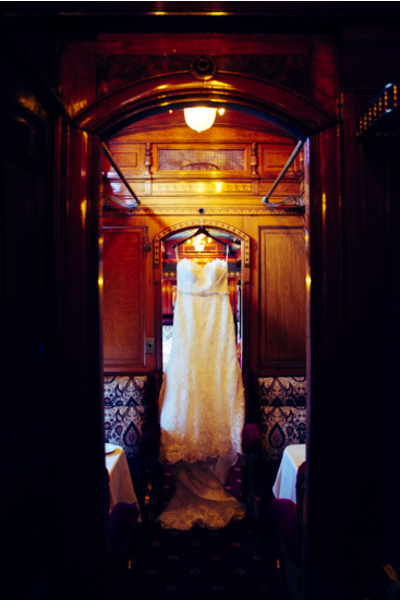 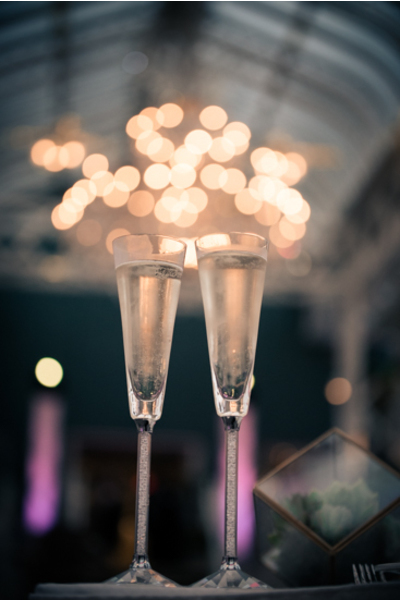 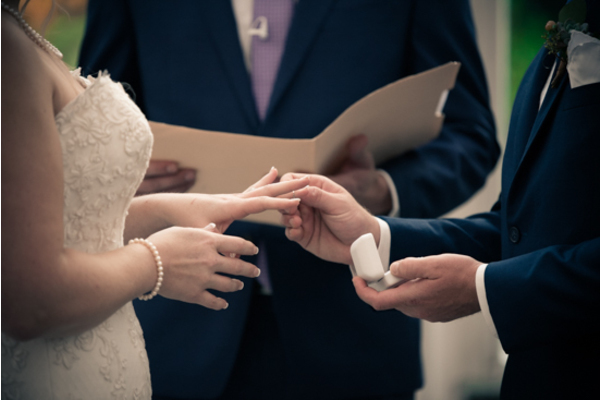 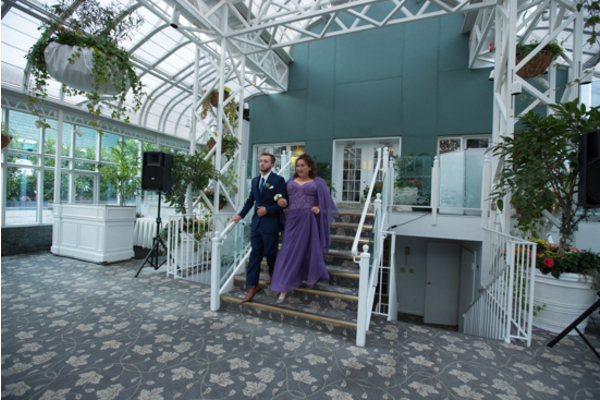 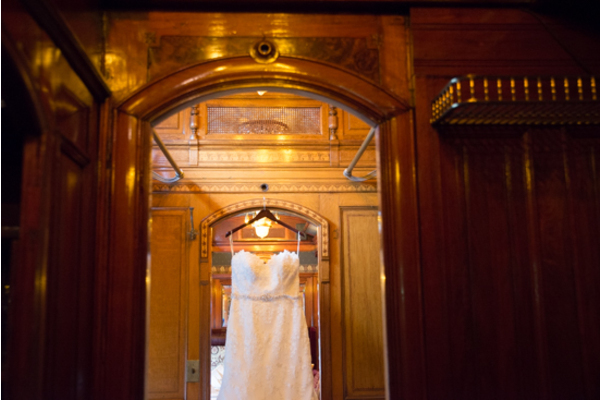 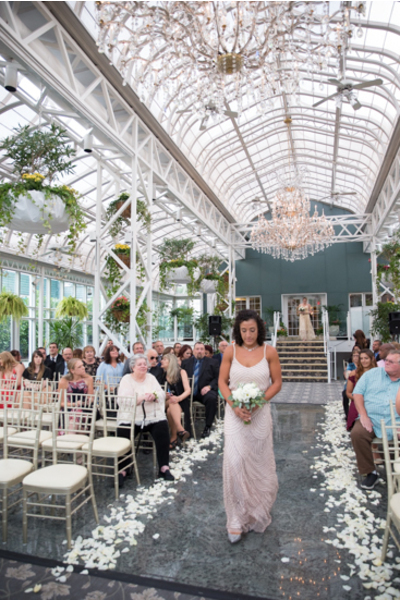 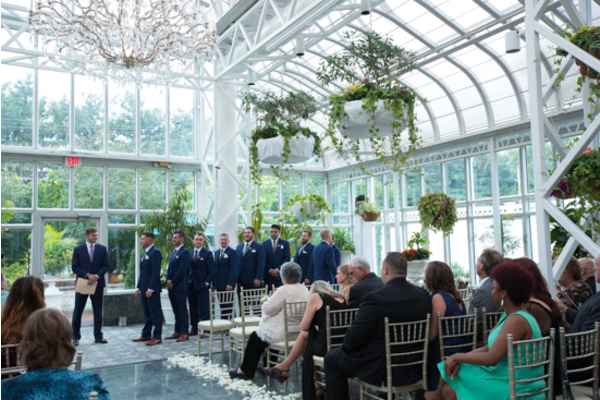 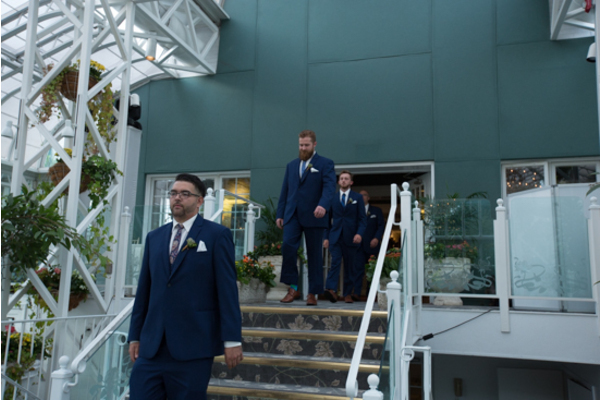 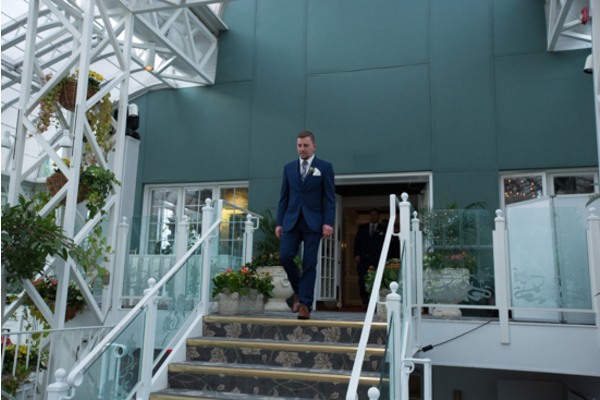 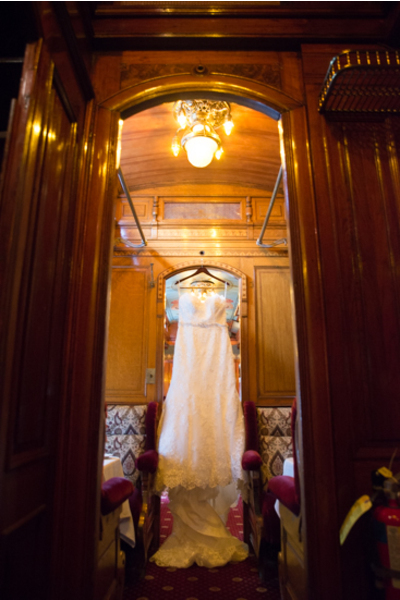 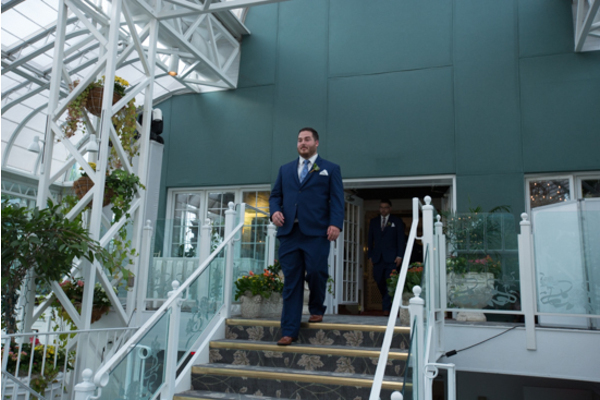 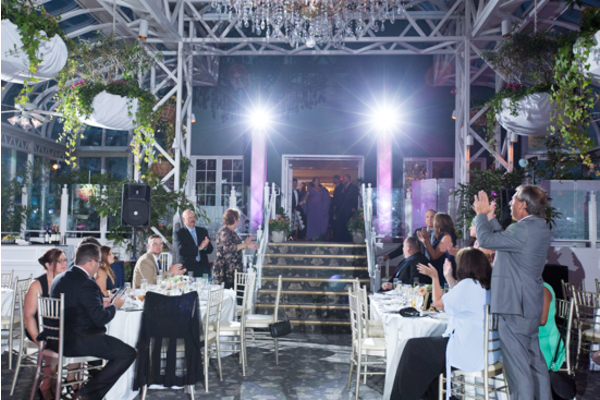 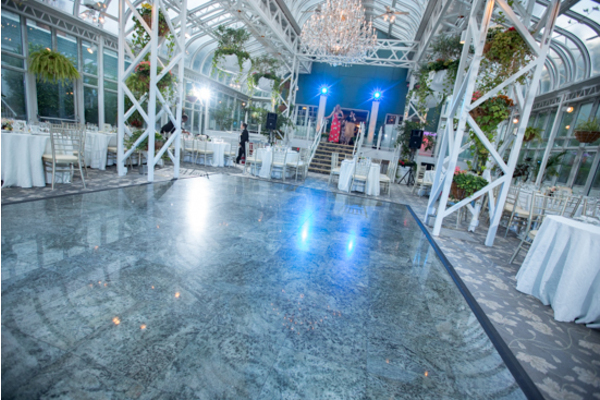 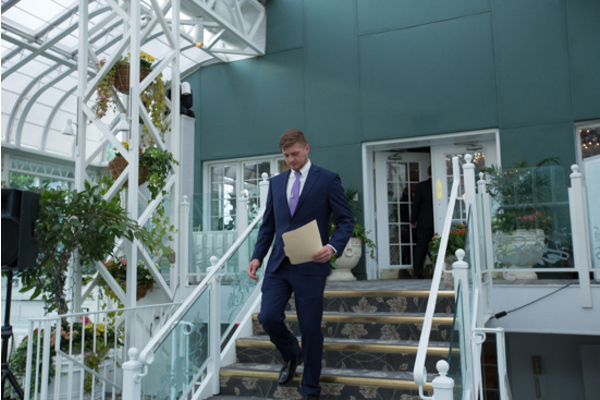 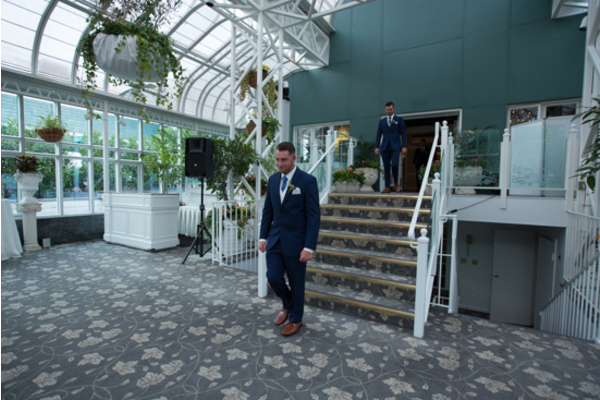 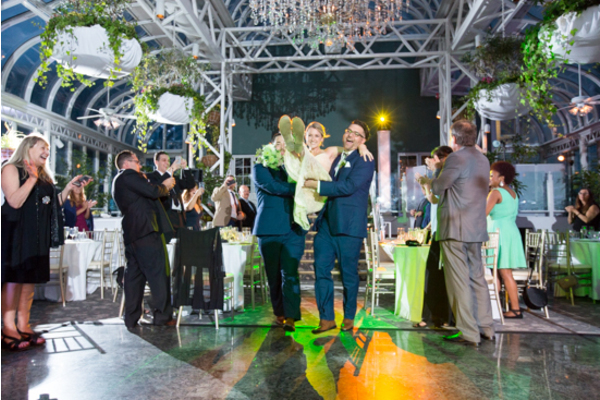 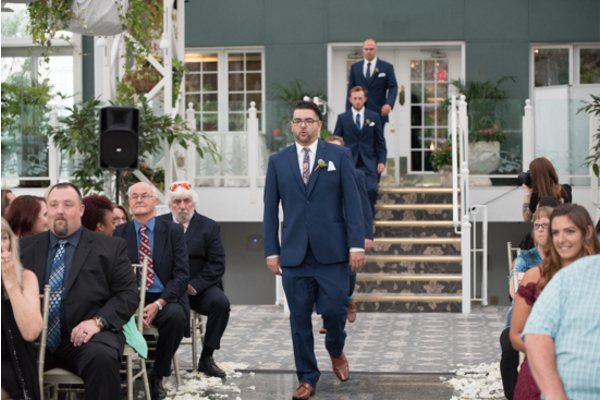 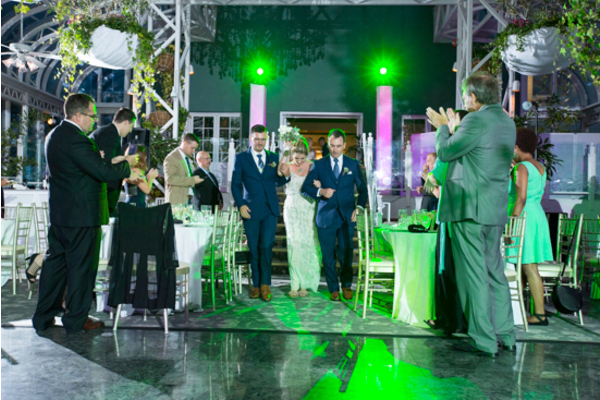 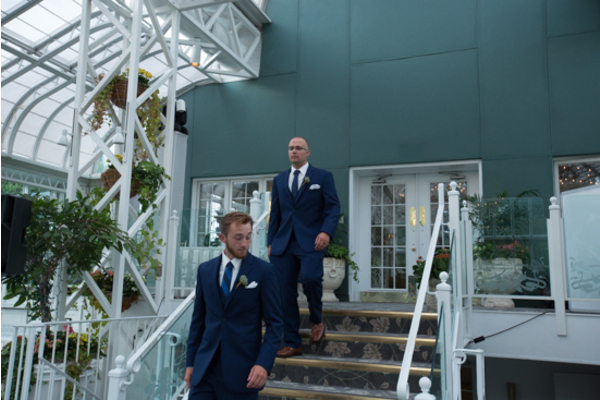 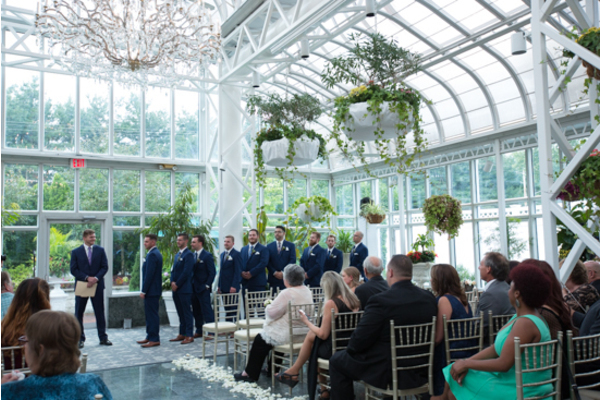 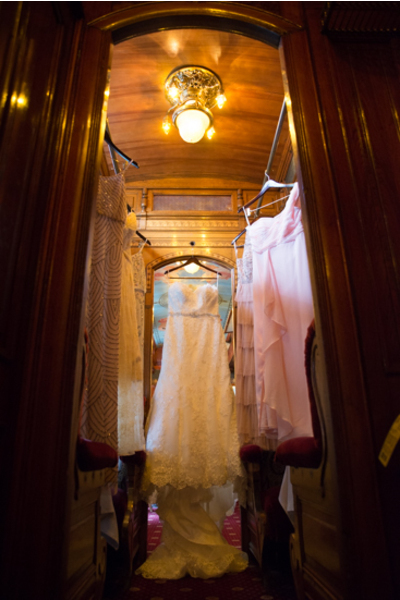 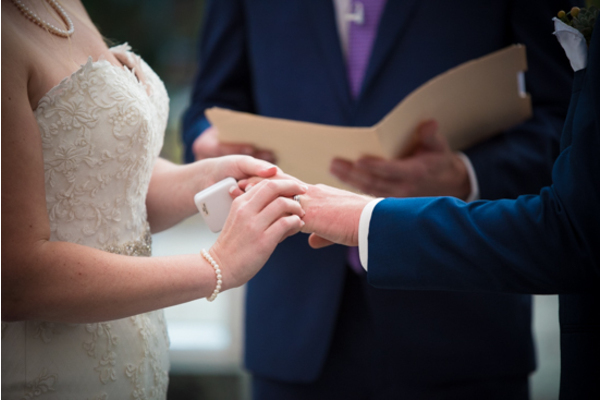 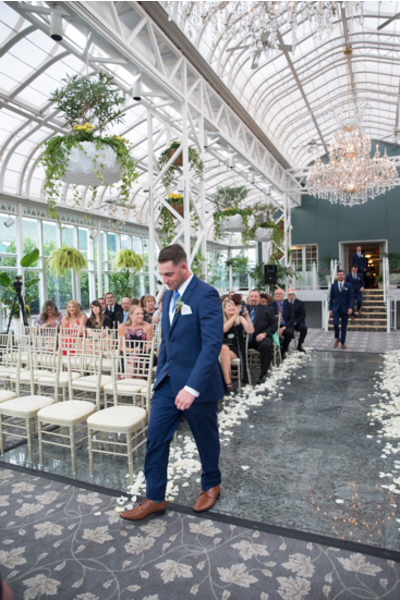 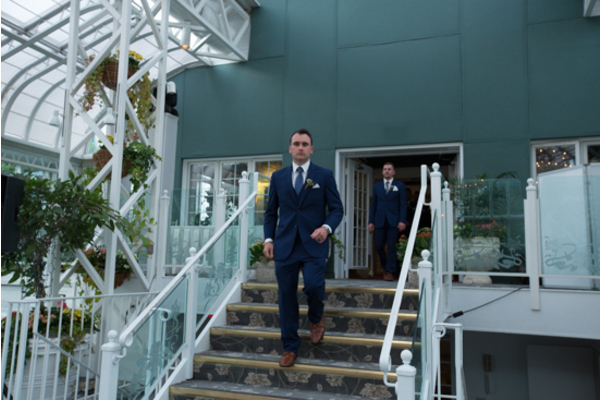 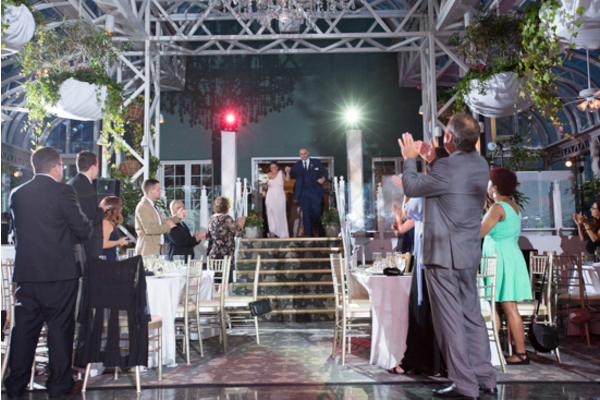 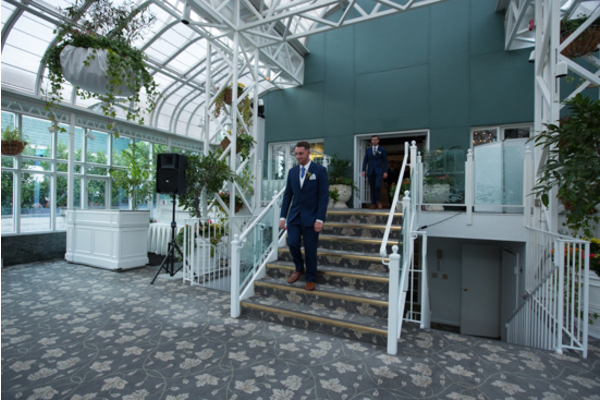 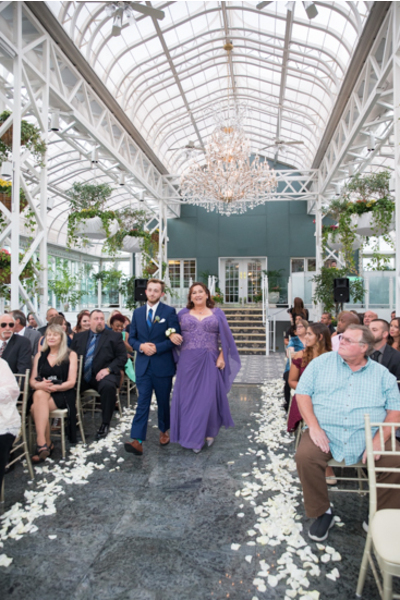 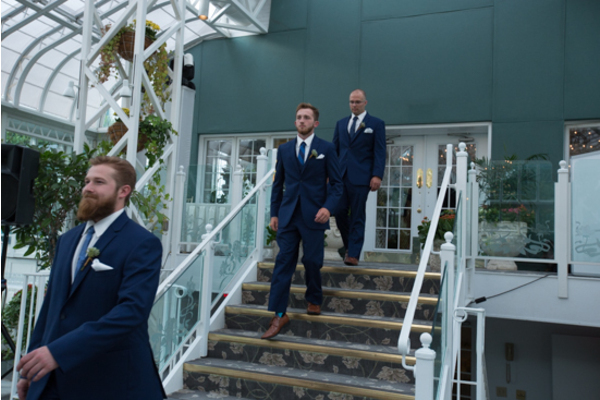 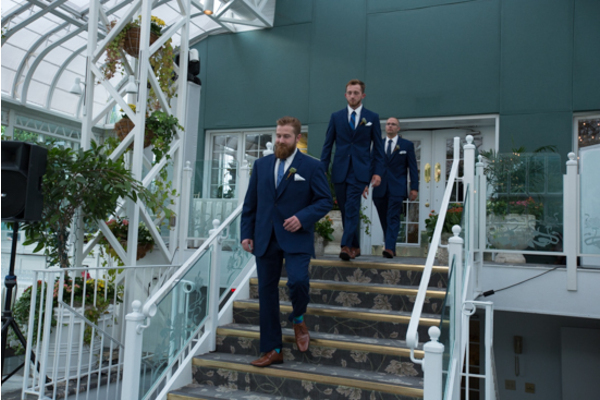 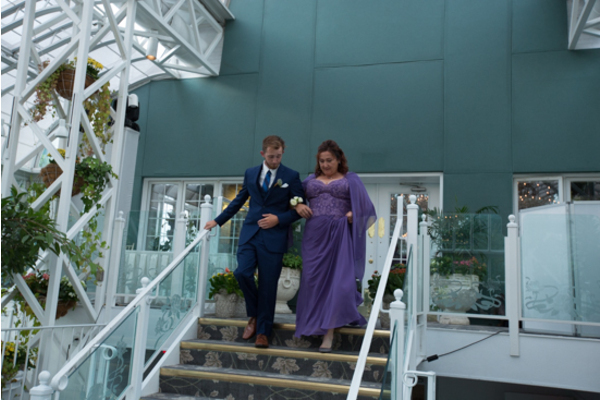 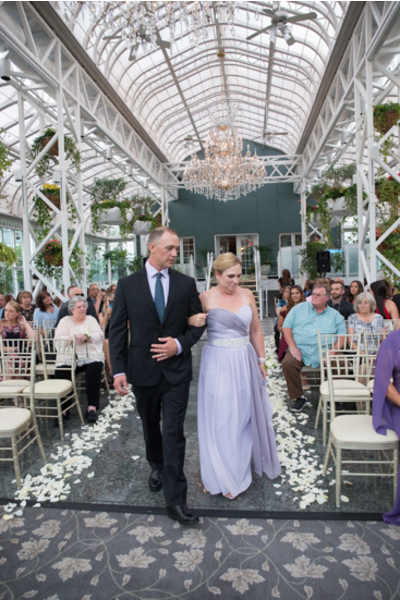 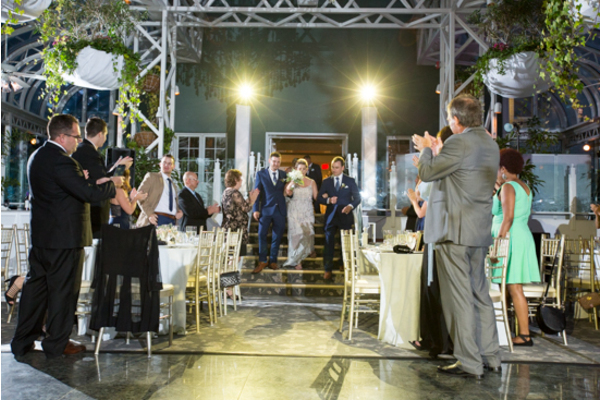 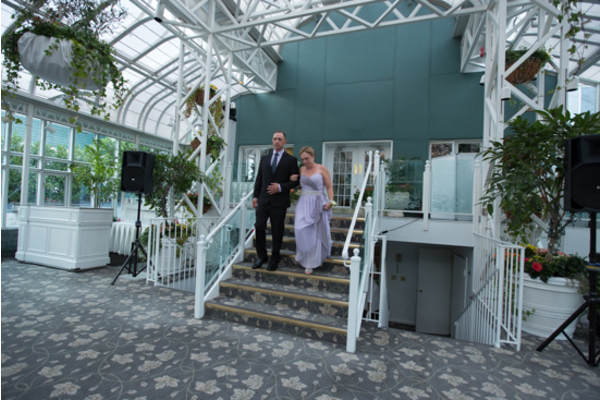 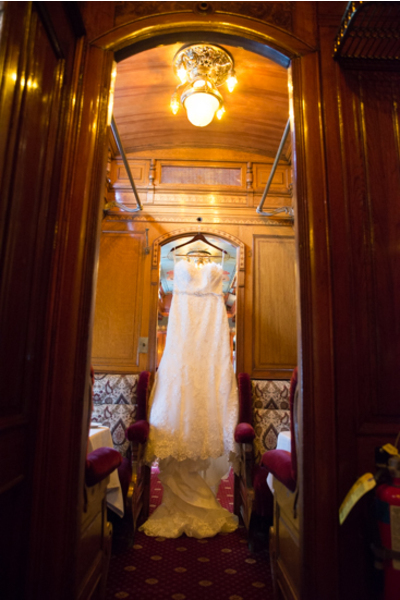 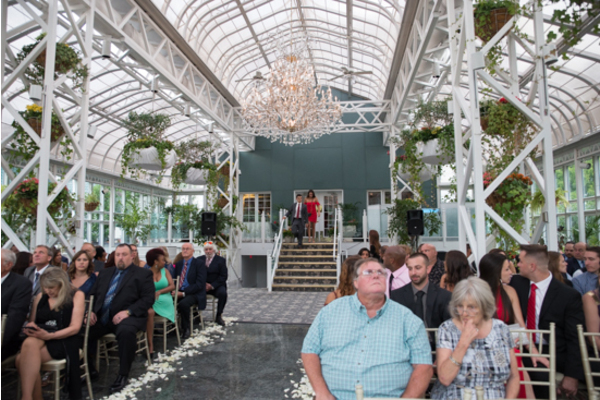 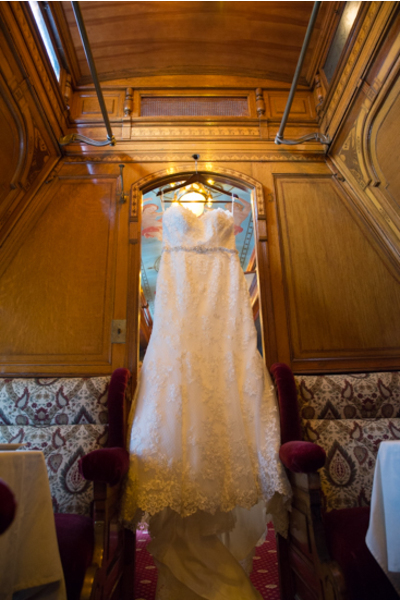 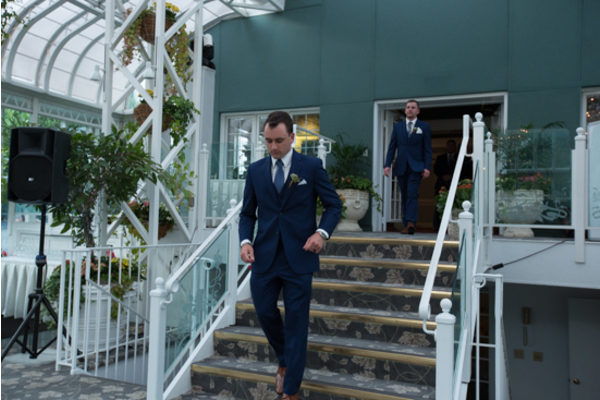 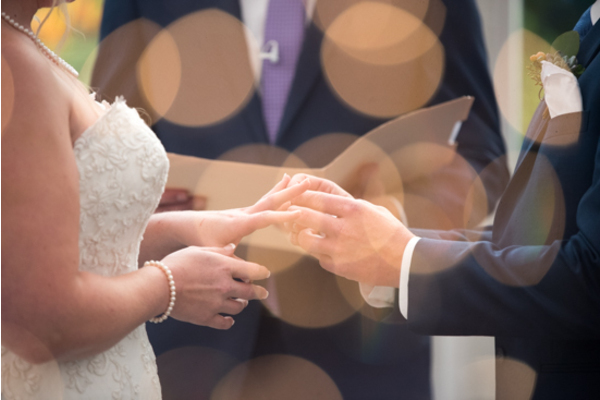 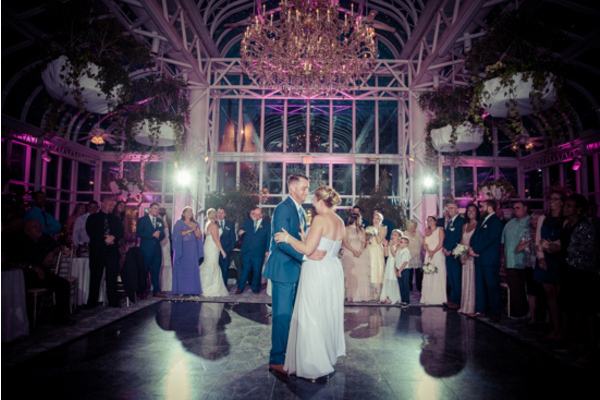 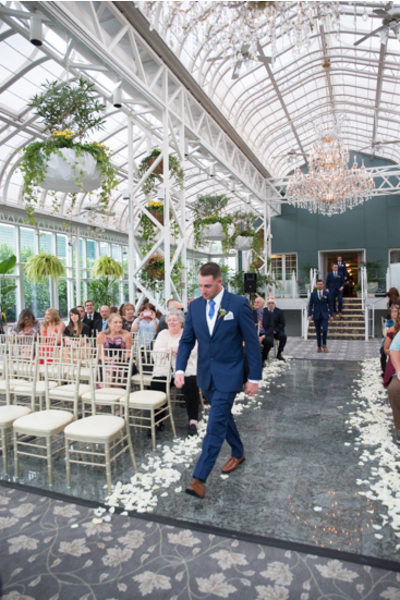 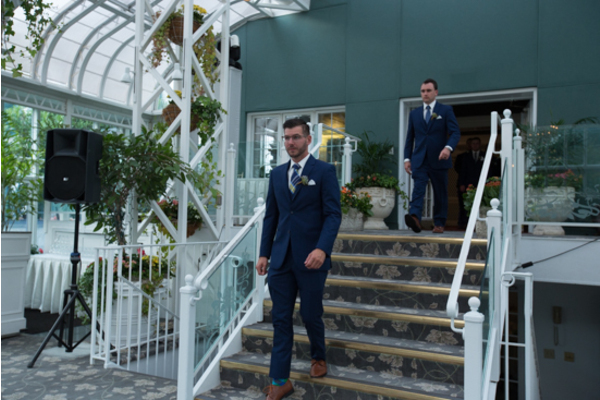 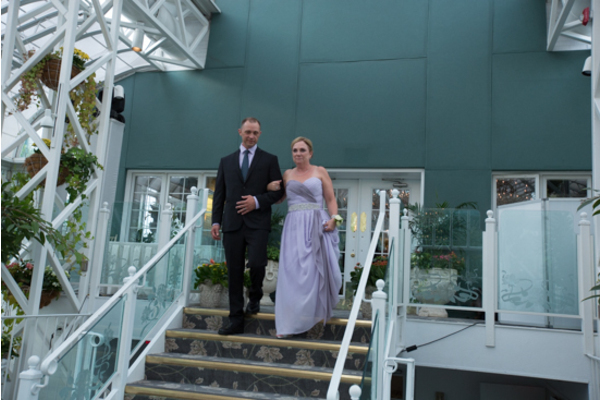 The ceremony took place in an elegant building and the August sunshine peaked through every corner of the room! 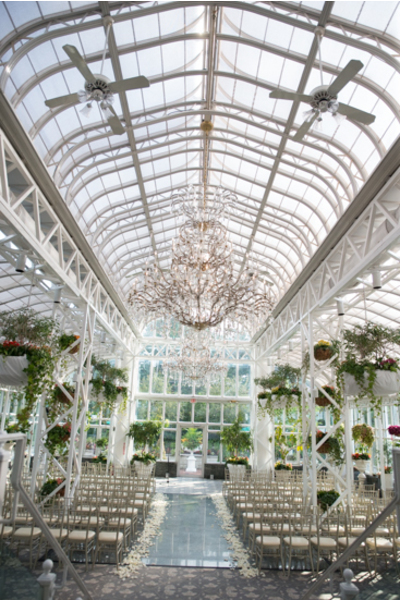 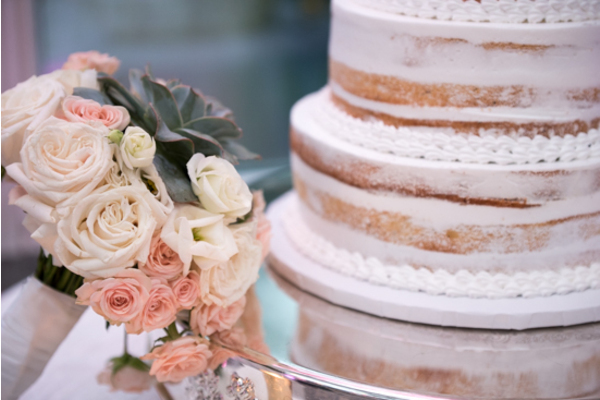 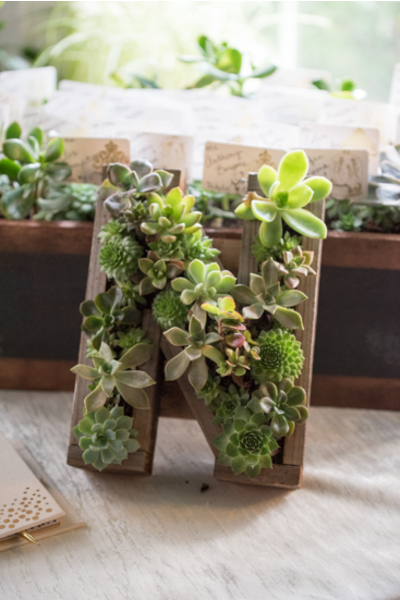 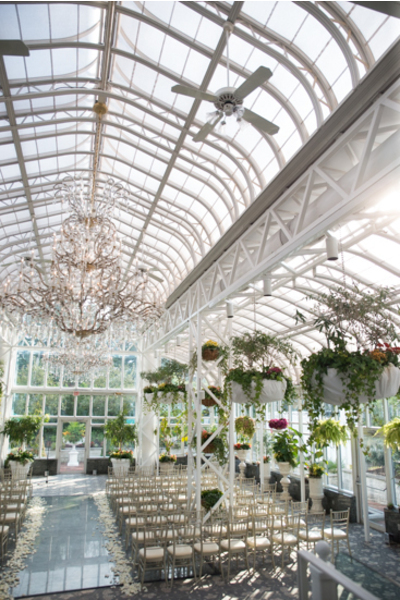 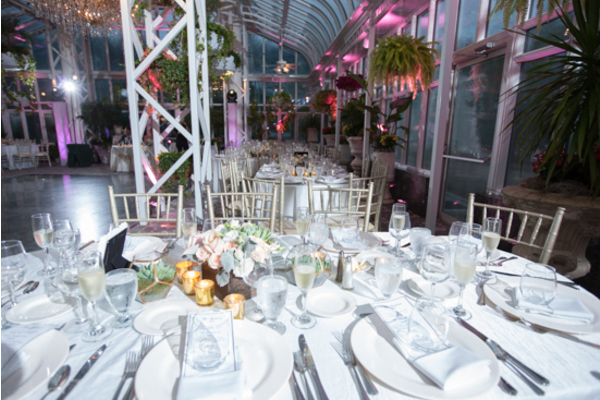 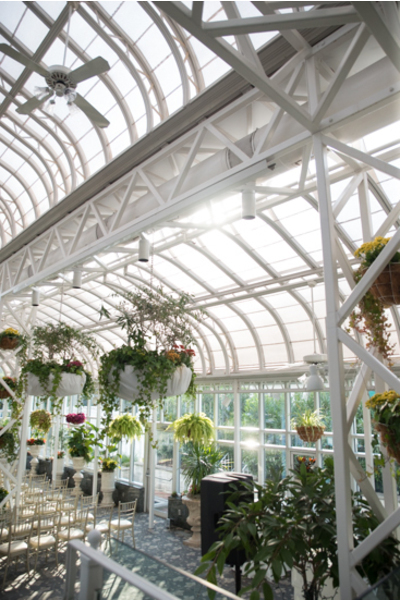 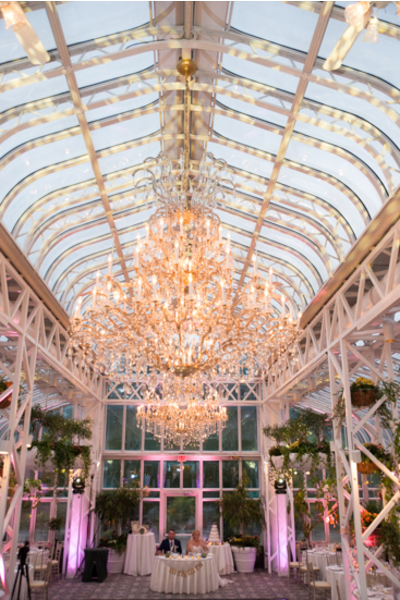 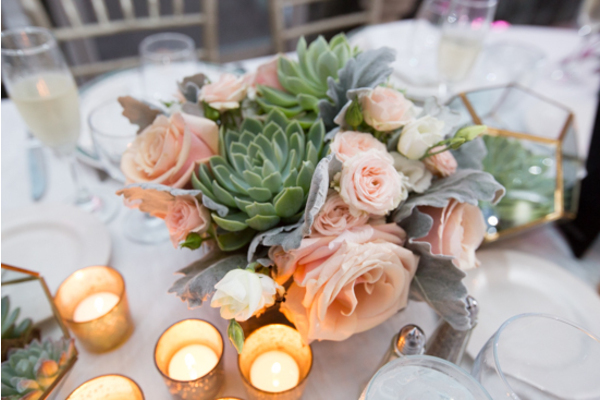 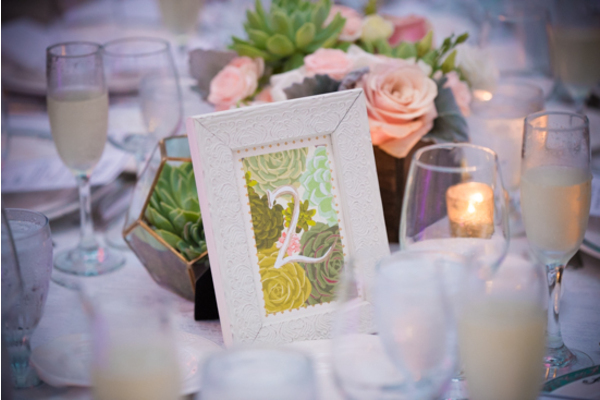 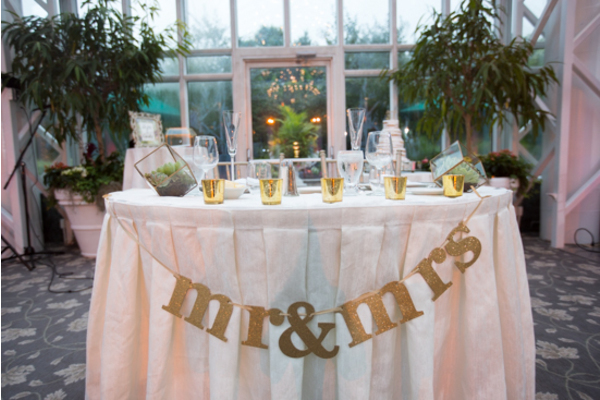 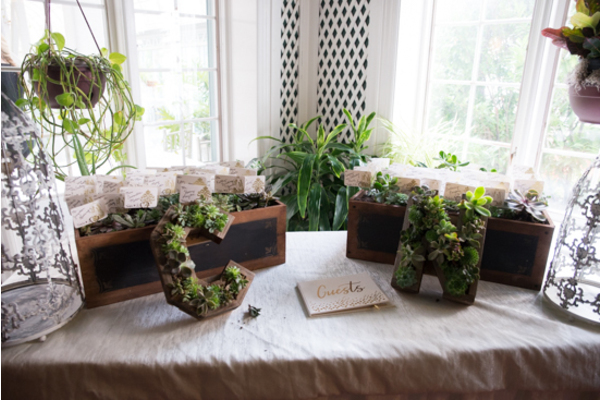 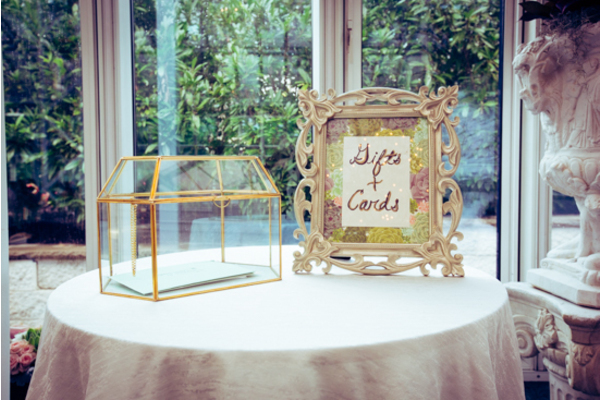 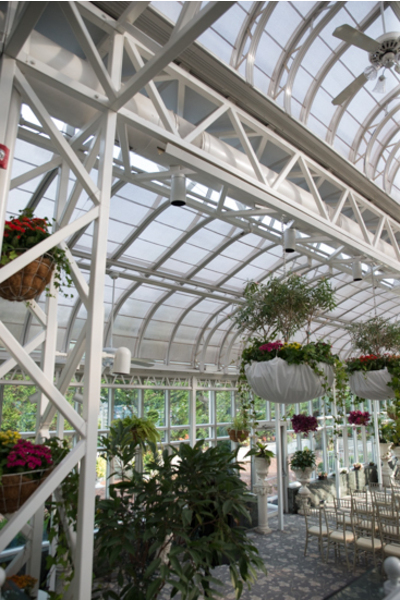 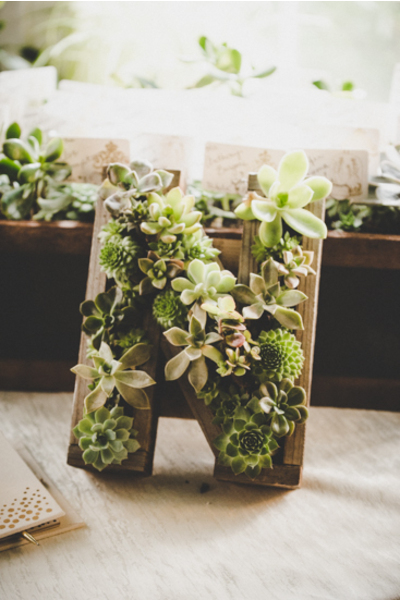 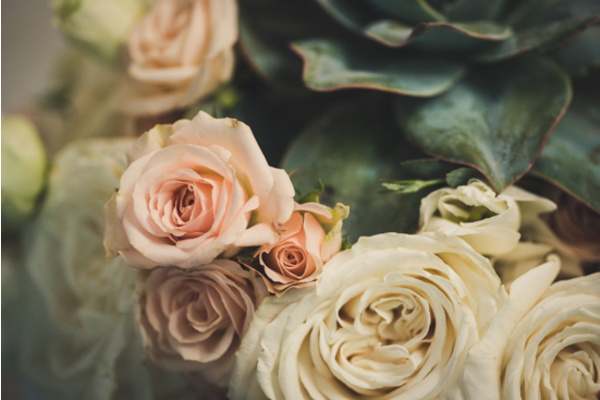 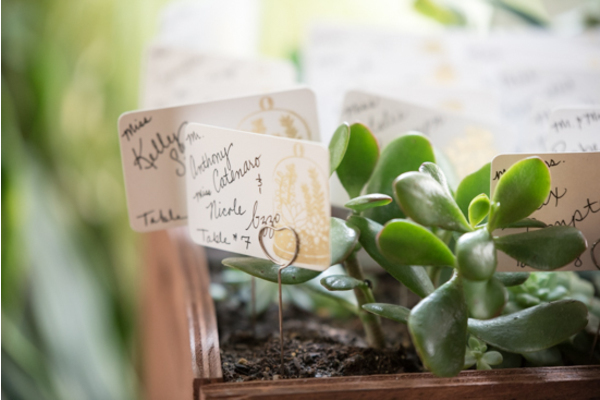 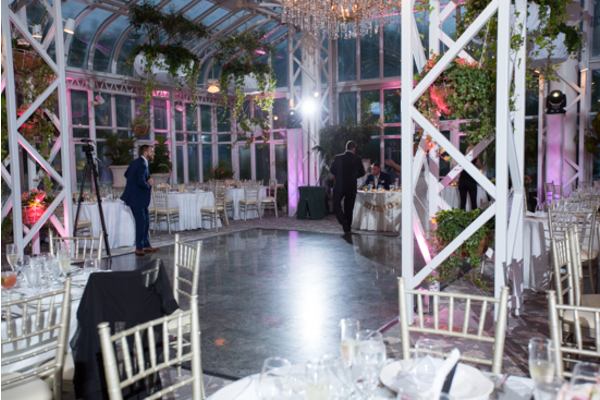 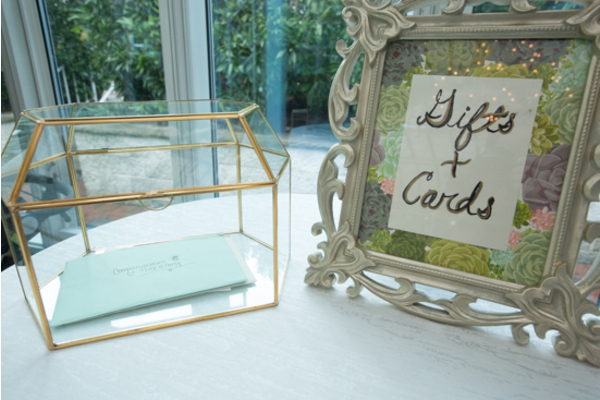 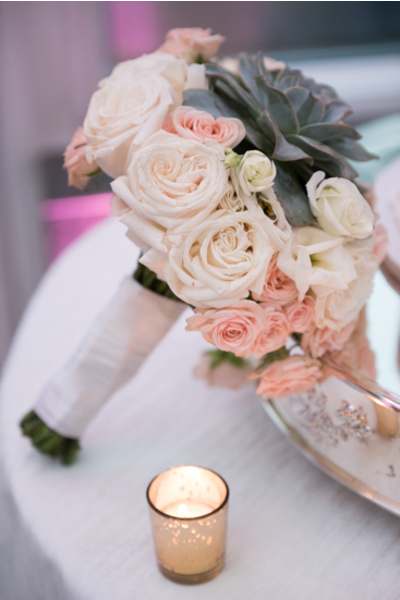 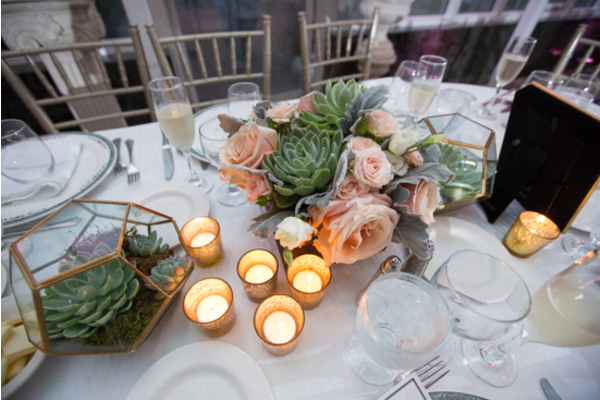 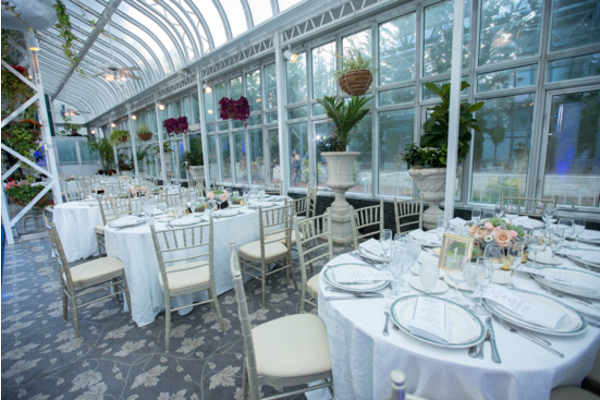 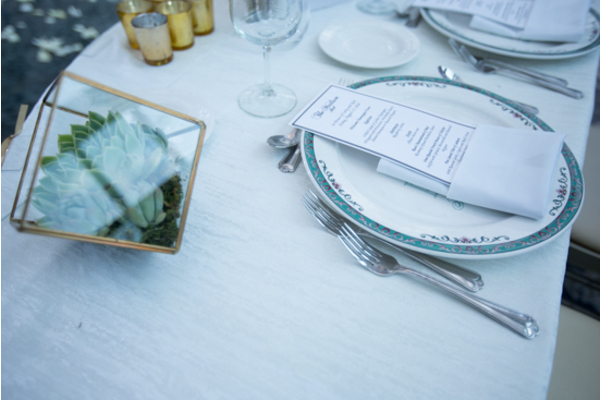 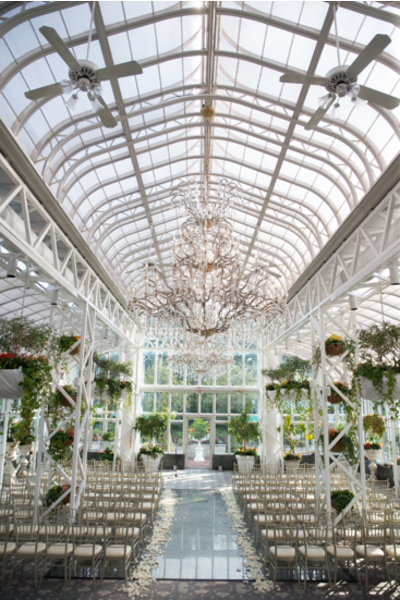 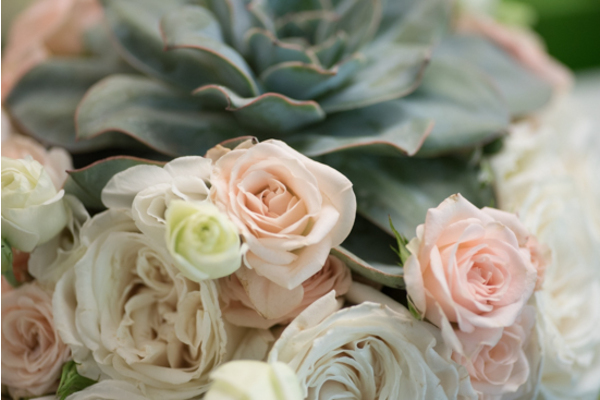 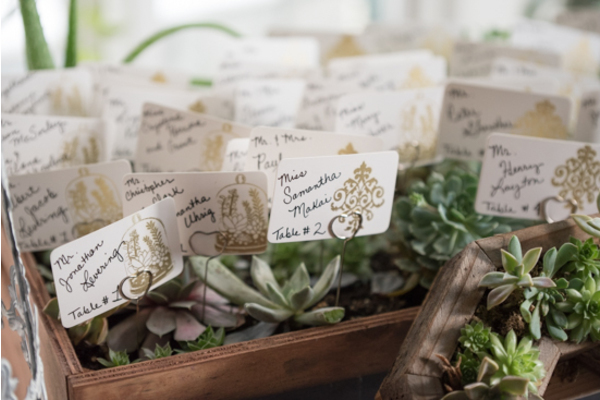 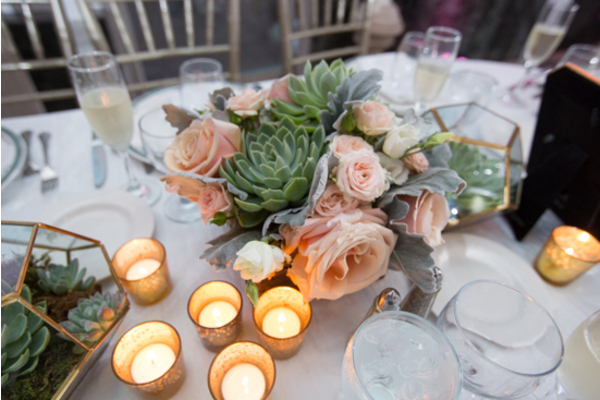 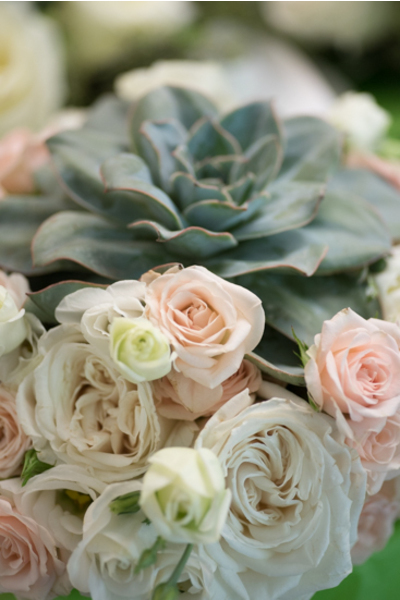 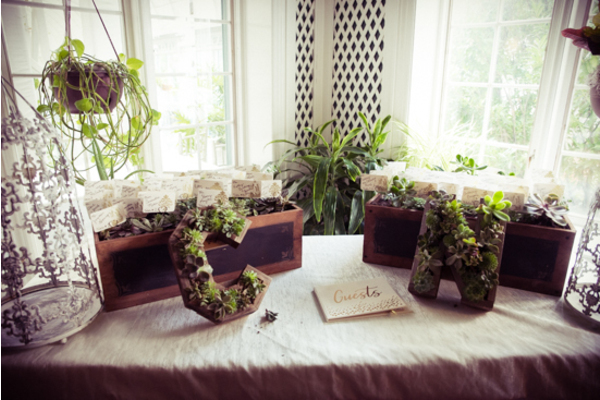 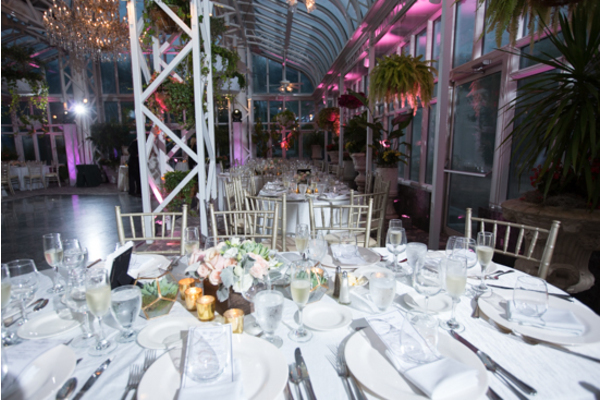 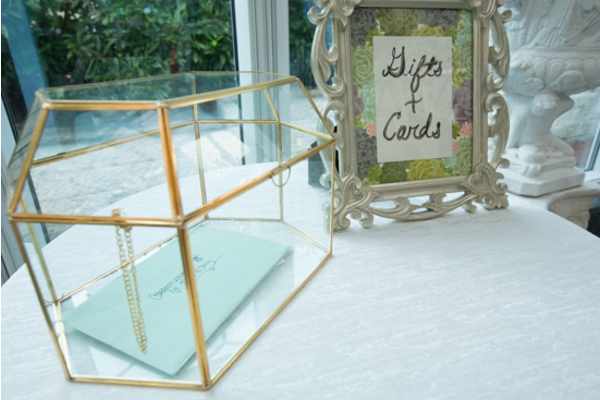 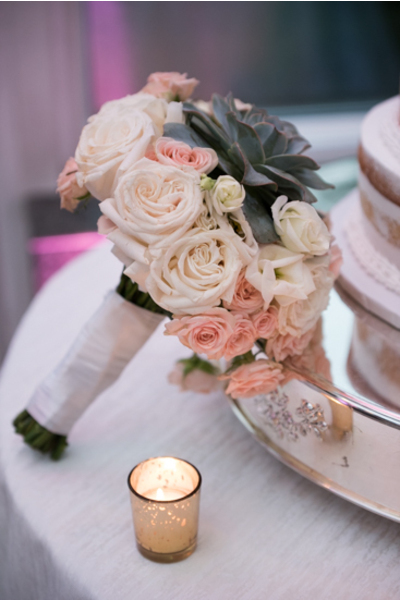 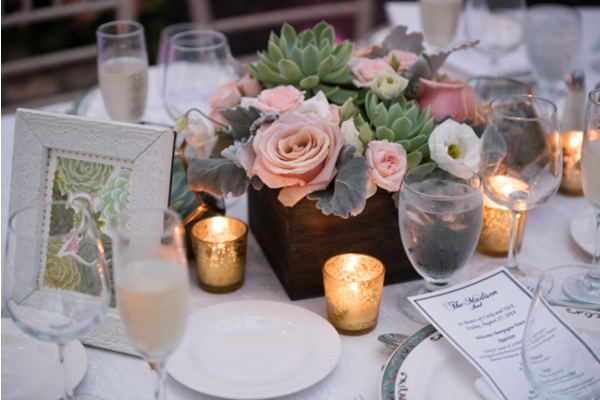 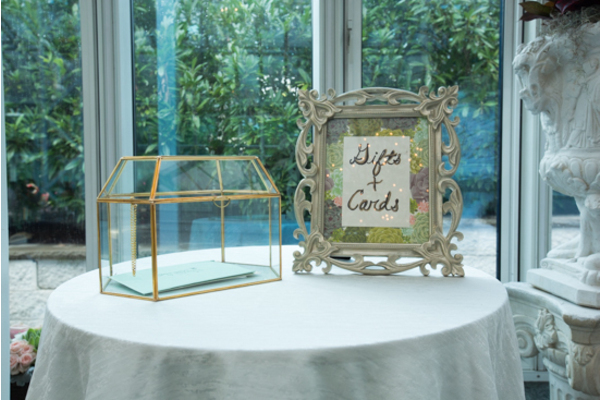 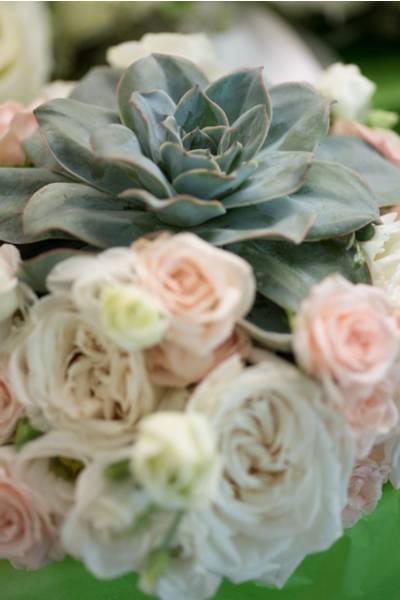 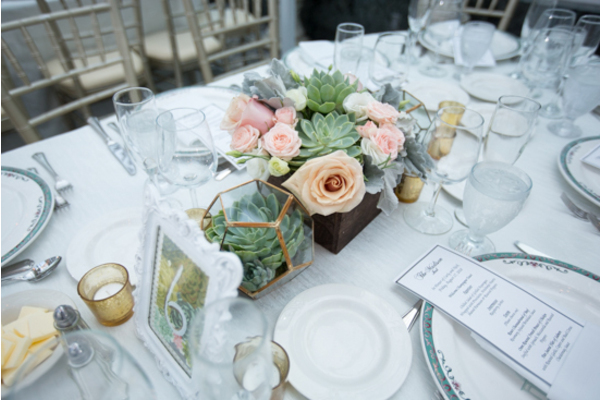 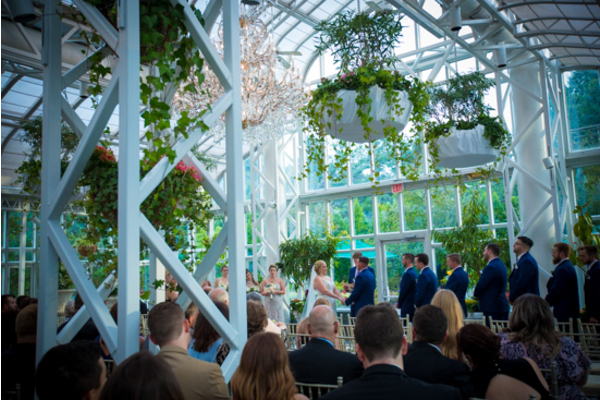 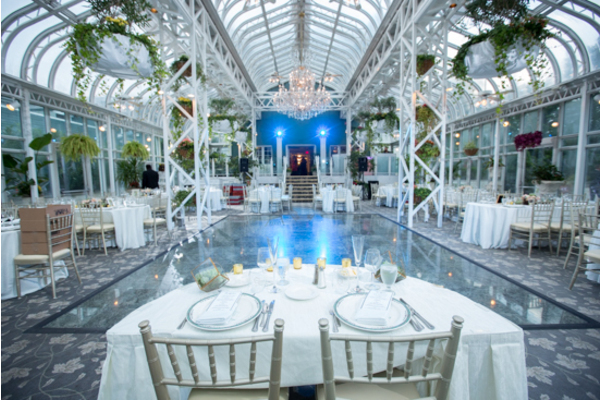 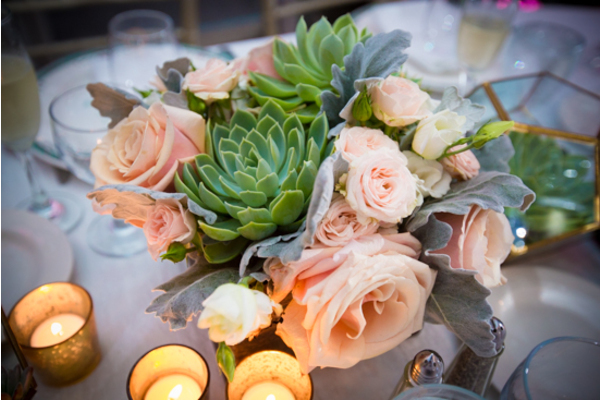 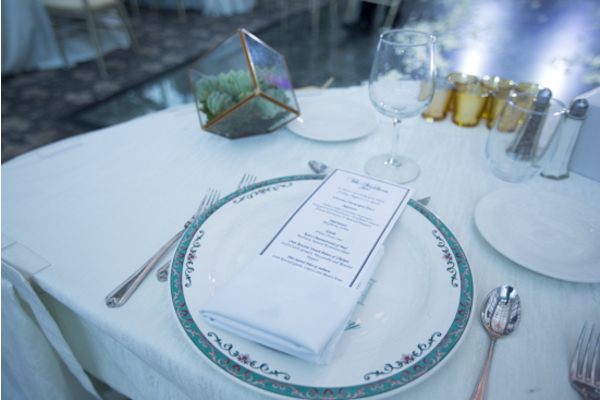 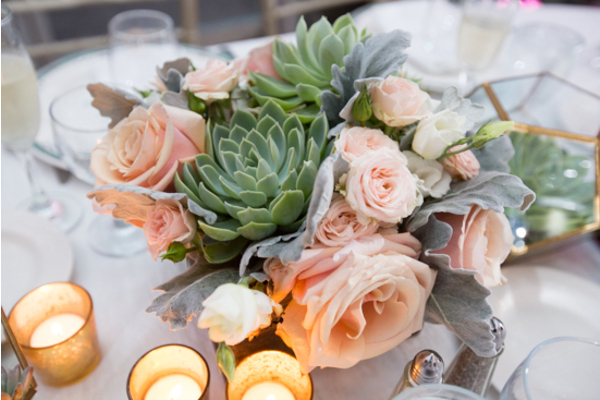 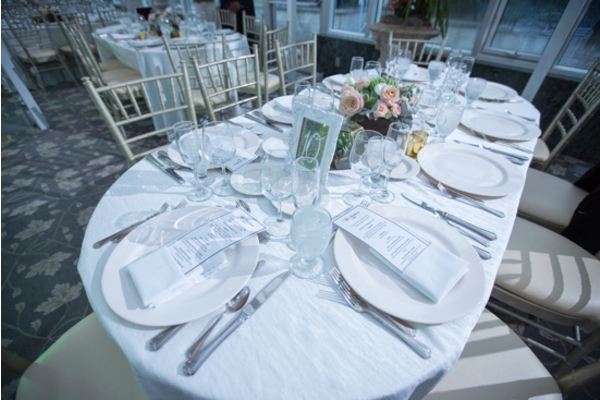 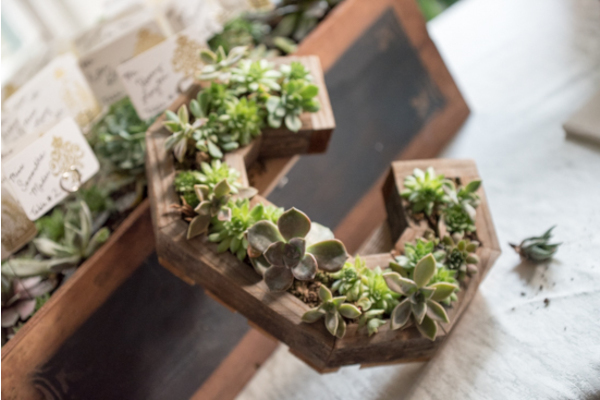 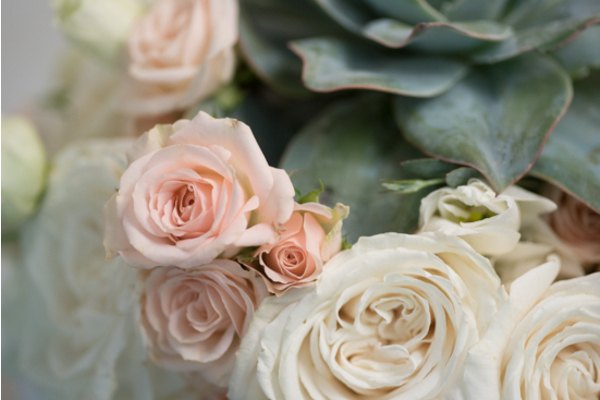 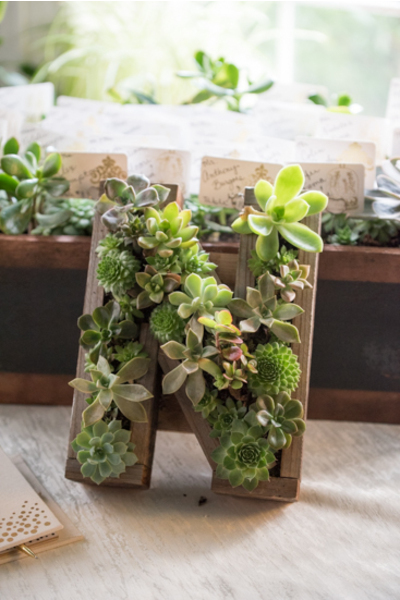 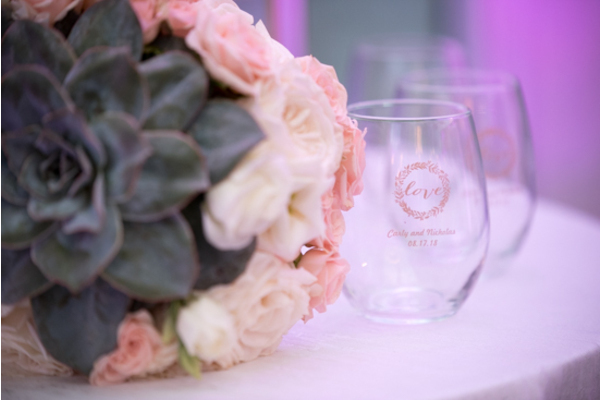 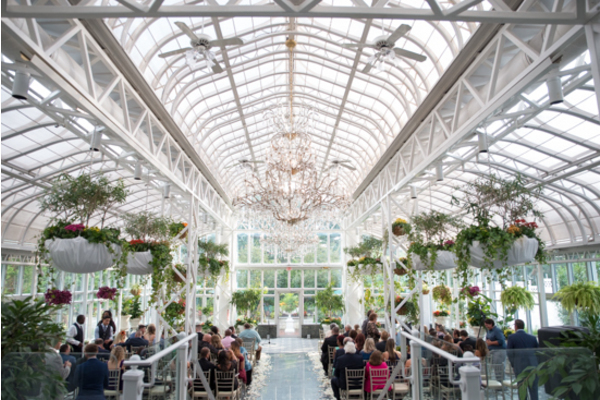 The succulents and roses added a modern yet simple feel to this gorgeous venue. 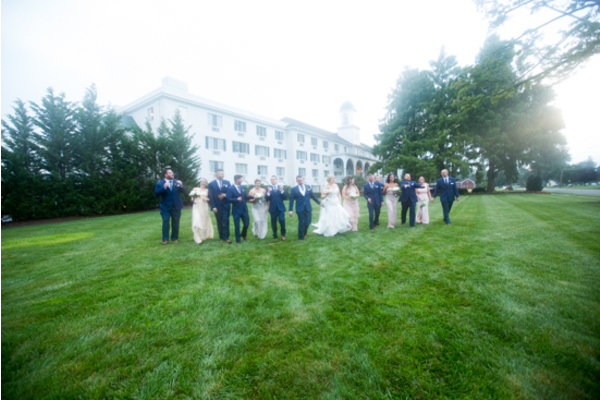 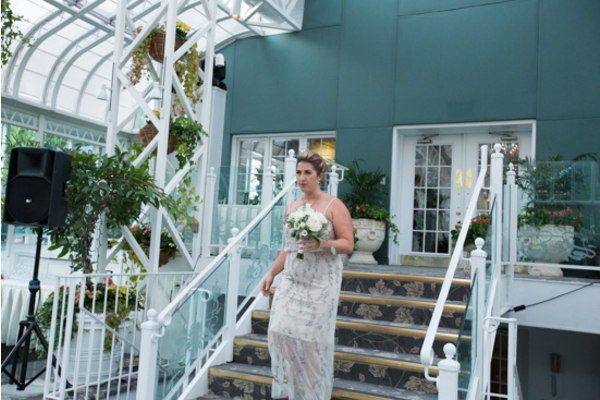 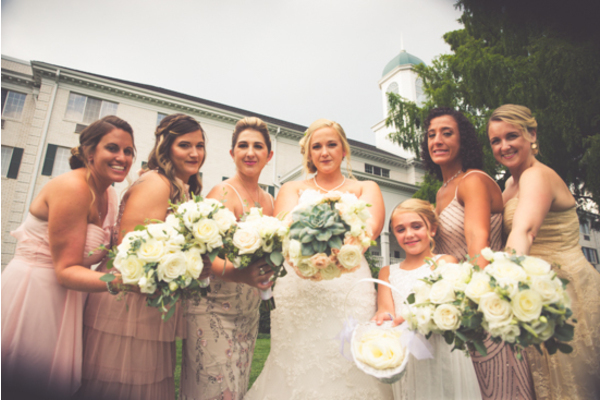 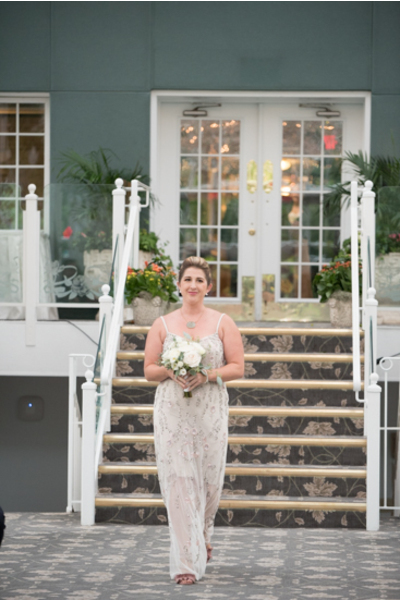 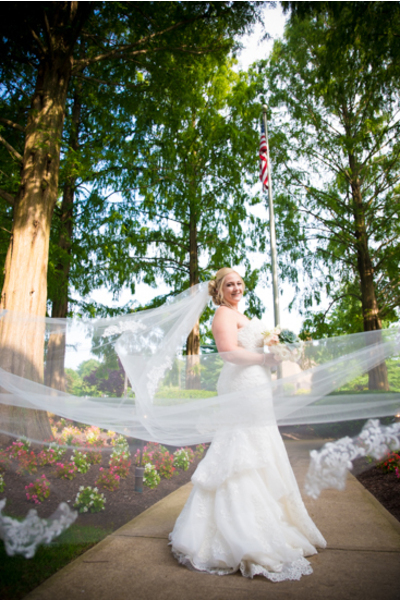 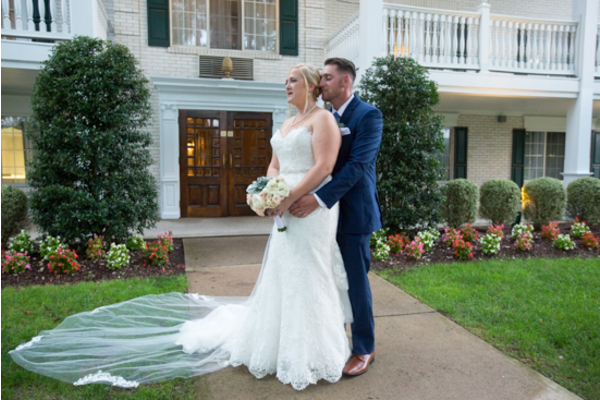 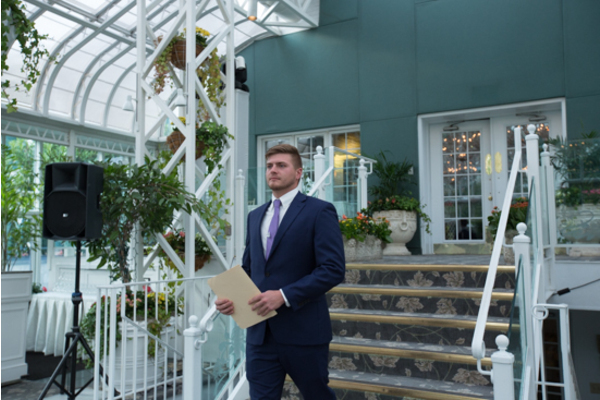 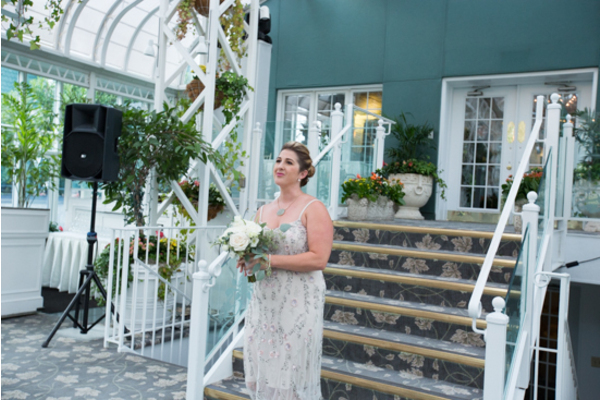 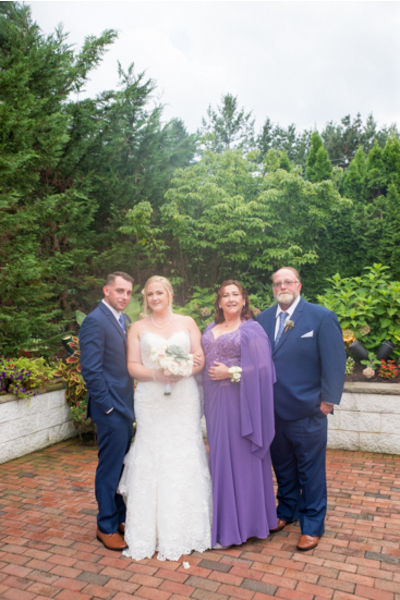 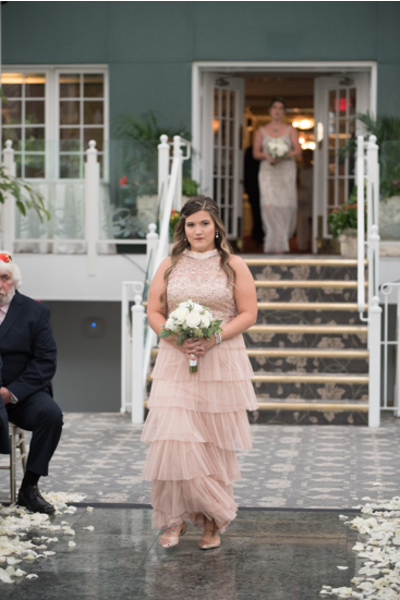 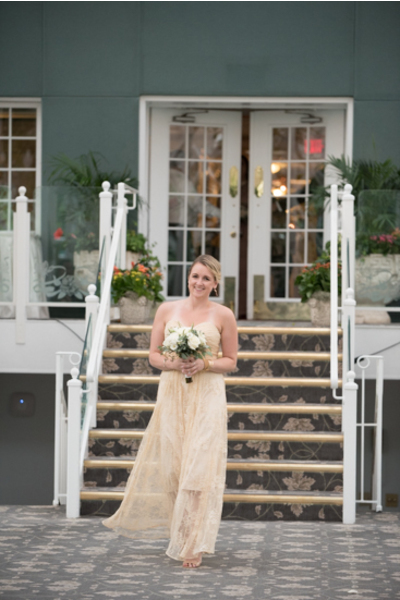 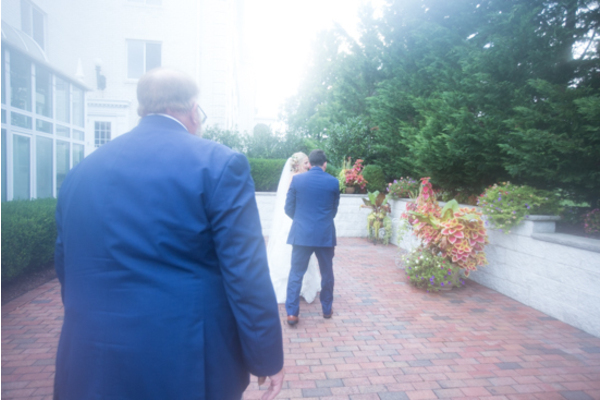 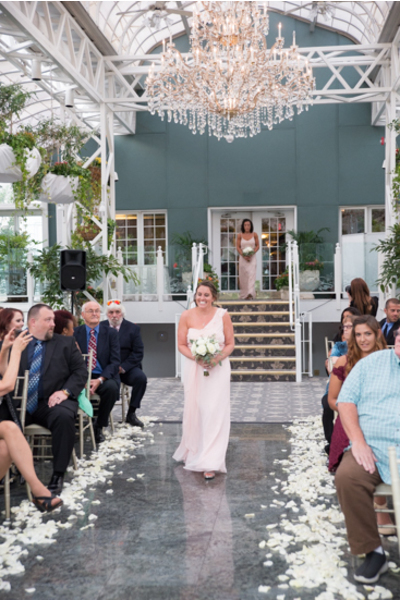 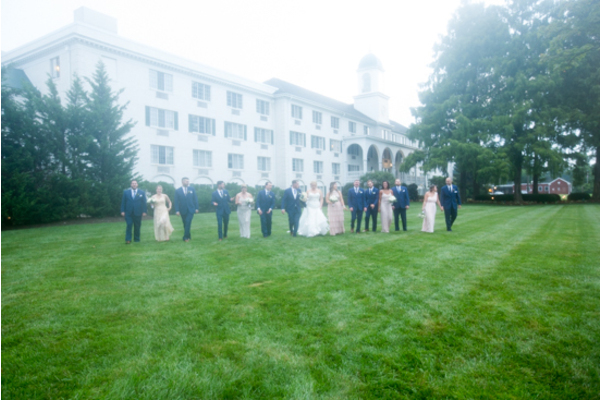 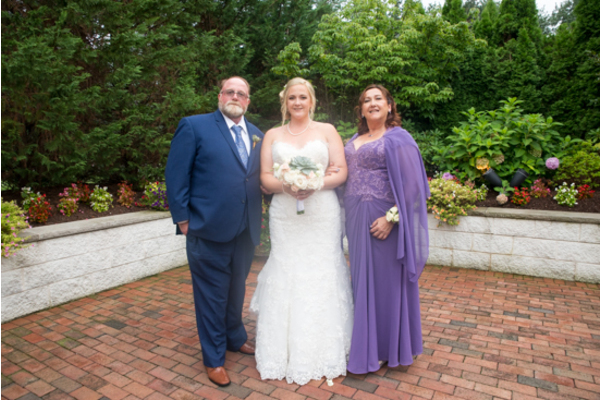 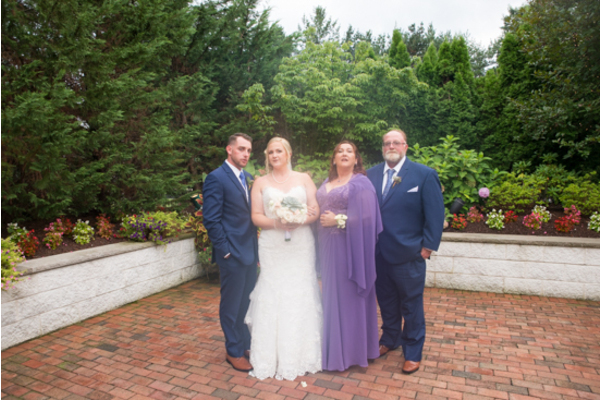 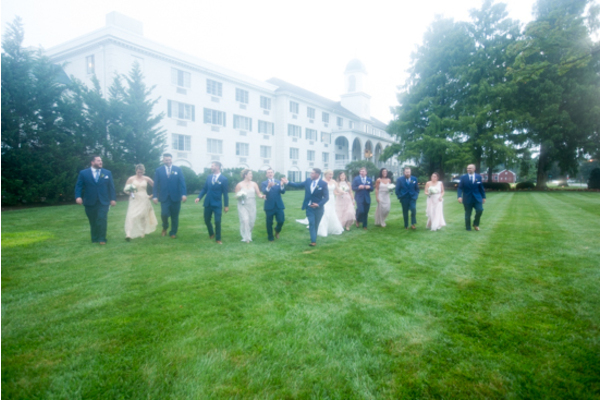 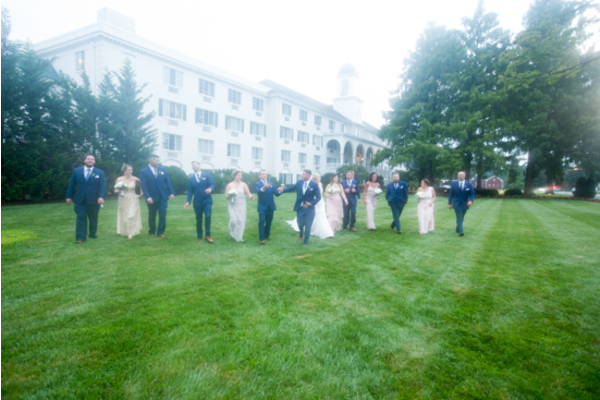 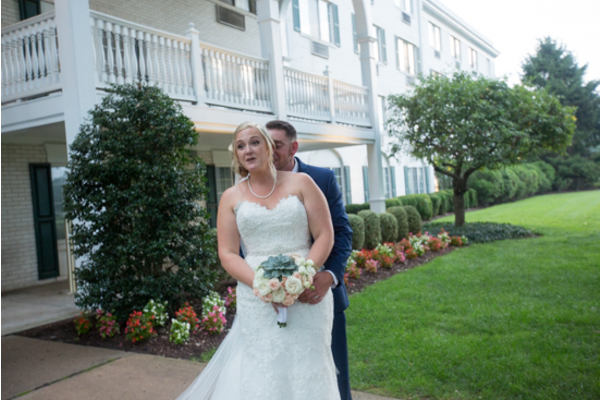 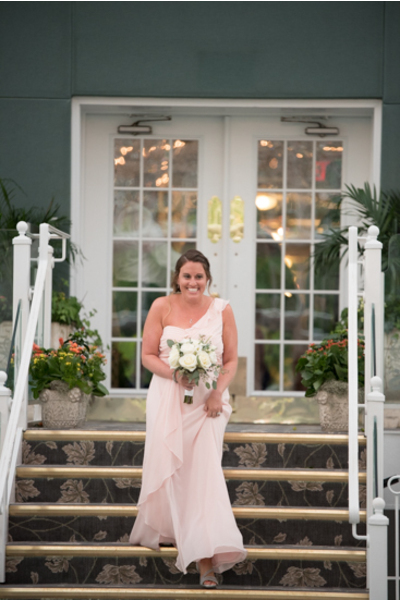 Our NJ Wedding Photographer took captivating photos in front of The Madison Hotel with the brides veil gracefully flowing in the summer breeze. 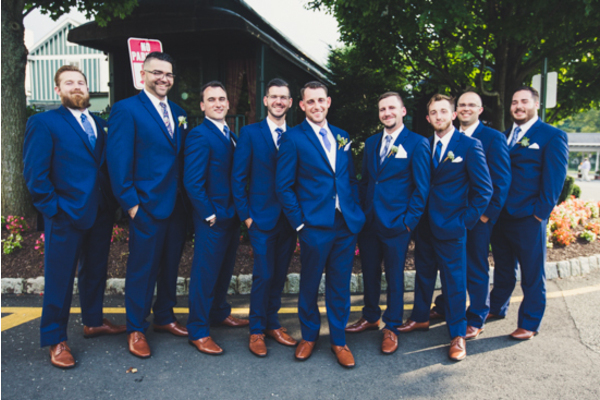 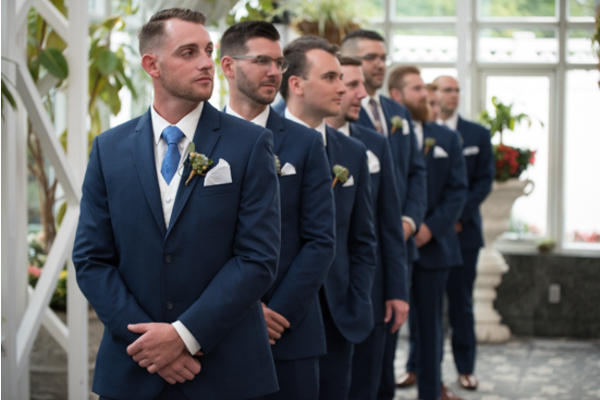 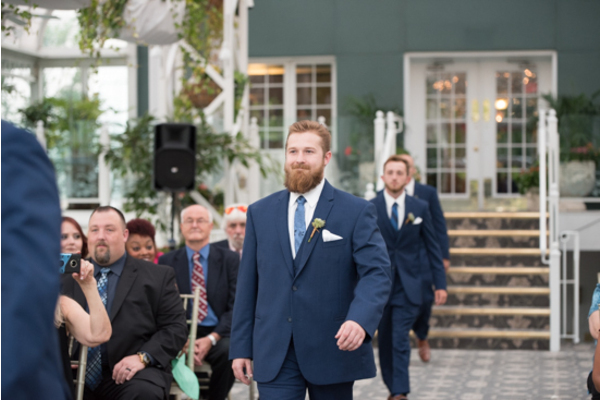 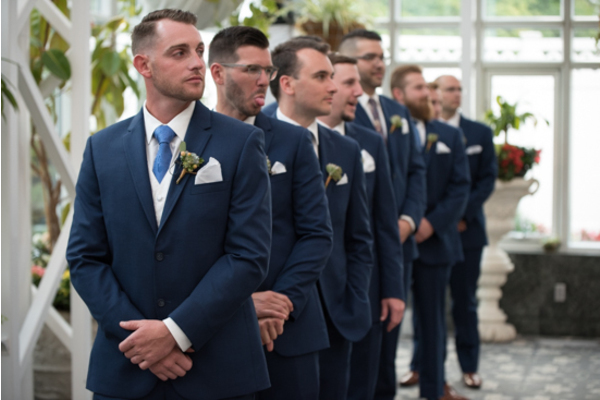 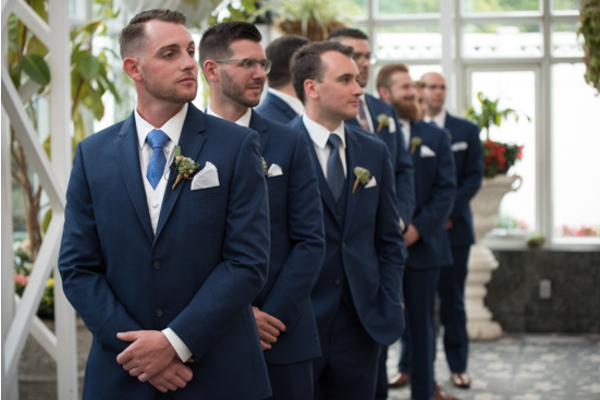 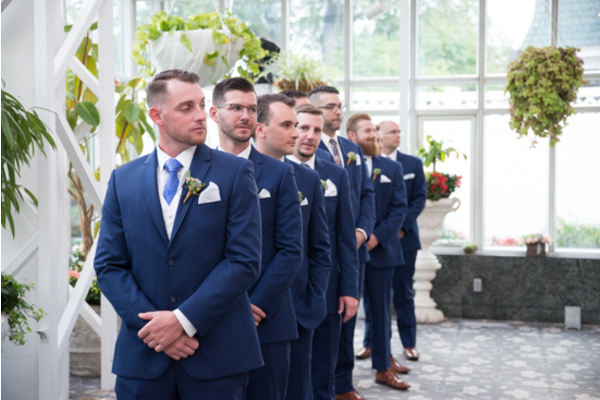 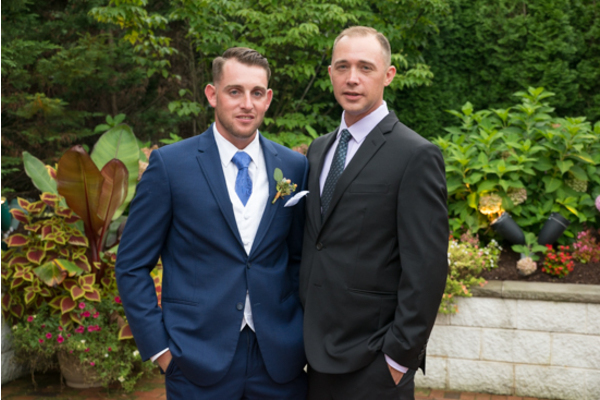 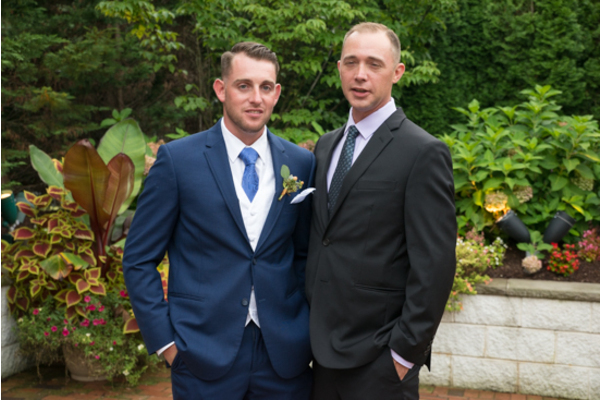 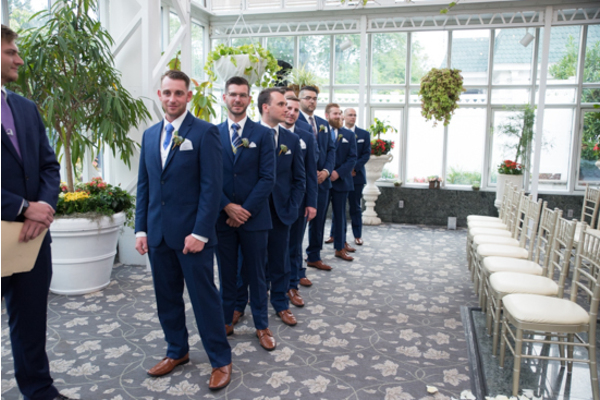 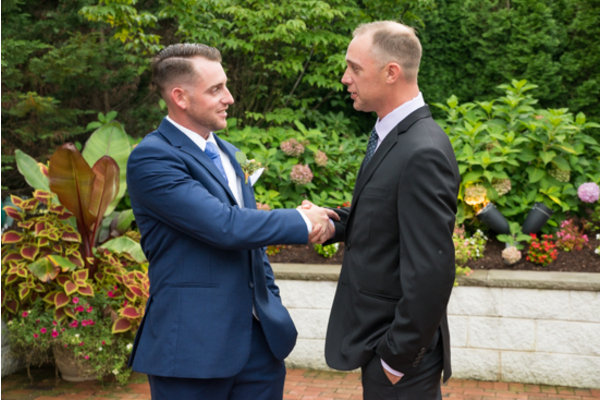 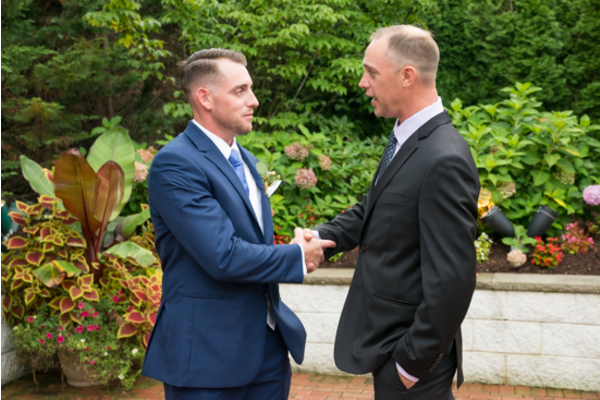 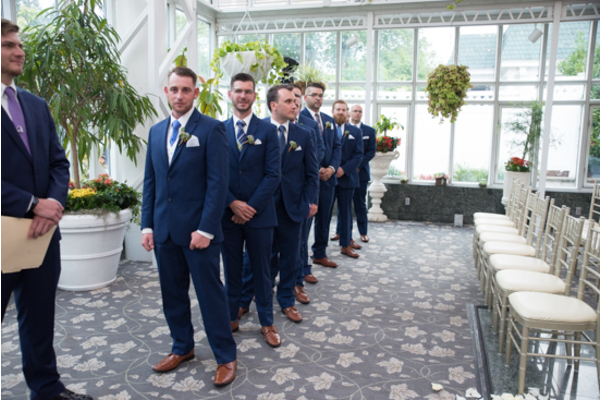 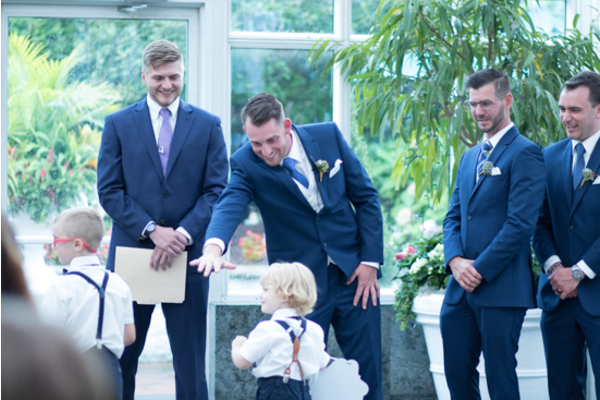 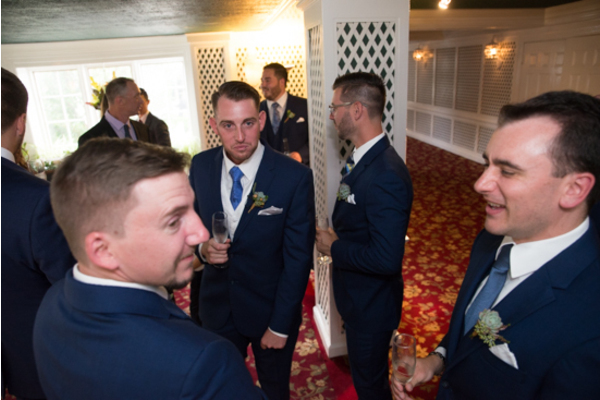 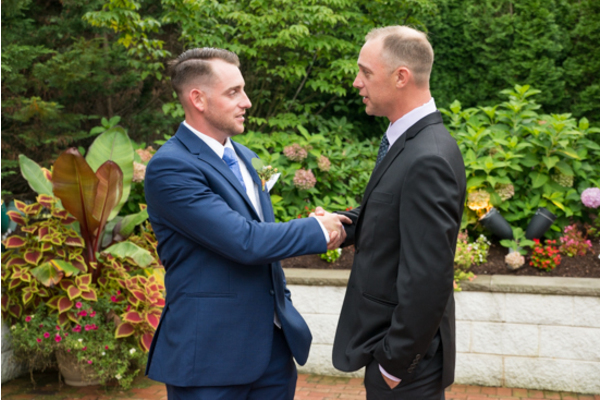 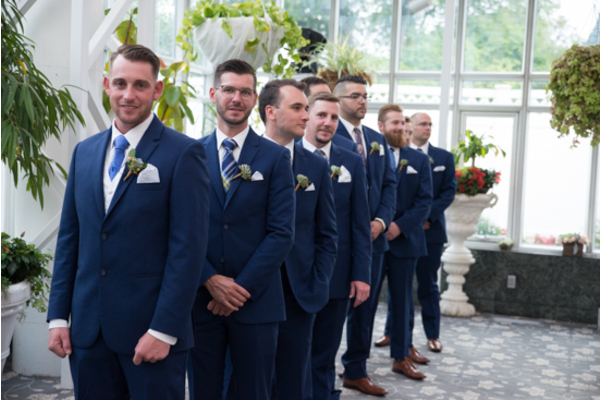 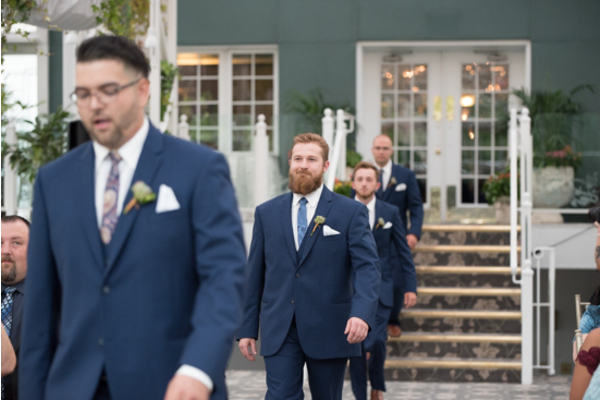 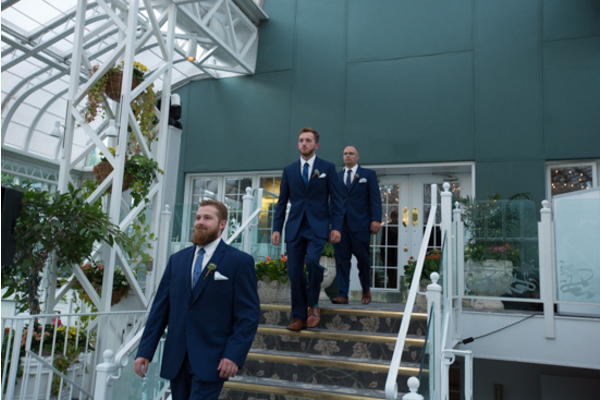 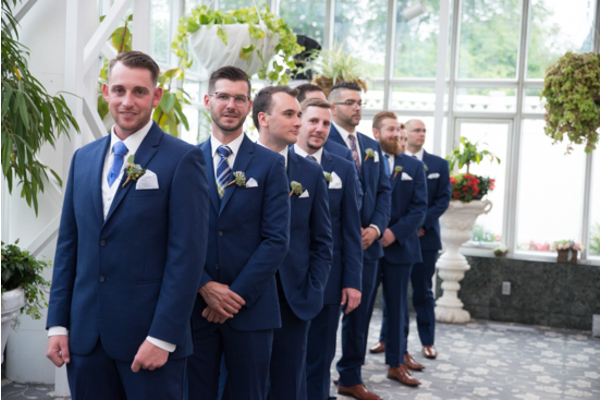 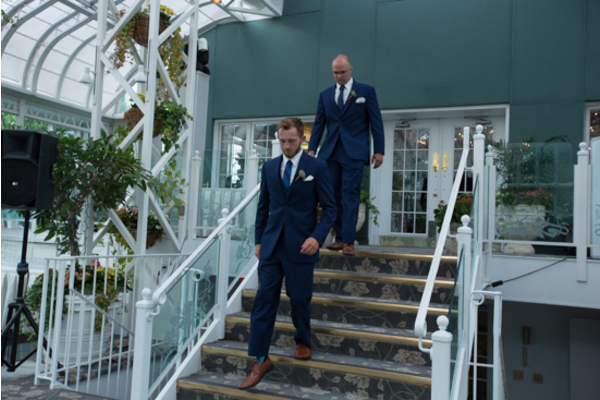 The blush pink bridesmaid dresses paired with the navy blue groomsmen suits fit this summer wedding perfectly. 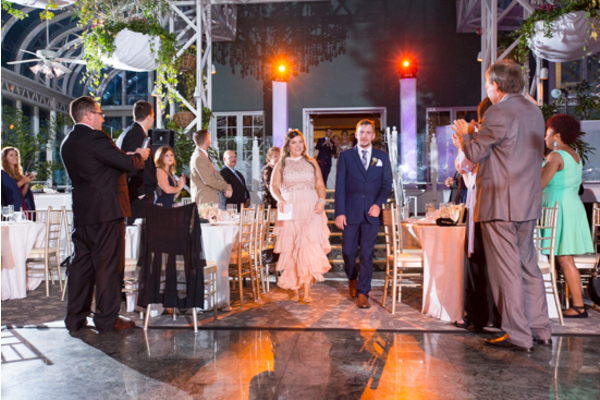 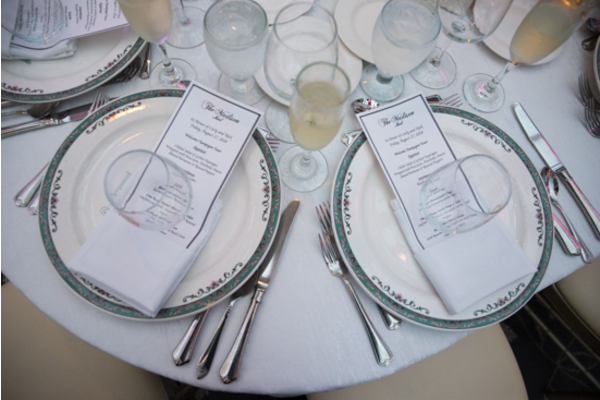 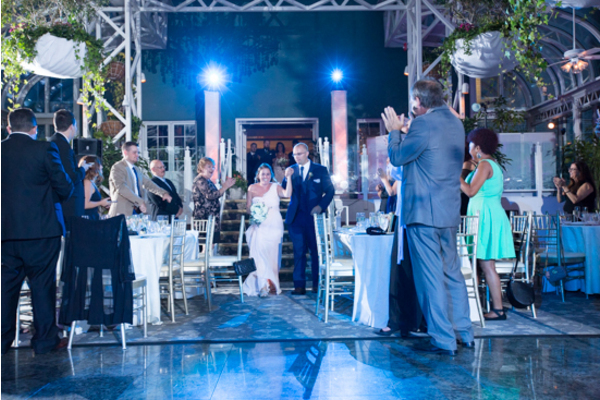 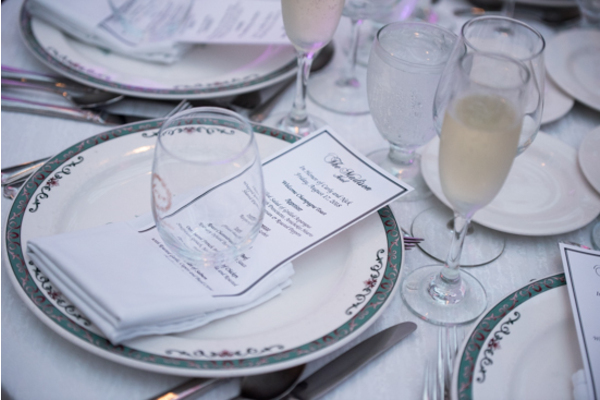 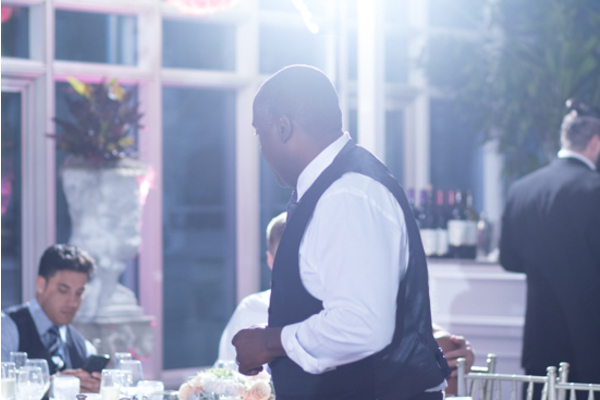 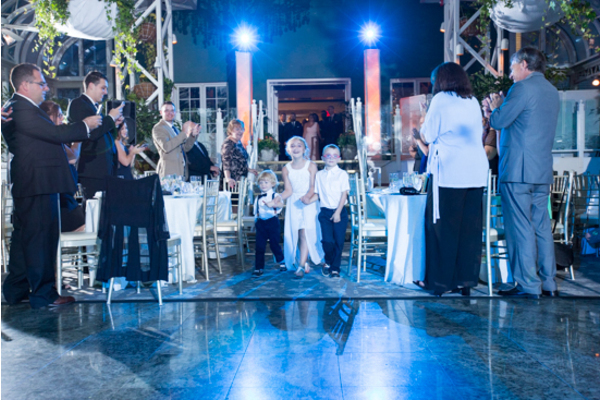 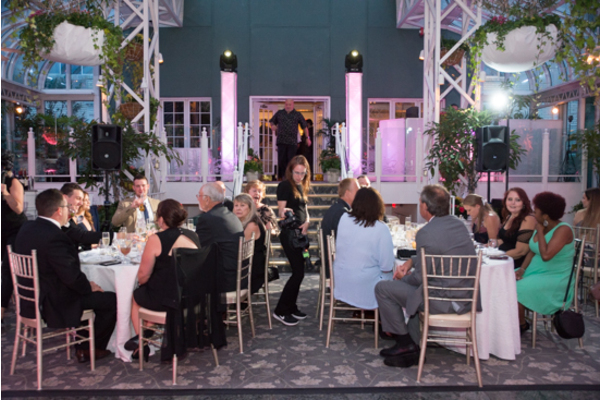 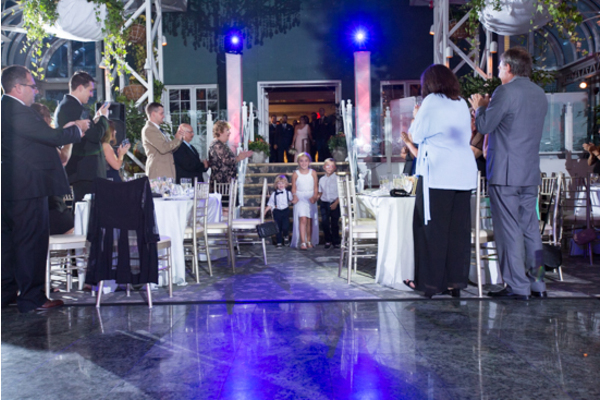 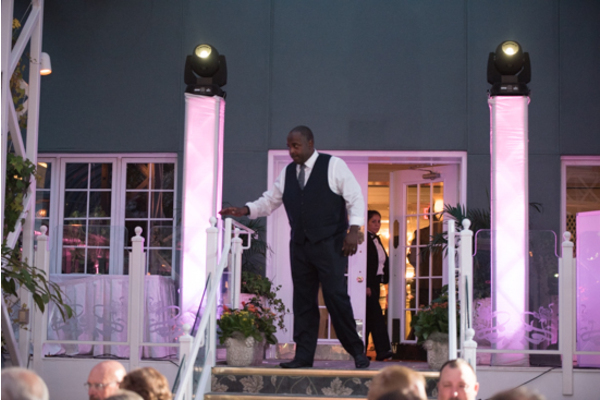 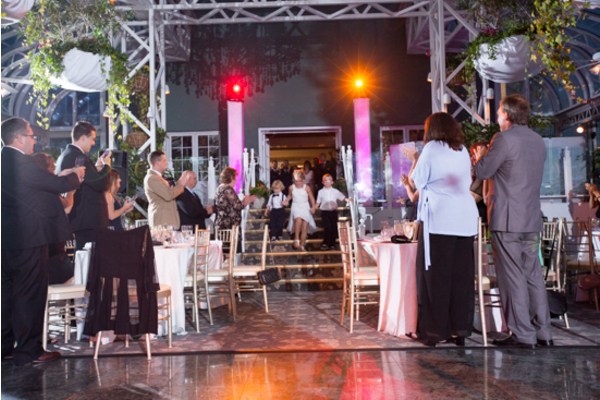 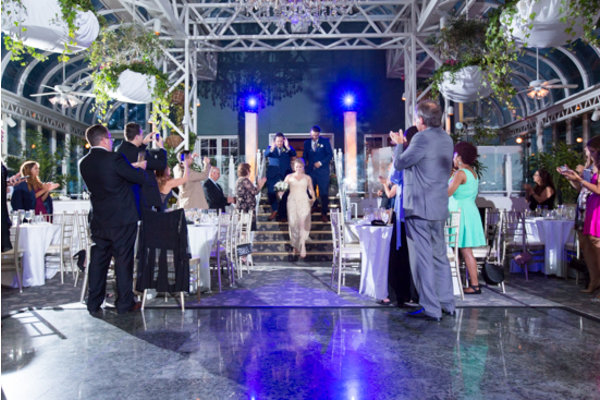 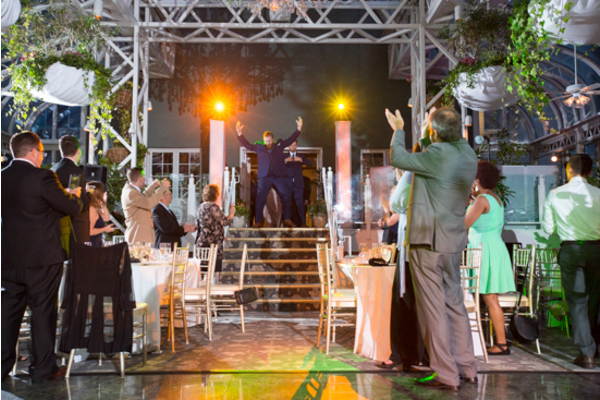 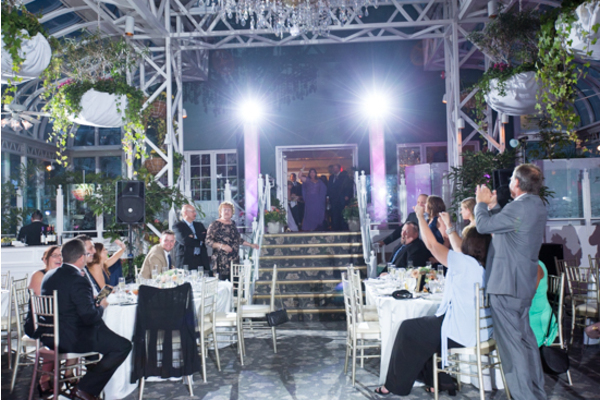 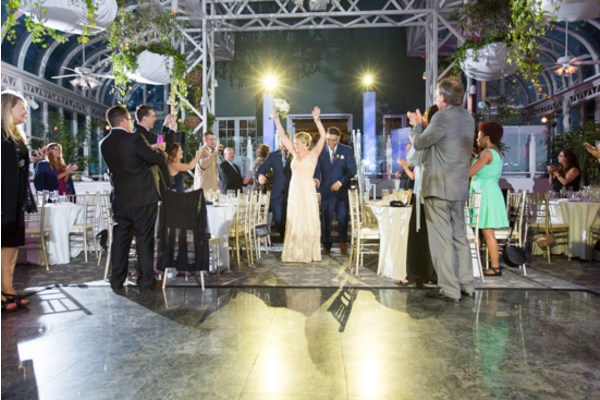 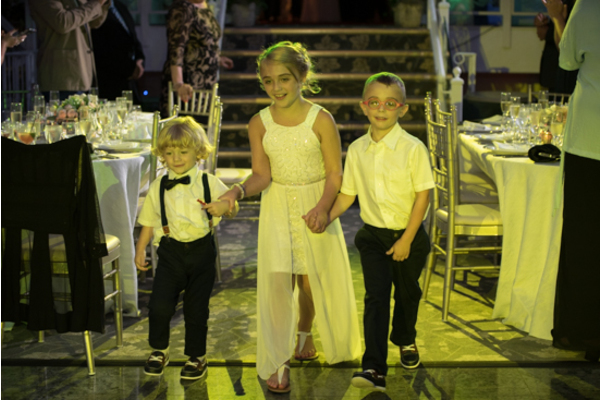 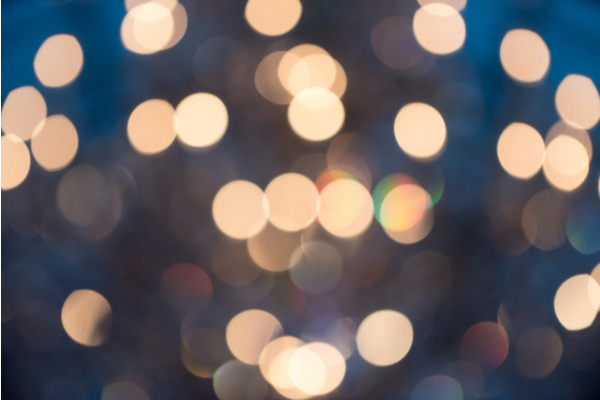 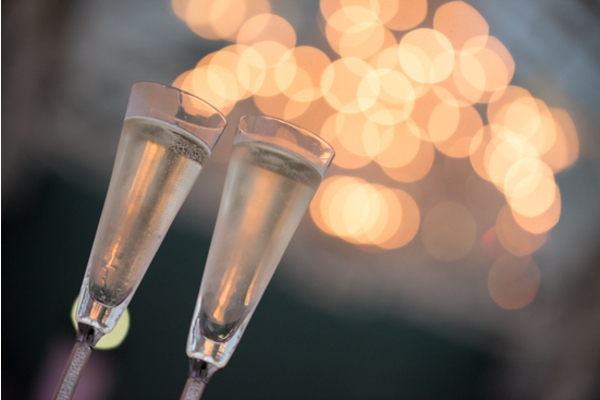 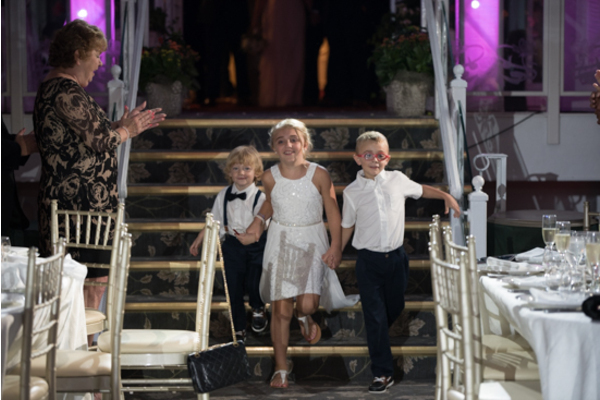 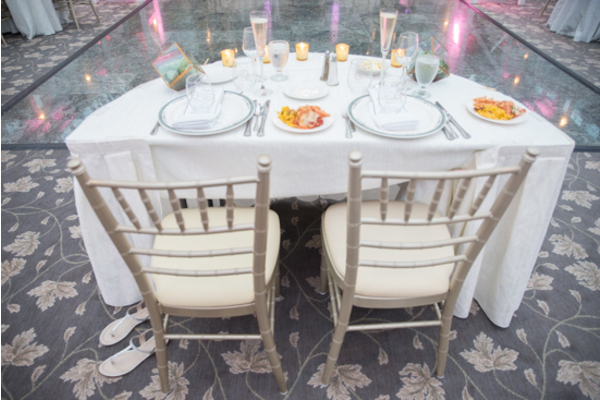 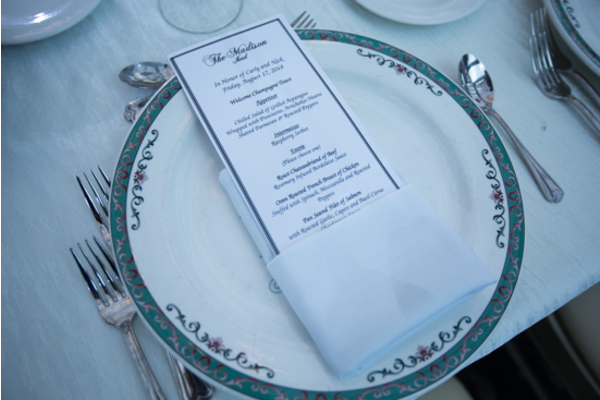 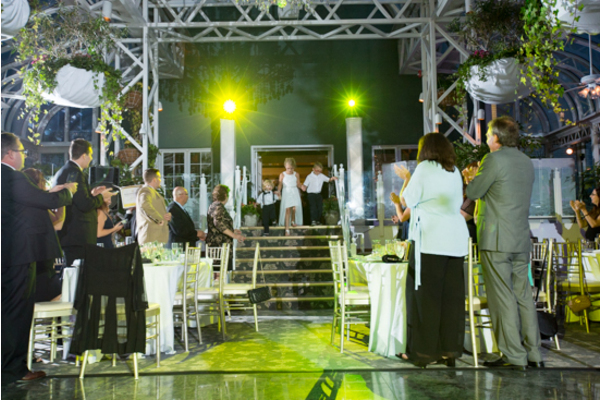 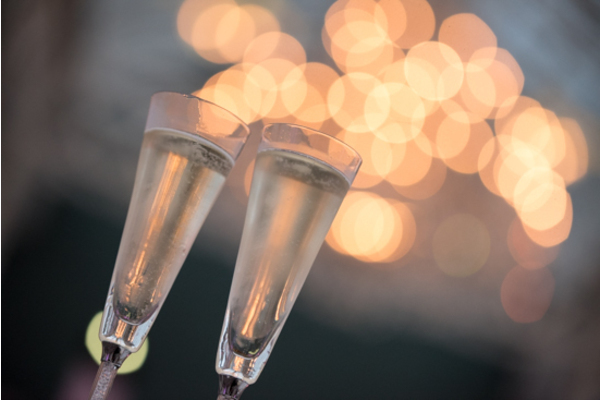 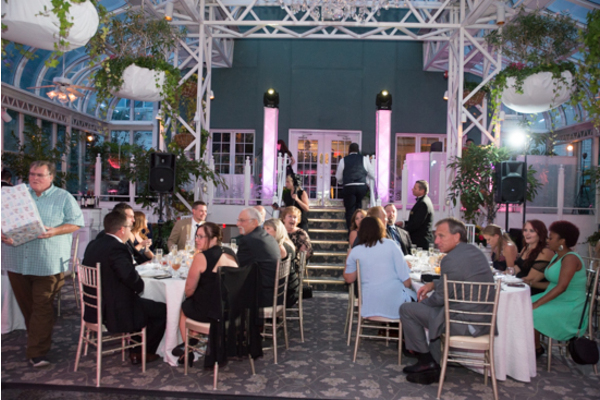 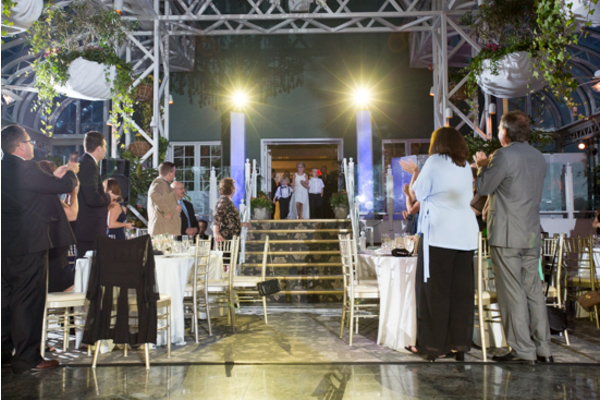 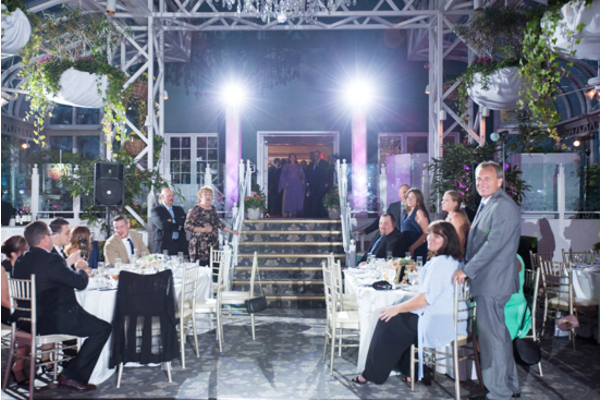 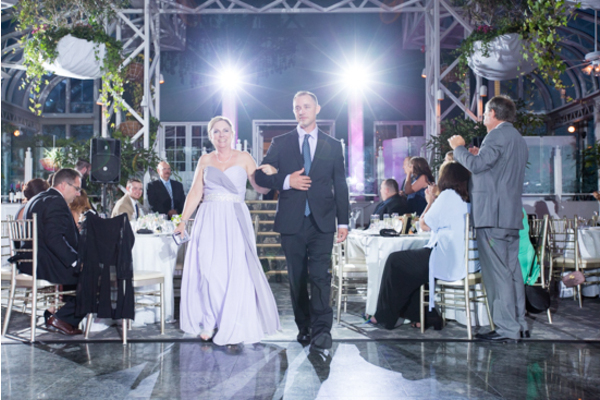 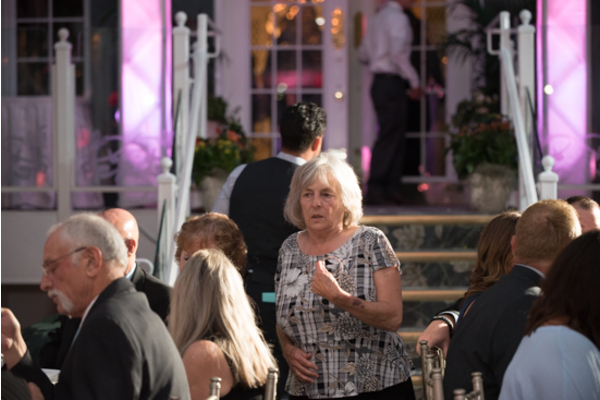 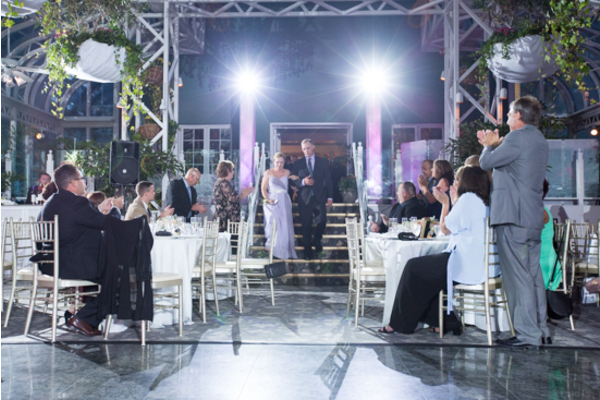 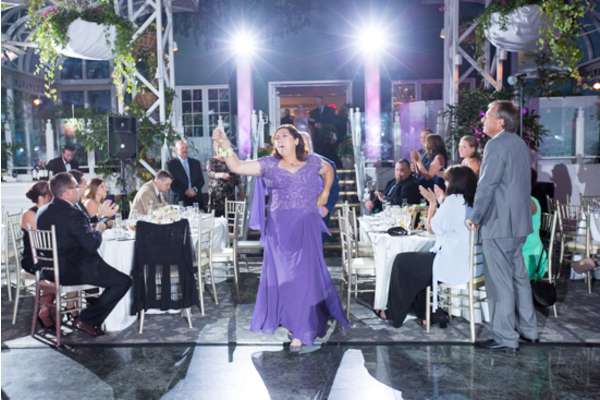 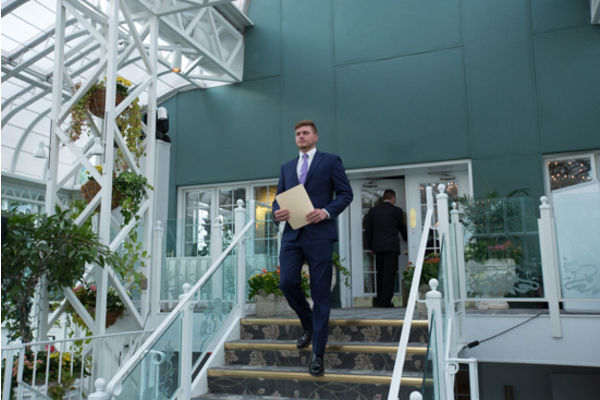 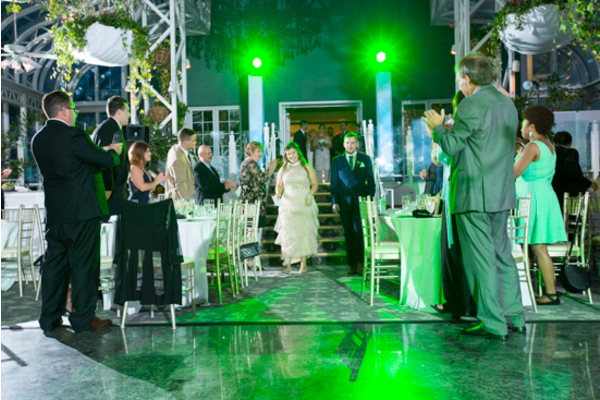 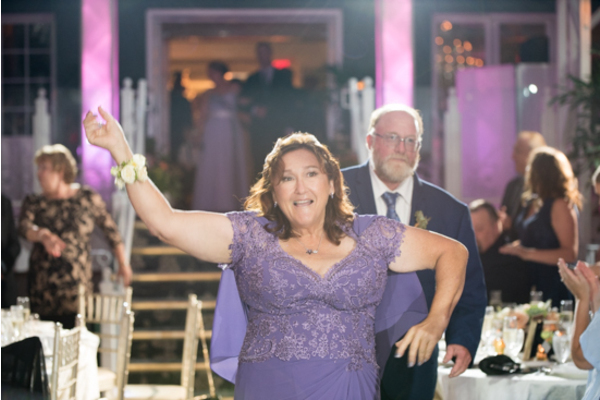 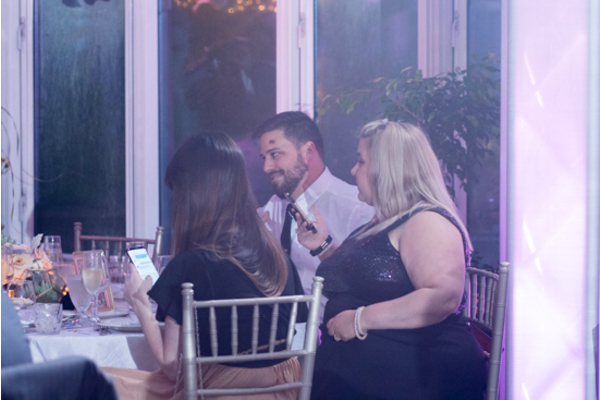 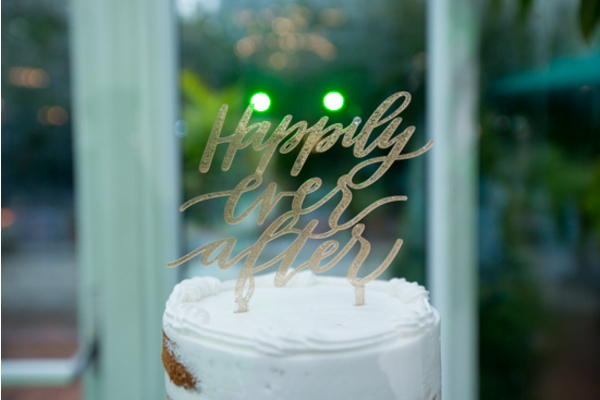 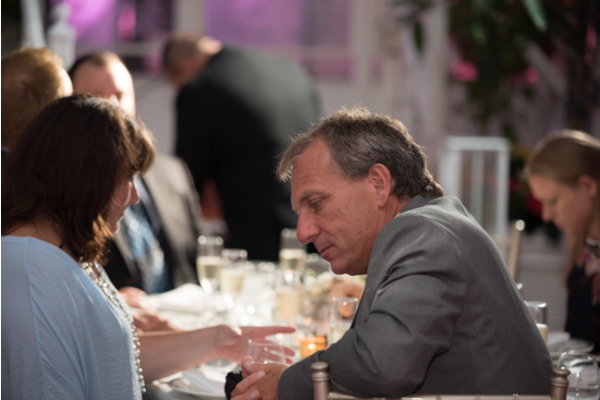 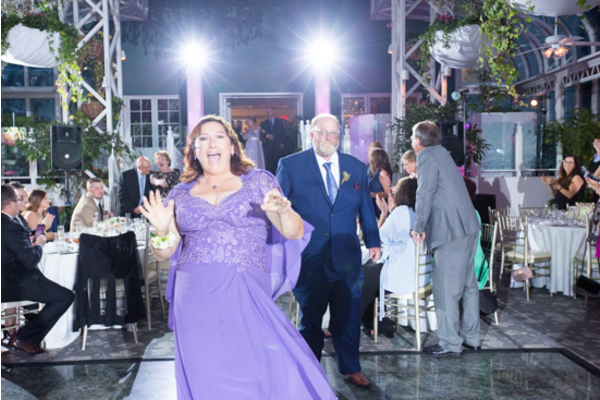 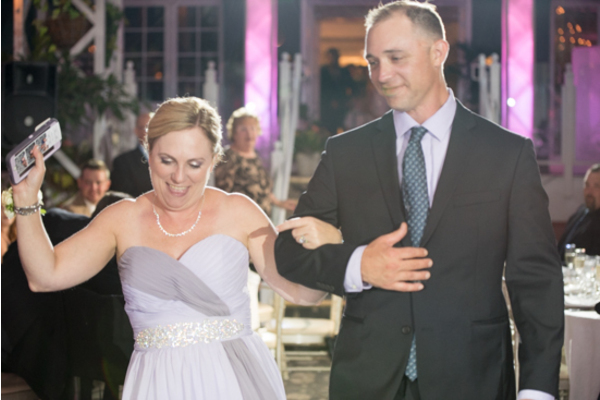 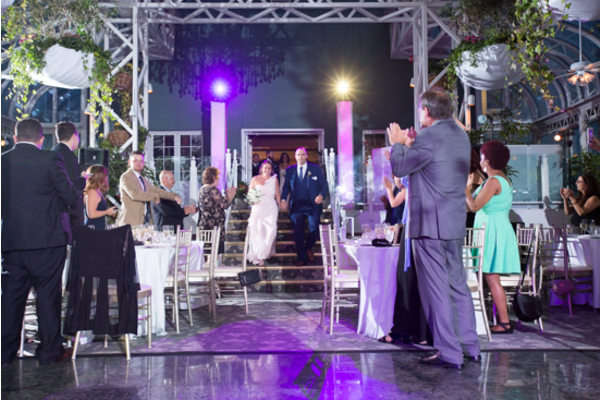 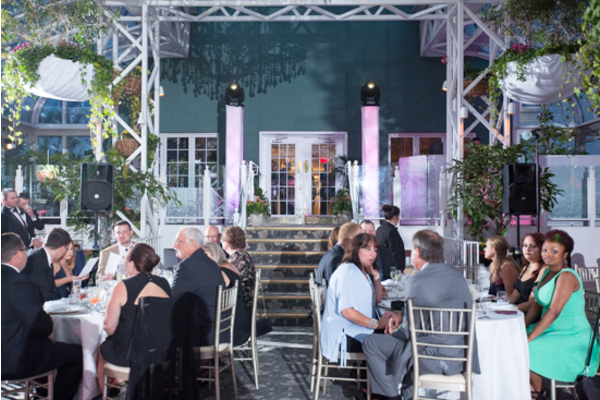 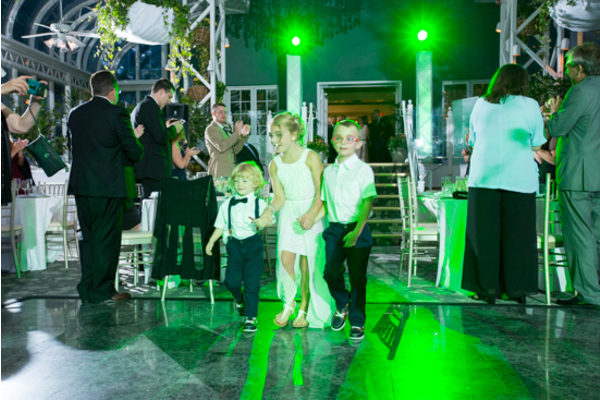 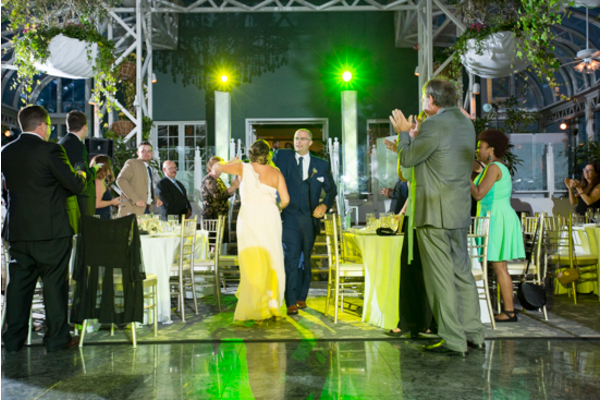 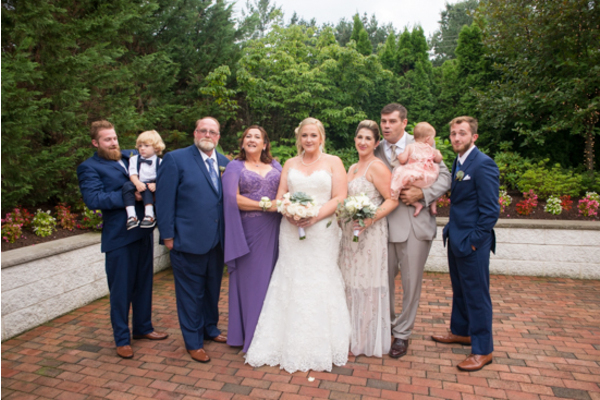 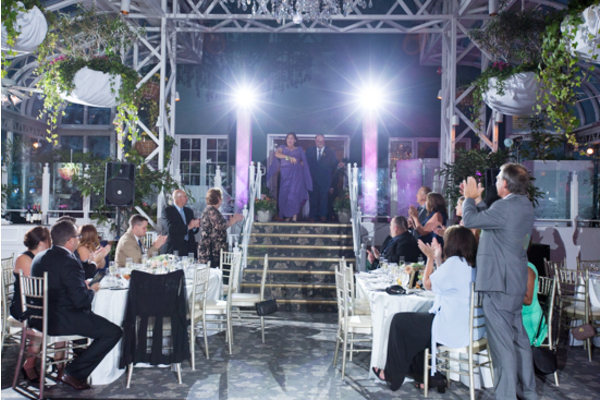 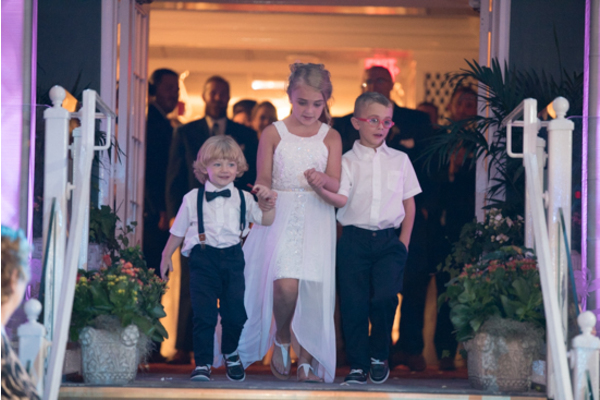 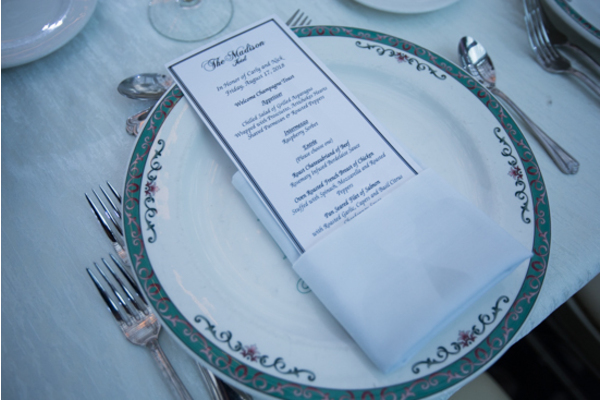 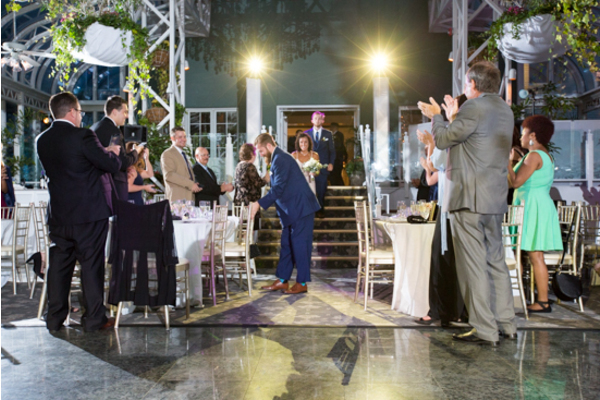 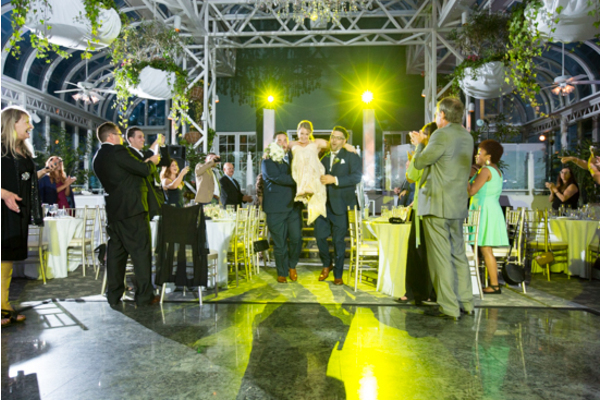 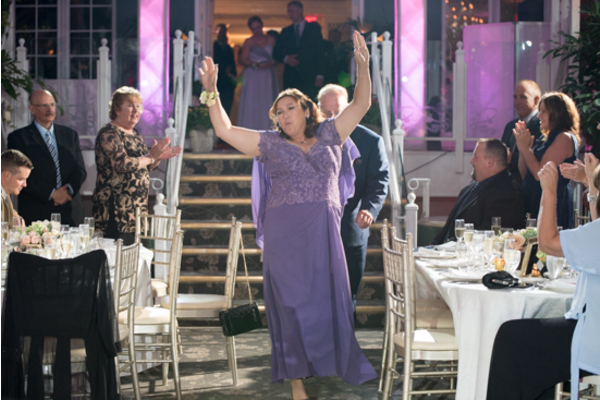 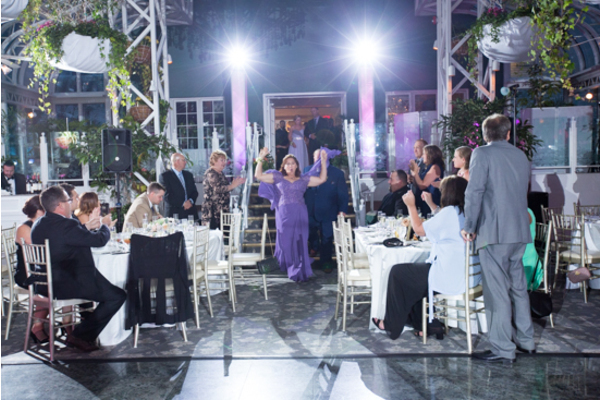 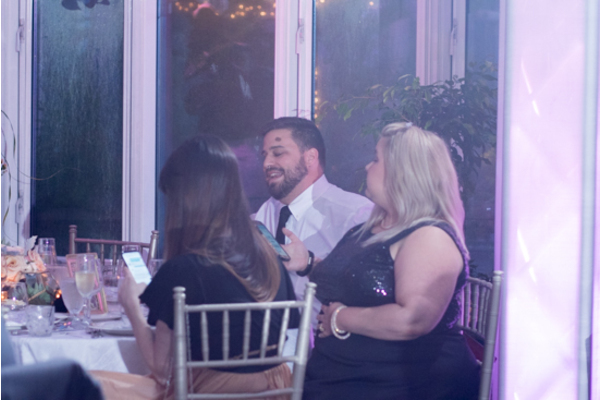 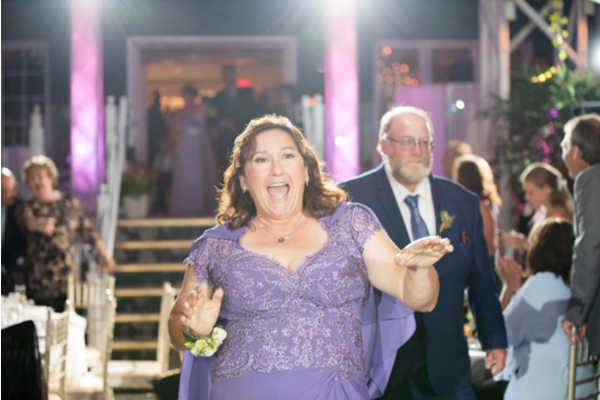 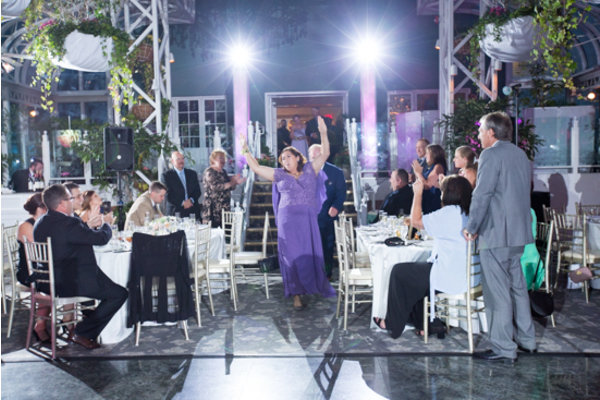 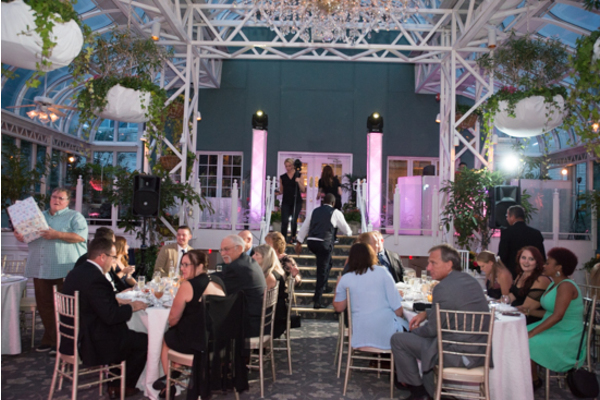 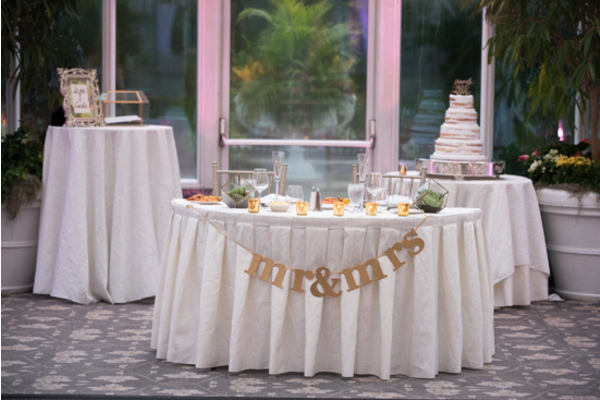 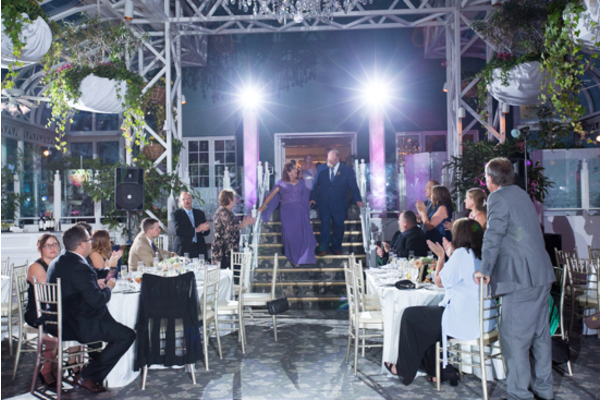 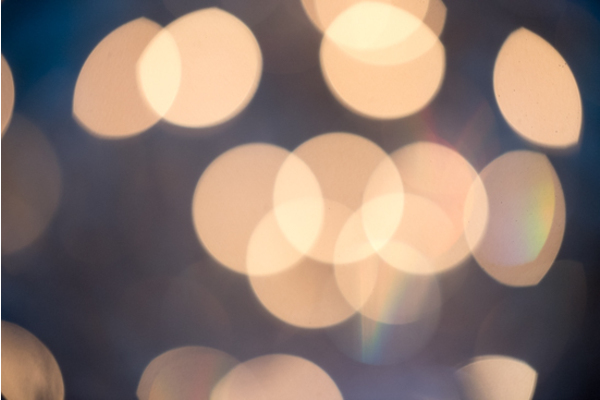 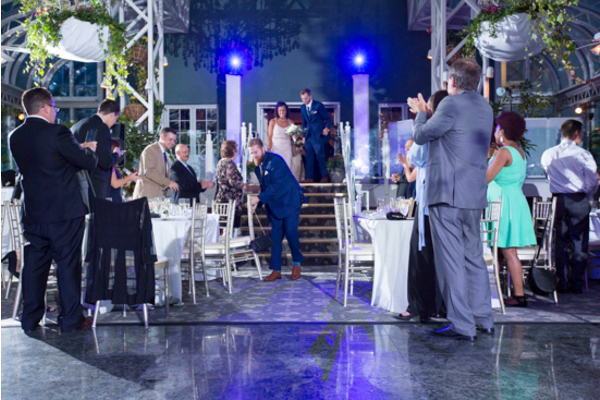 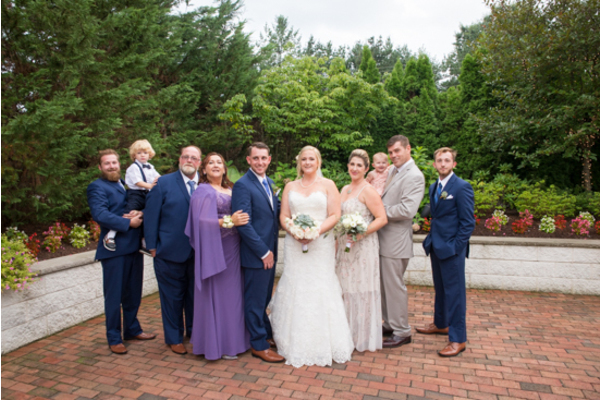 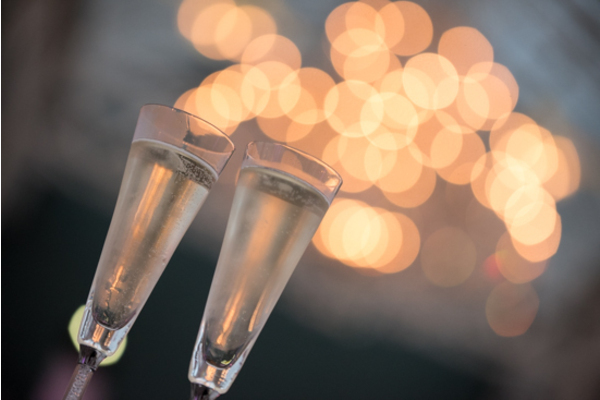 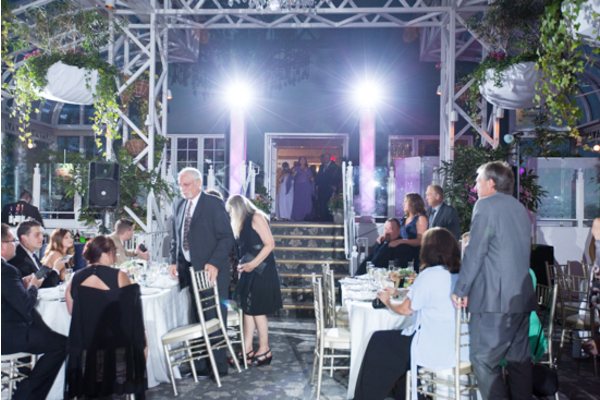 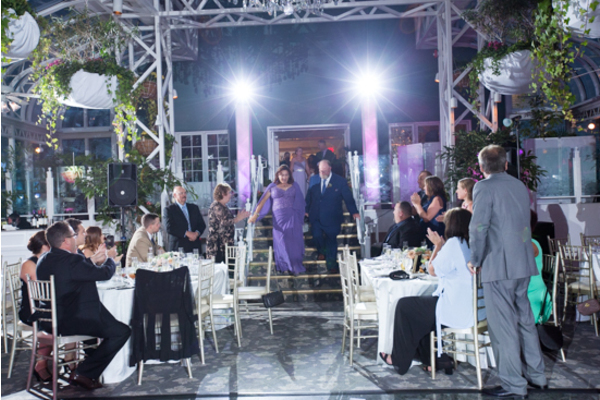 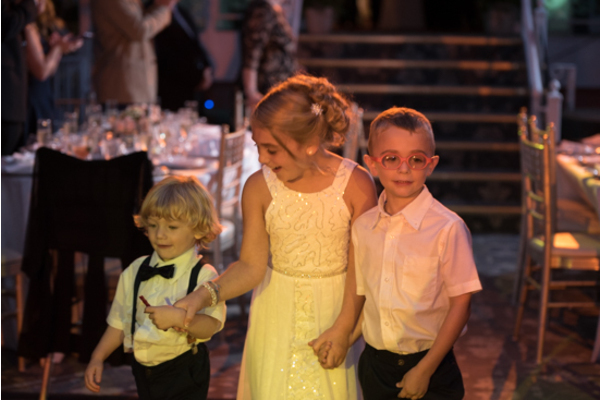 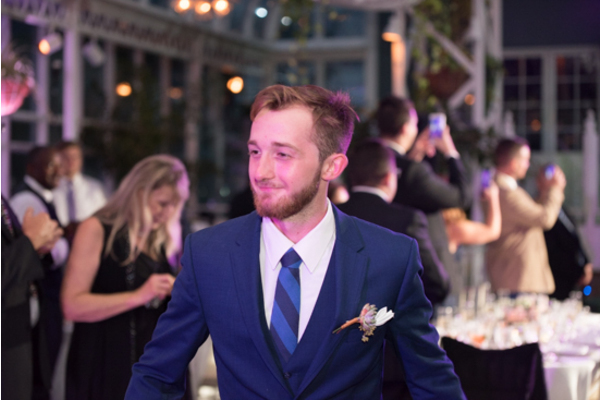 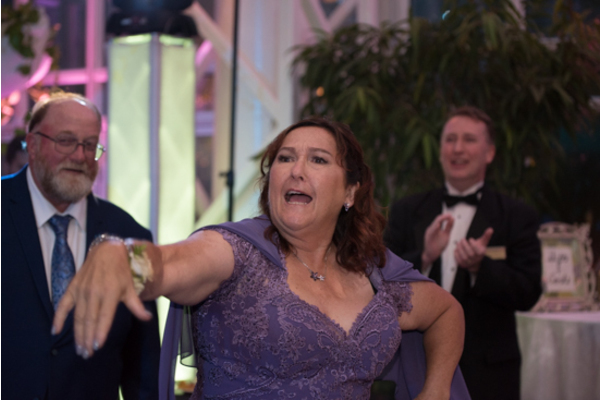 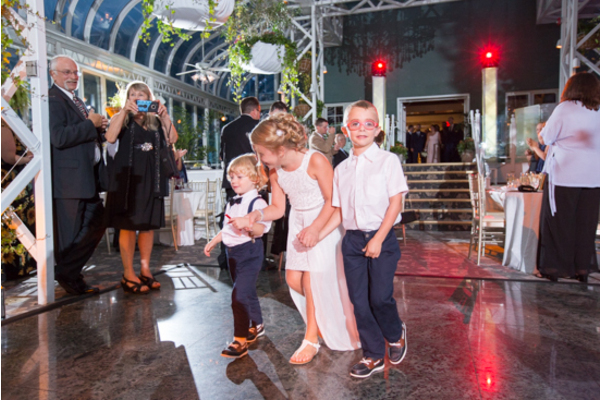 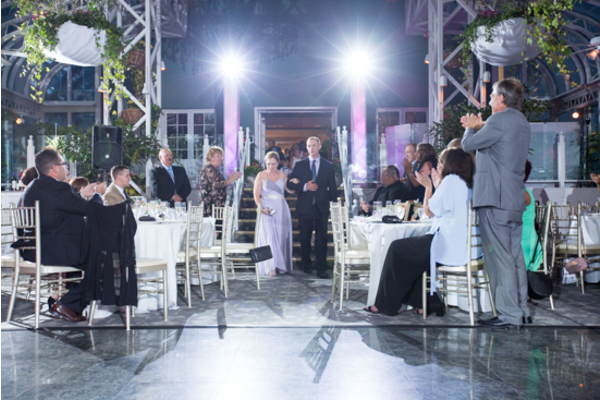 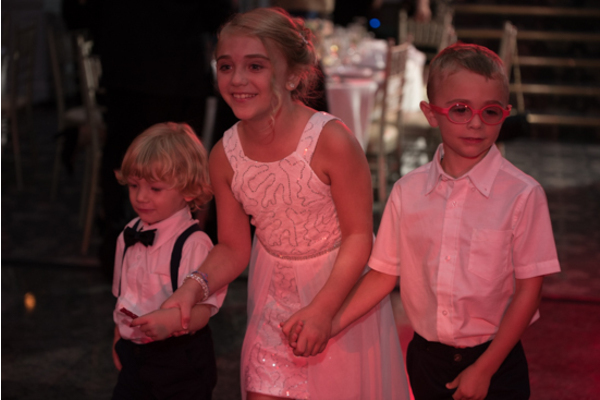 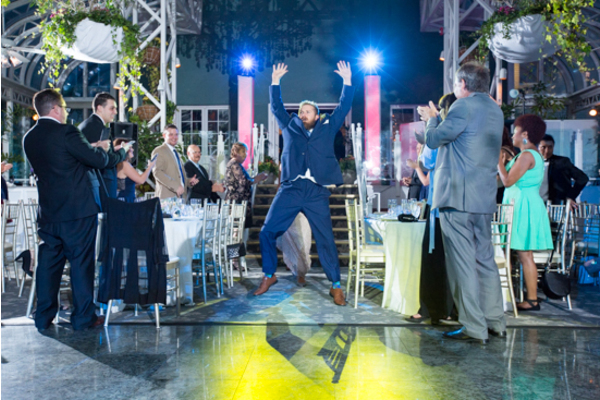 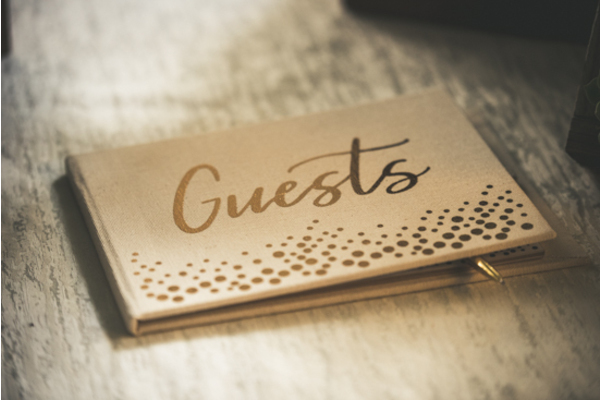 At the reception, the couple joined their family and friends for a night of celebration! 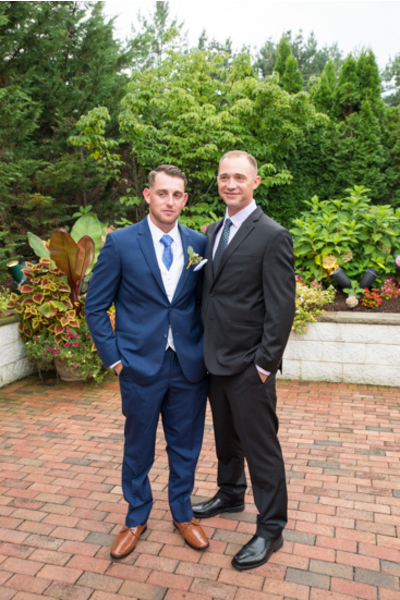 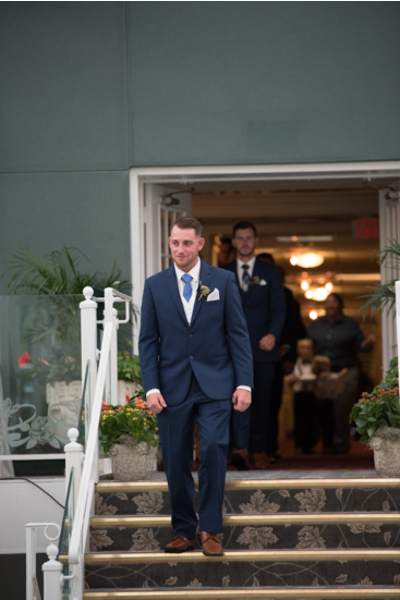 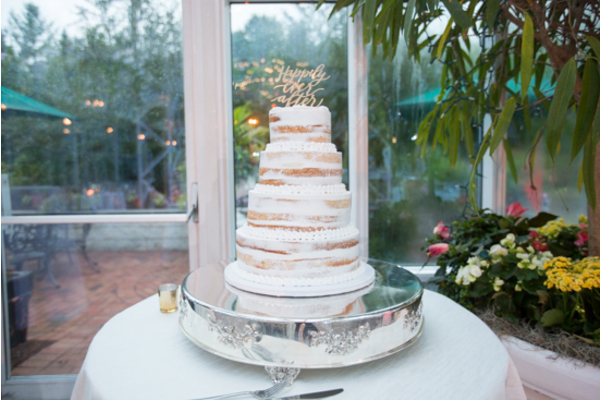 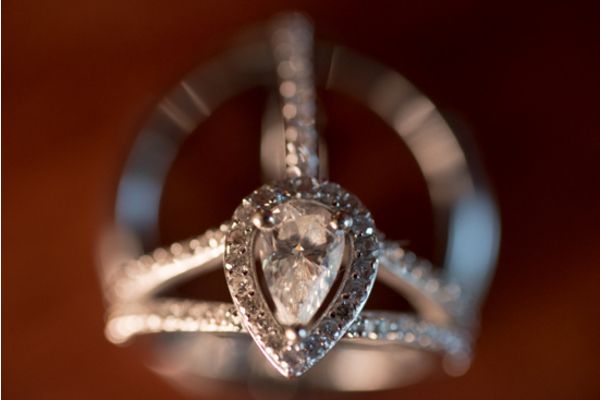 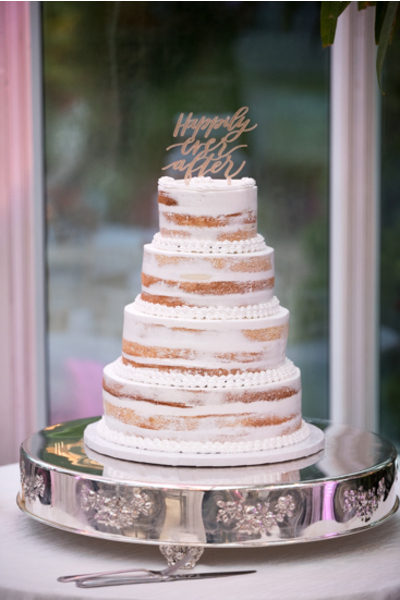 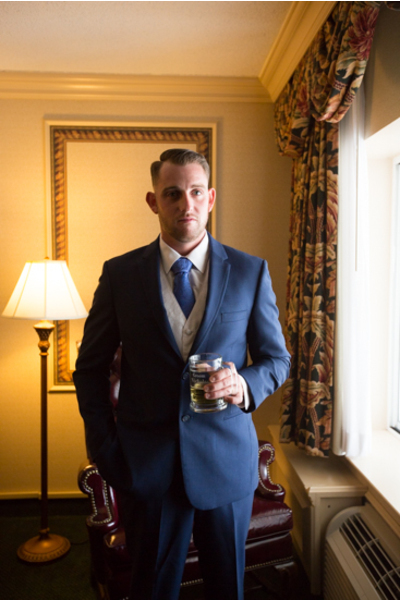 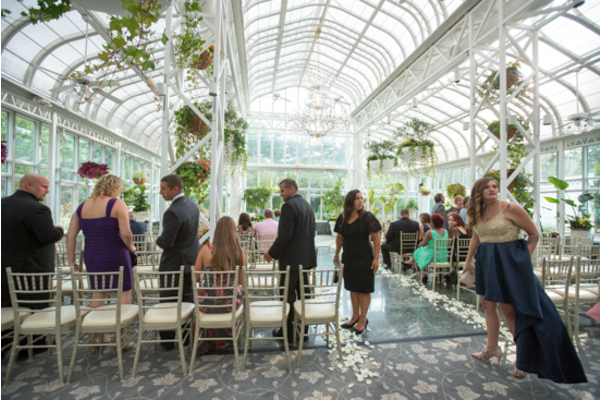 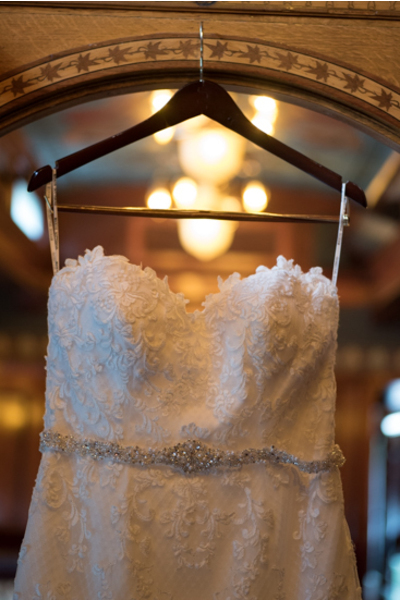 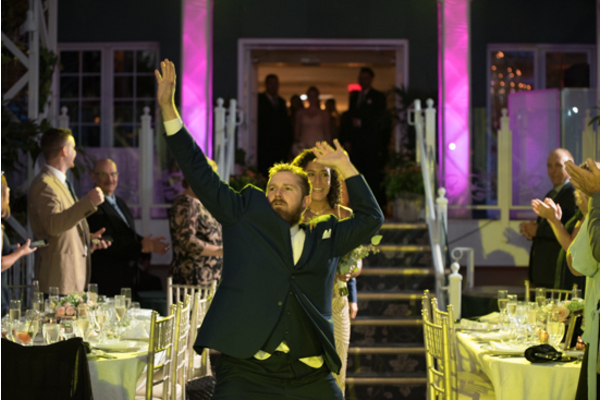 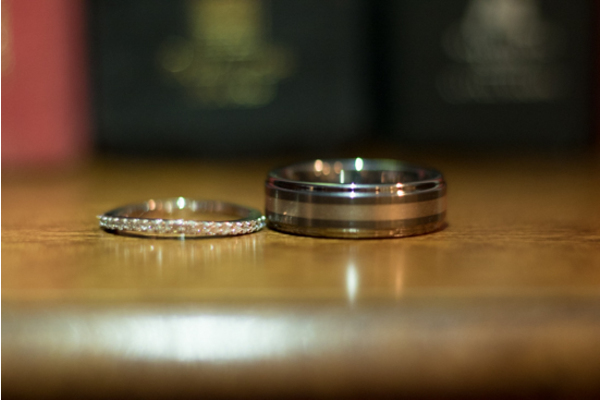 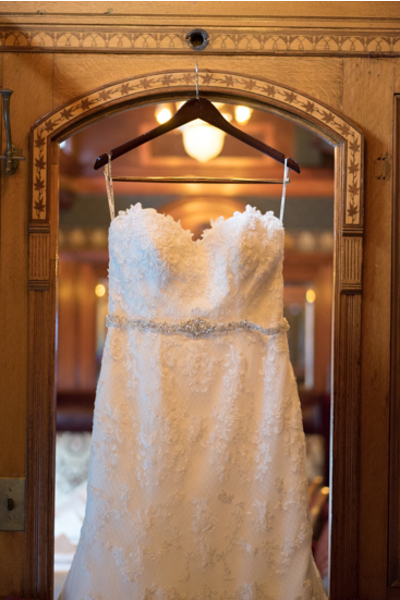 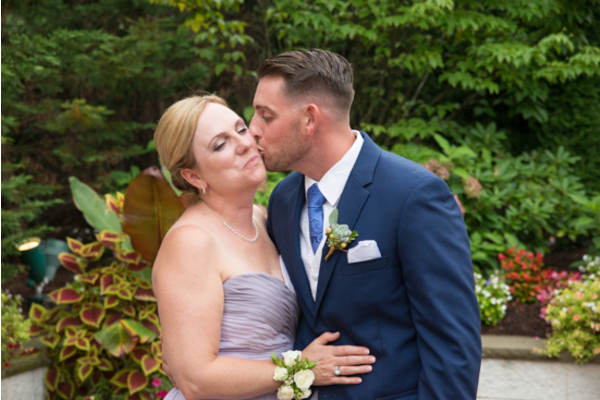 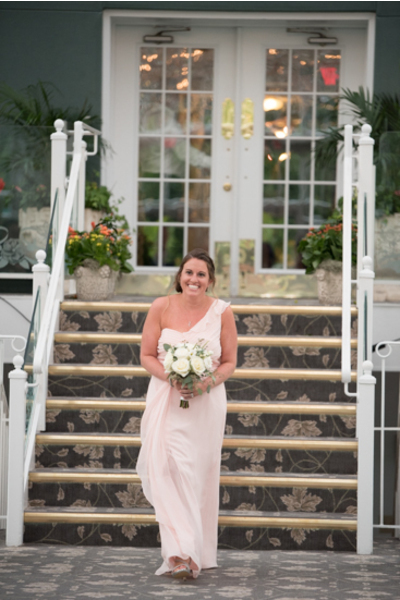 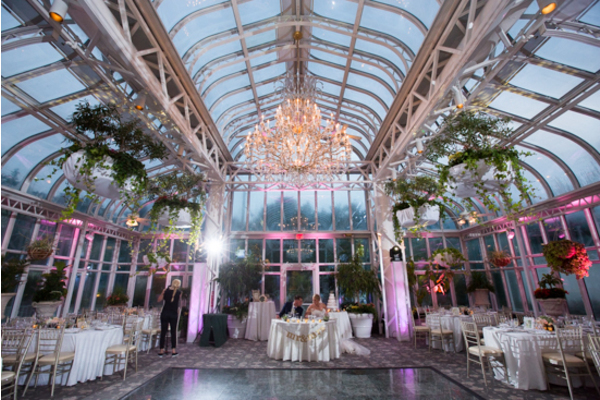 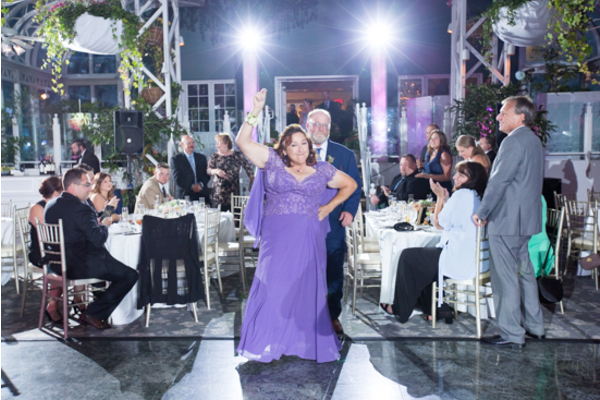 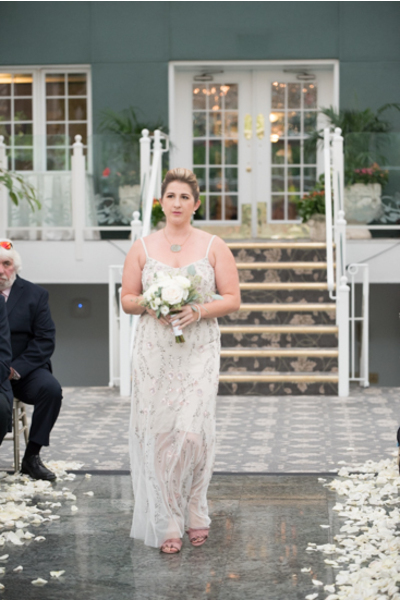 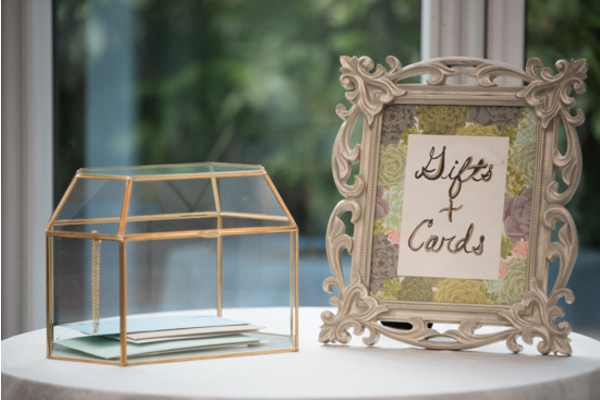 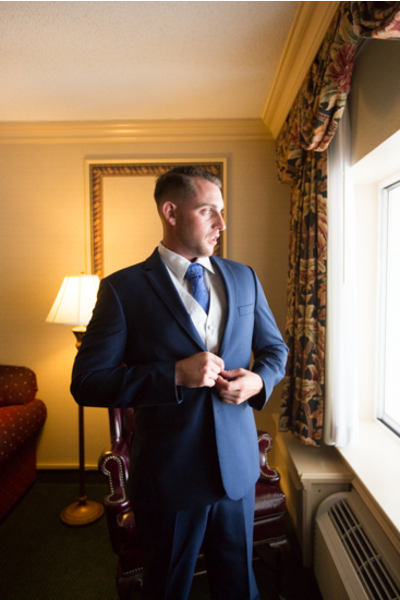 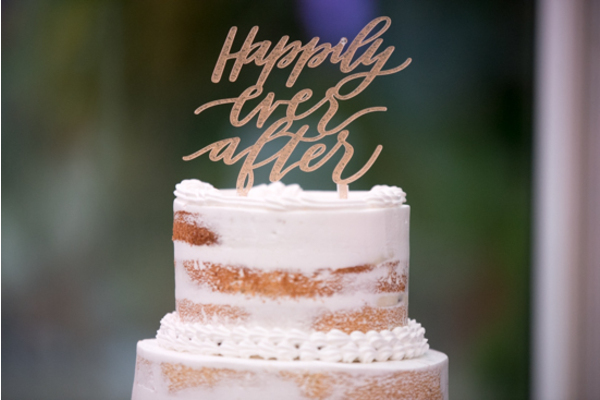 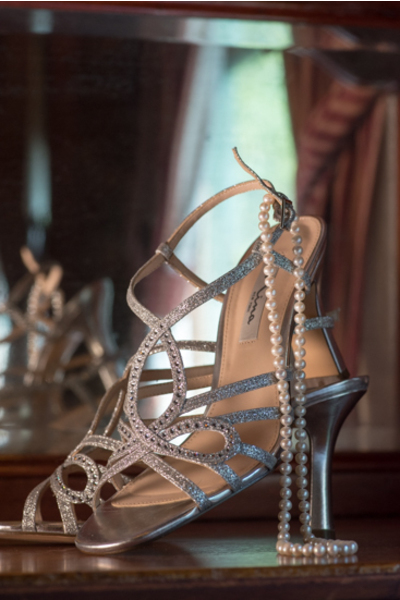 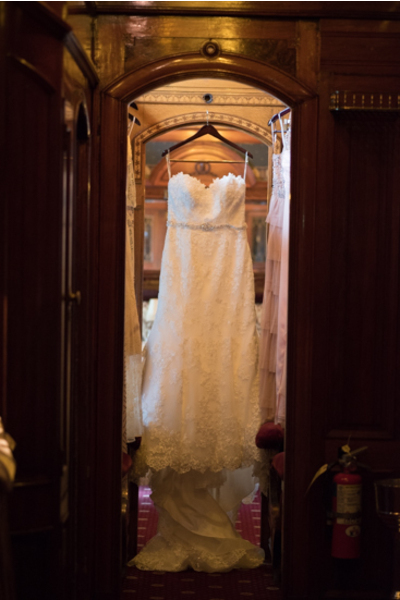 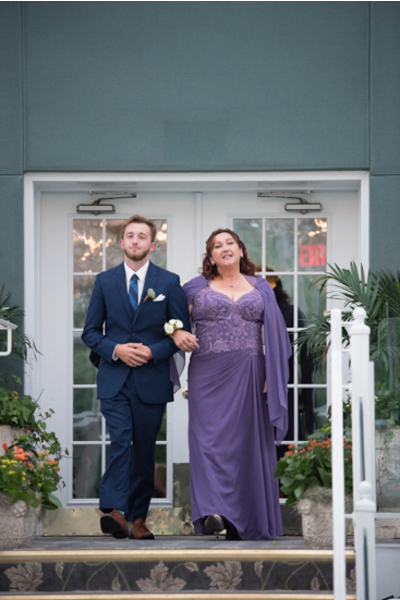 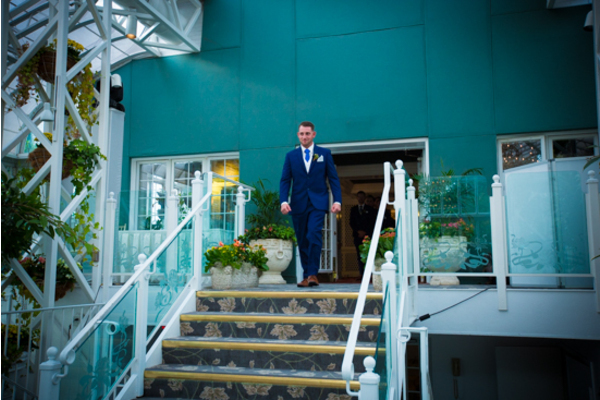 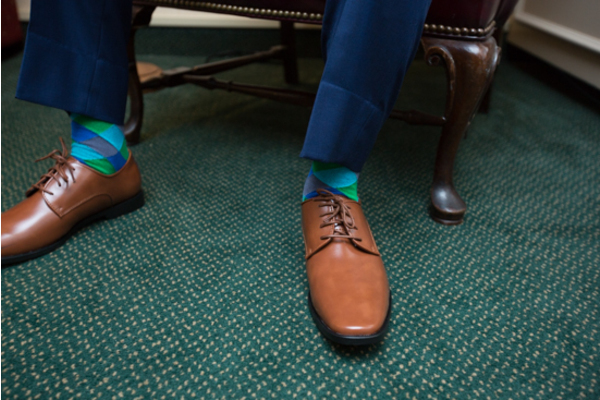 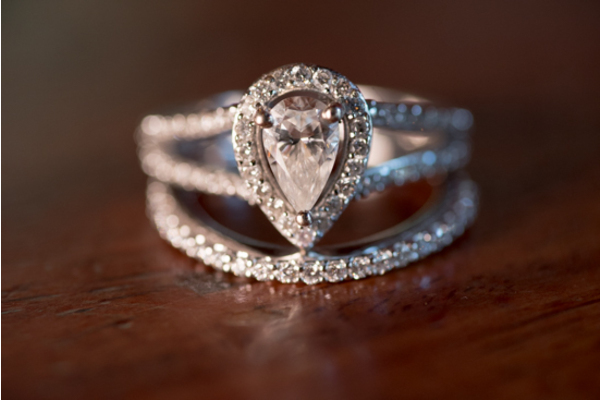 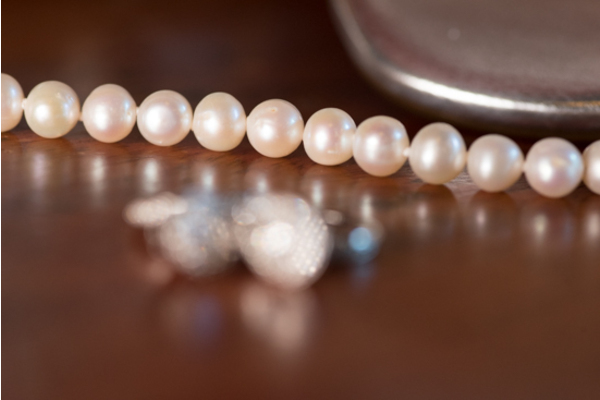 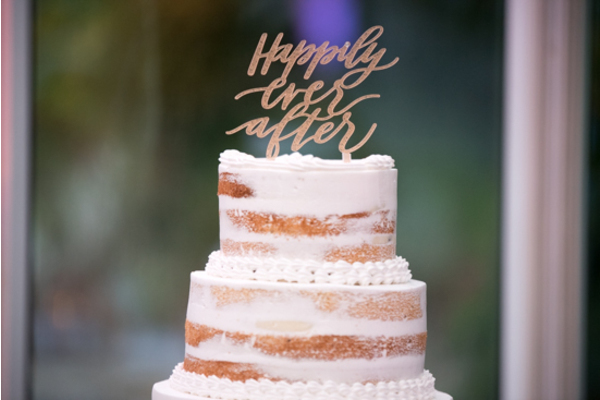 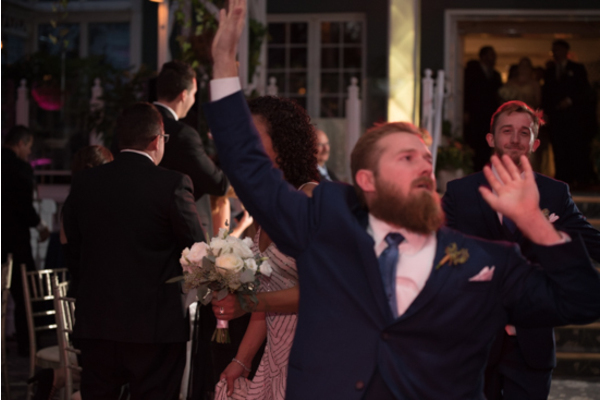 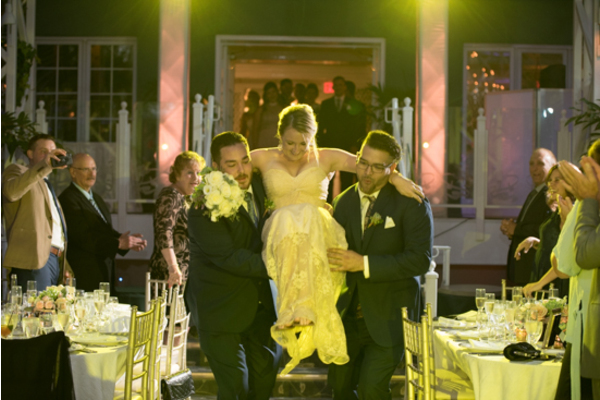 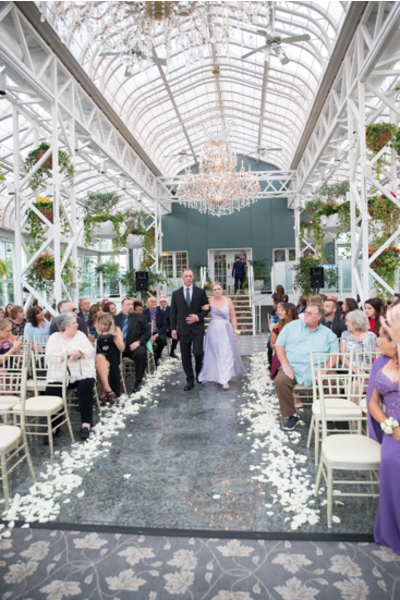 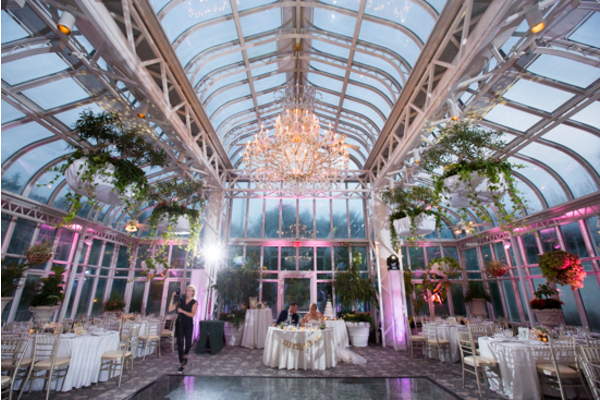 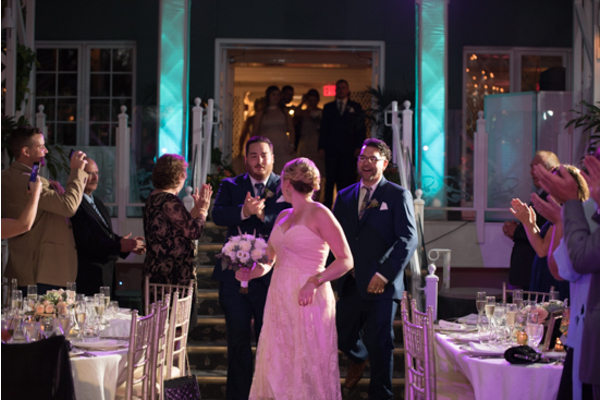 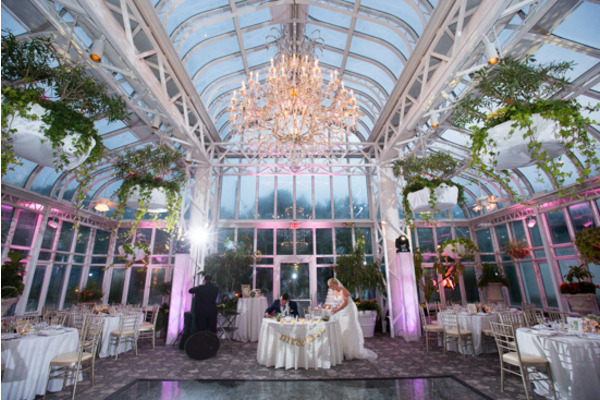 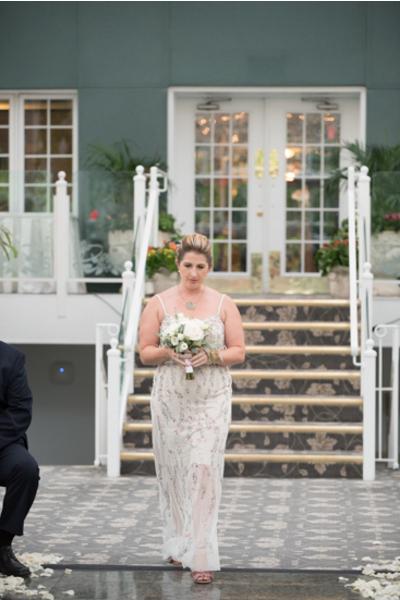 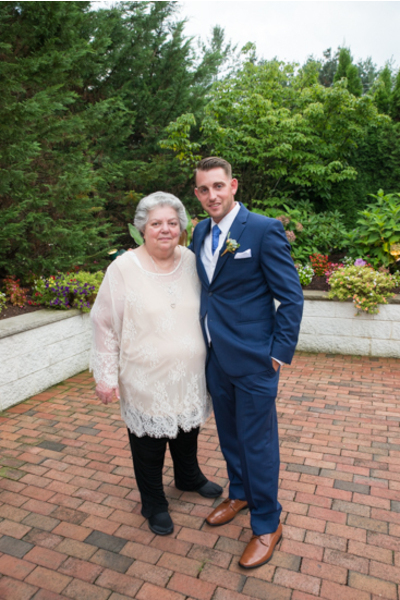 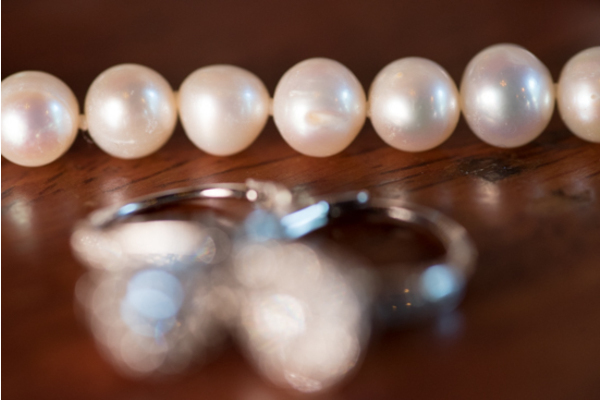 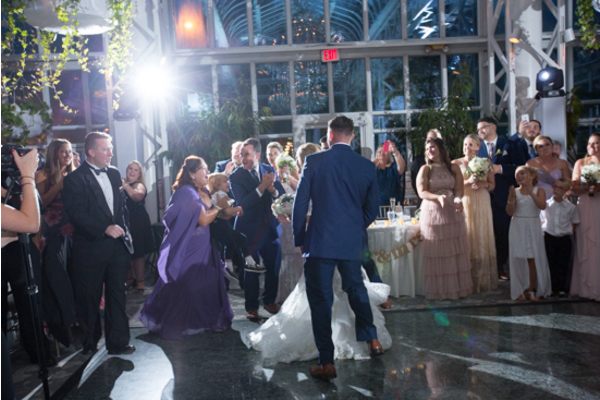 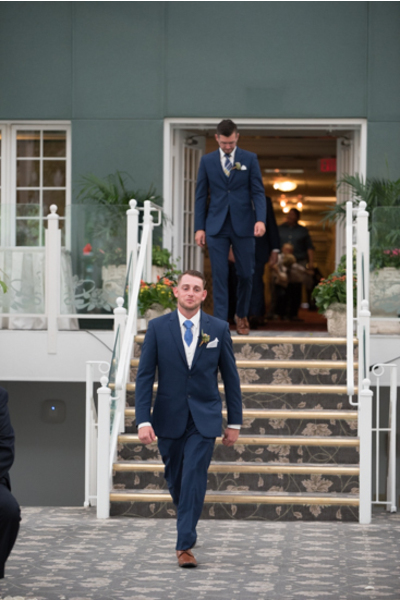 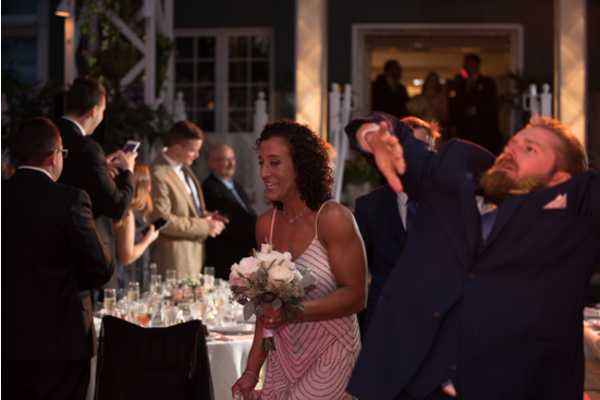 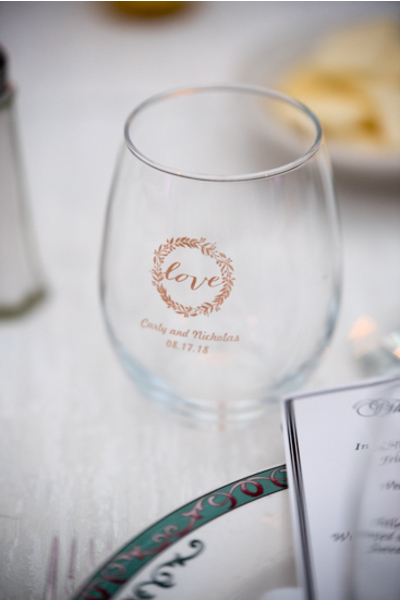 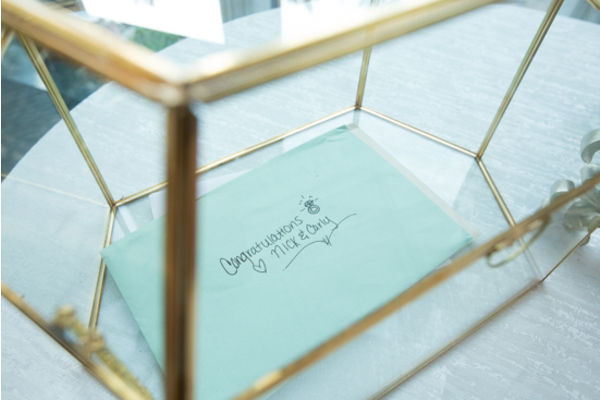 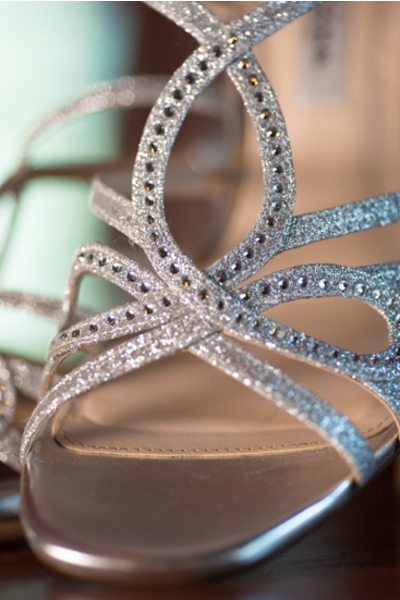 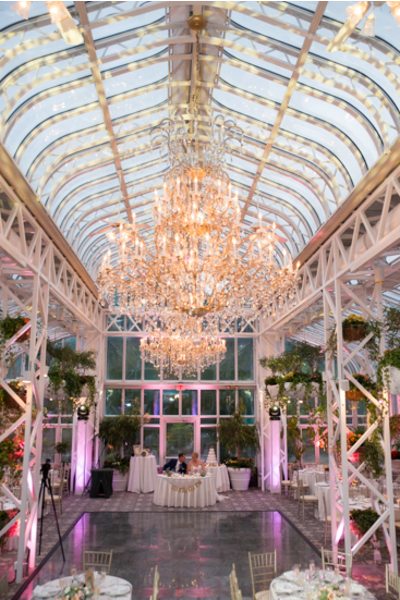 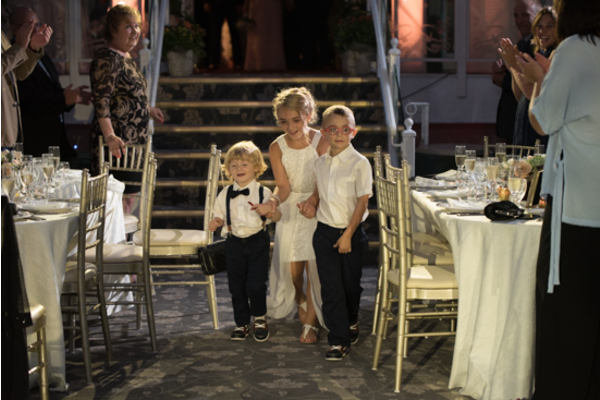 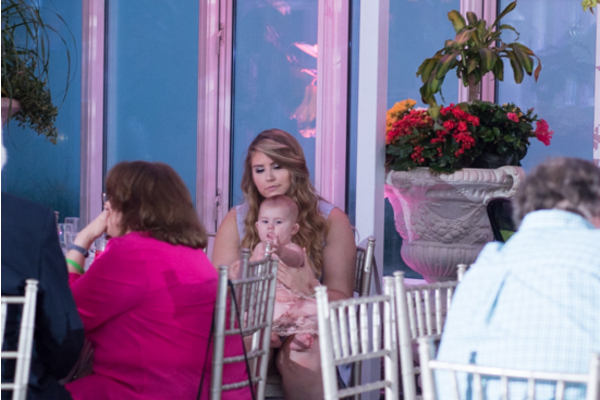 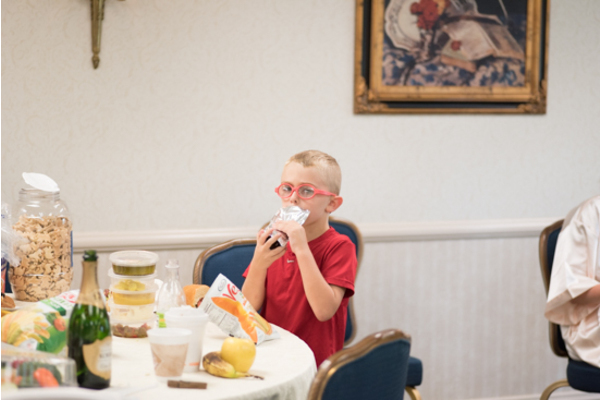 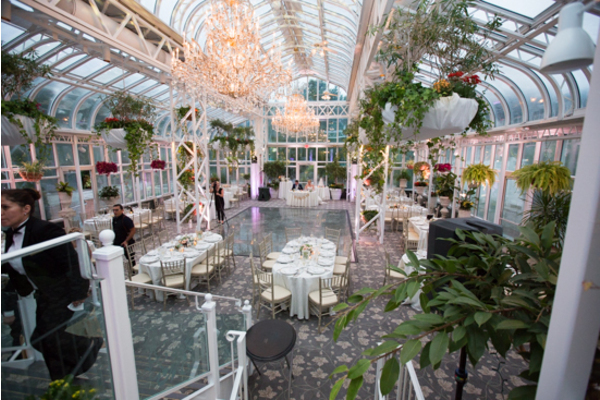 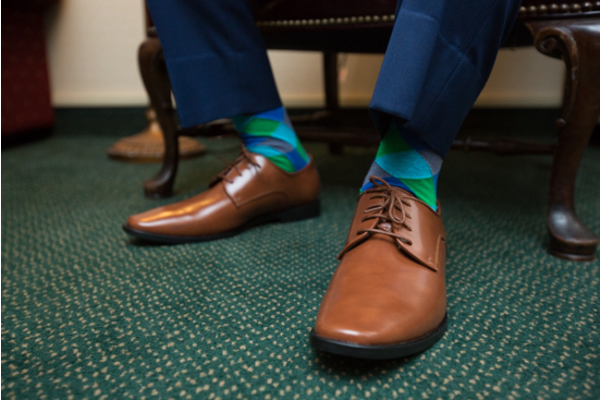 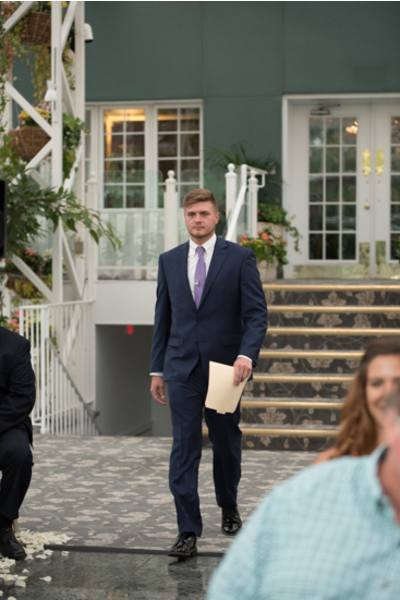 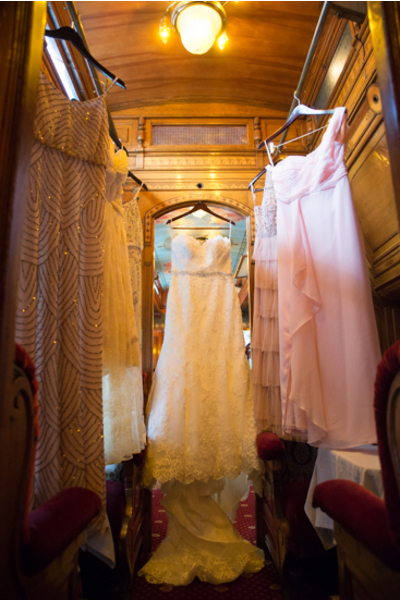 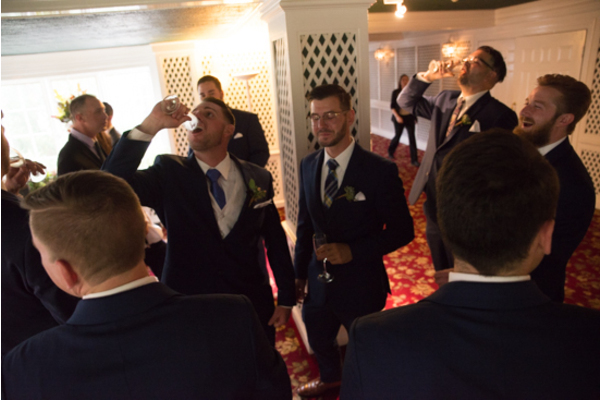 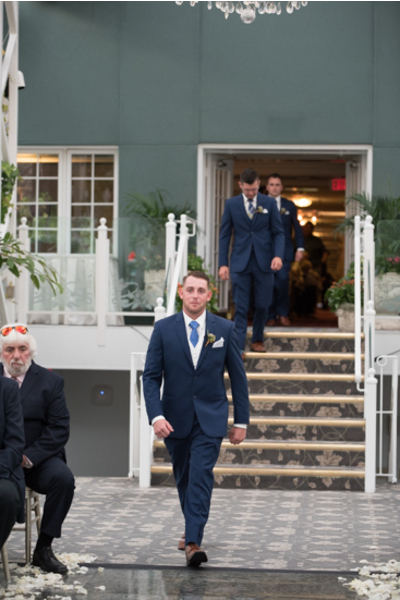 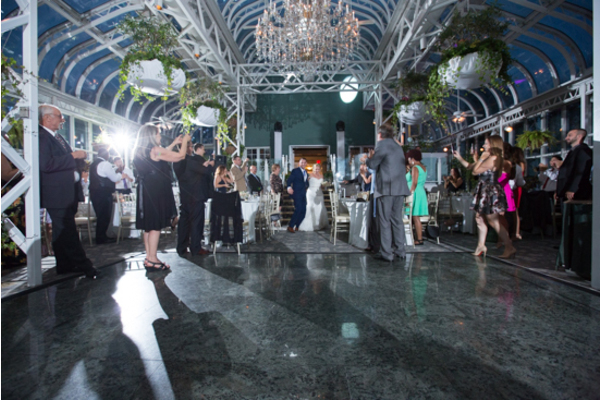 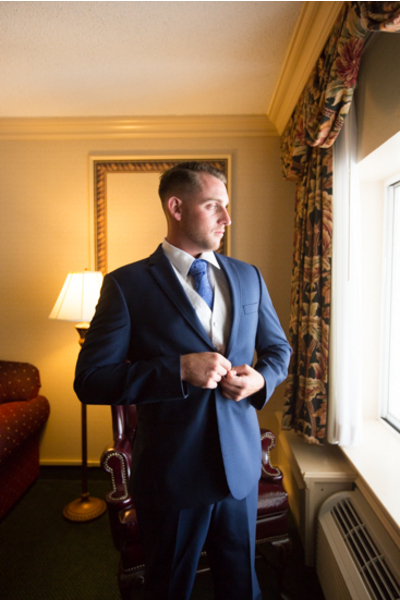 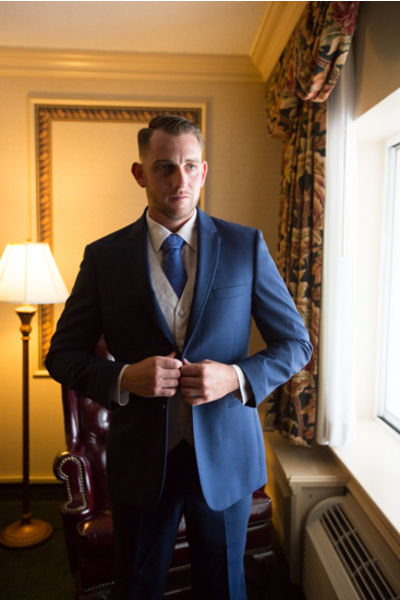 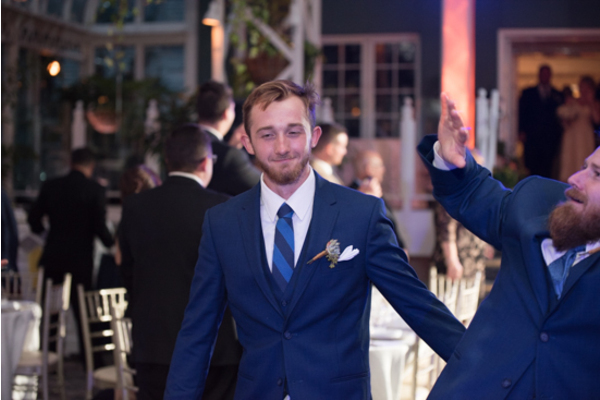 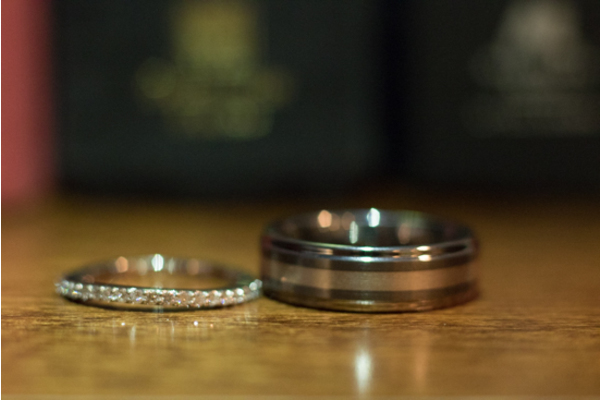 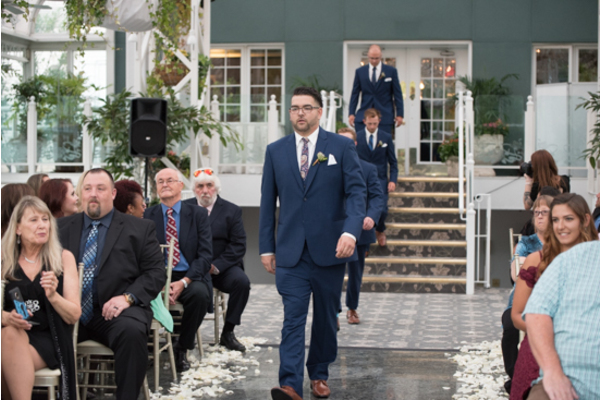 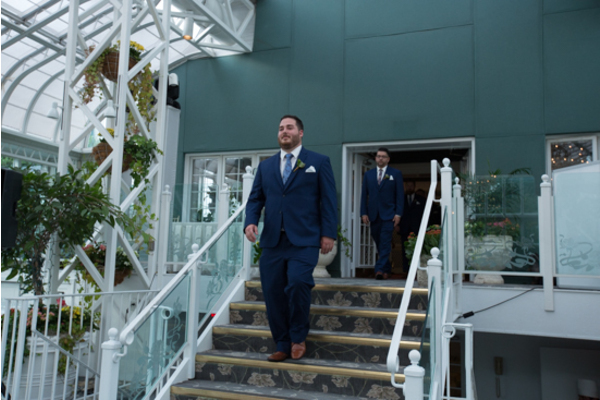 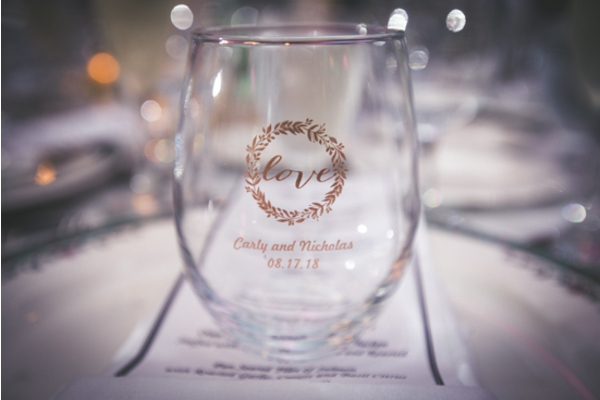 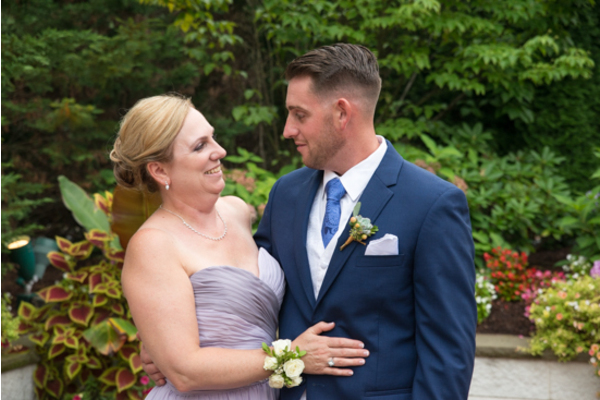 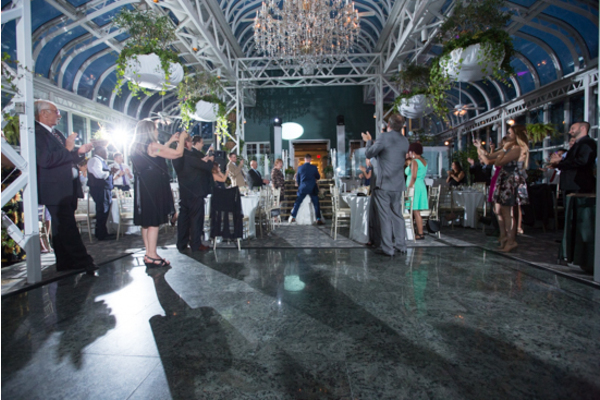 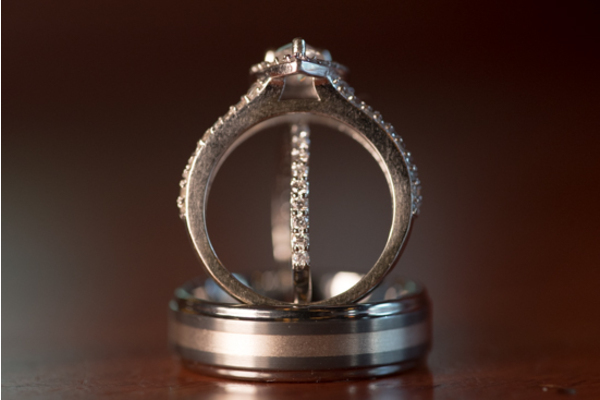 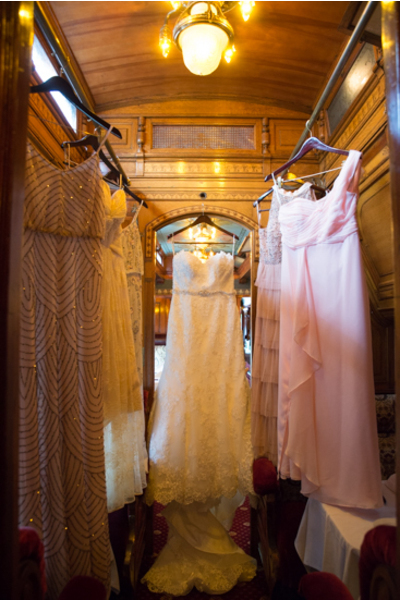 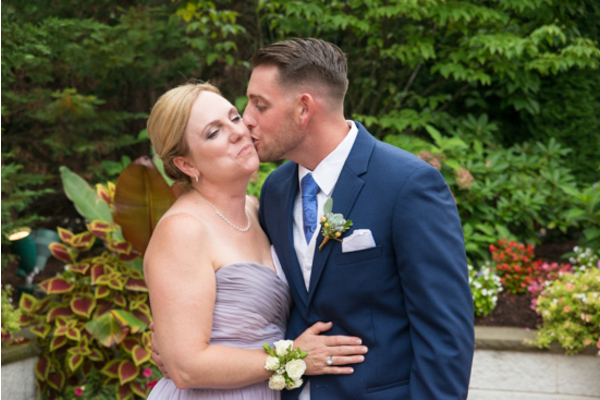 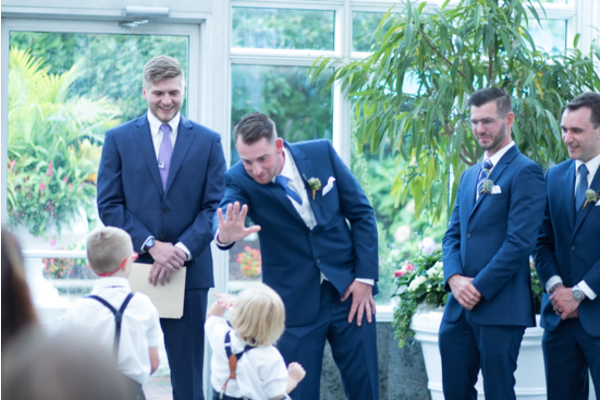 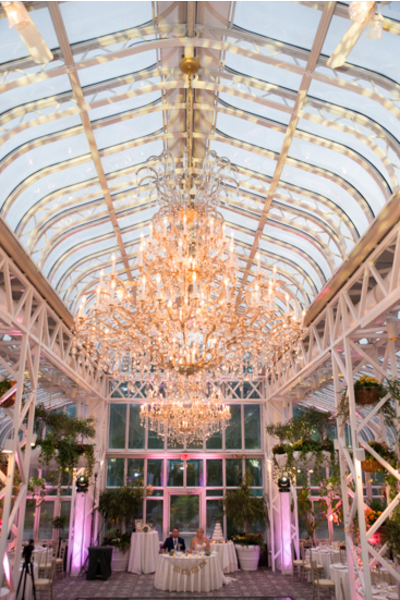 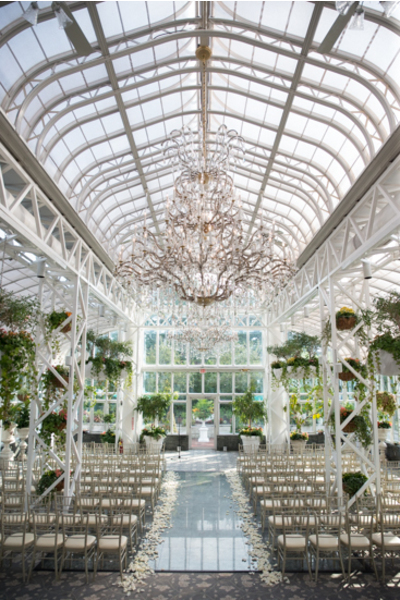 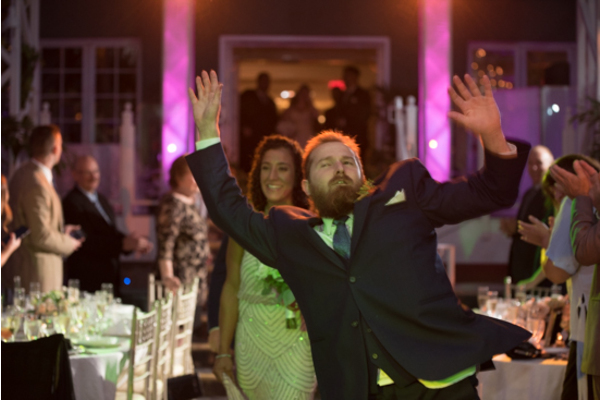 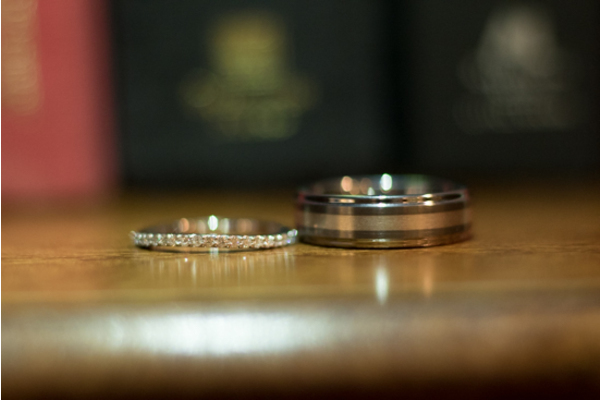 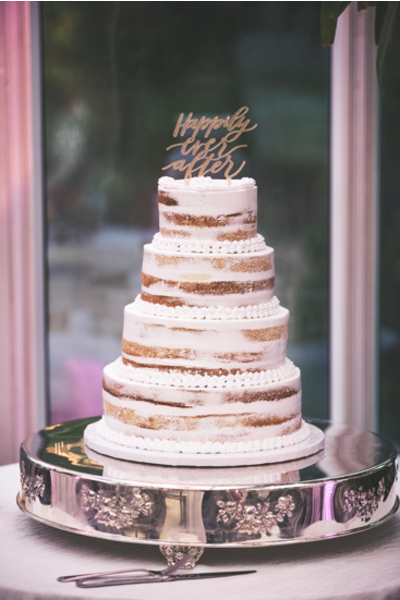 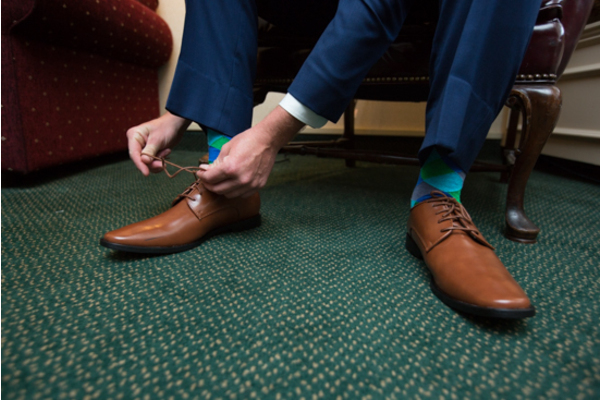 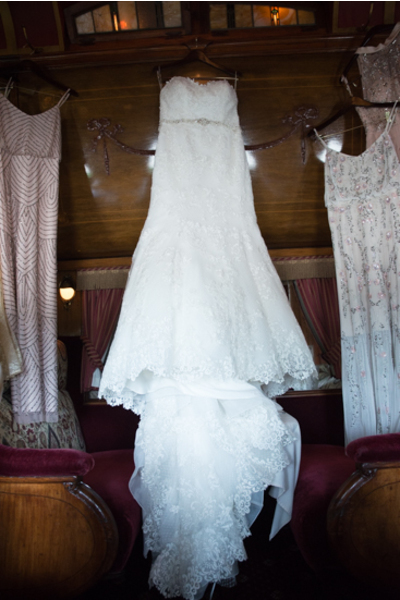 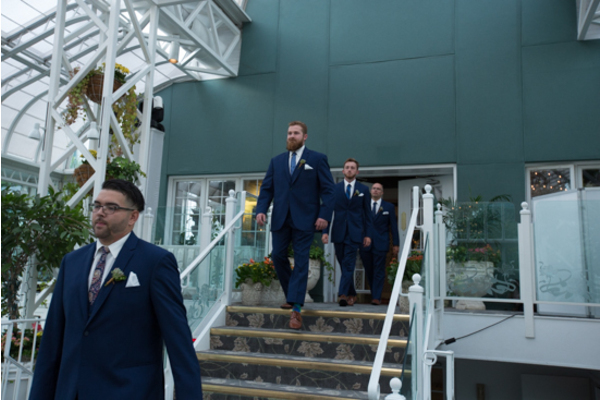 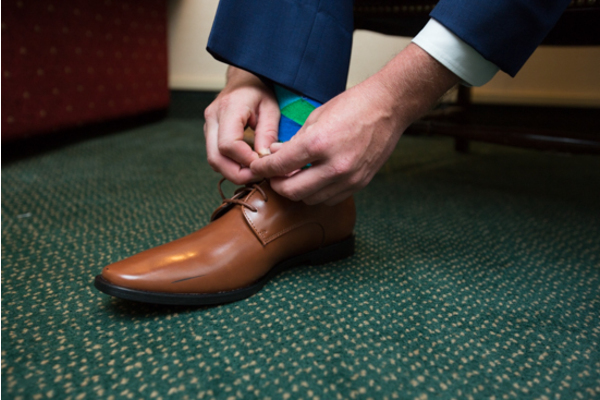 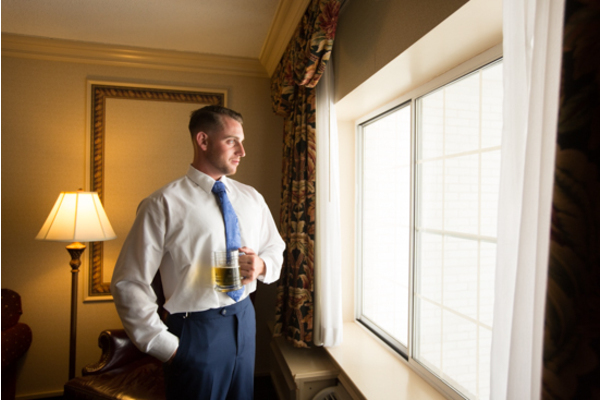 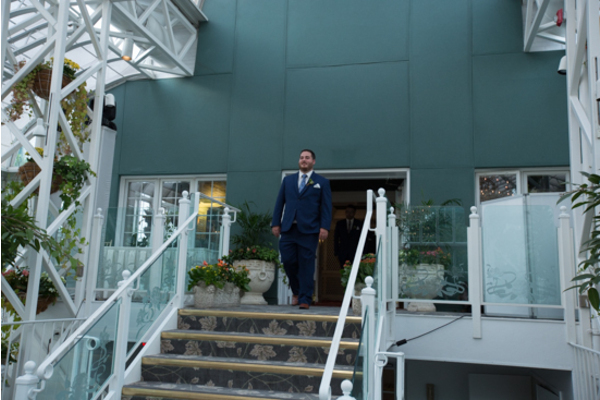 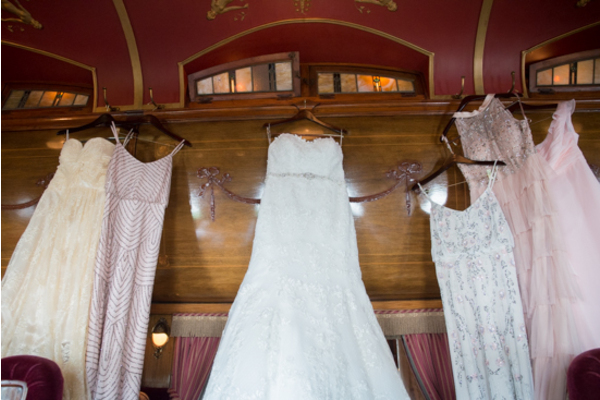 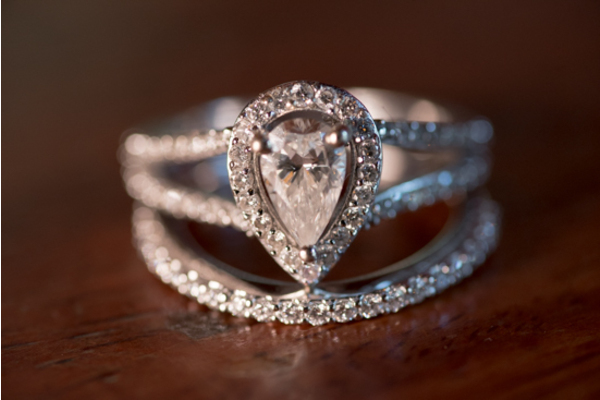 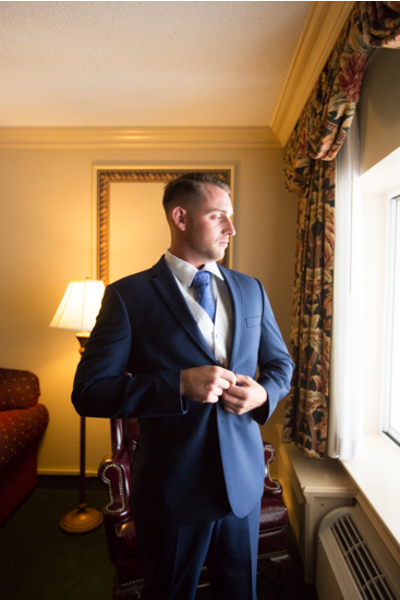 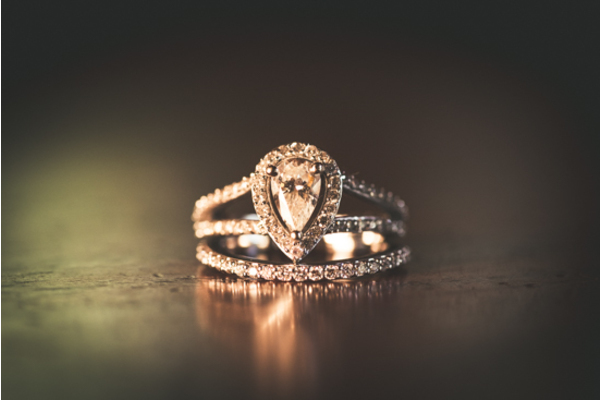 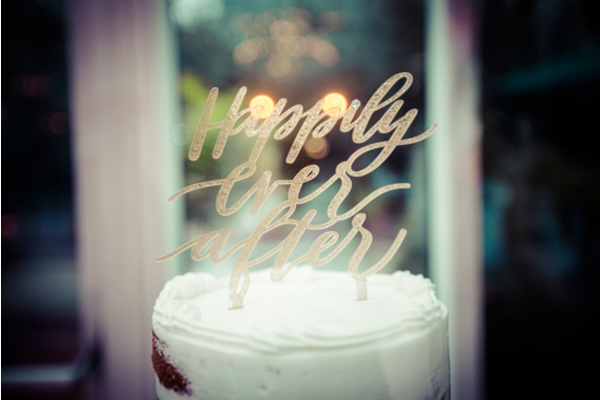 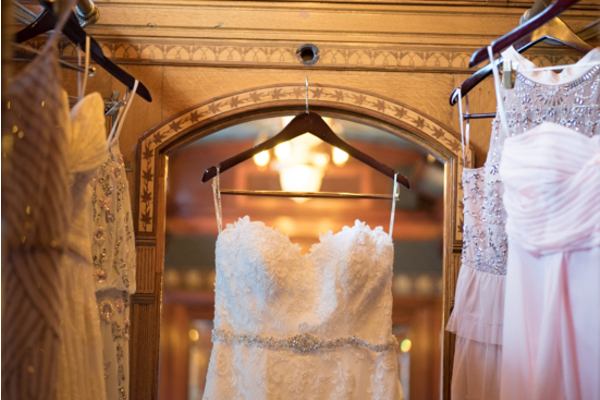 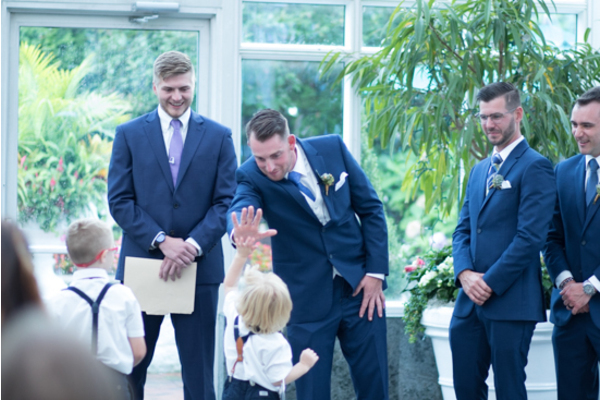 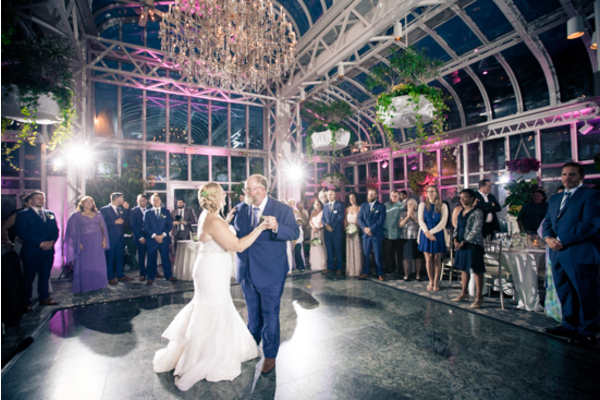 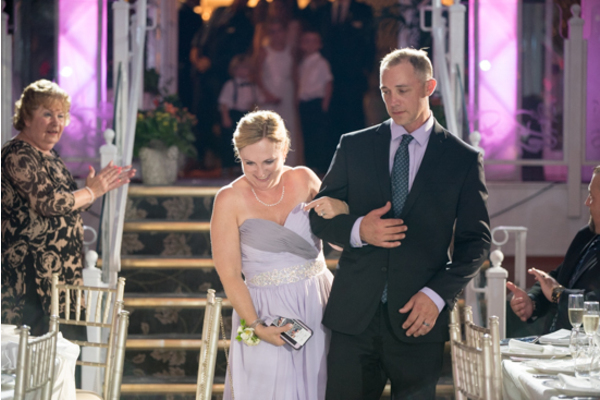 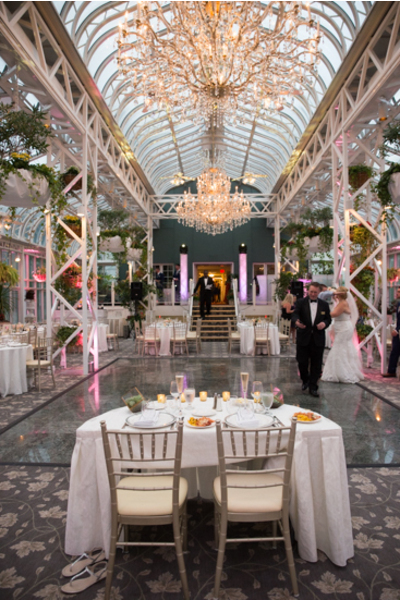 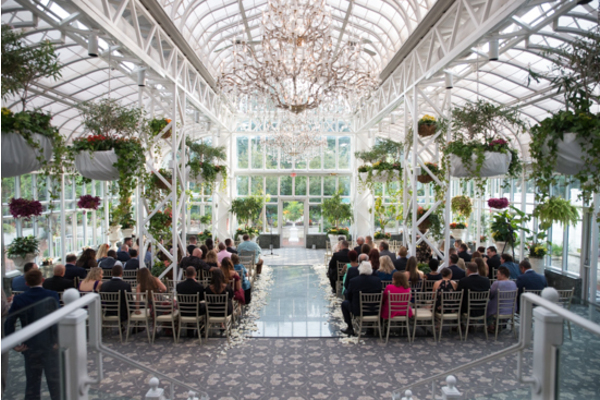 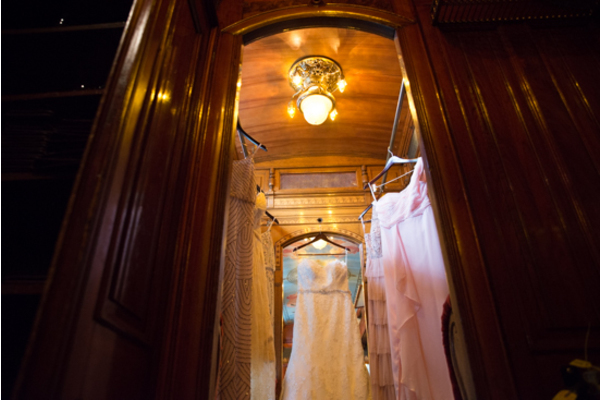 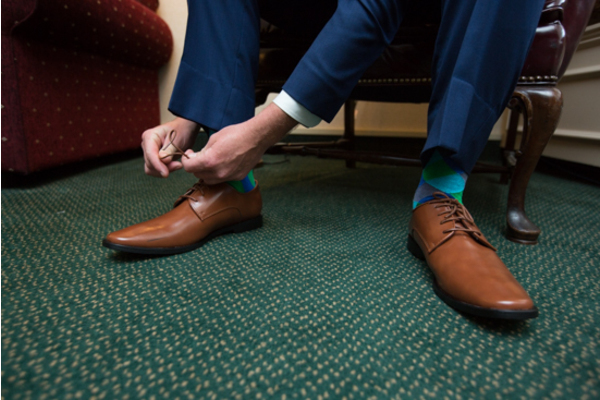 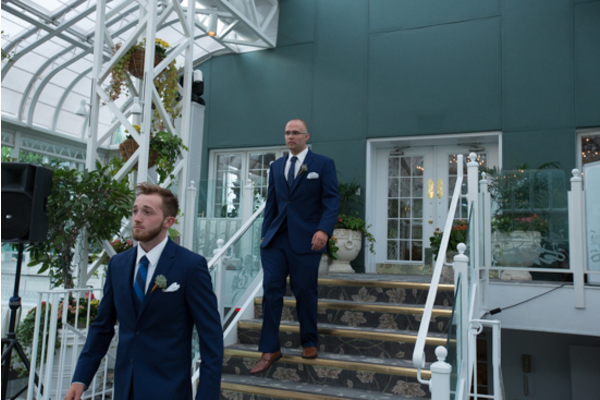 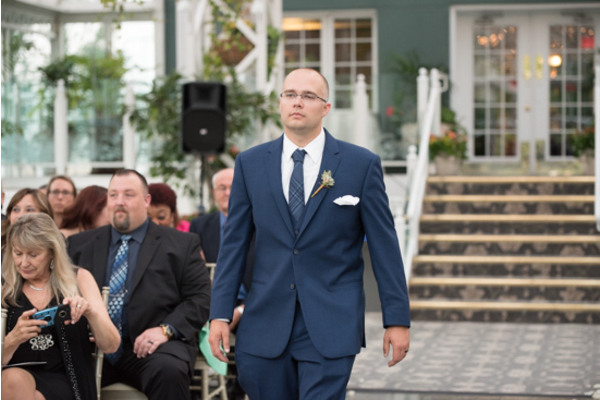 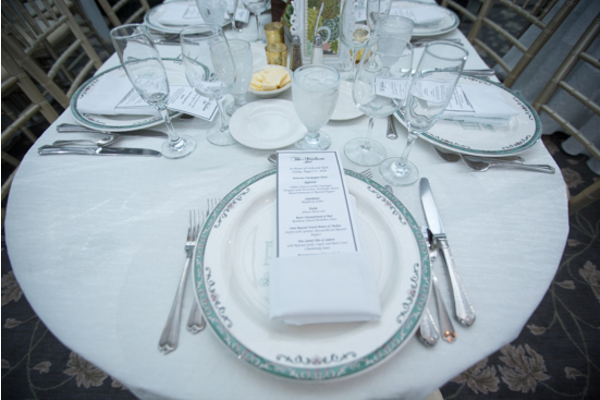 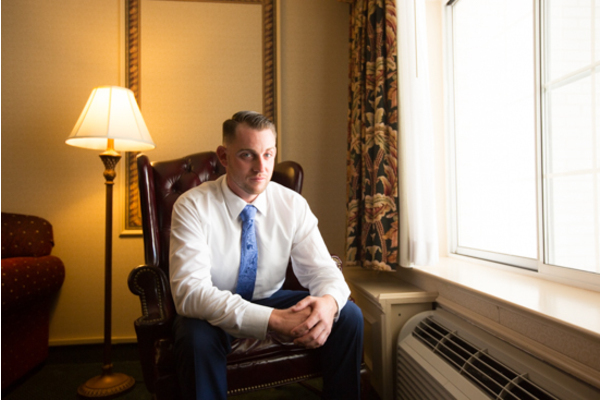 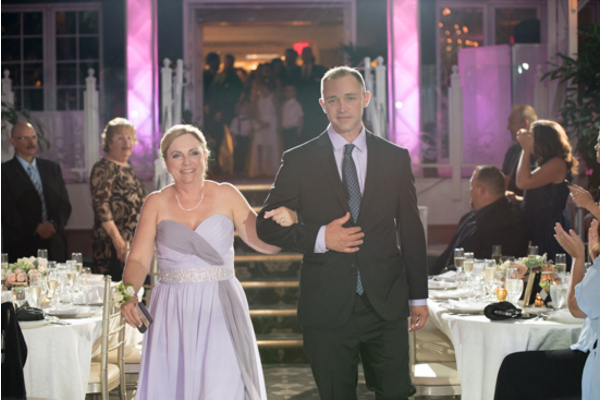 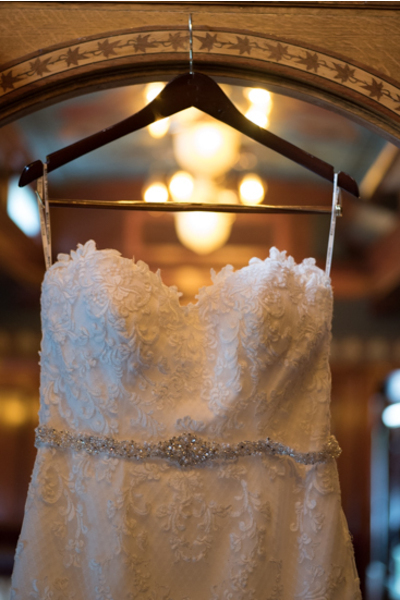 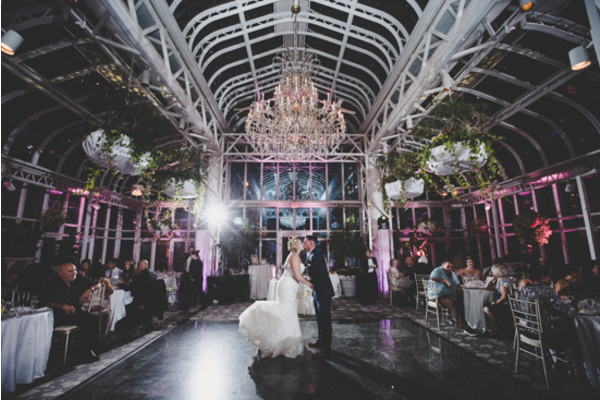 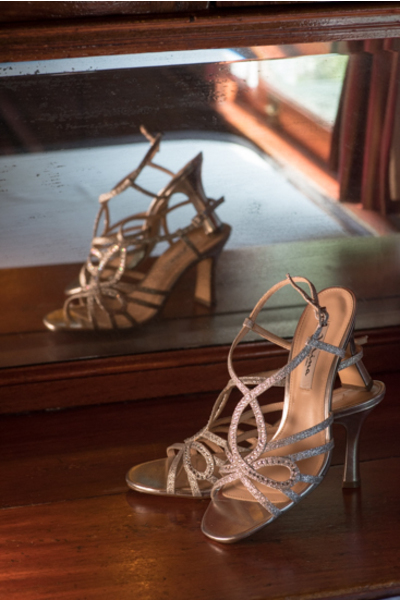 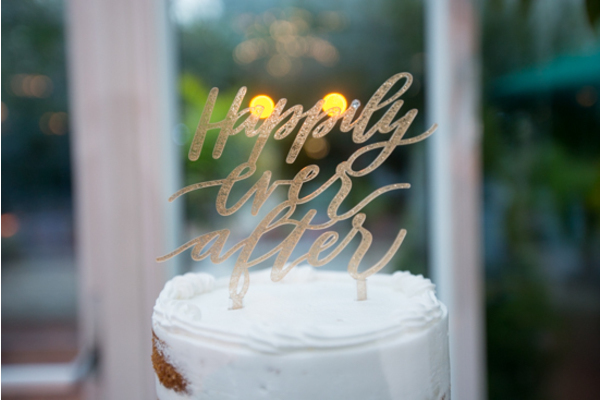 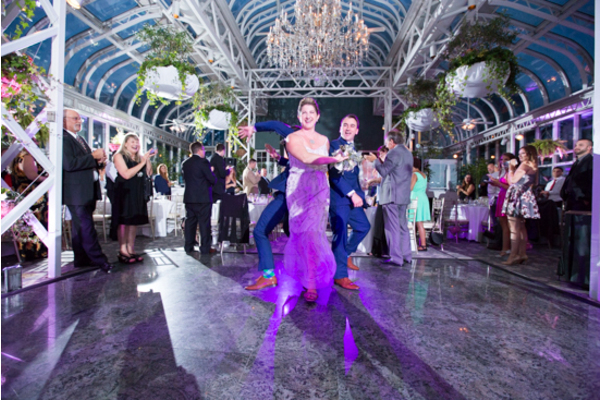 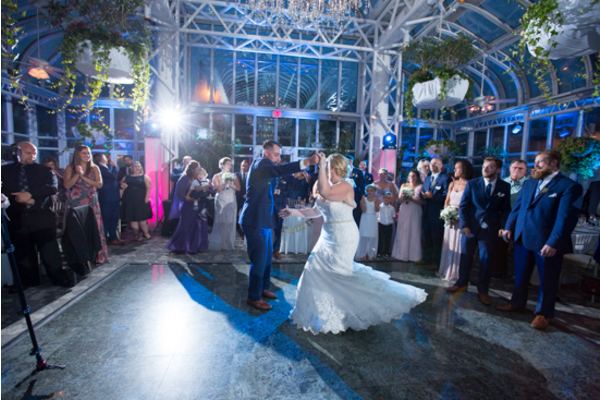 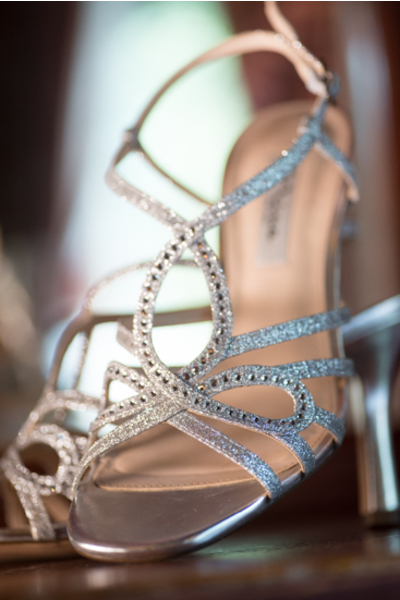 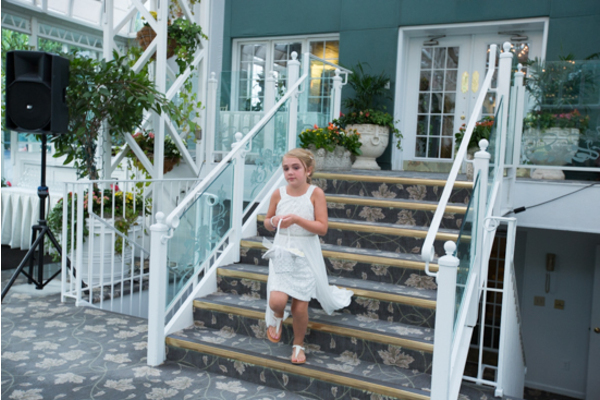 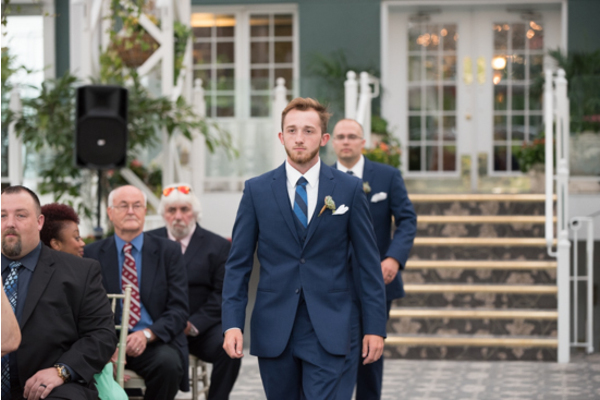 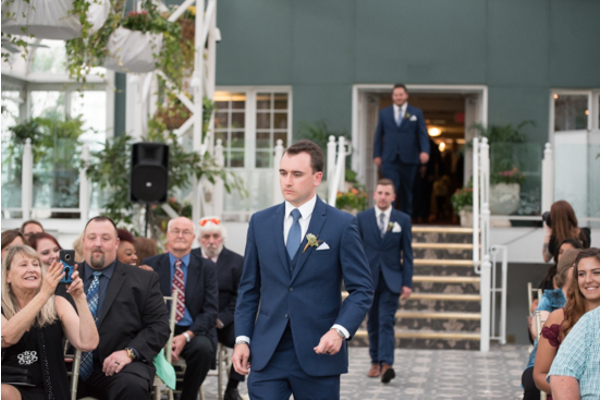 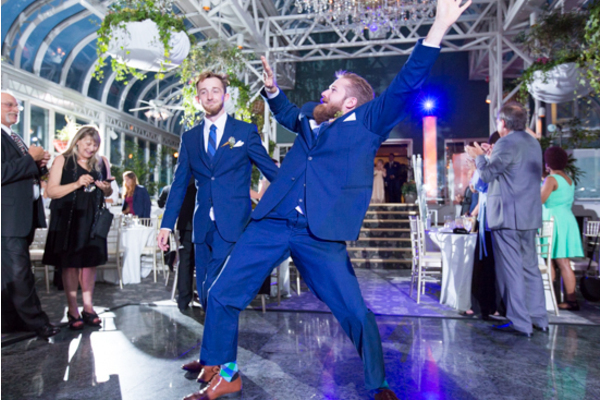 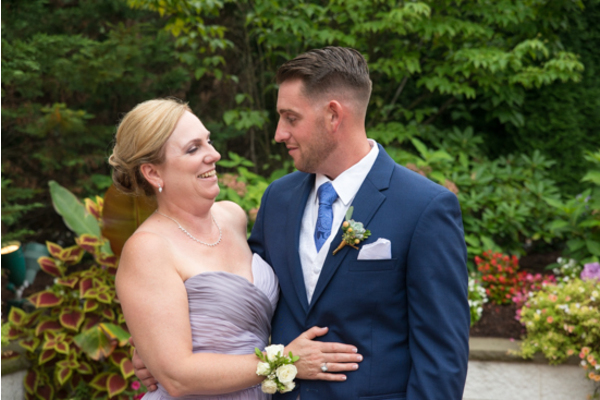 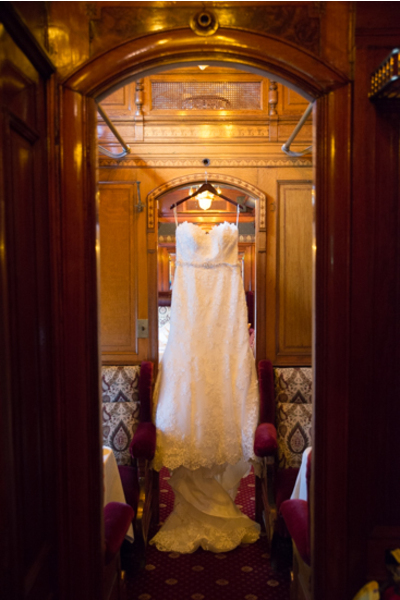 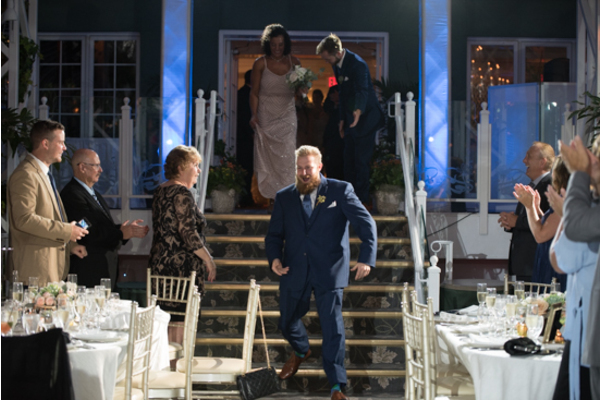 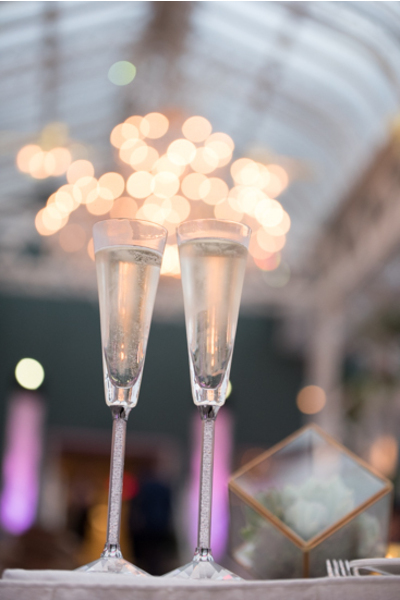 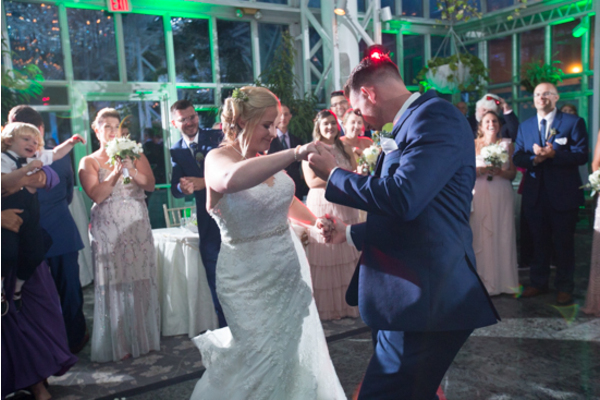 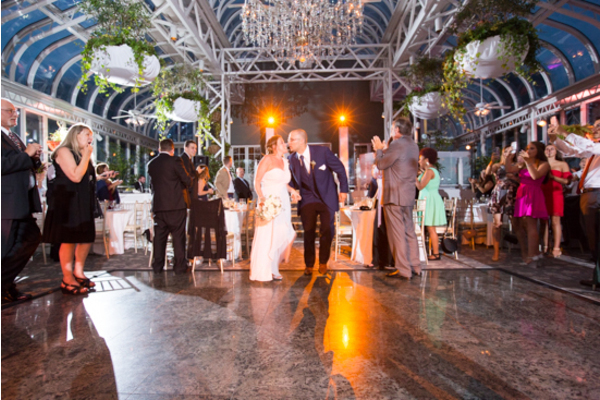 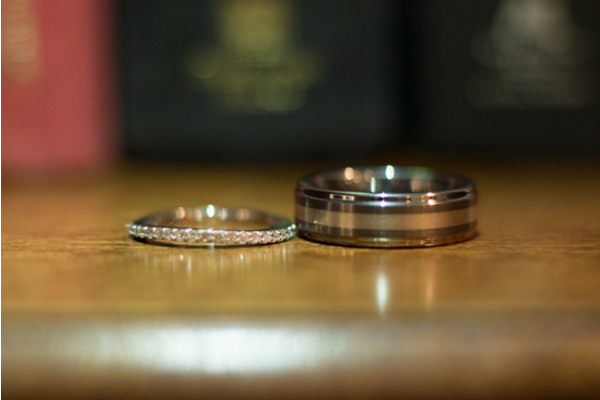 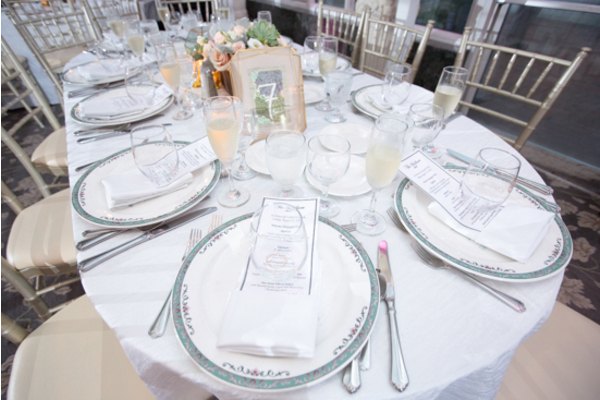 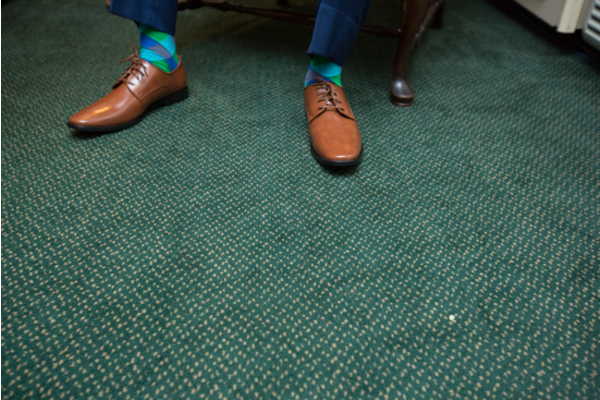 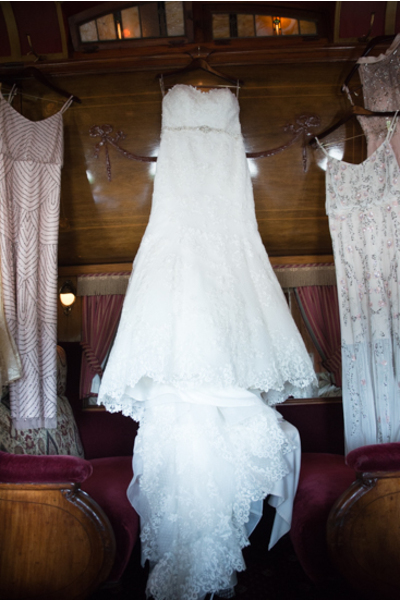 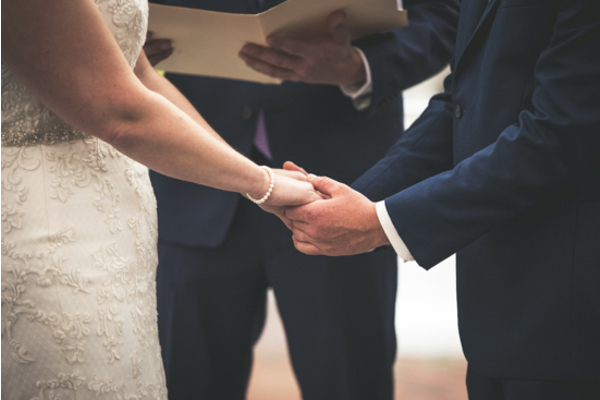 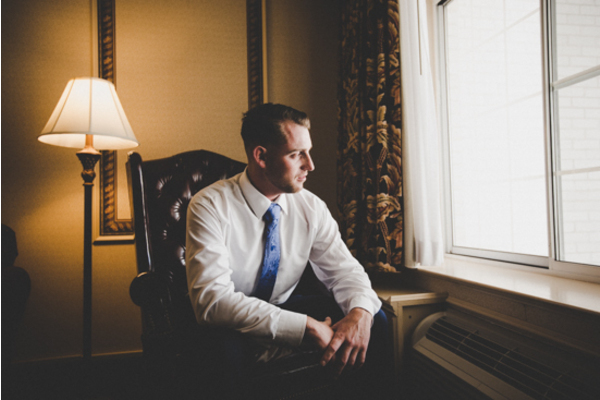 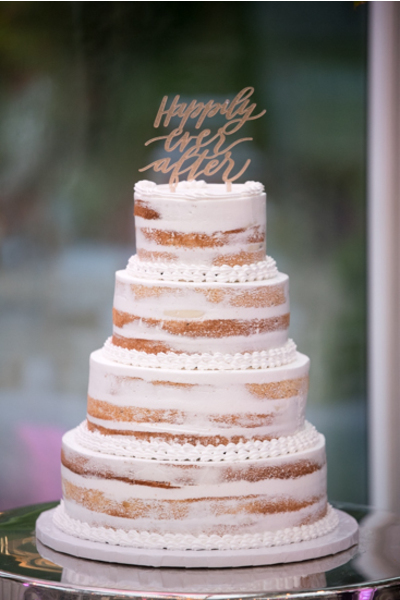 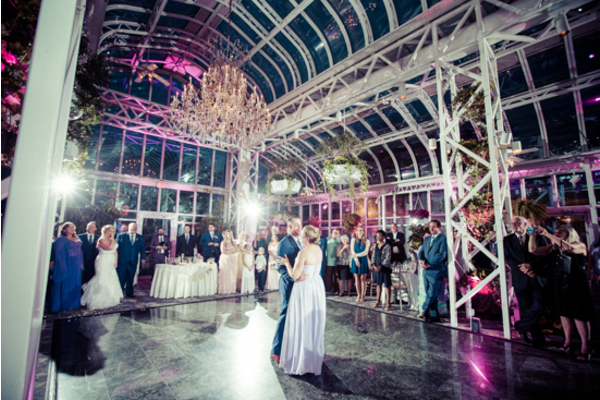 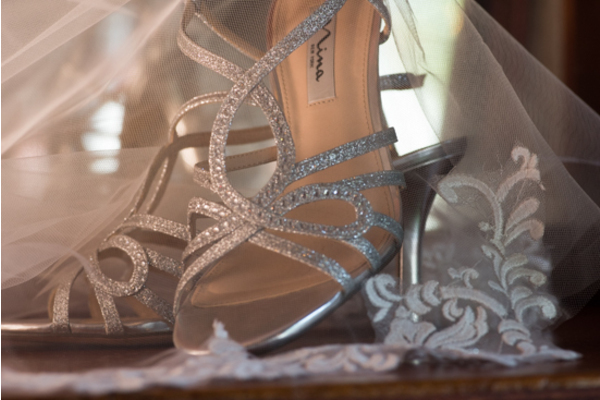 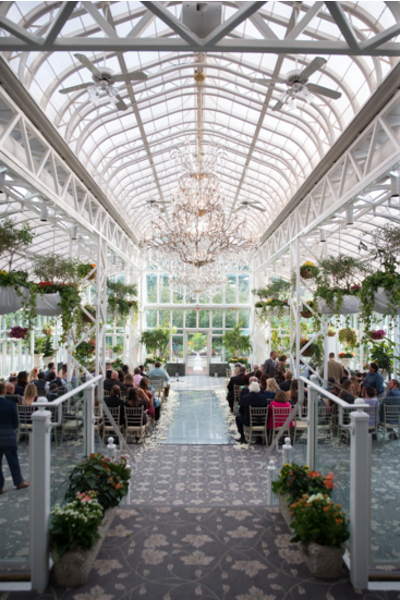 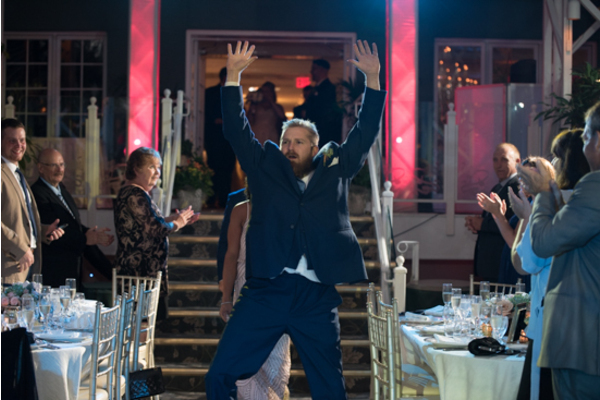 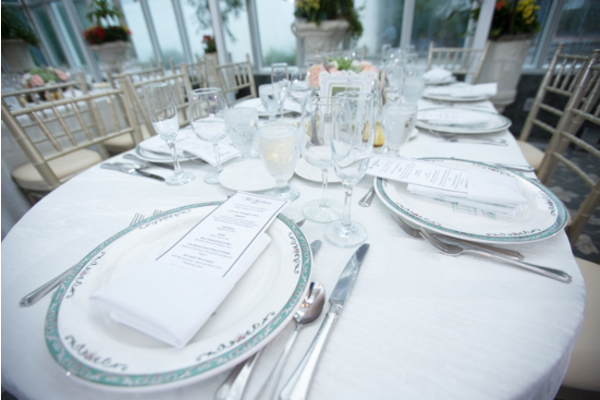 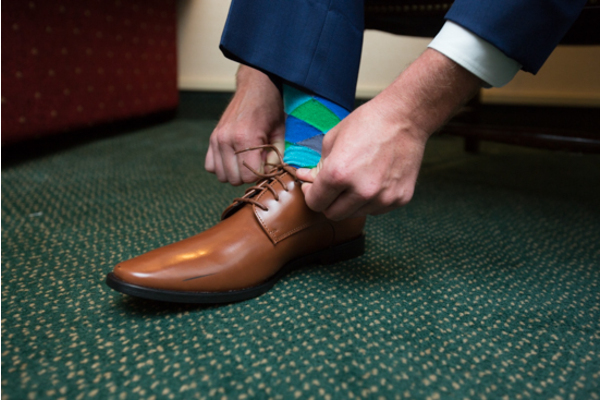 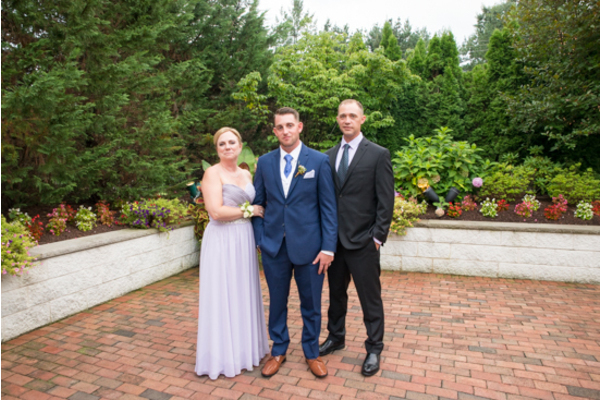 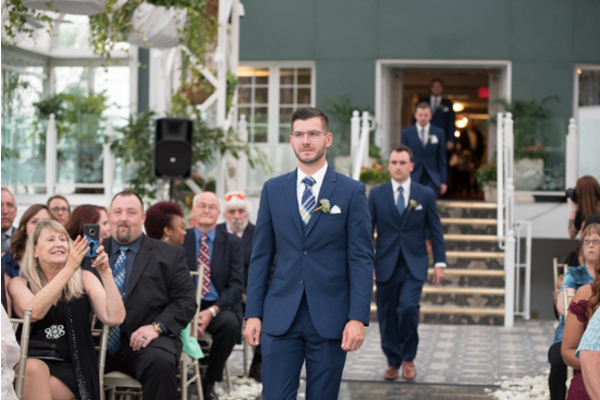 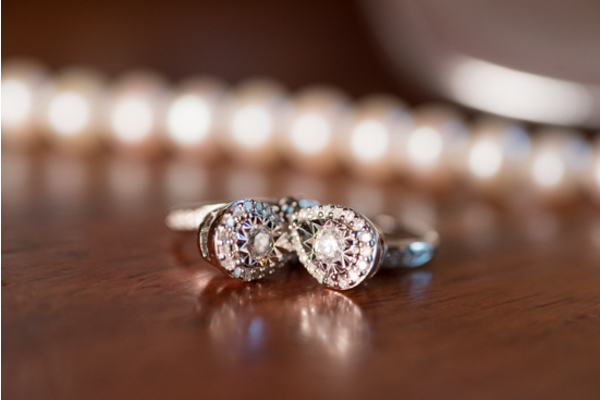 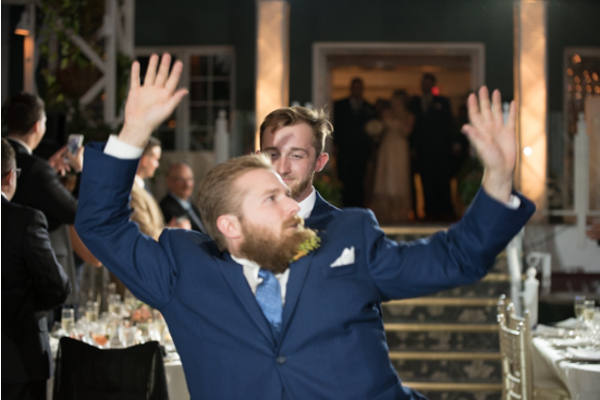 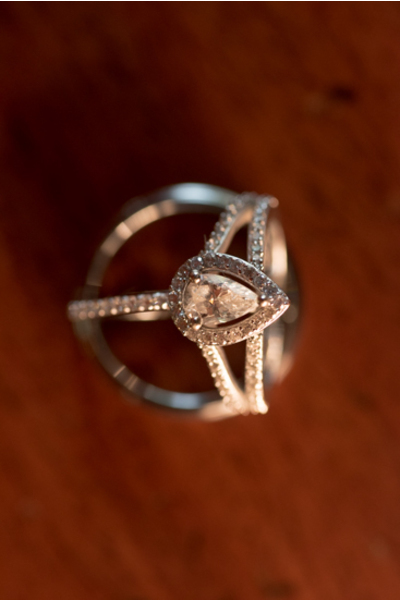 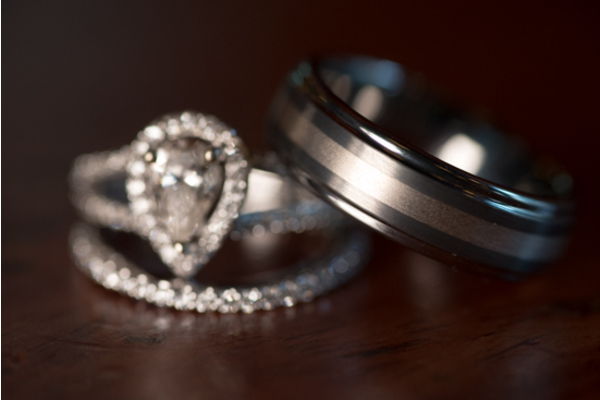 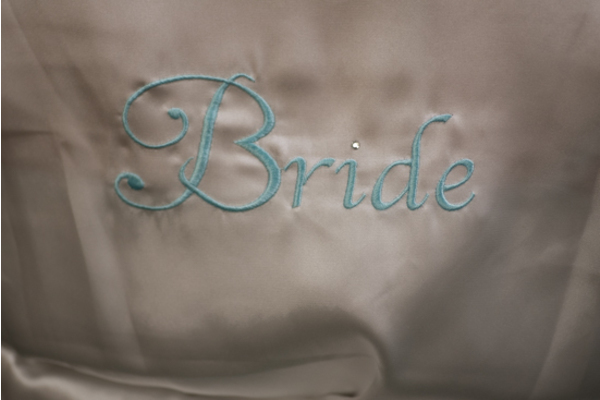 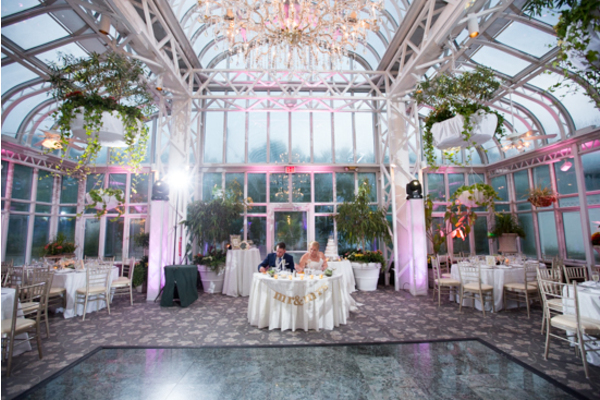 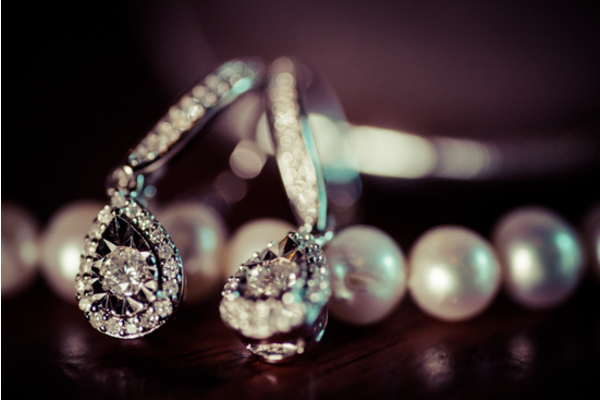 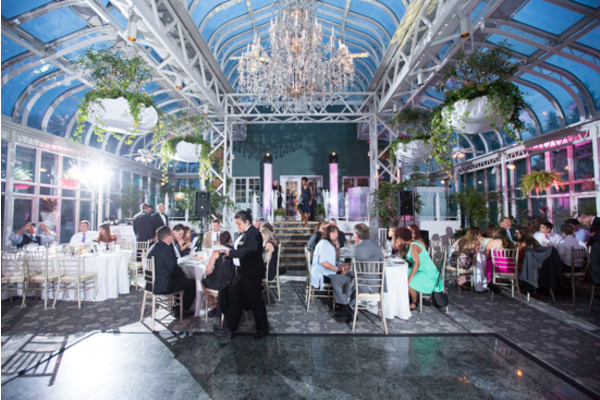 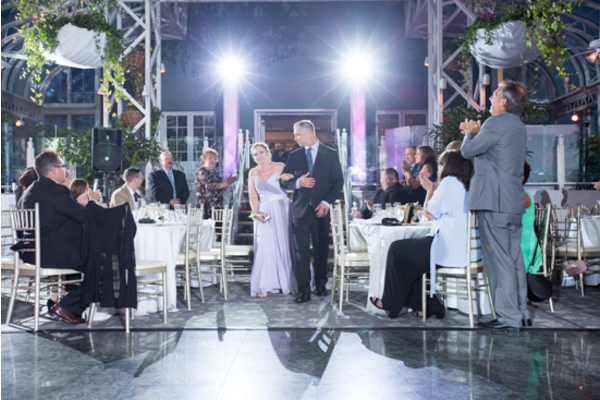 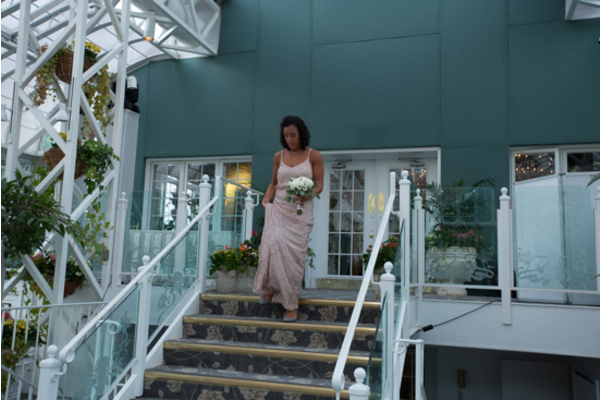 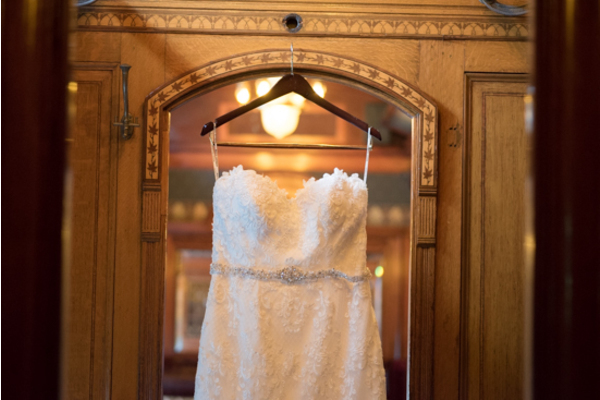 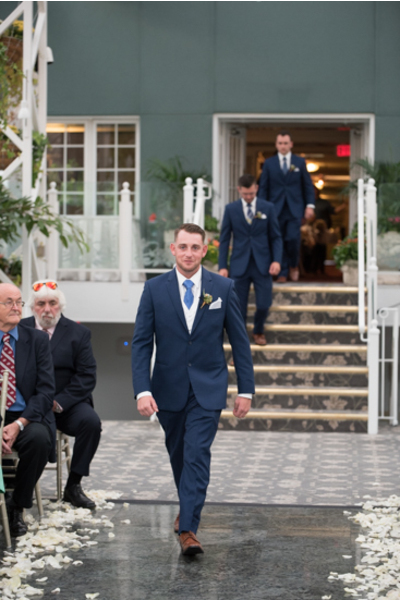 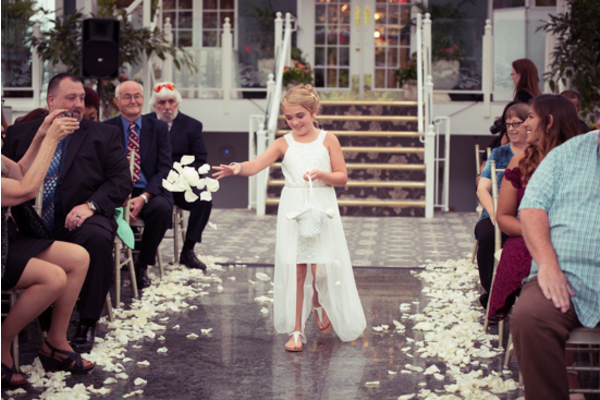 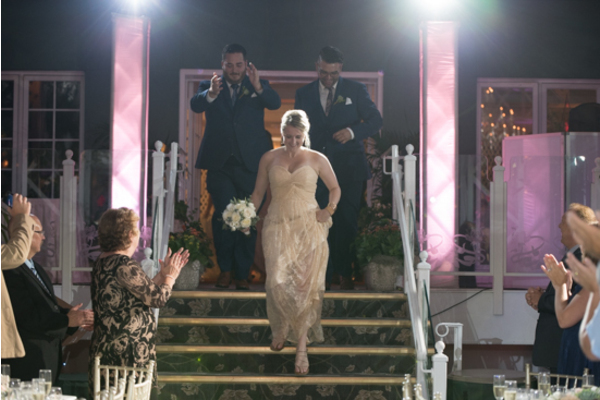 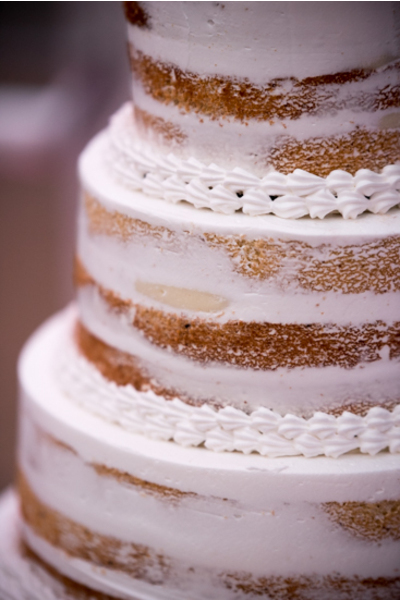 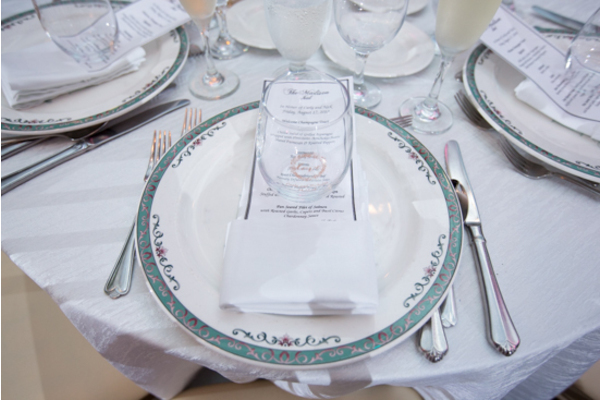 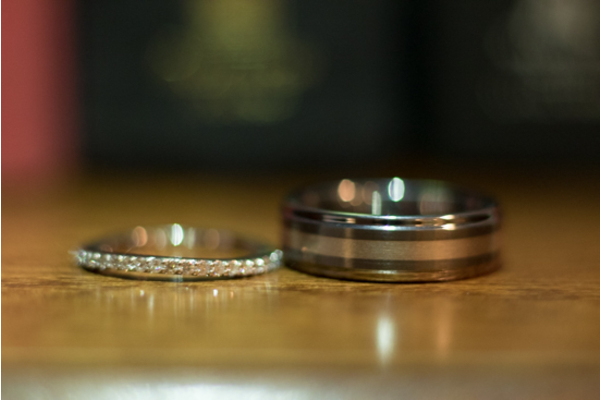 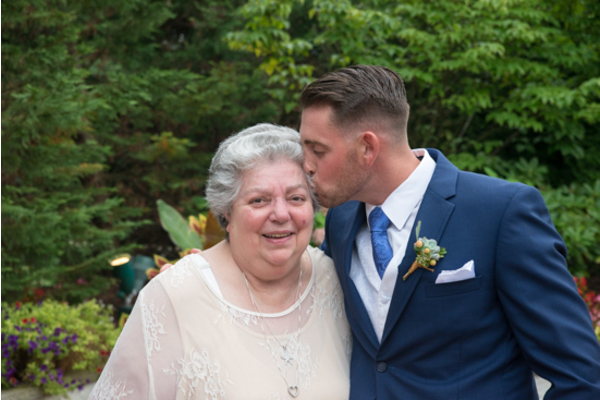 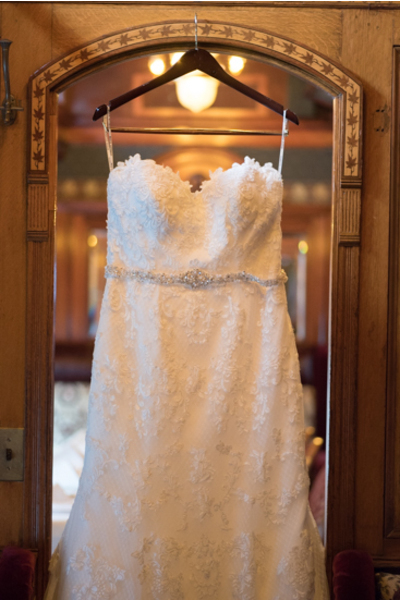 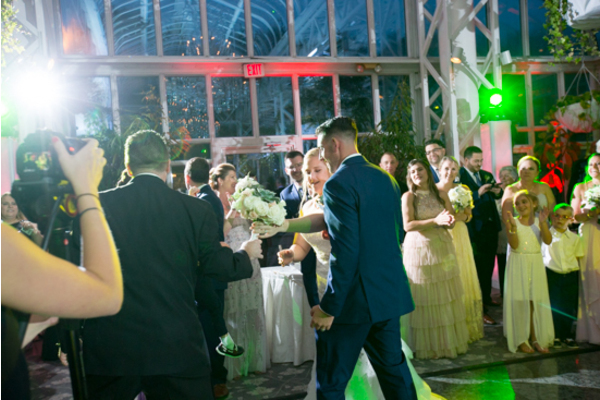 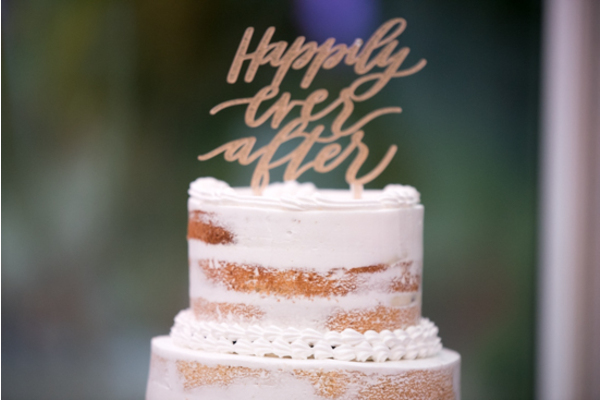 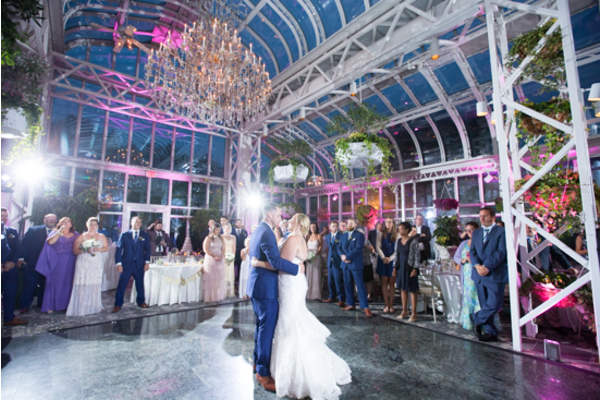 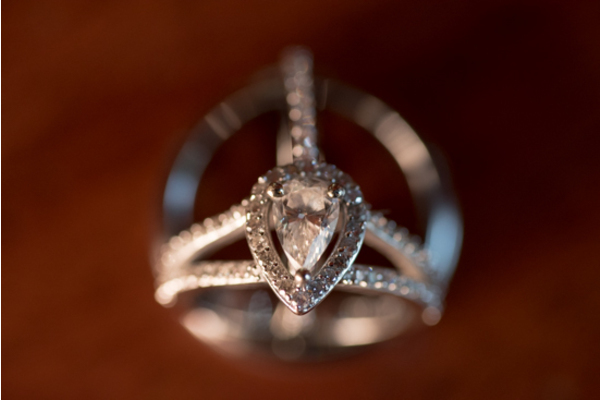 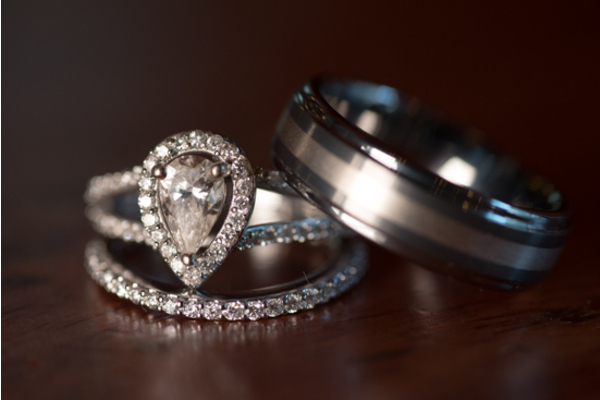 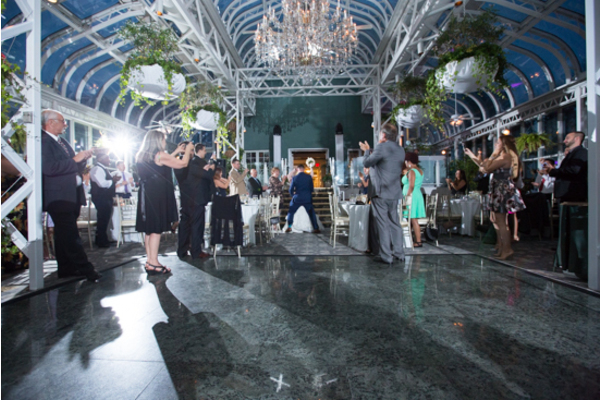 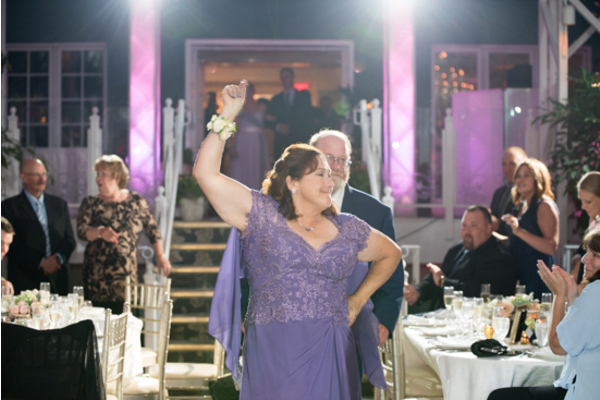 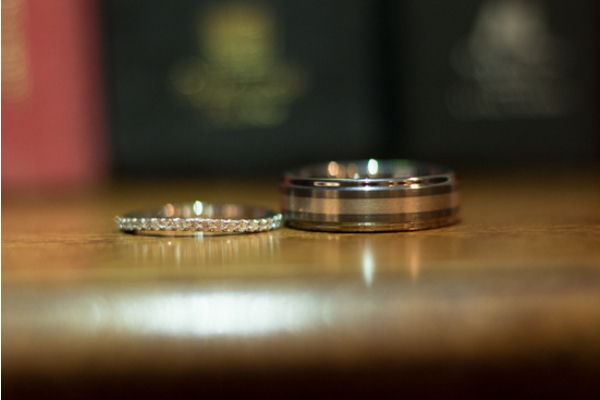 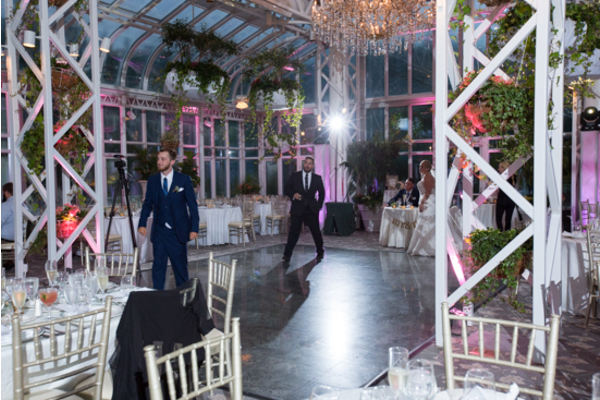 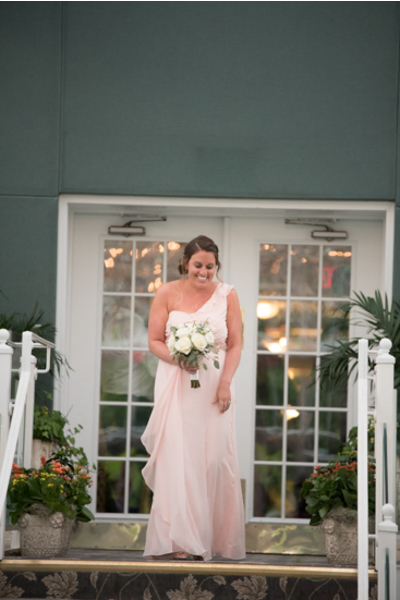 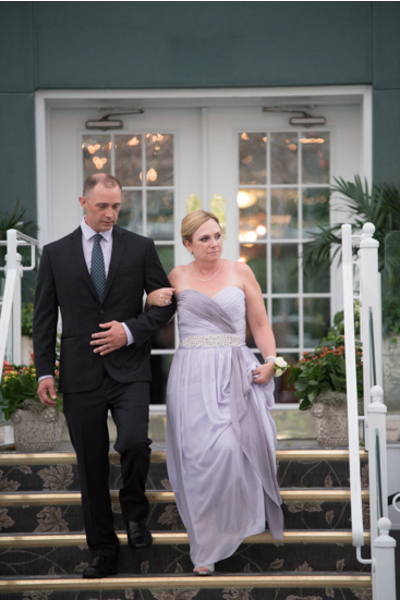 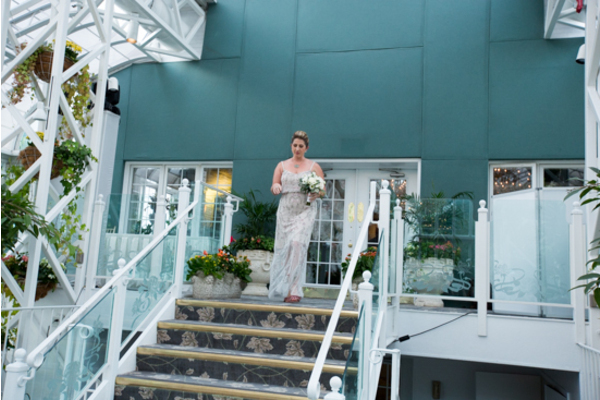 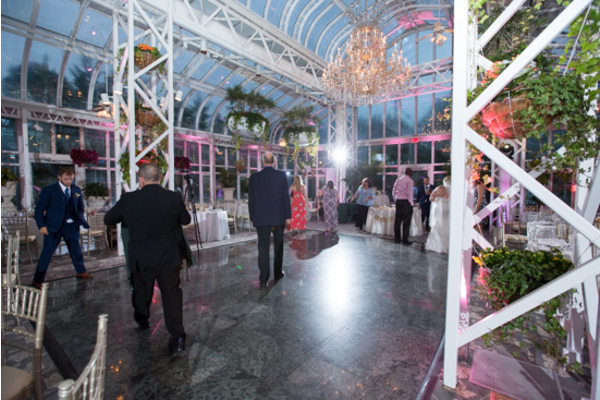 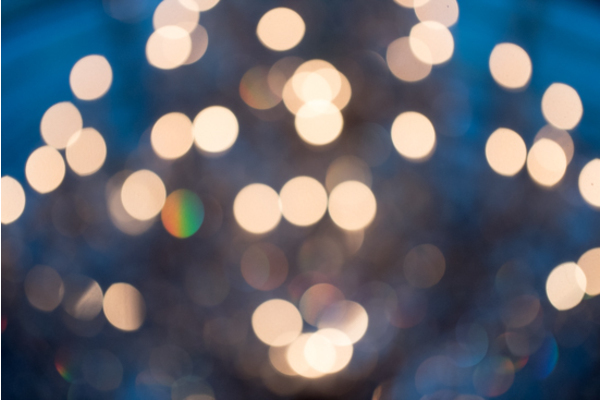 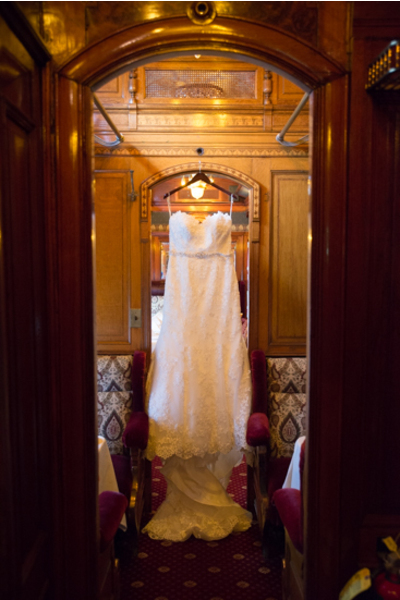 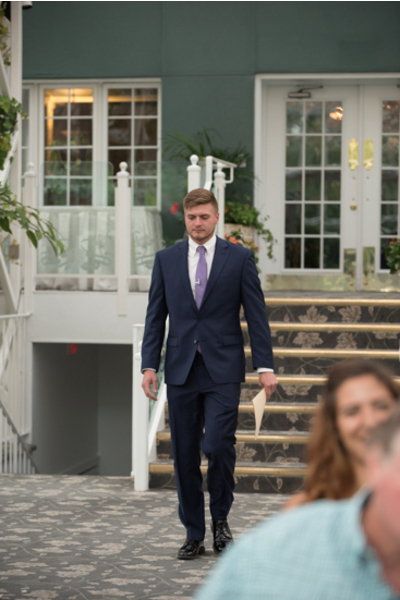 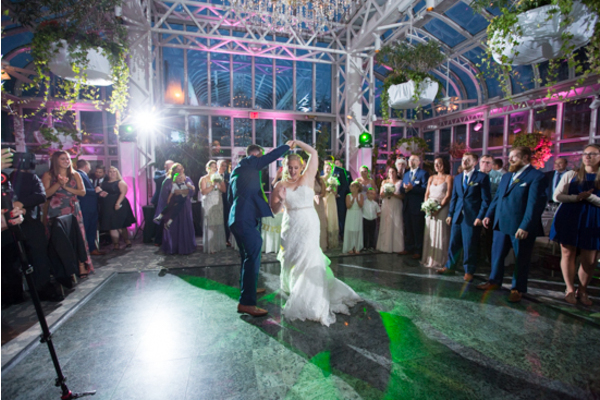 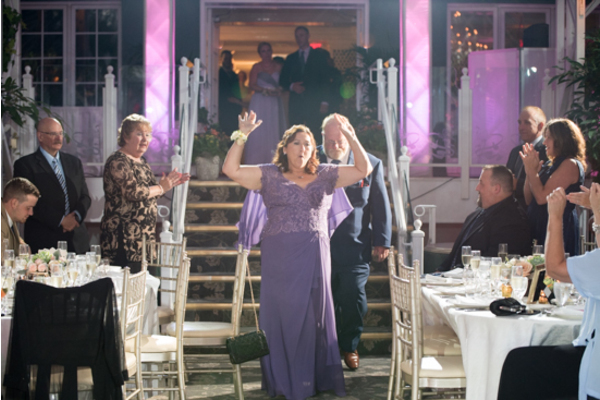 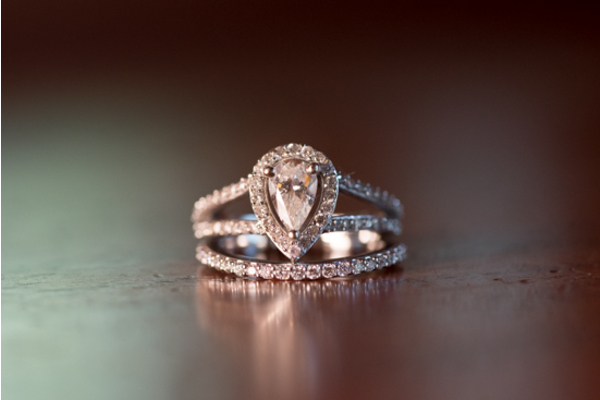 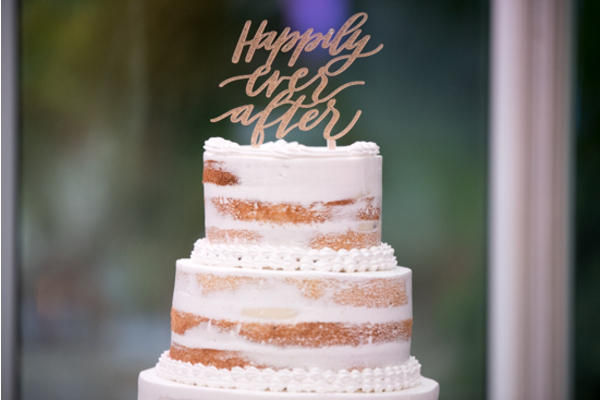 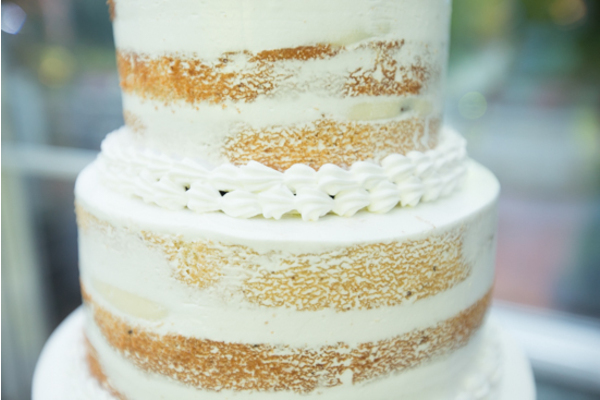 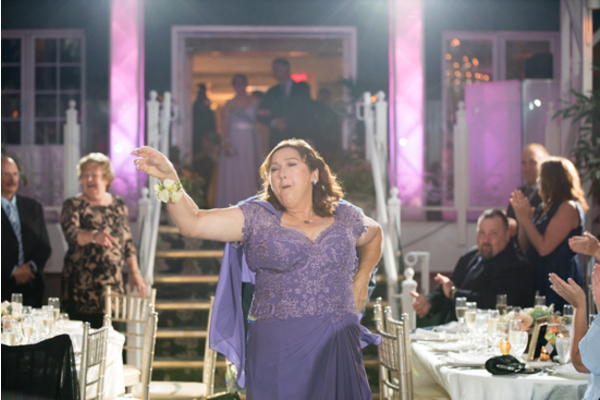 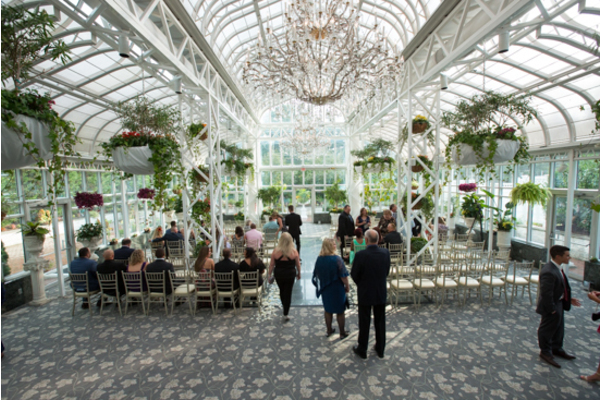 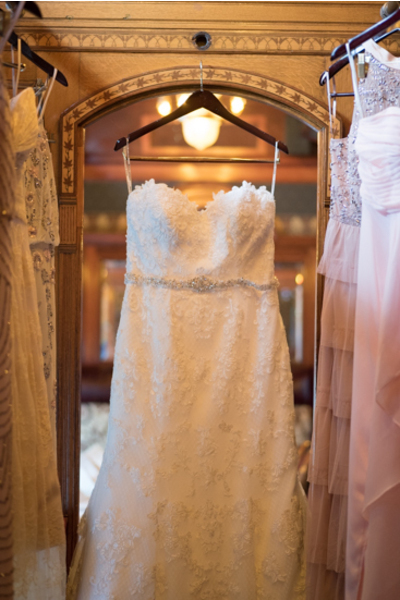 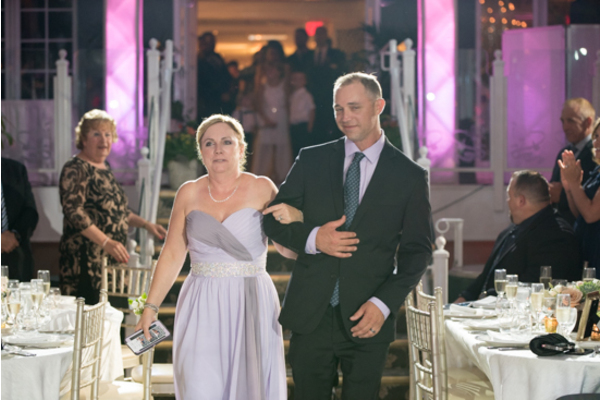 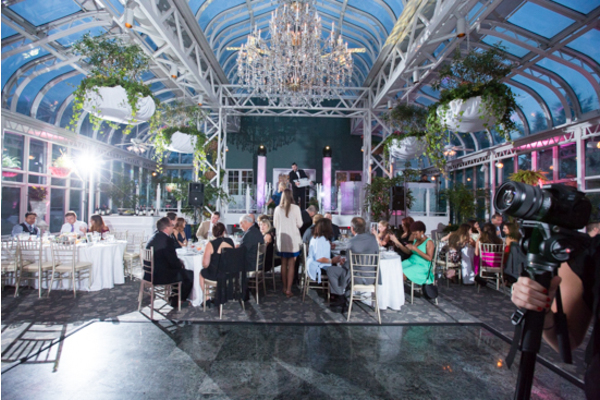 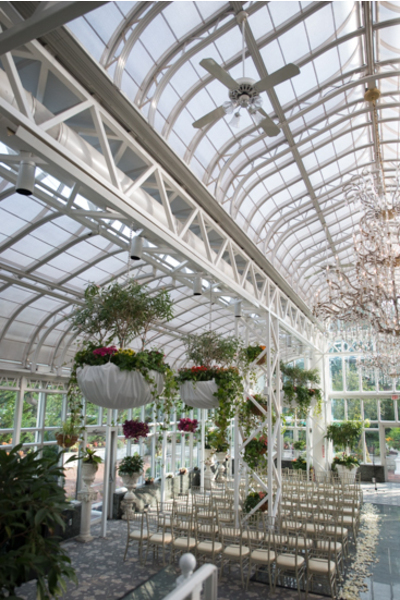 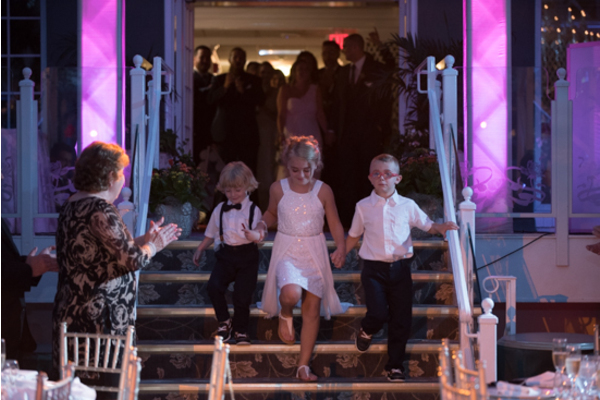 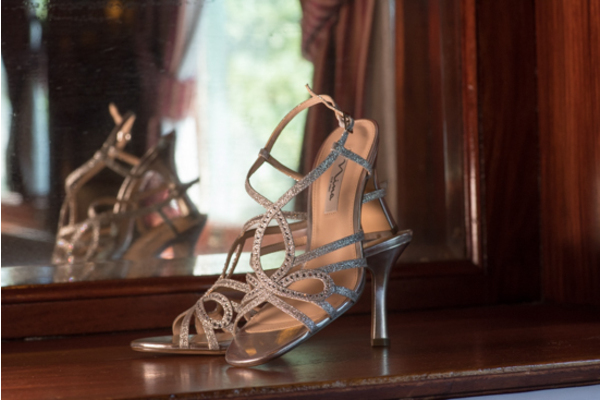 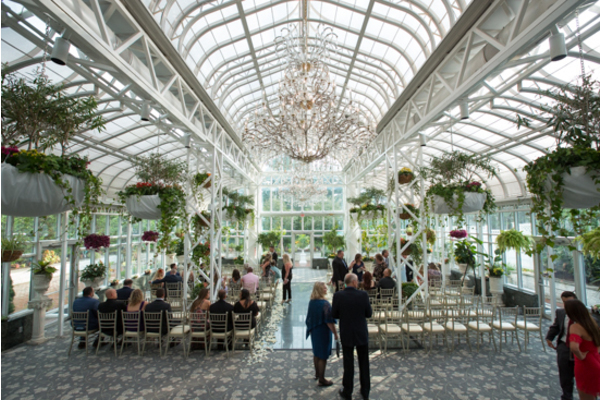 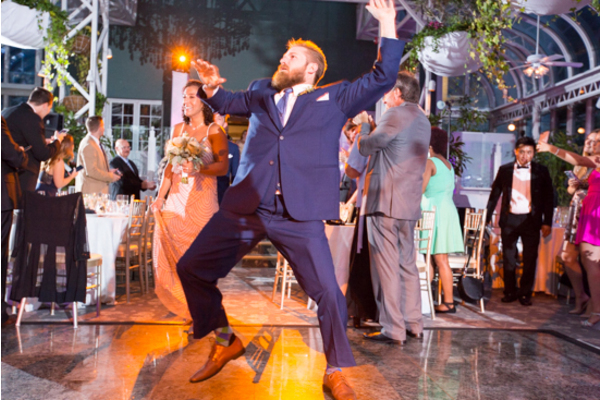 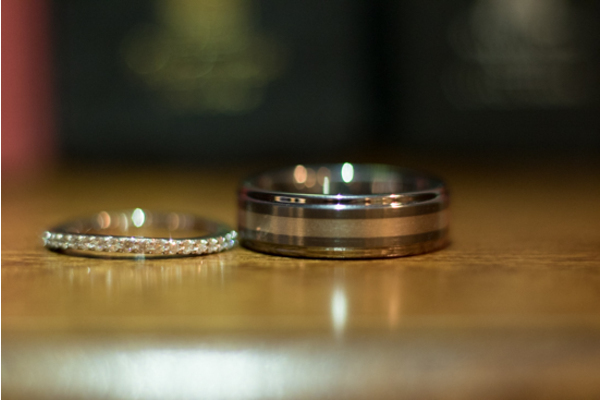 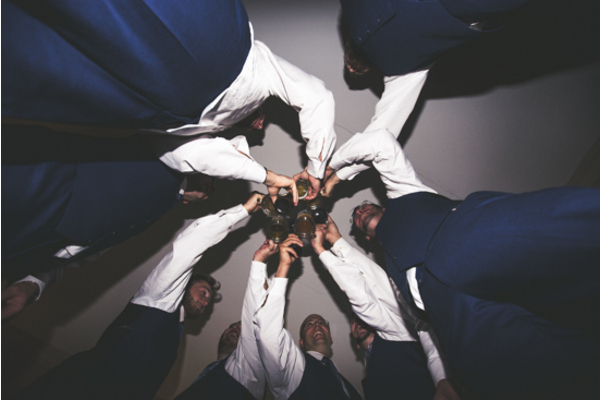 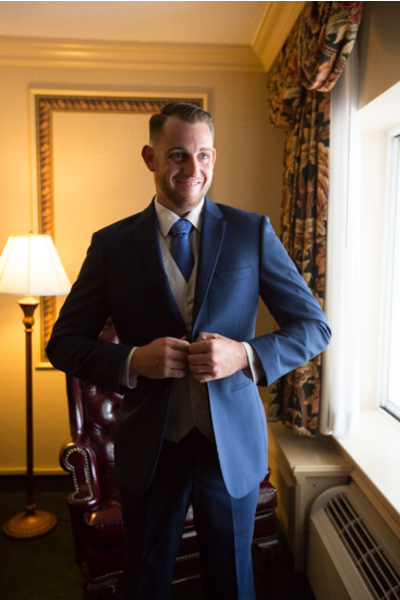 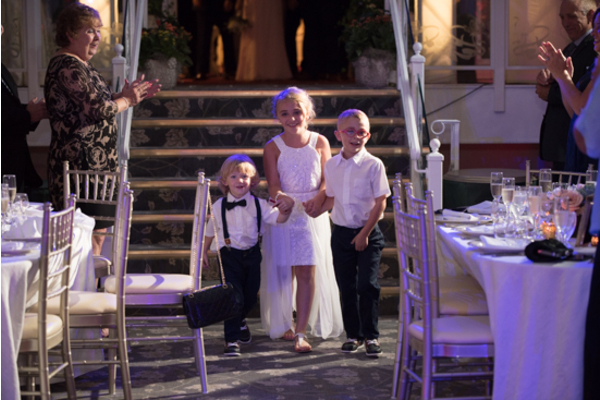 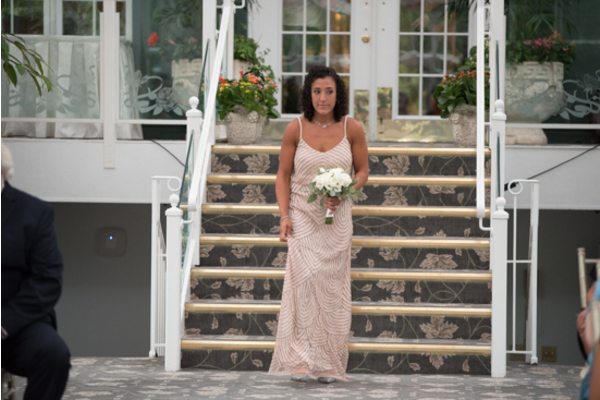 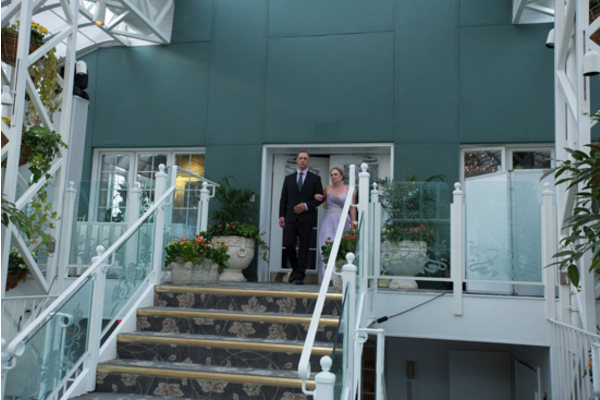 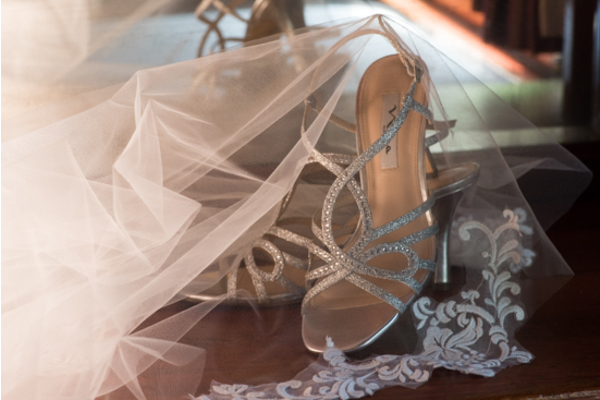 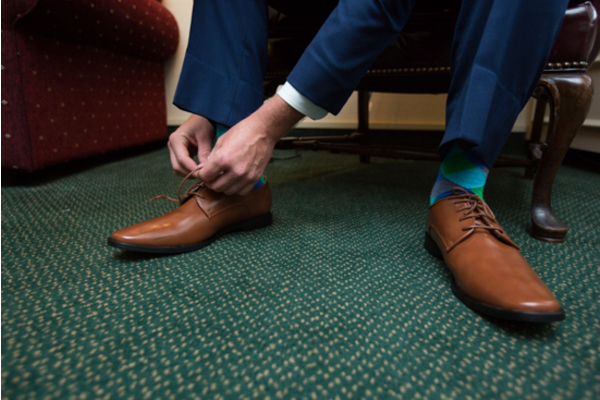 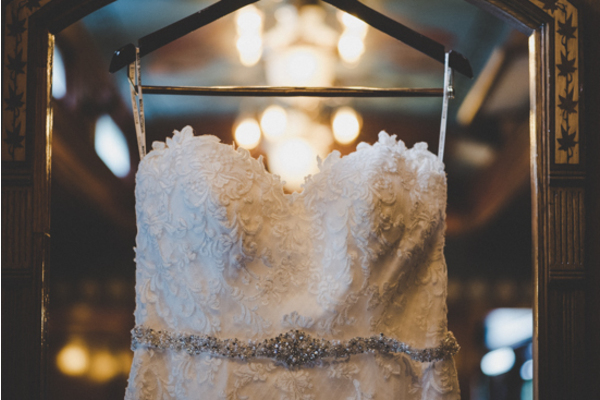 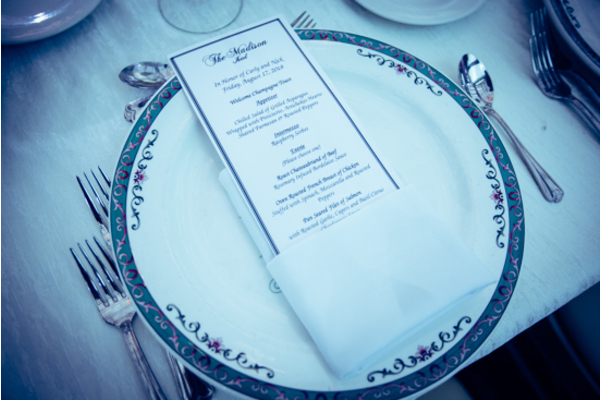 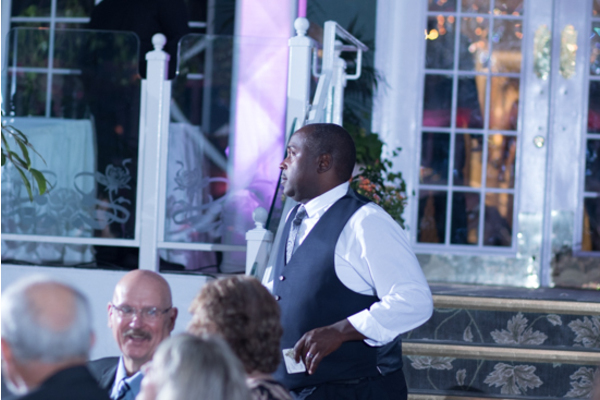 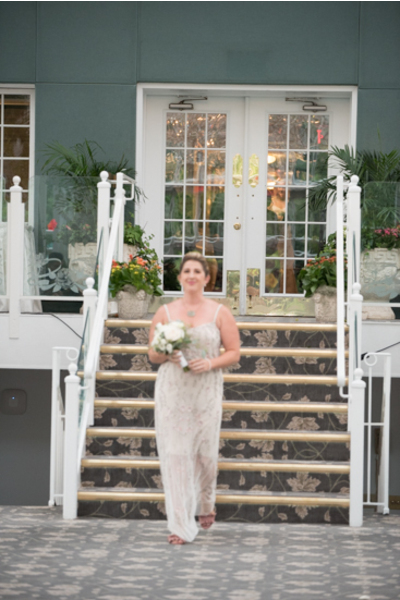 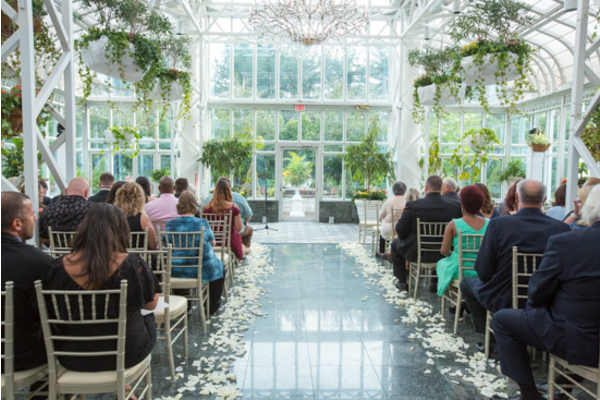 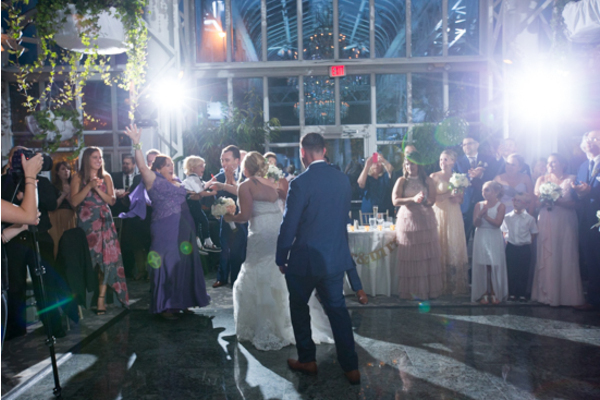 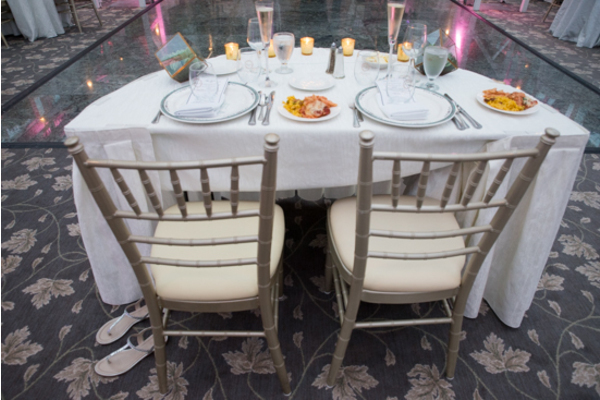 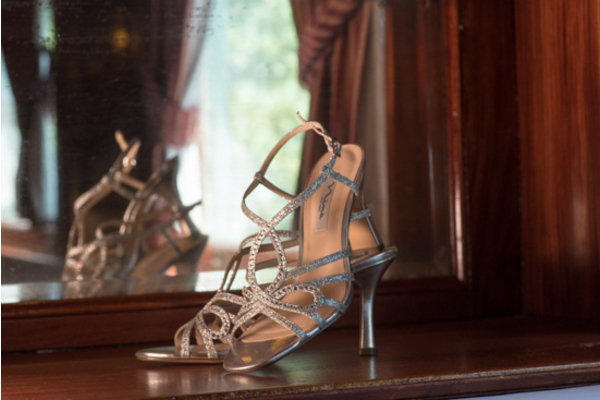 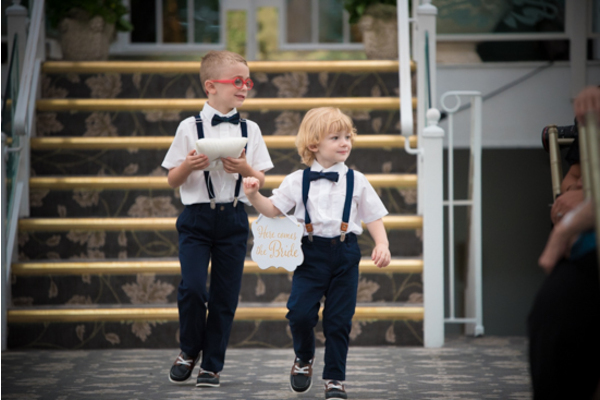 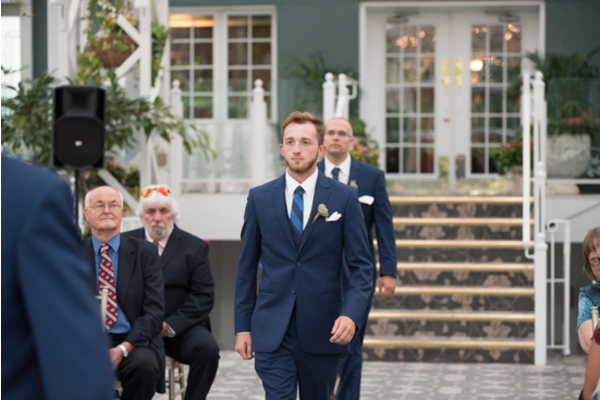 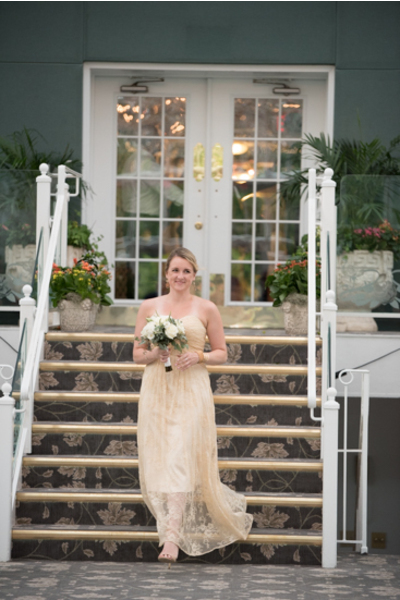 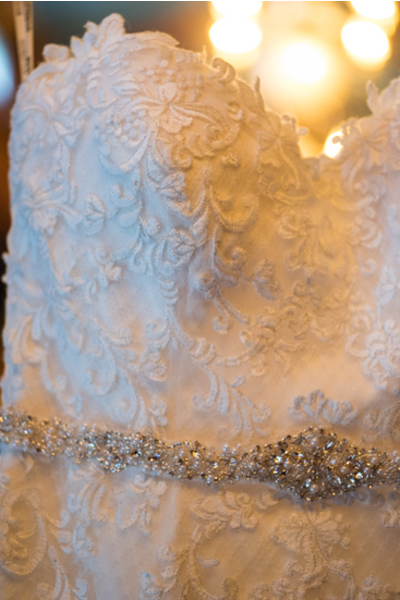 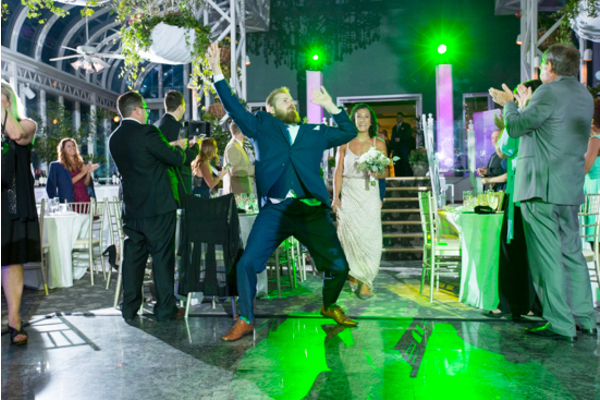 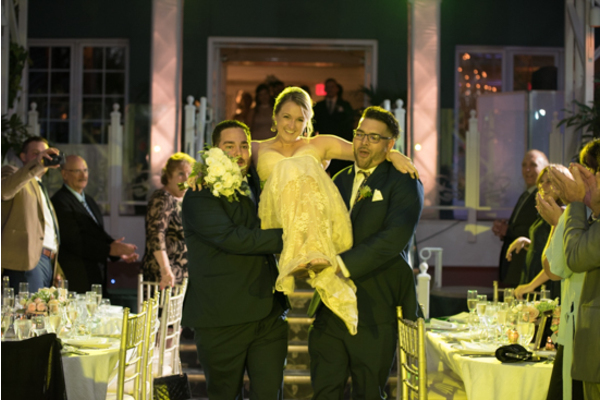 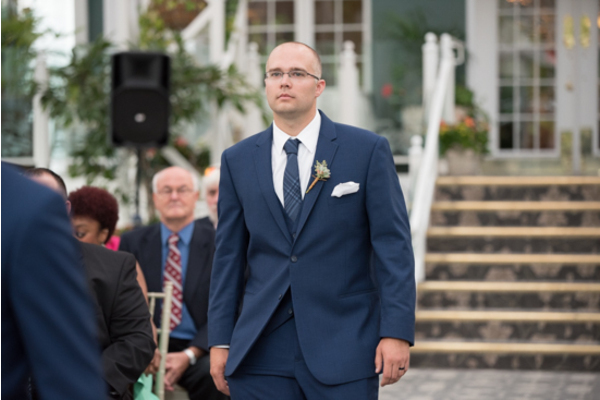 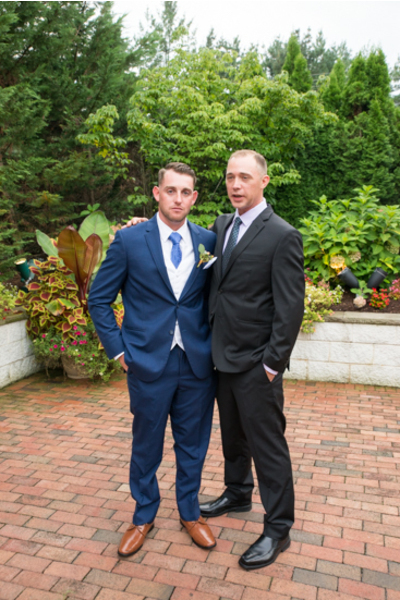 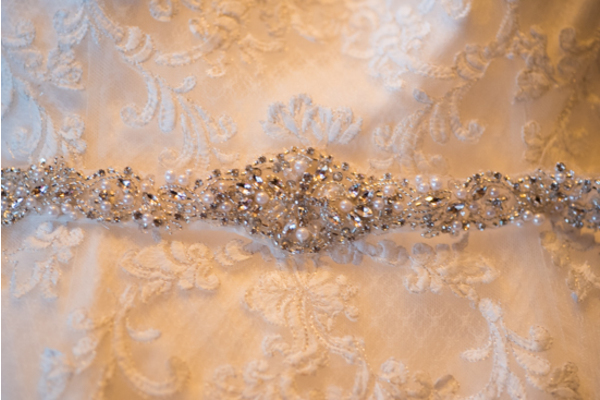 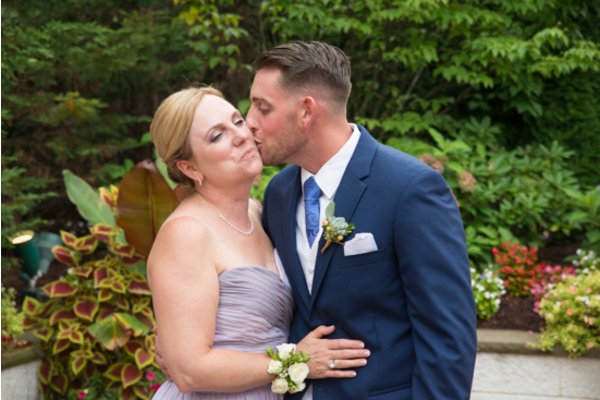 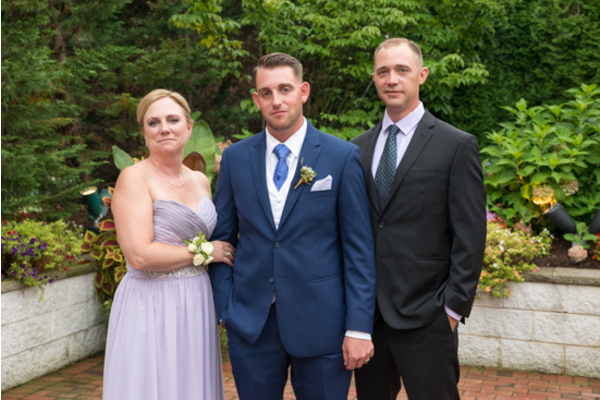 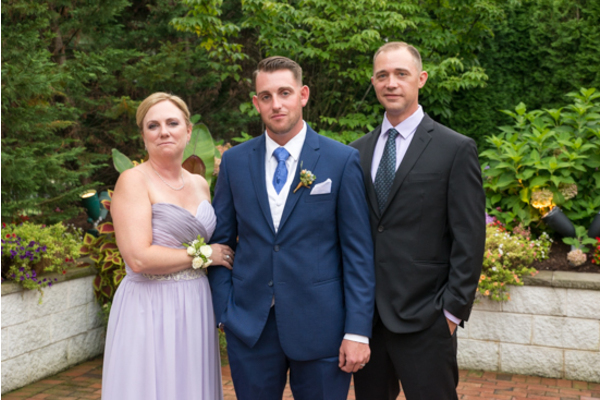 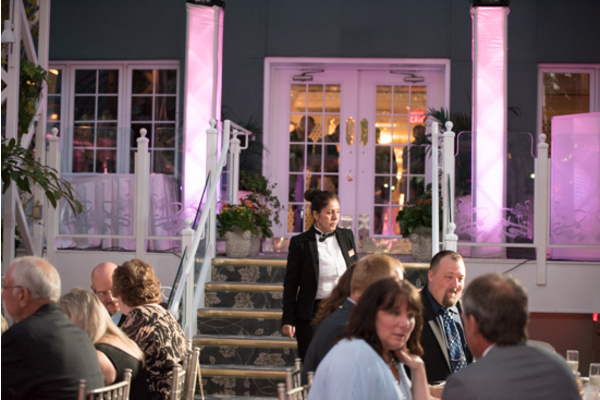 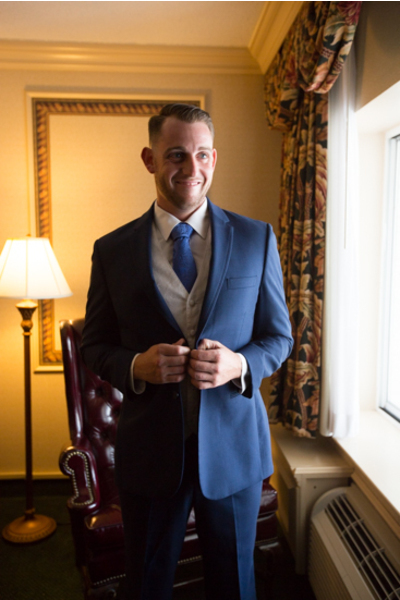 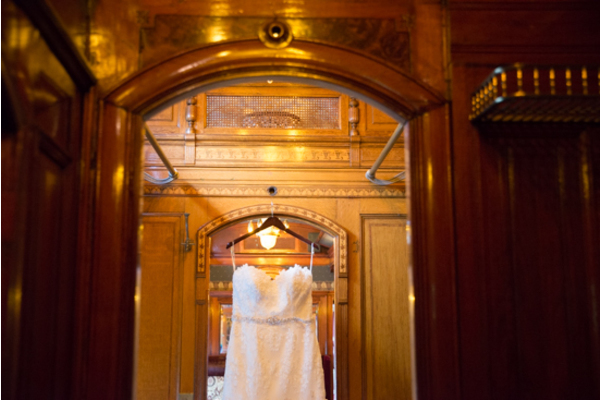 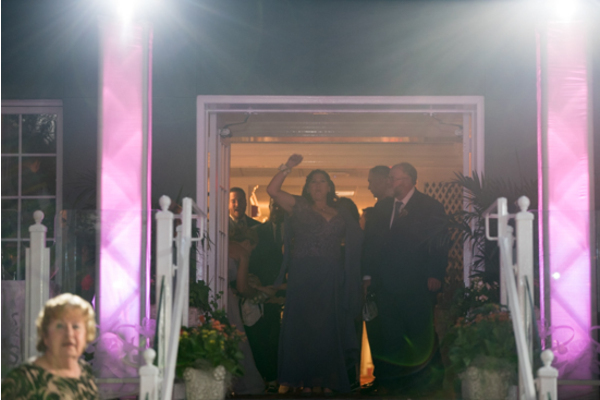 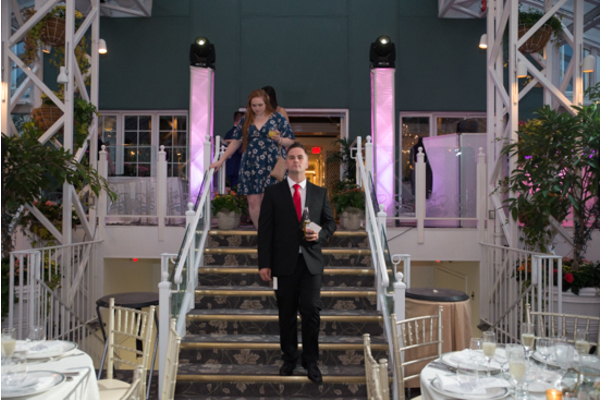 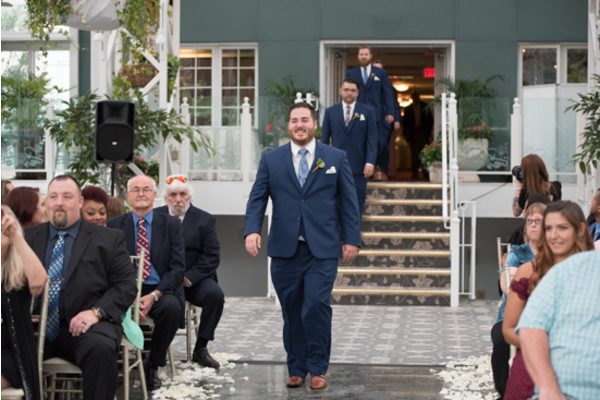 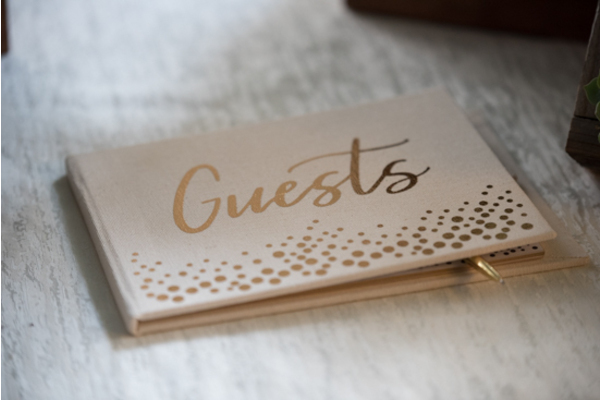 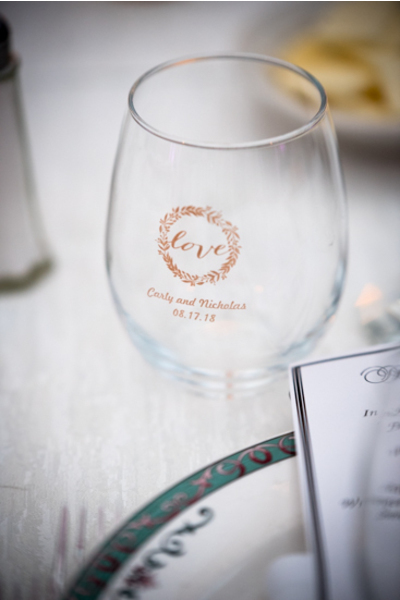 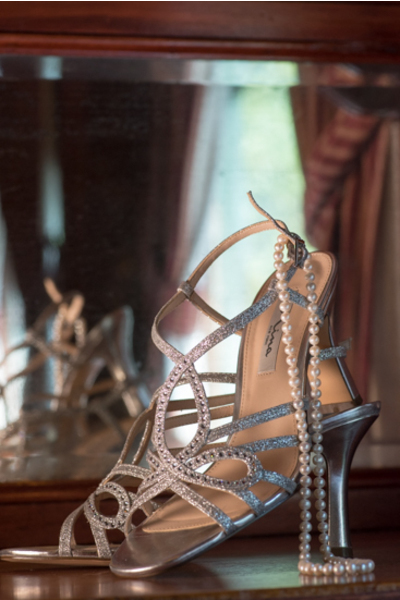 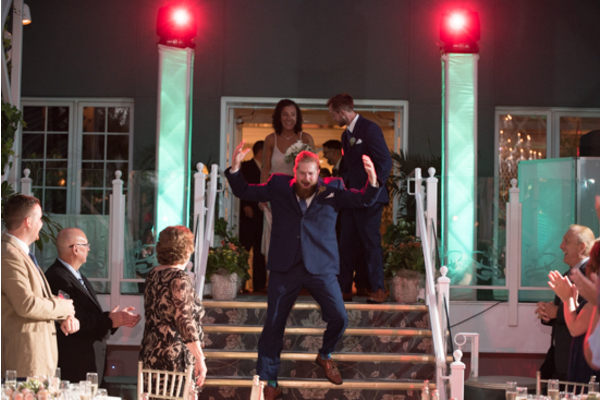 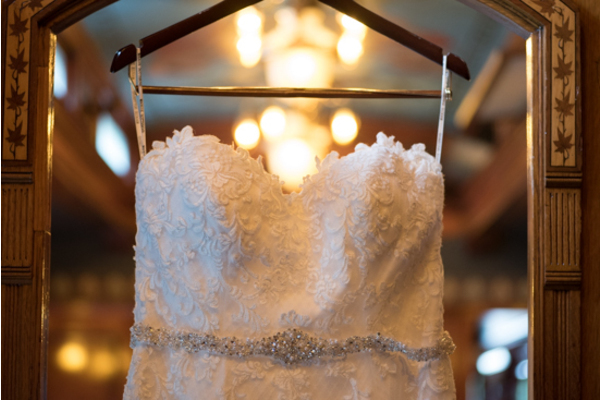 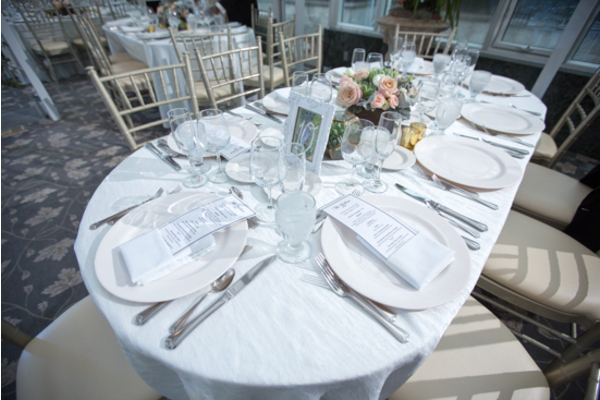 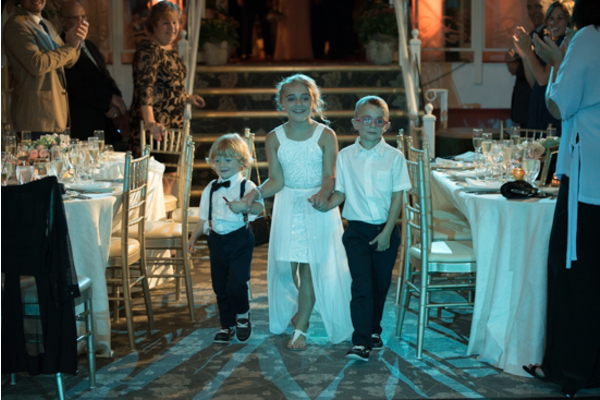 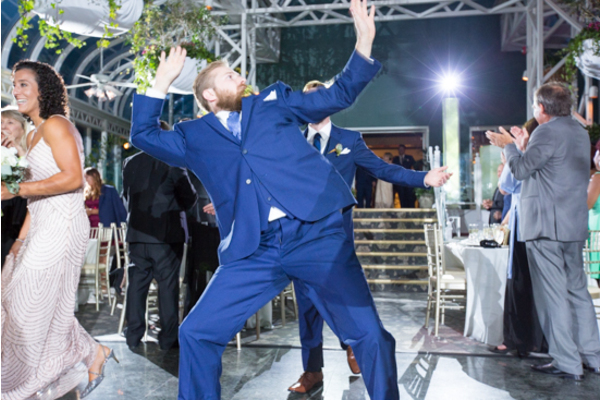 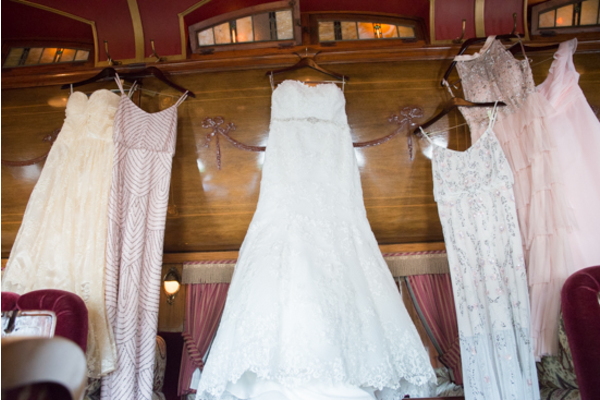 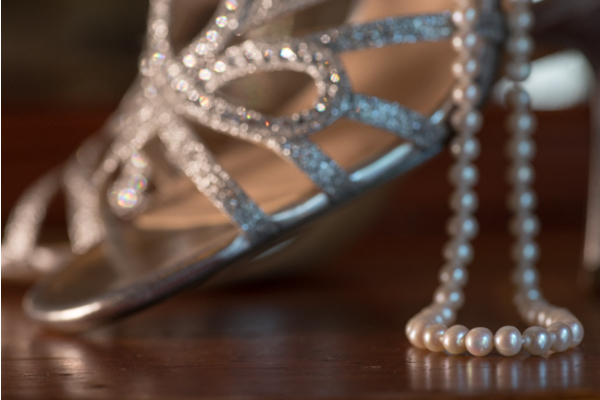 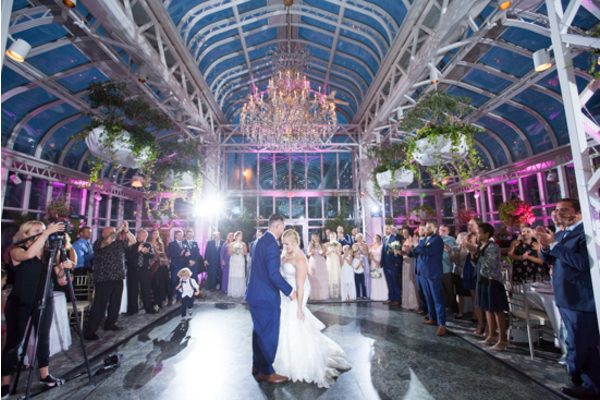 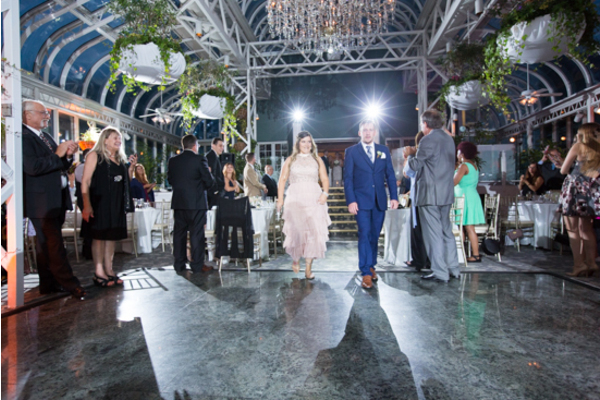 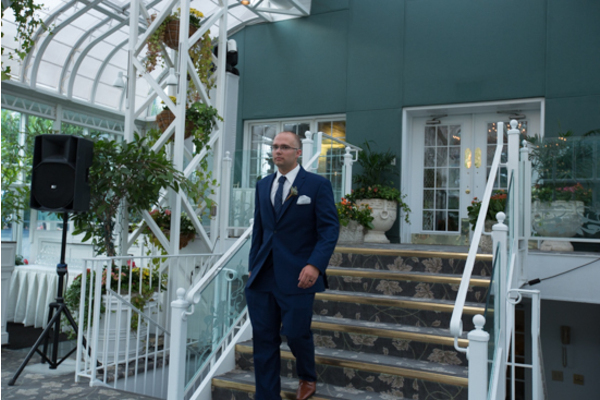 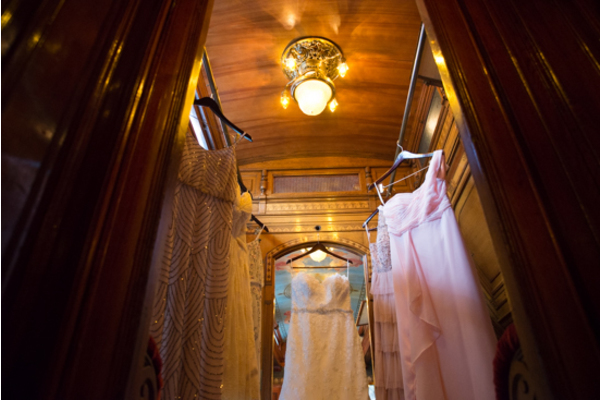 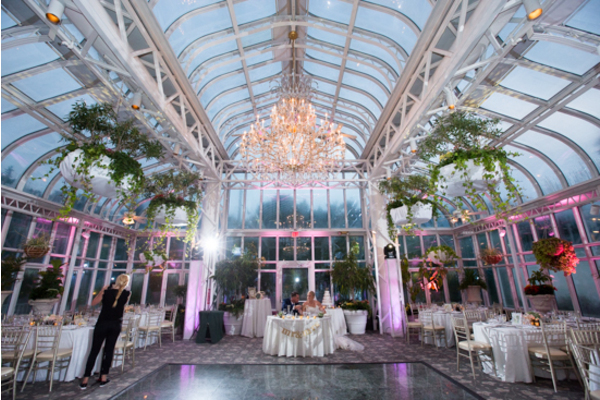 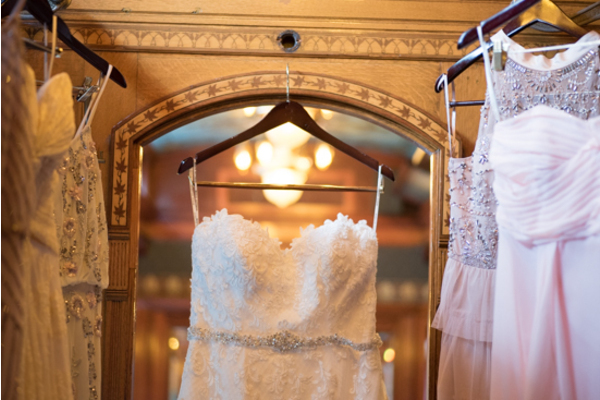 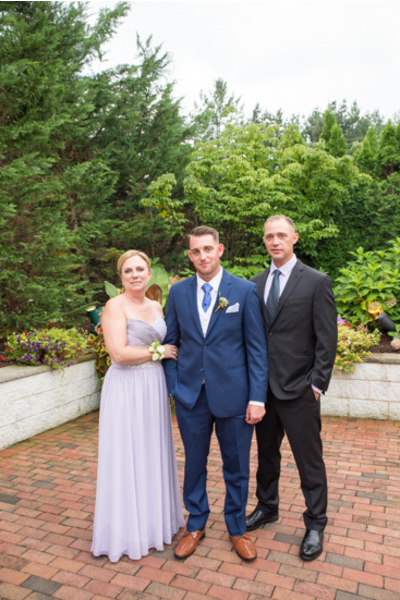 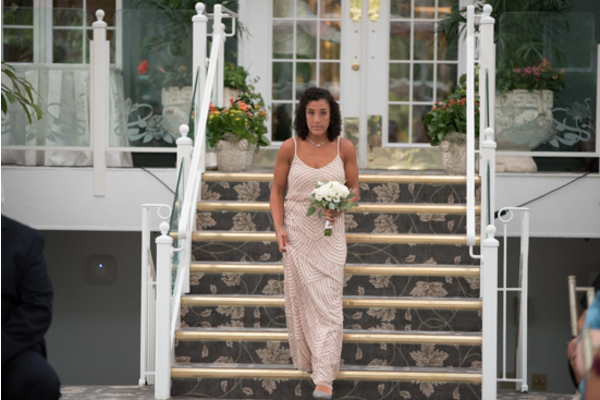 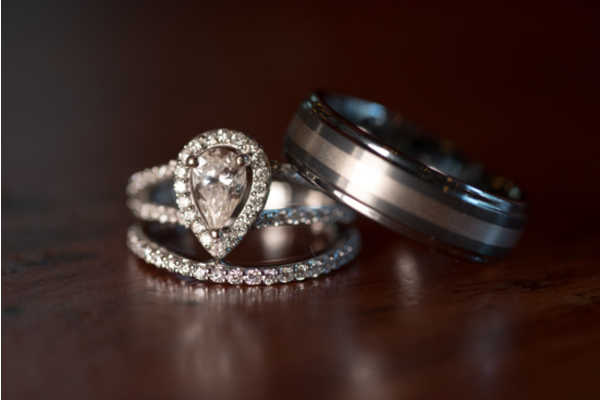 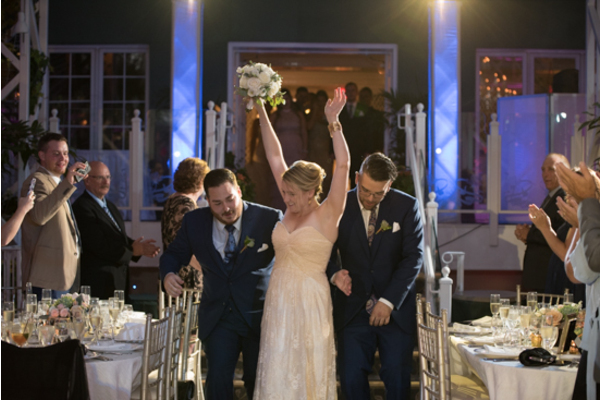 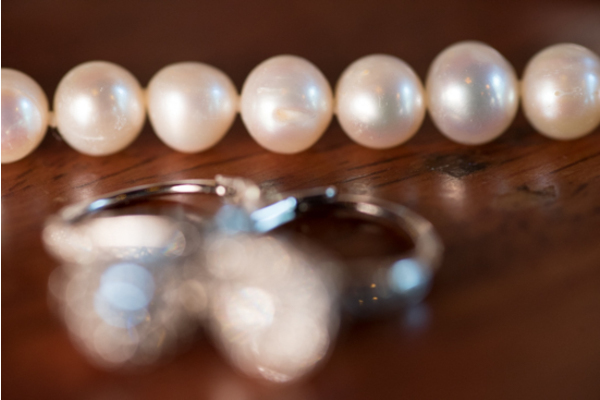 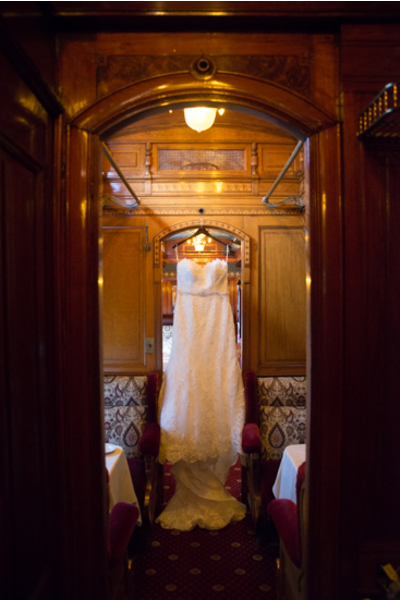 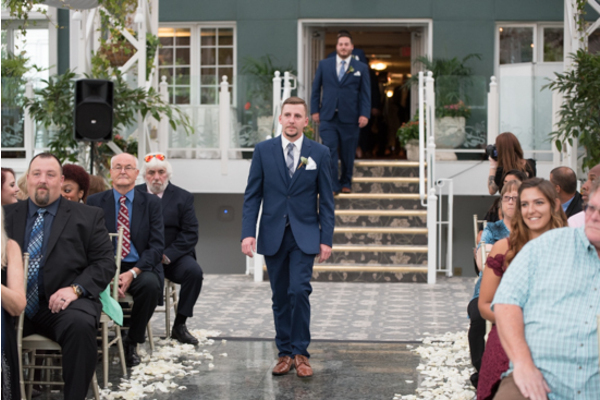 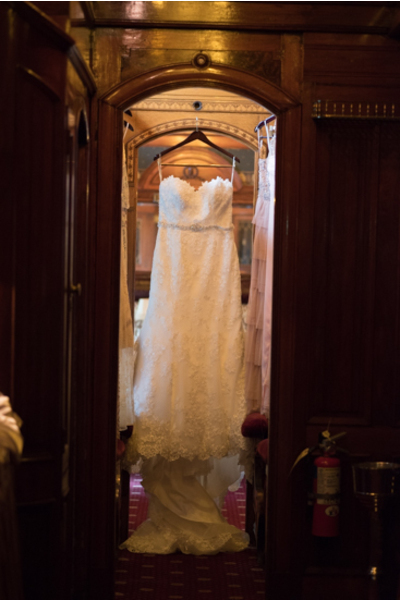 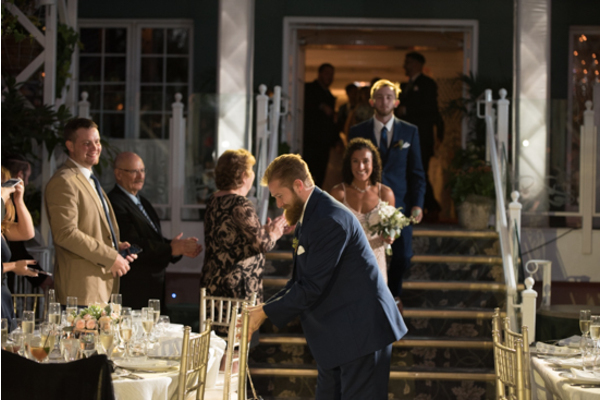 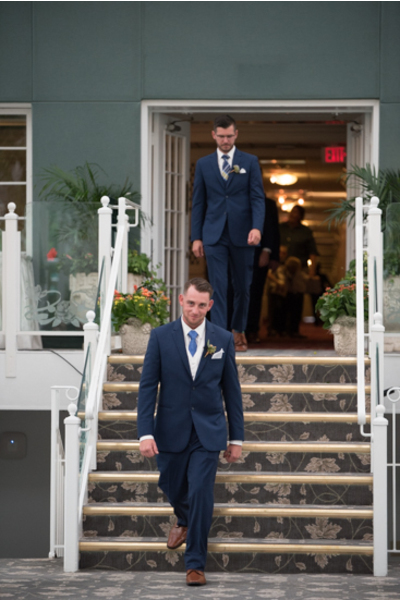 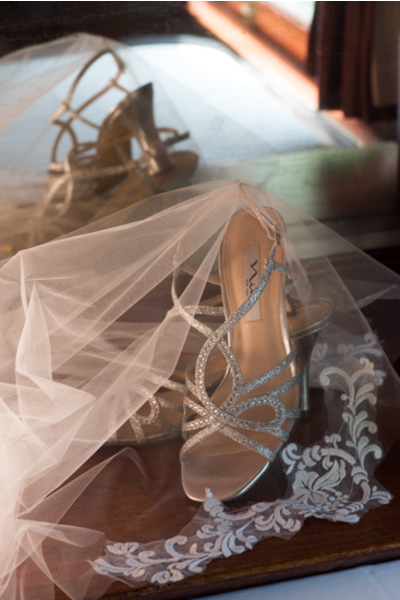 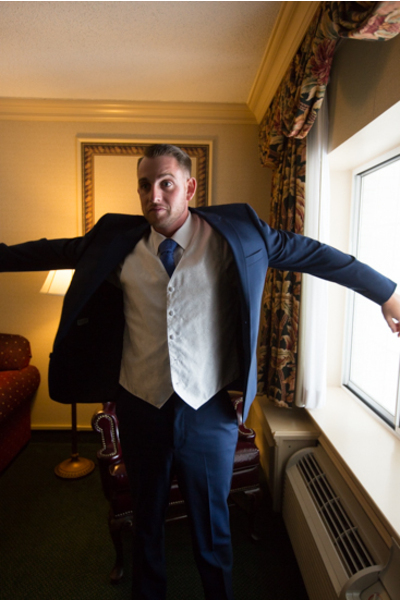 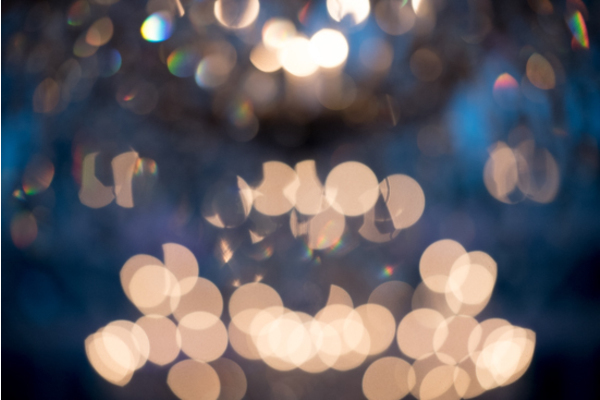 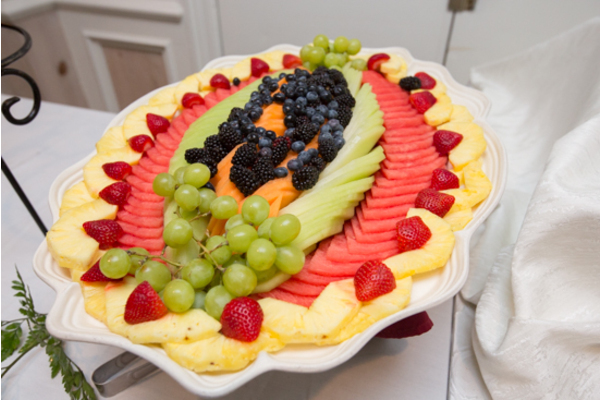 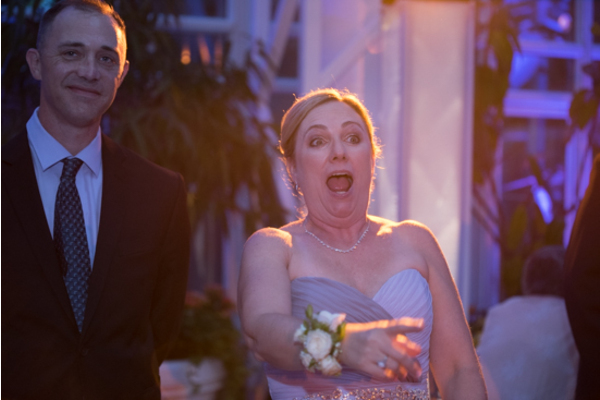 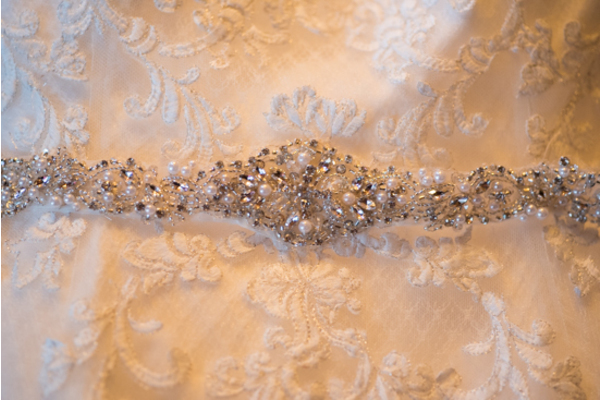 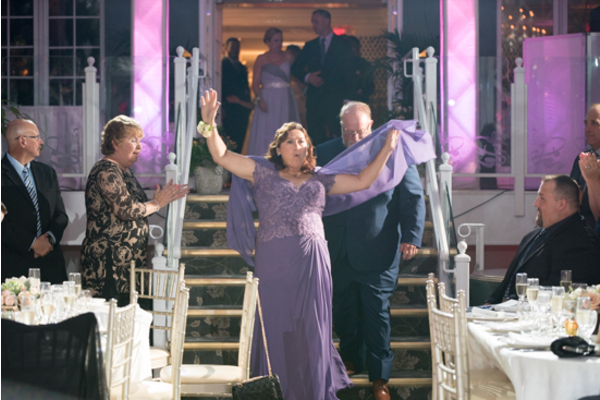 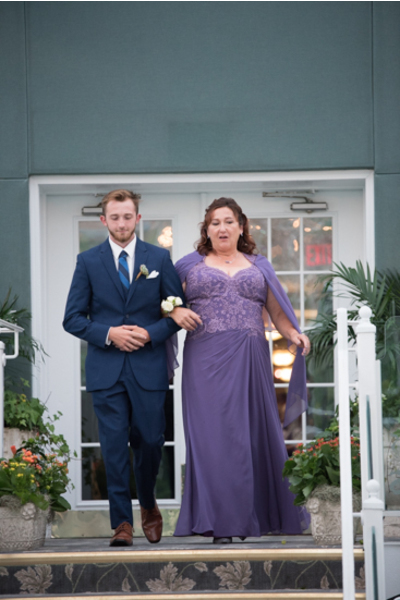 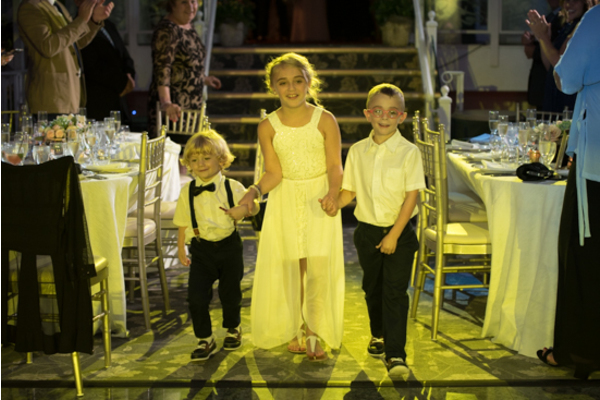 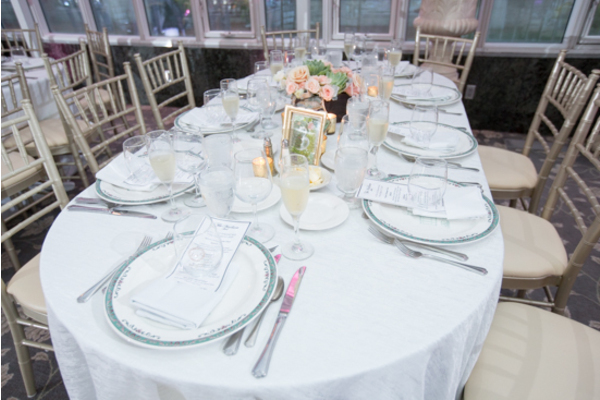 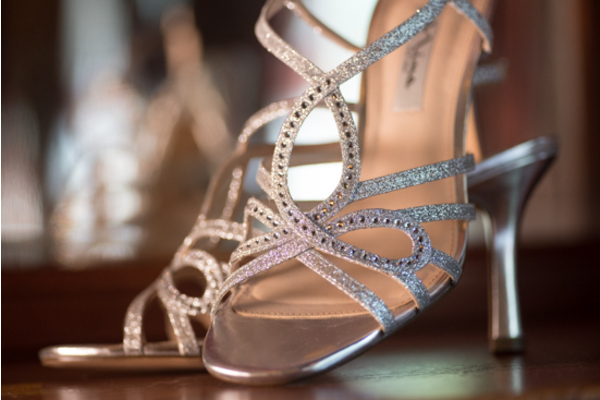 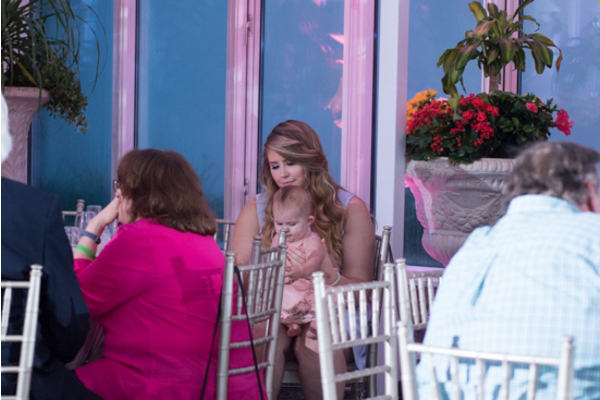 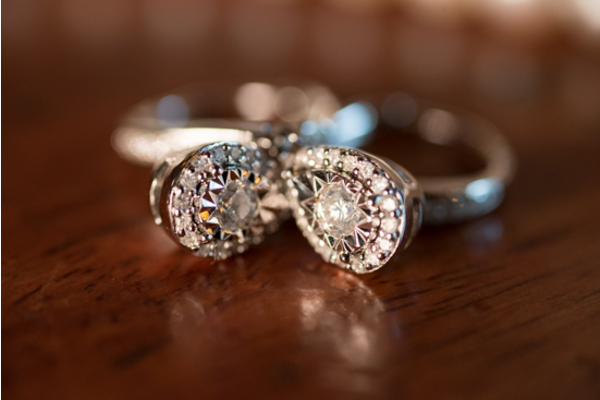 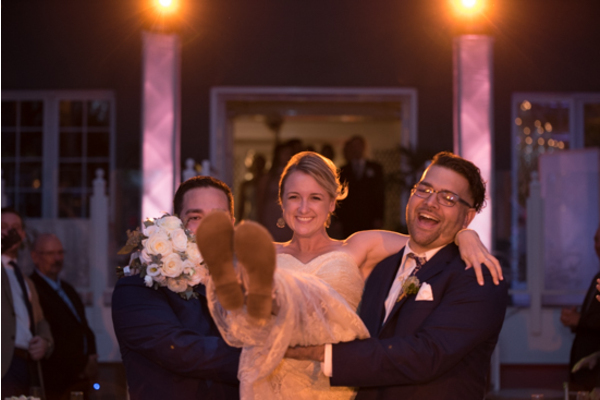 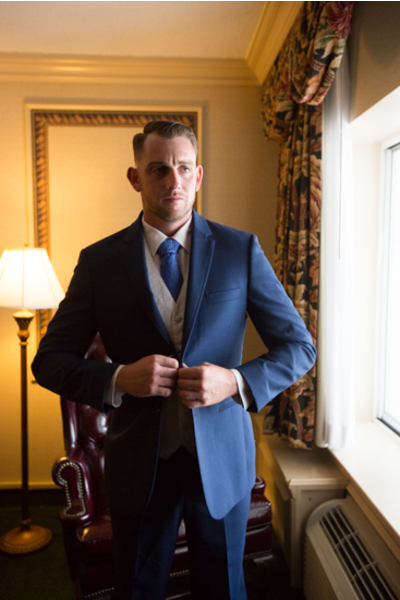 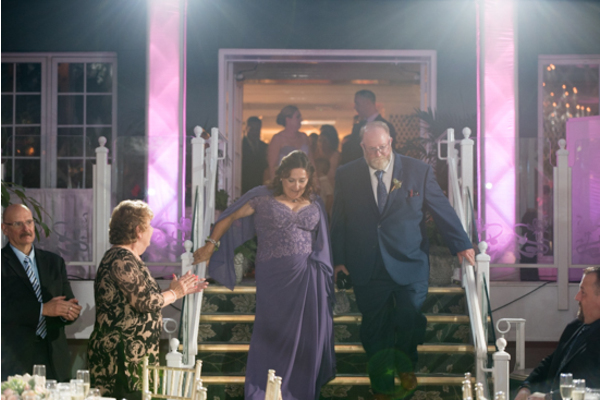 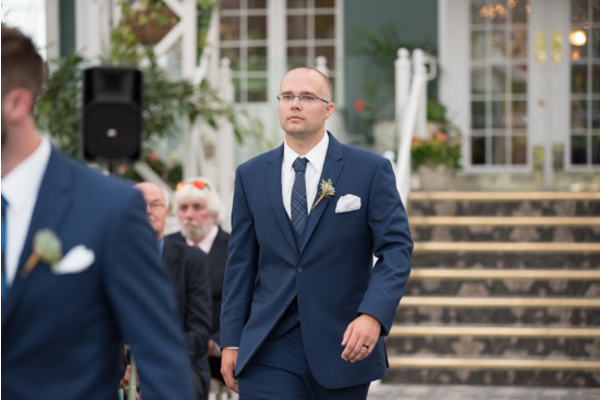 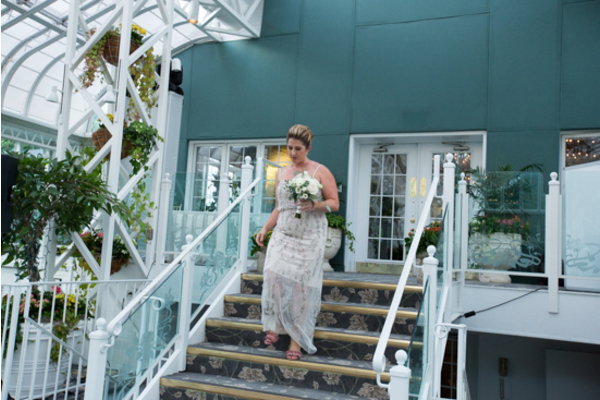 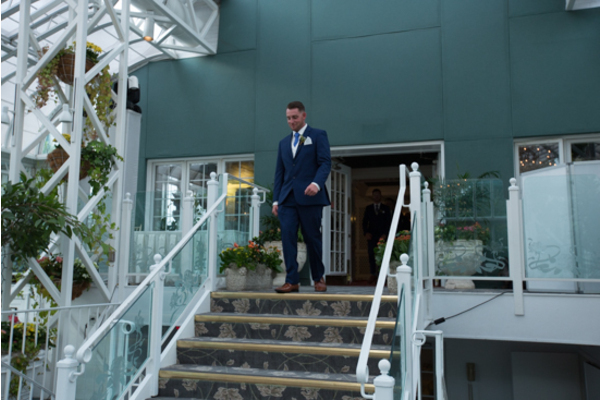 Our NJ Wedding Photographer captured each of these moments beautifully and individually. 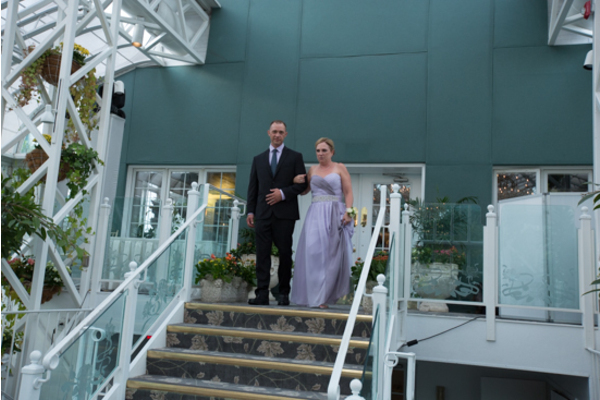 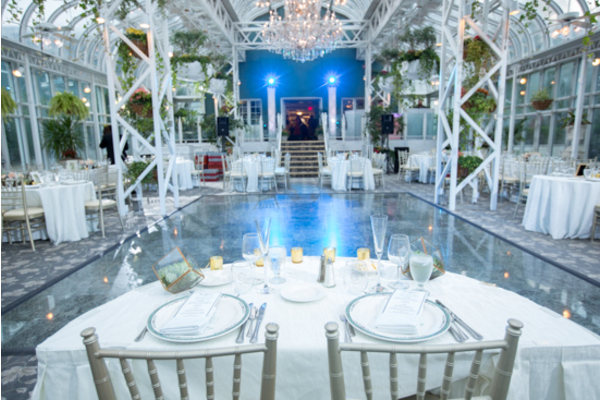 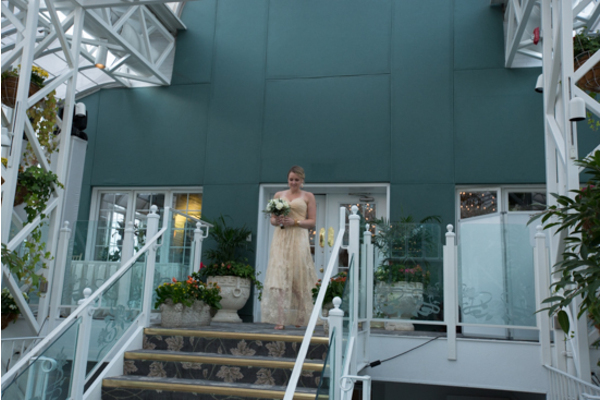 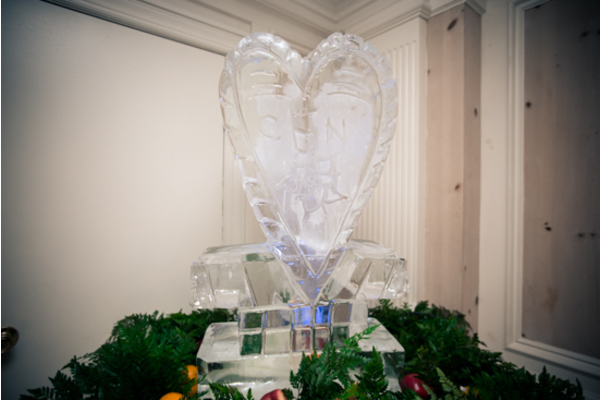 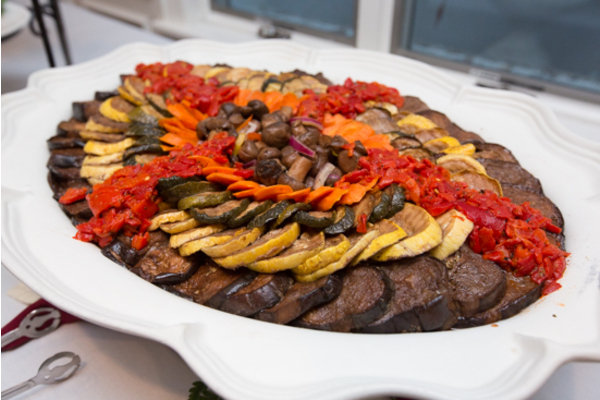 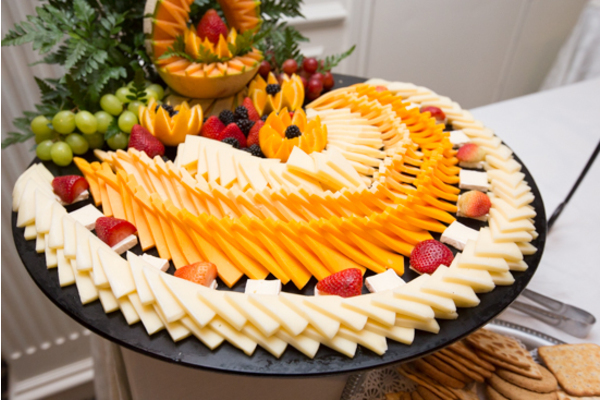 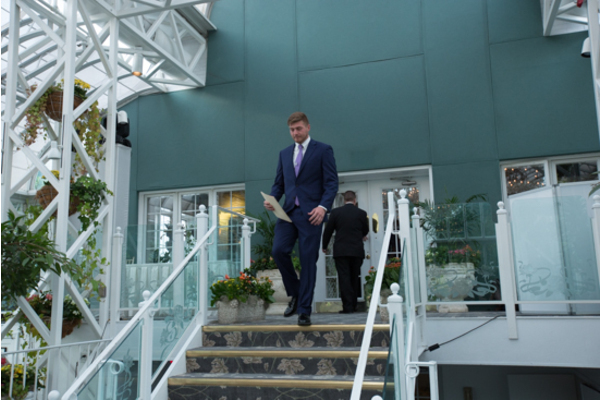 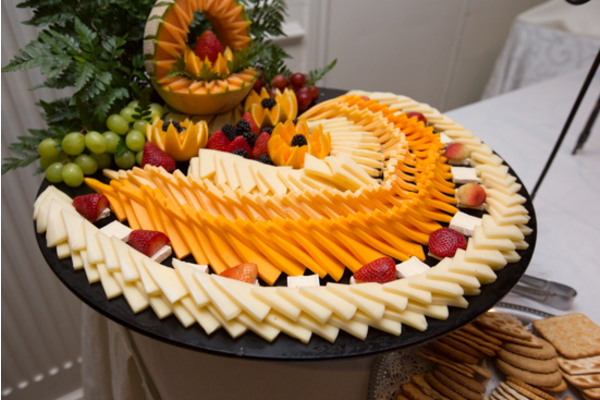 Furthermore, their wedding featured an exquisite heart-shaped ice sculpture! 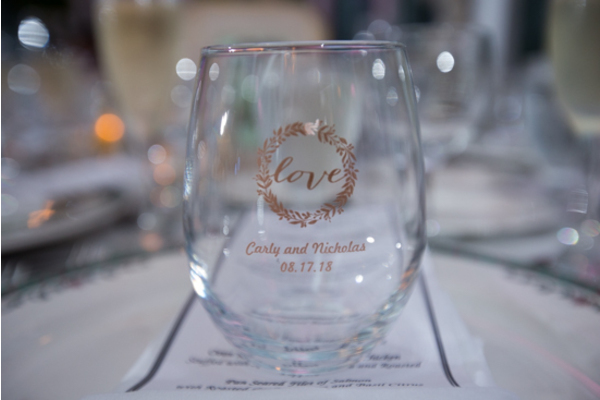 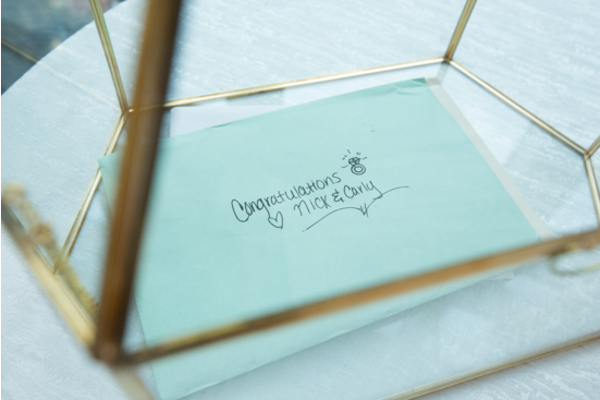 Congratulations again to Carly and Nicolas!